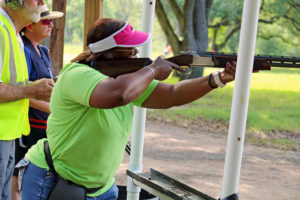 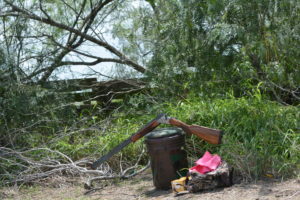 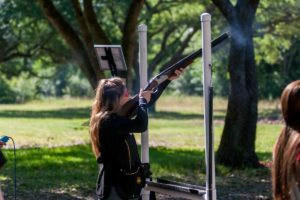 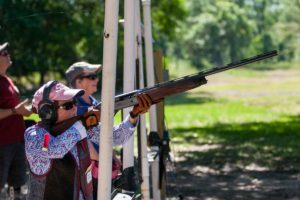 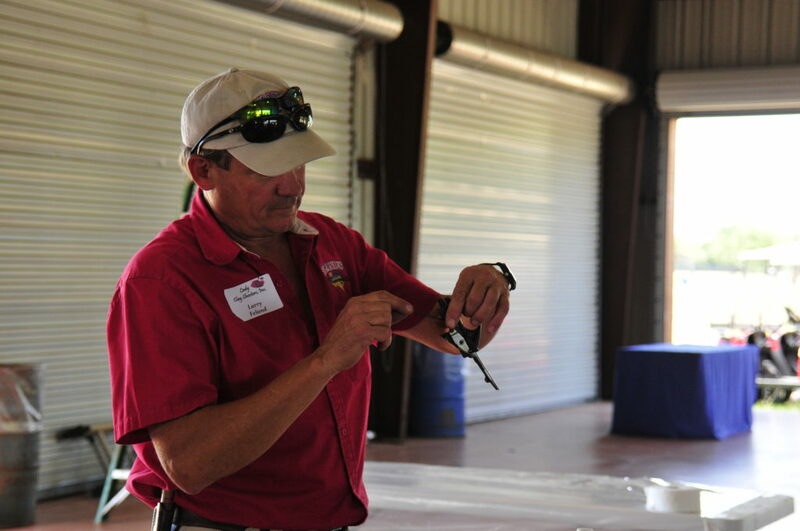 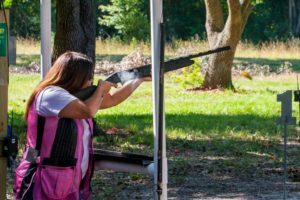 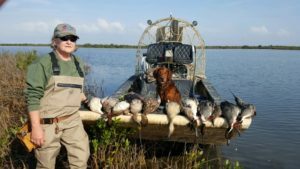 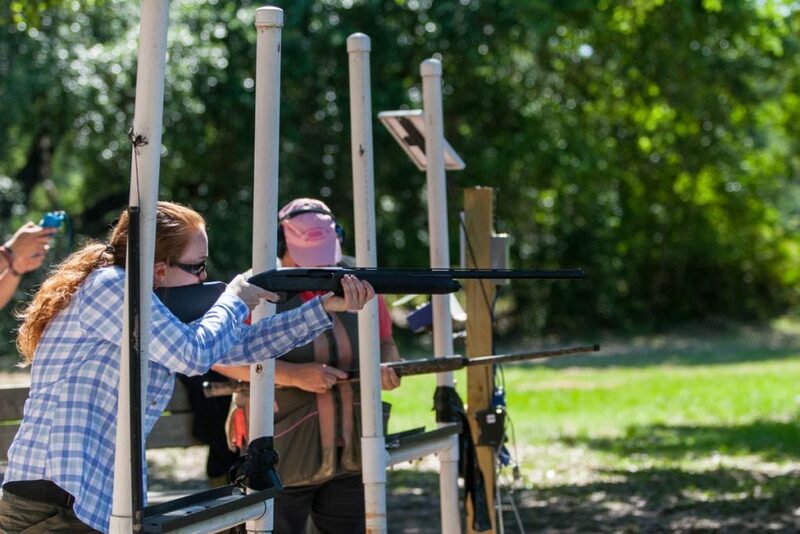 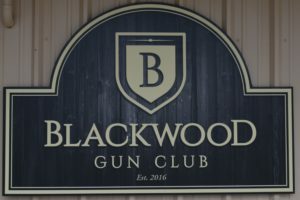 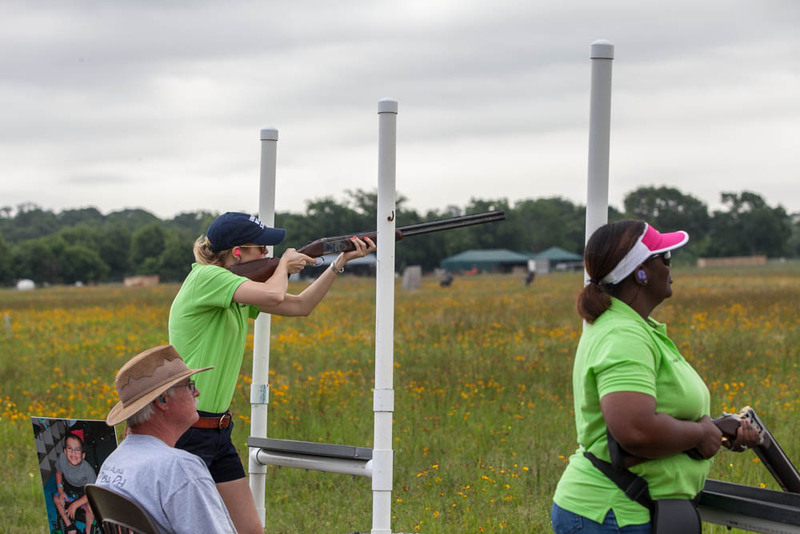 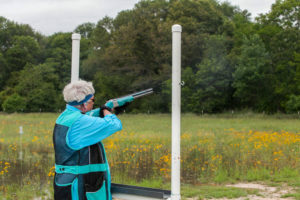 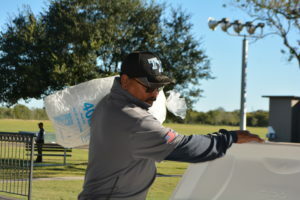 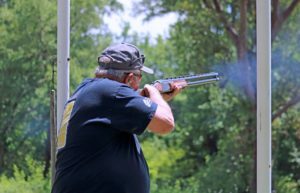 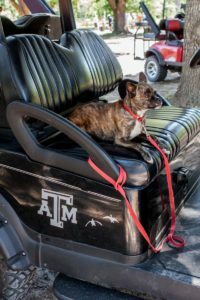 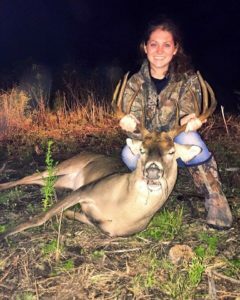 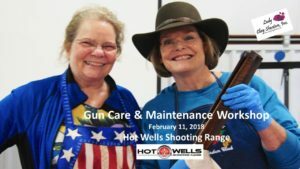 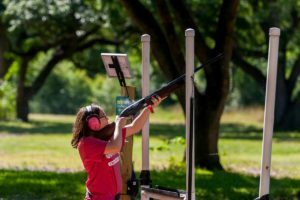 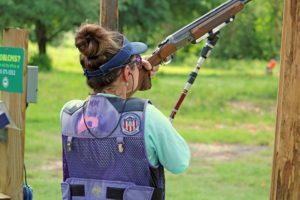 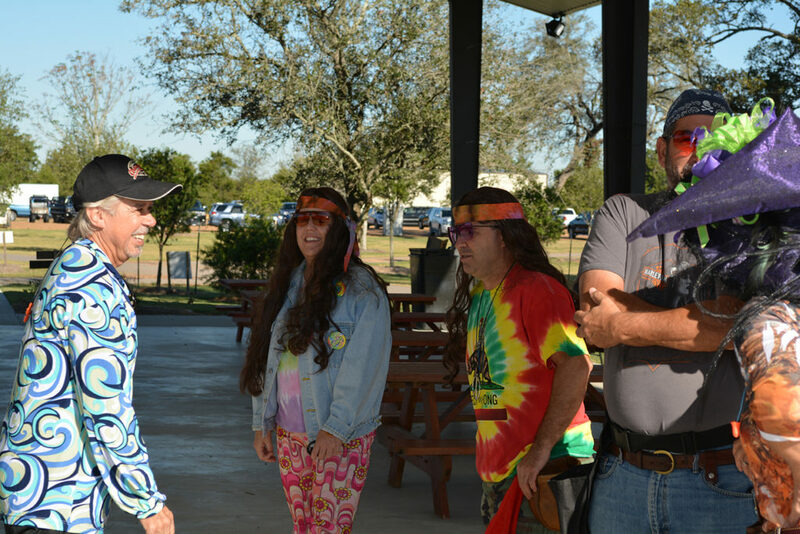 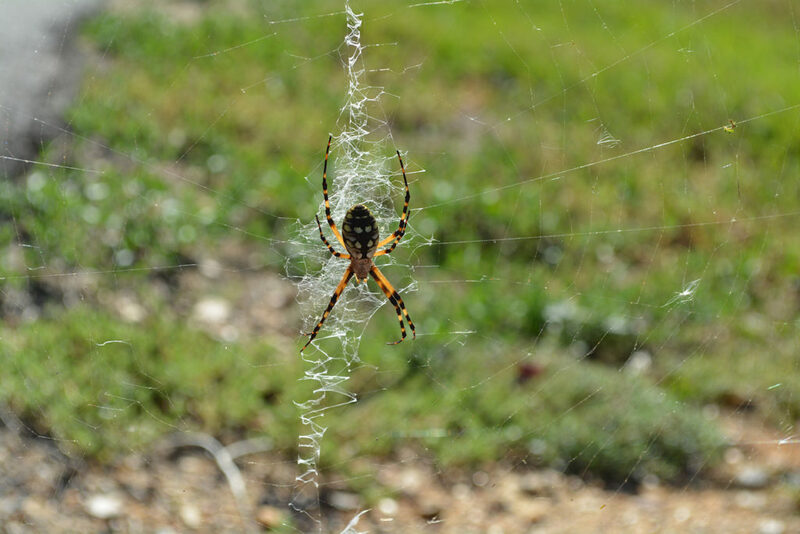 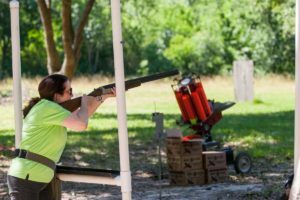 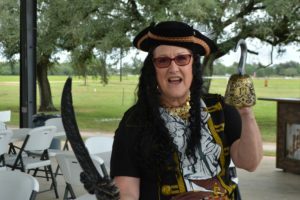 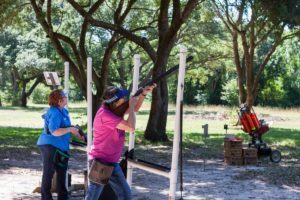 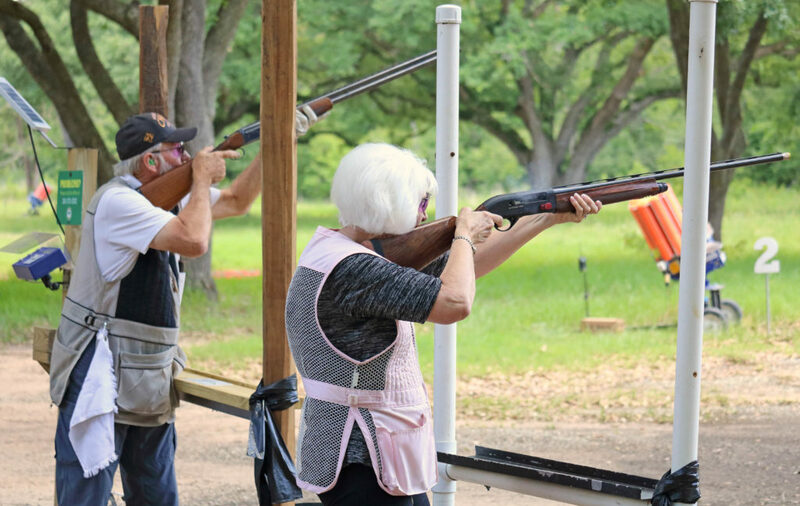 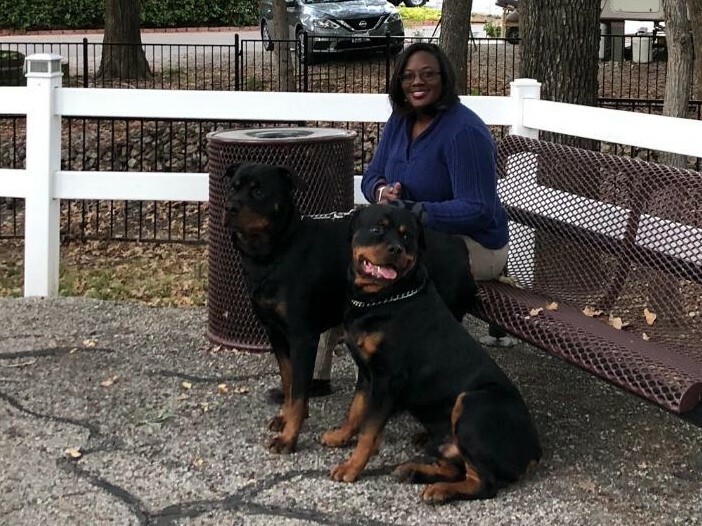 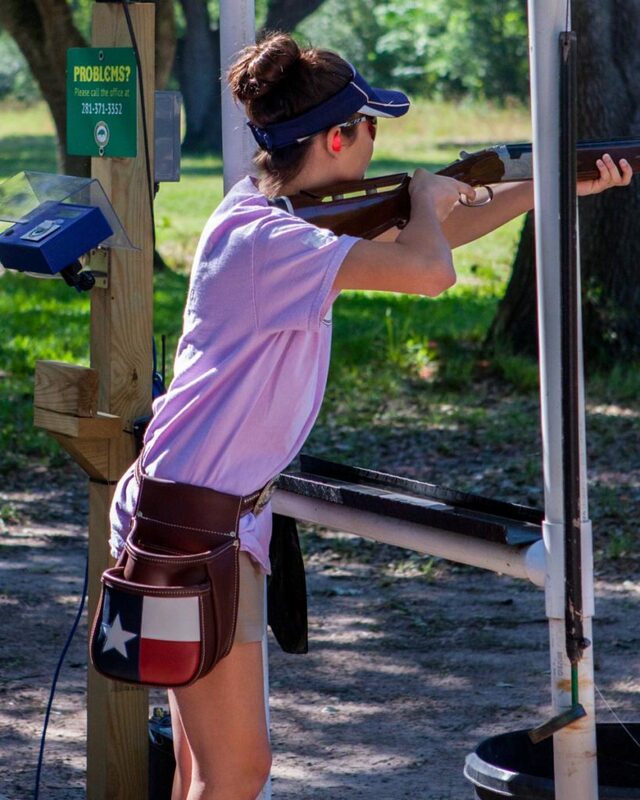 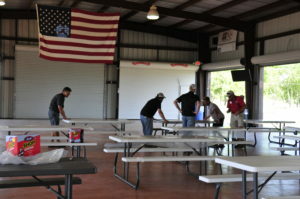 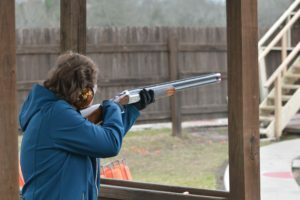 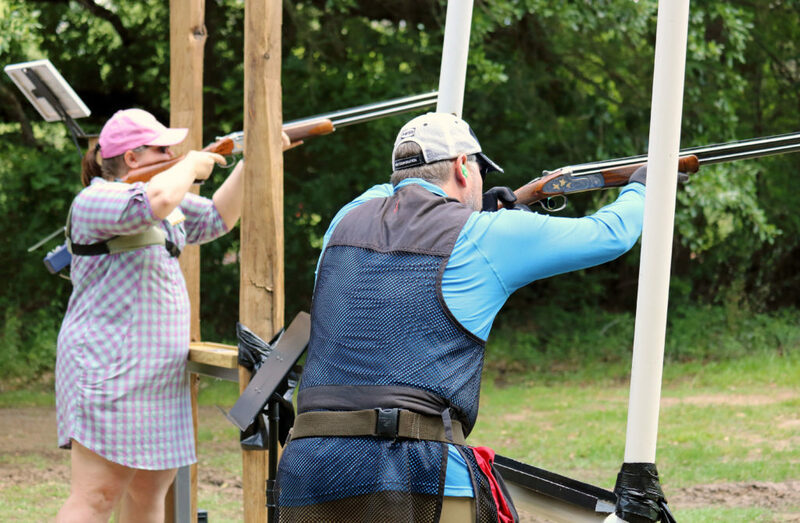 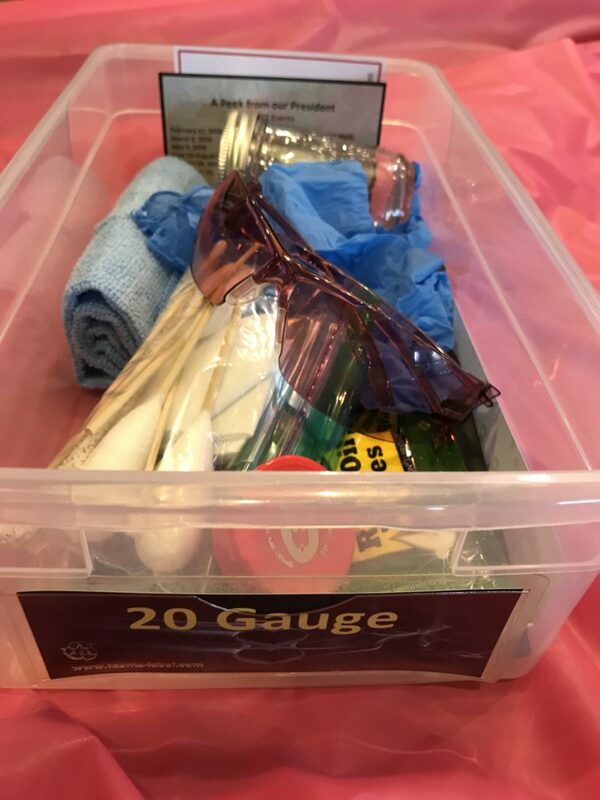 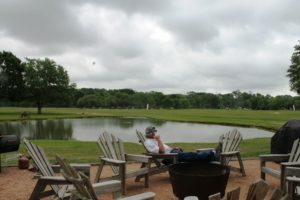 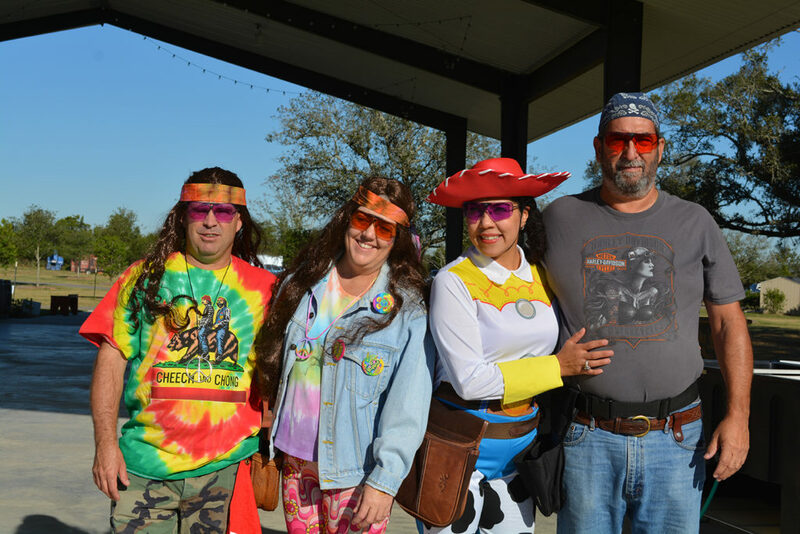 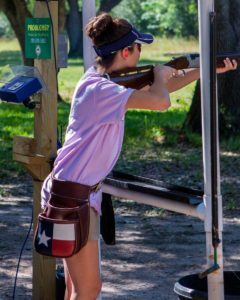 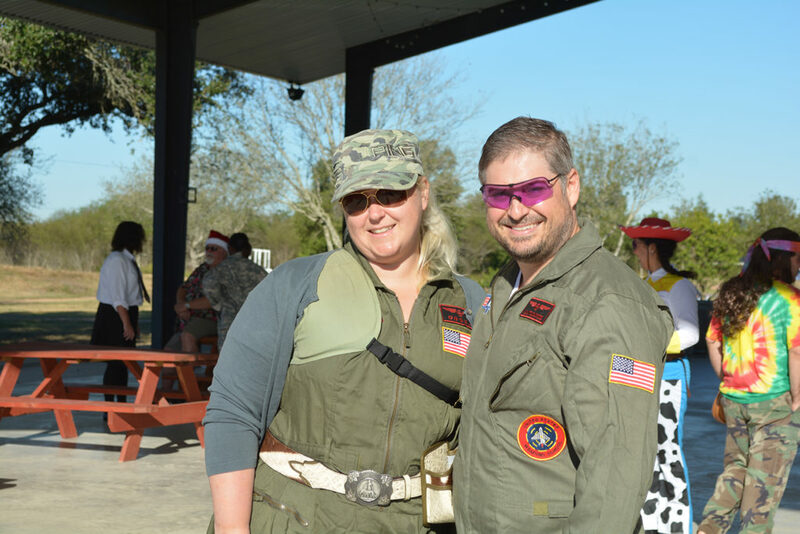 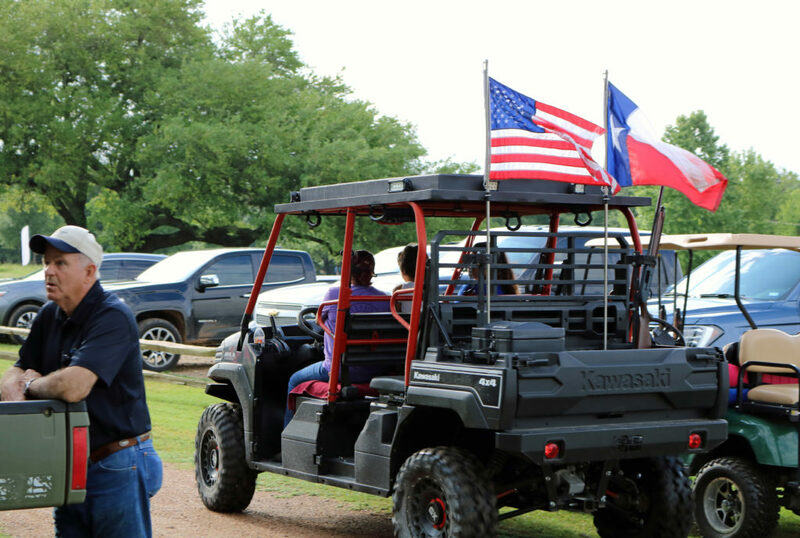 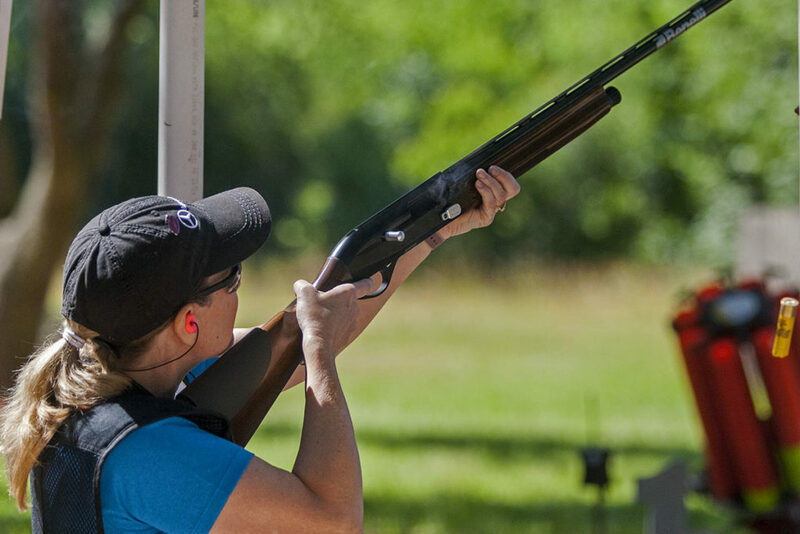 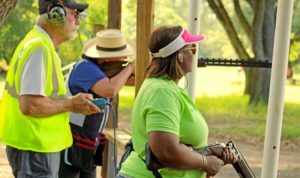 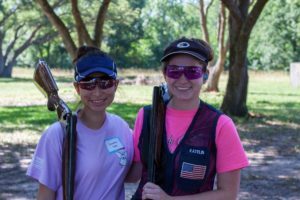 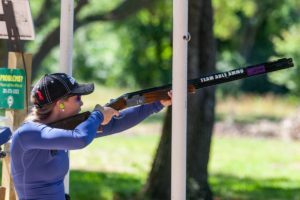 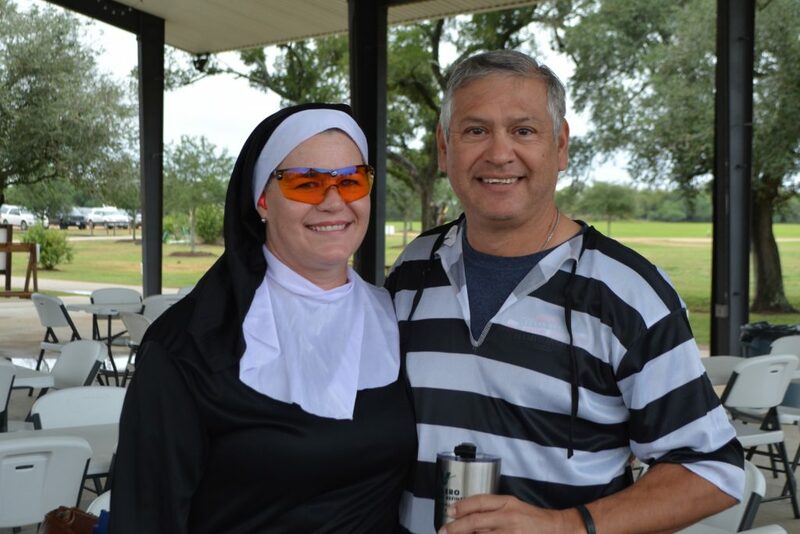 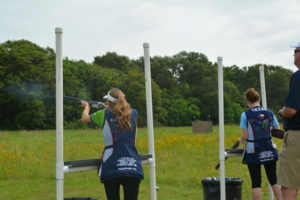 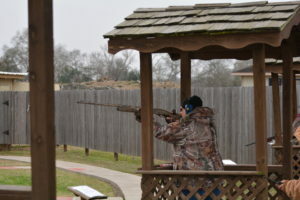 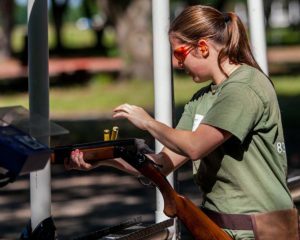 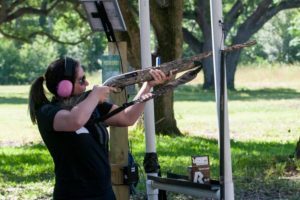 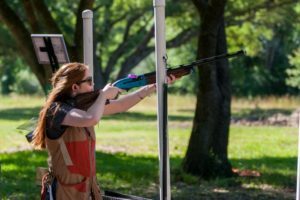 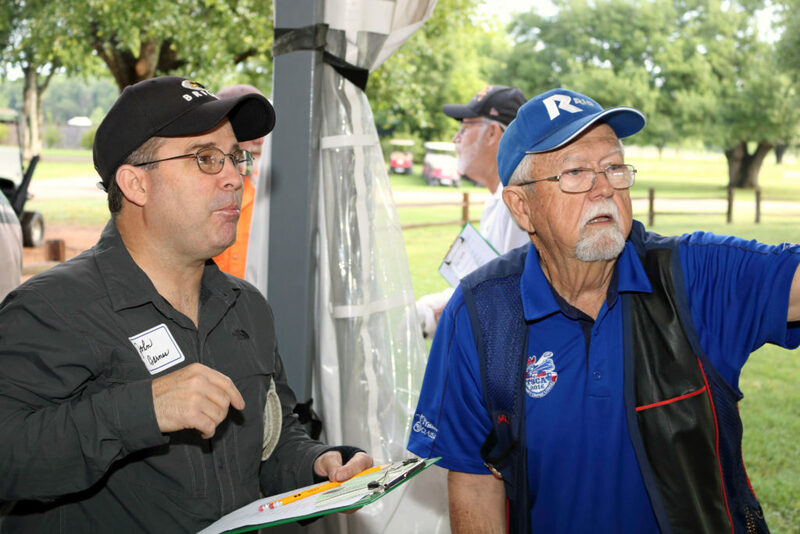 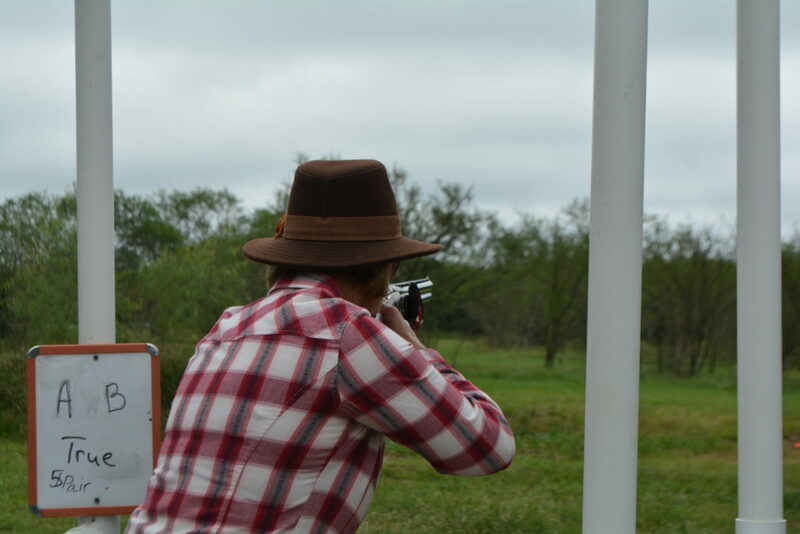 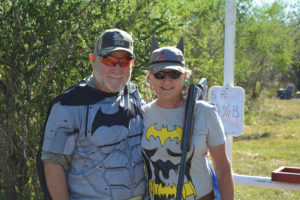 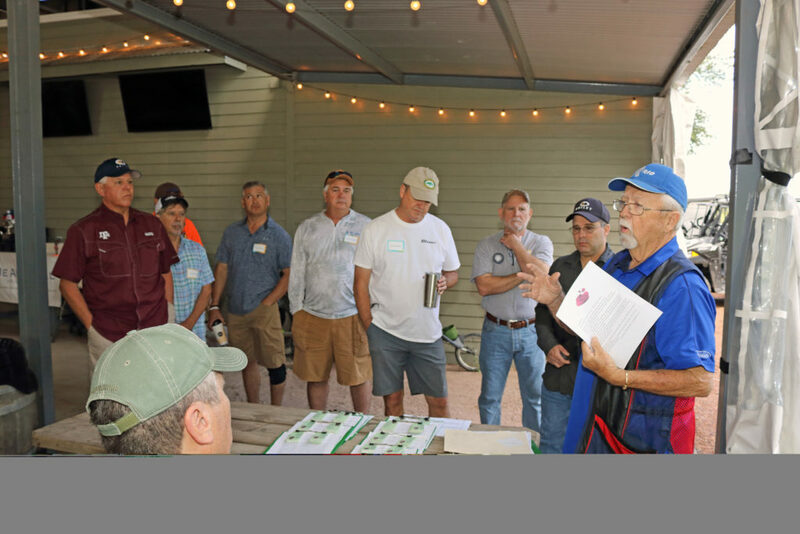 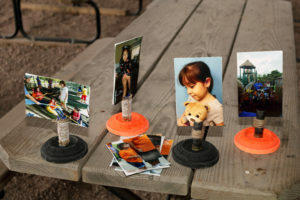 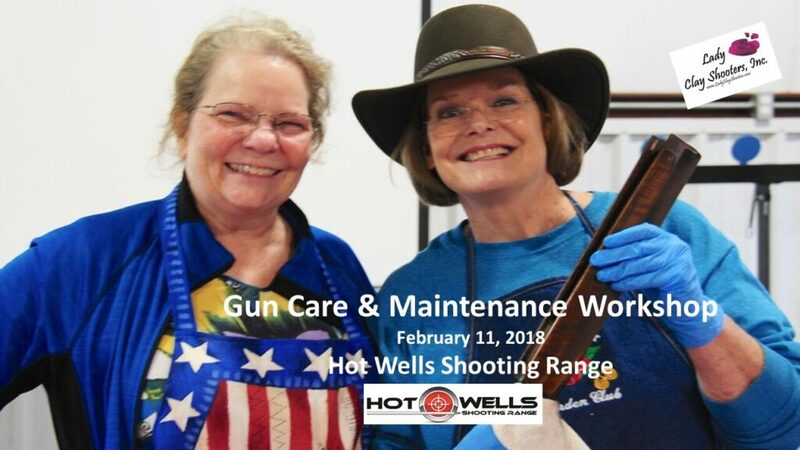 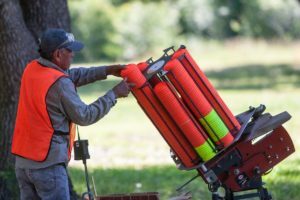 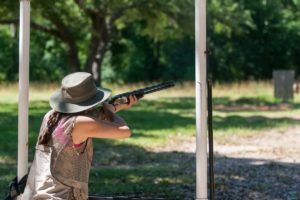 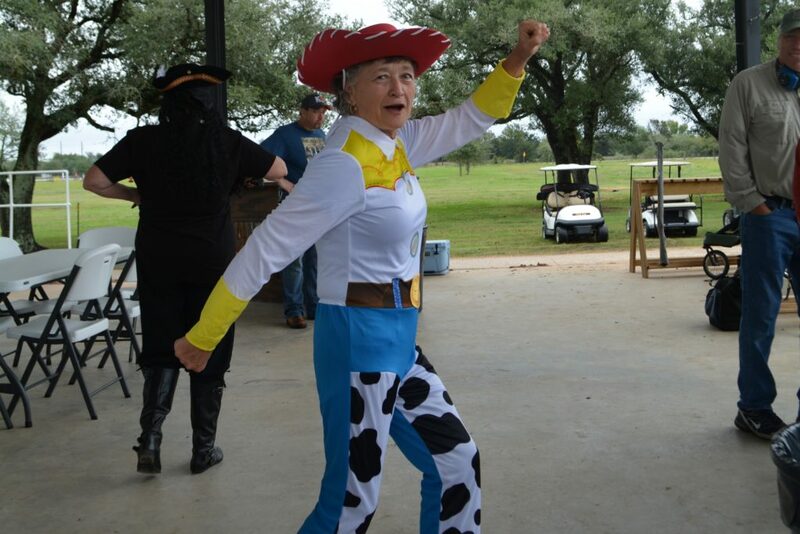 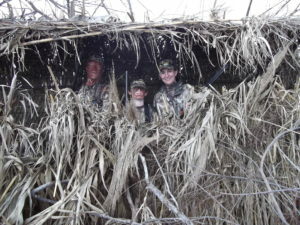 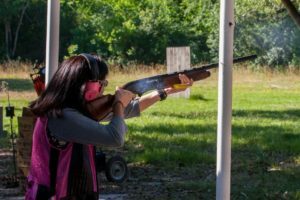 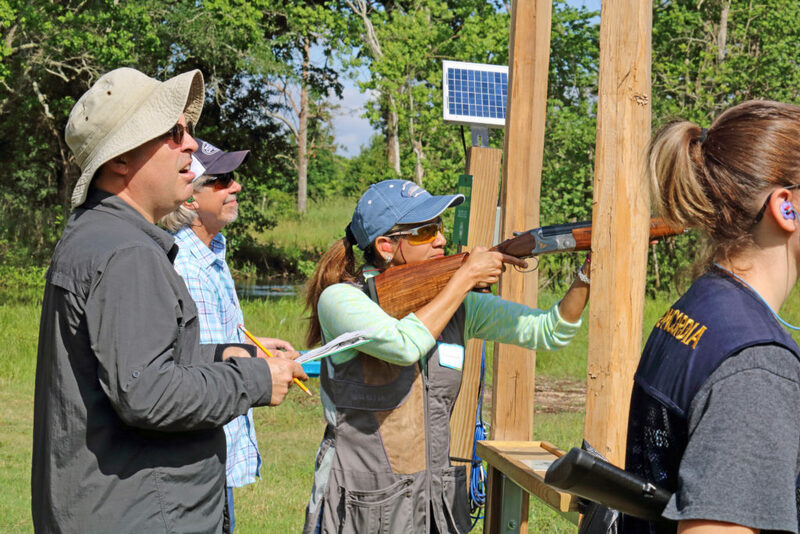 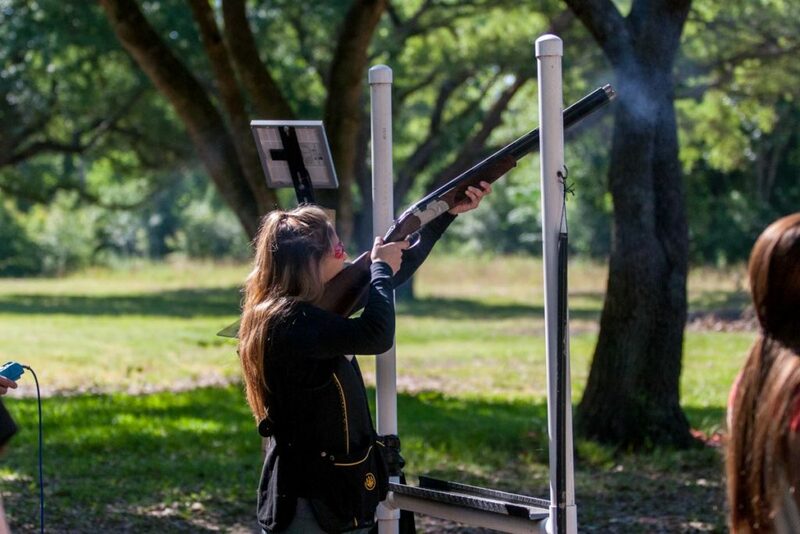 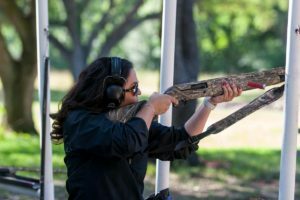 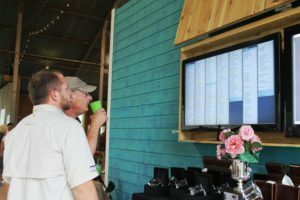 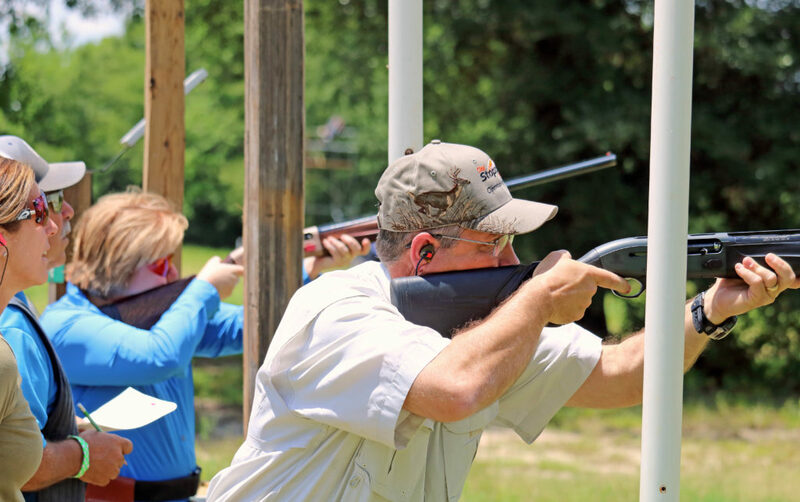 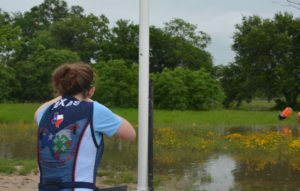 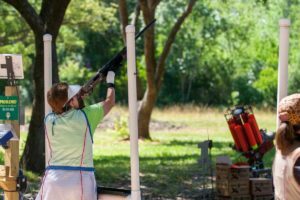 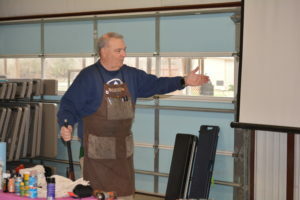 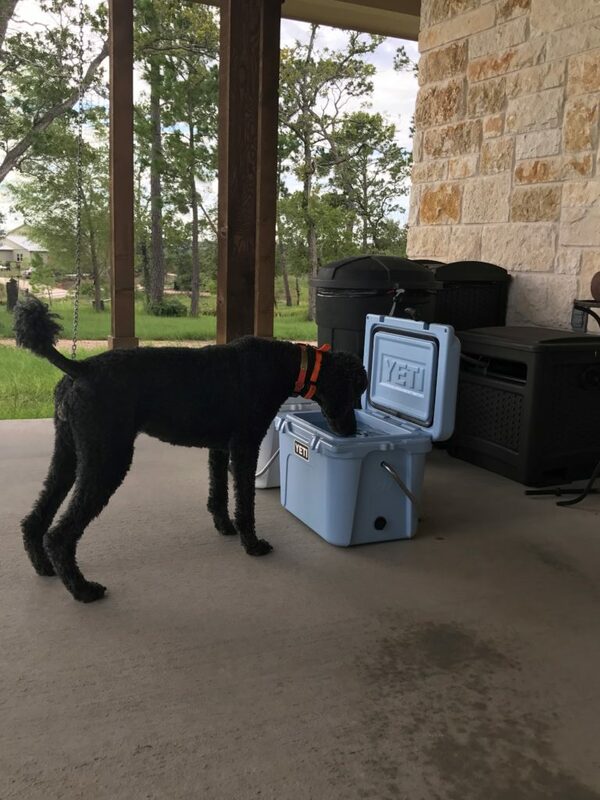 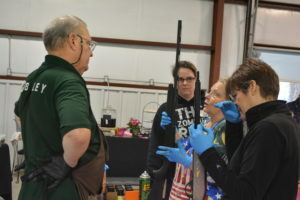 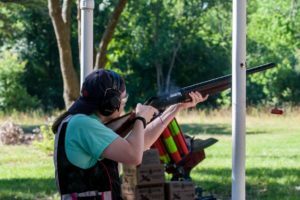 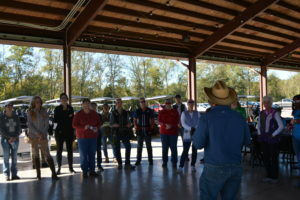 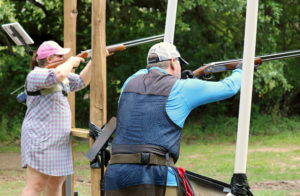 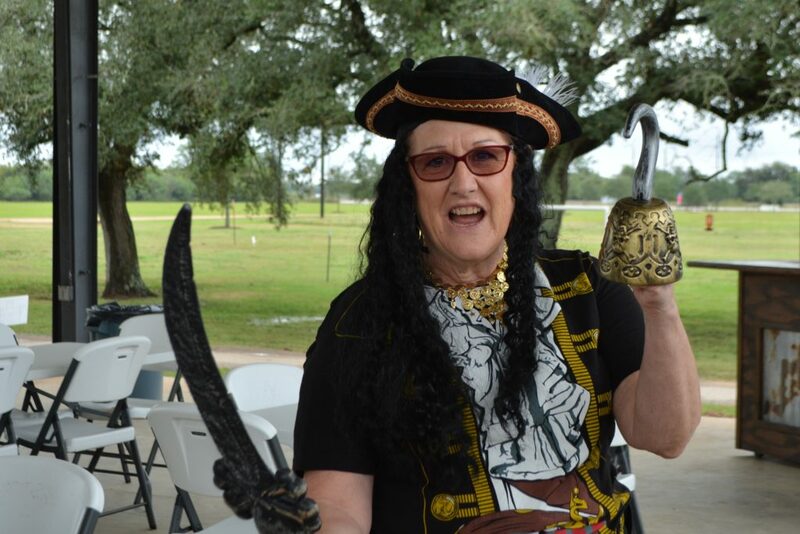 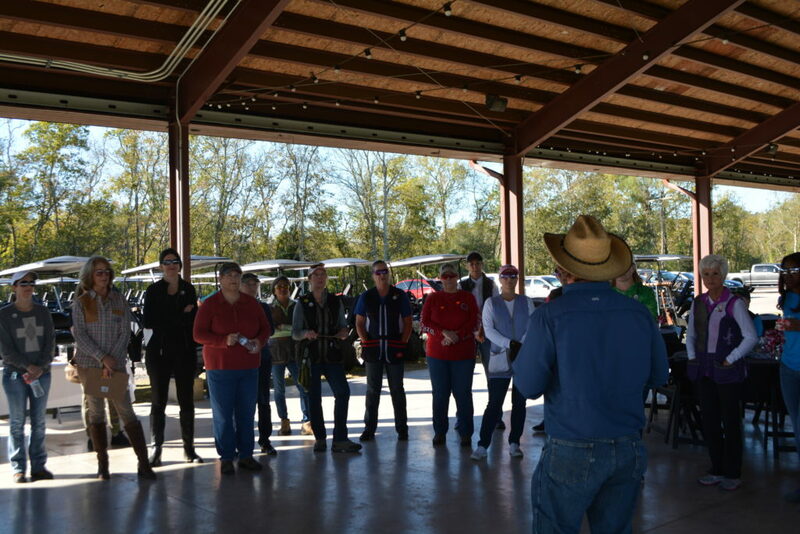 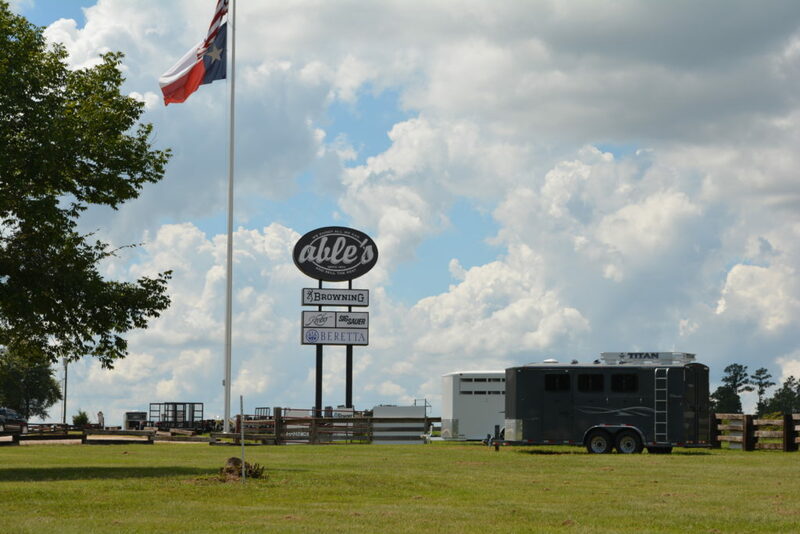 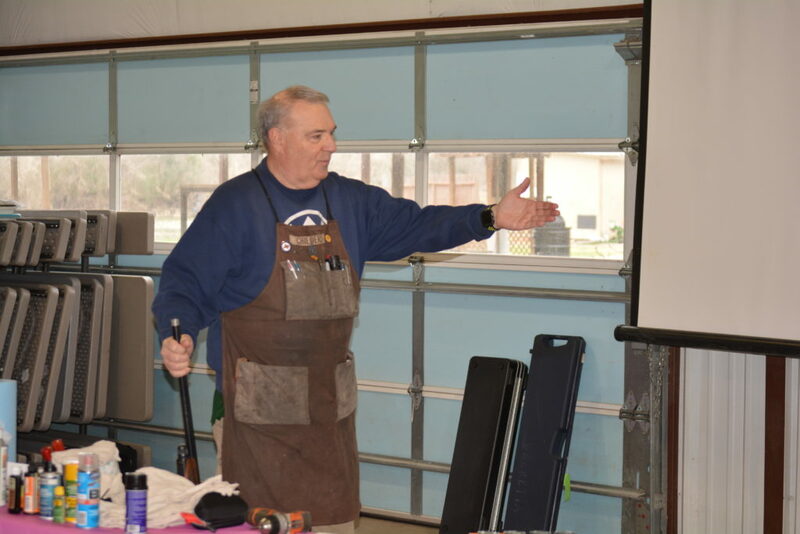 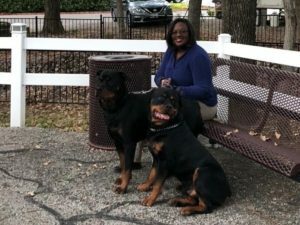 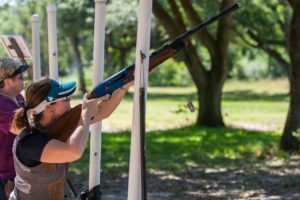 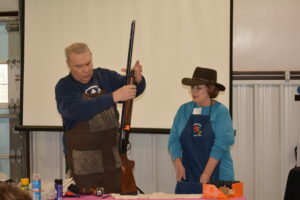 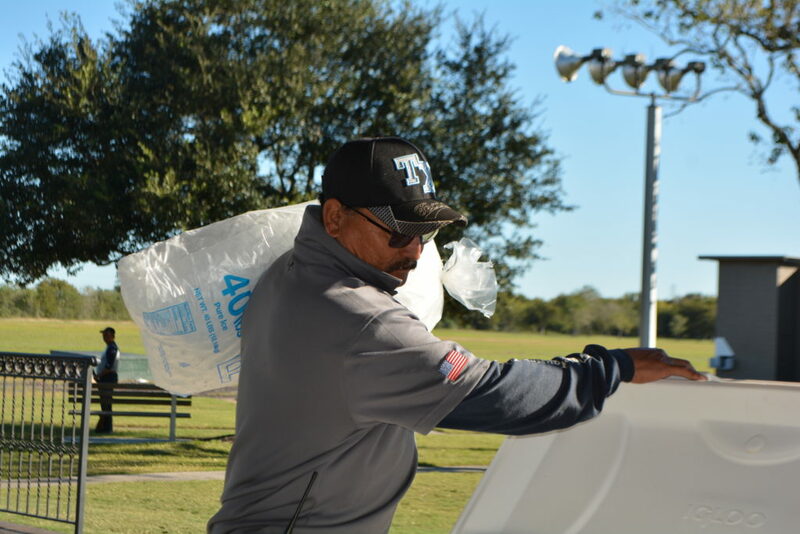 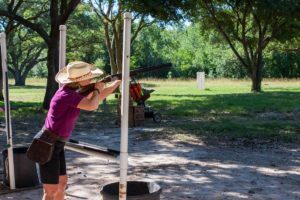 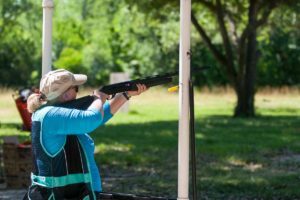 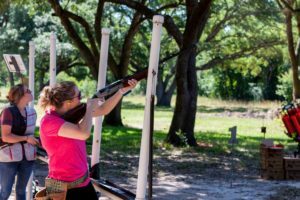 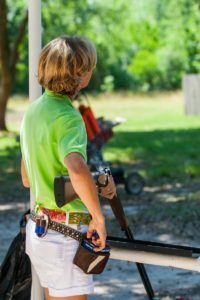 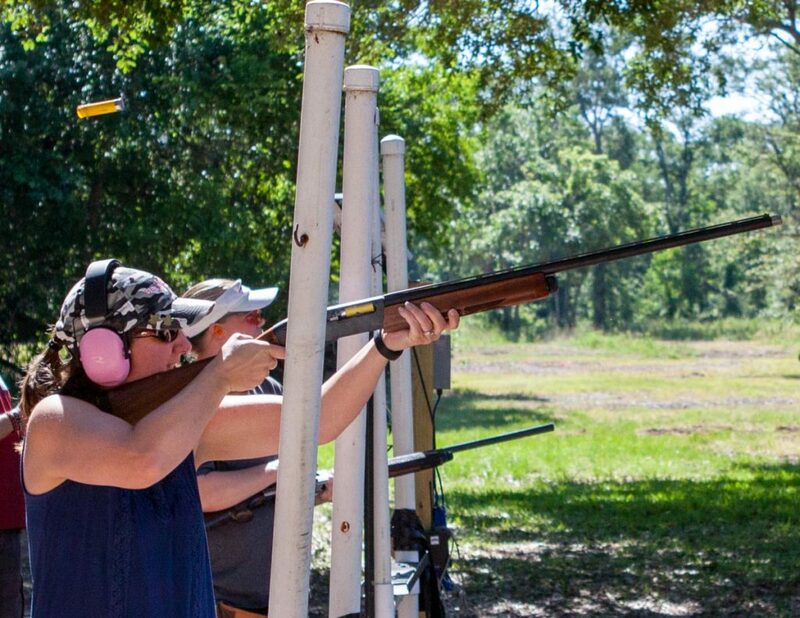 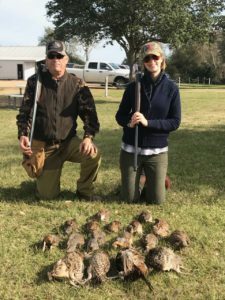 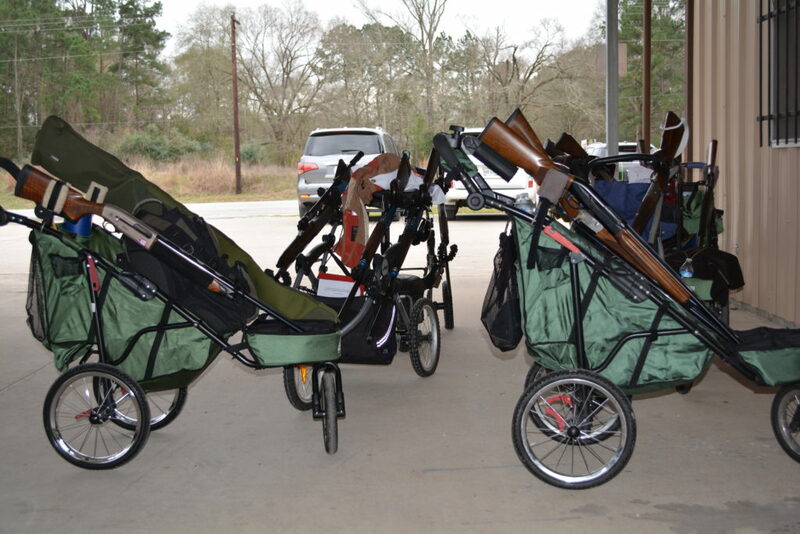 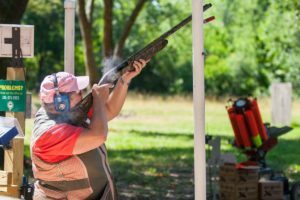 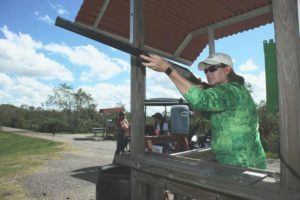 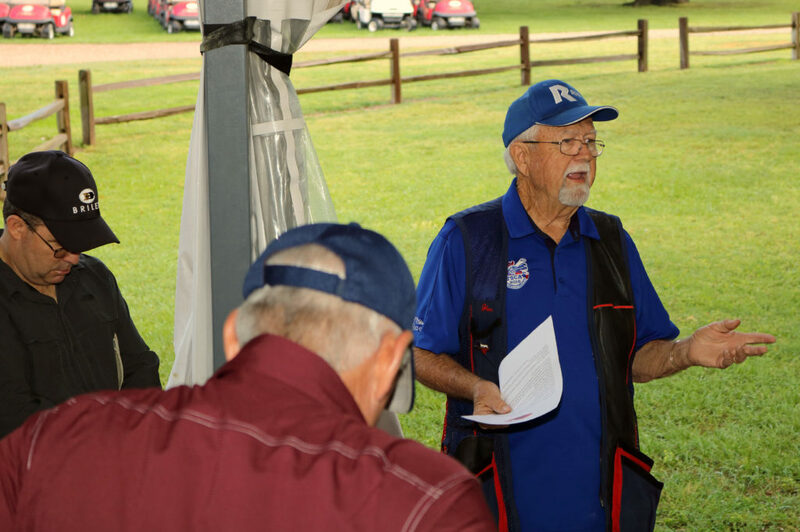 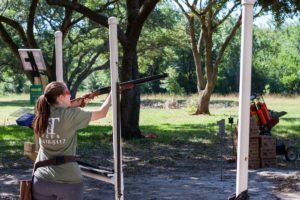 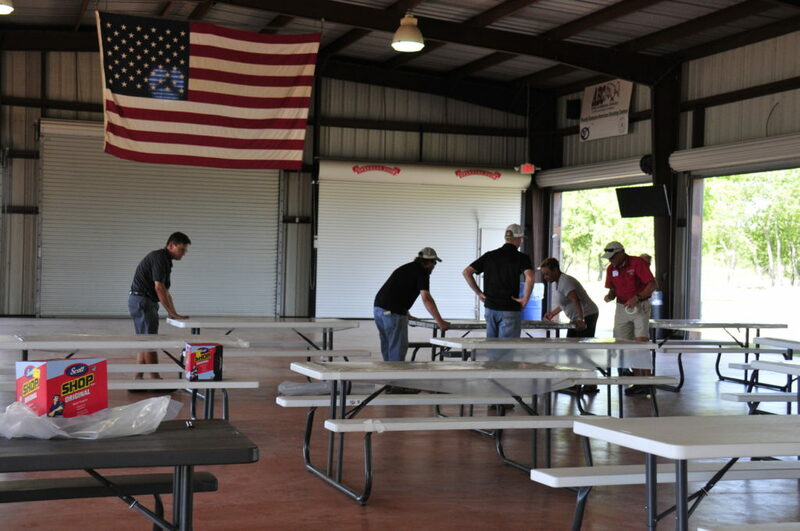 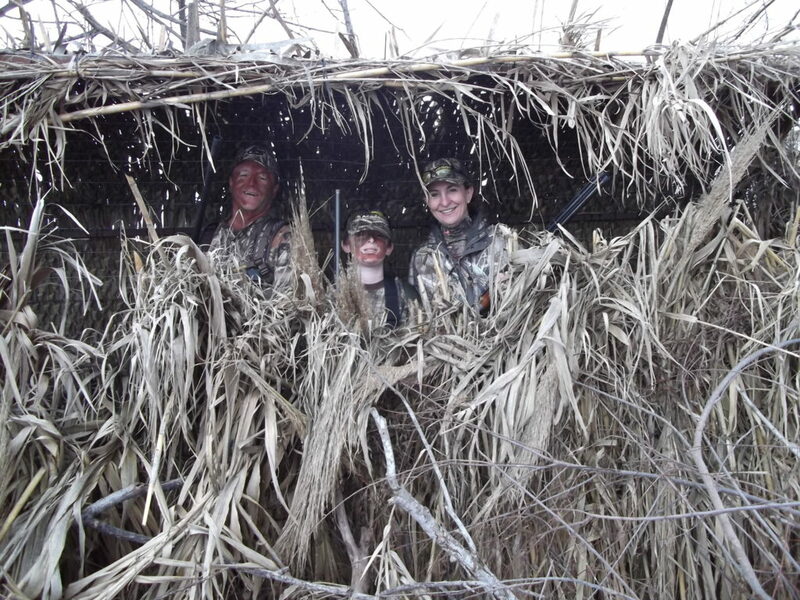 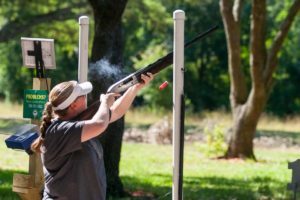 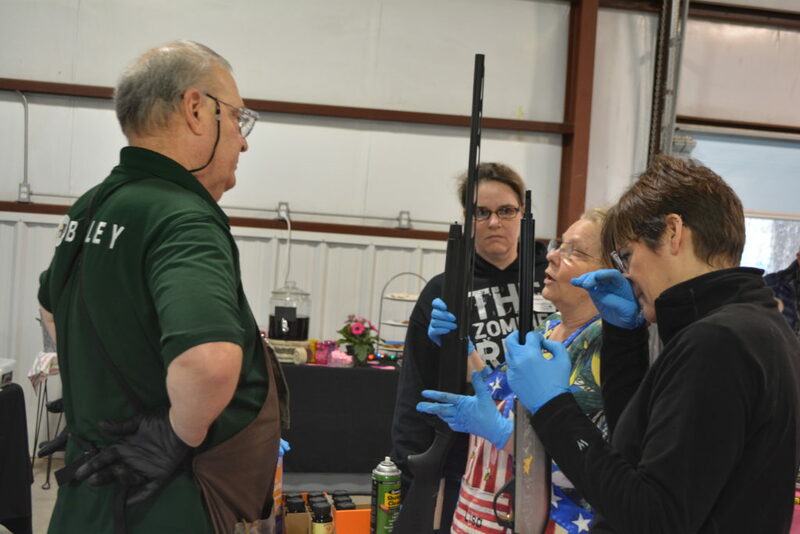 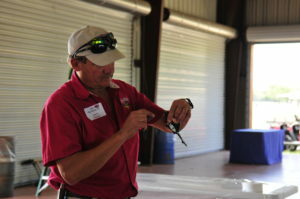 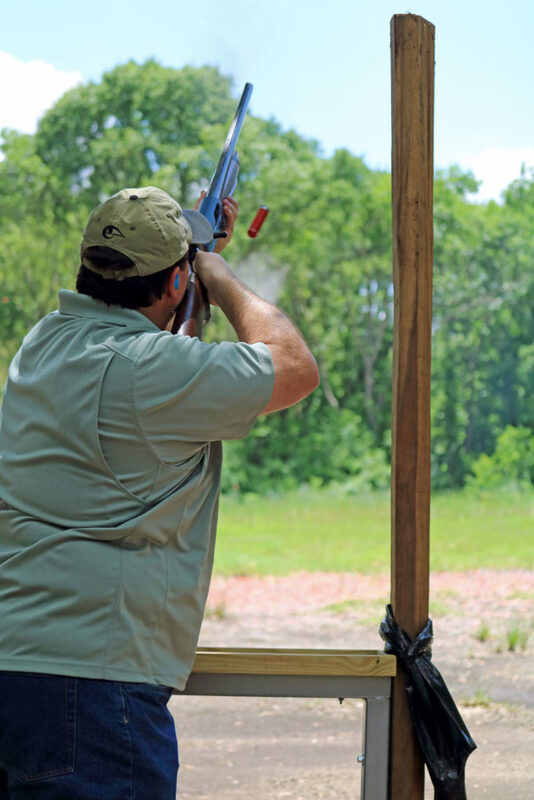 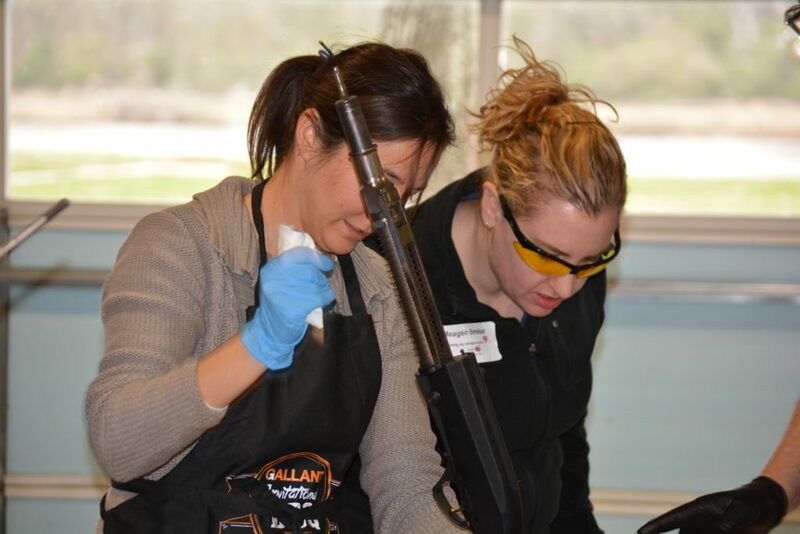 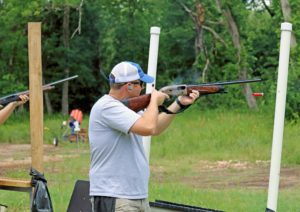 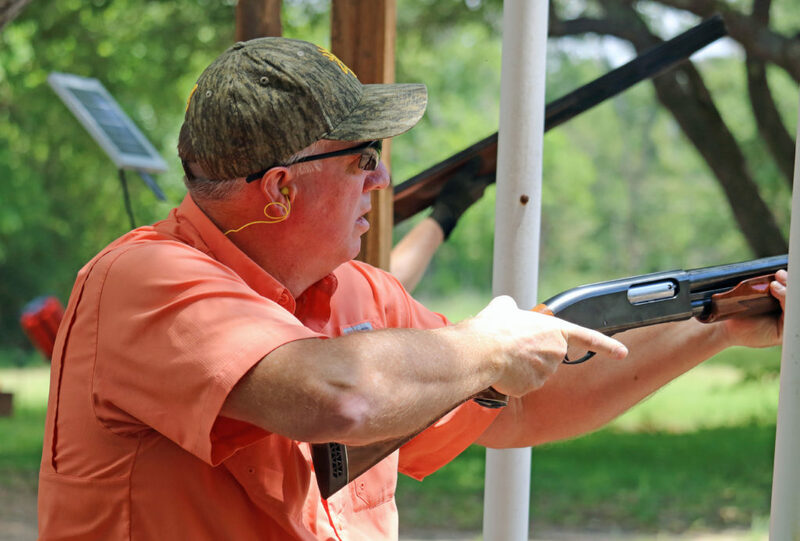 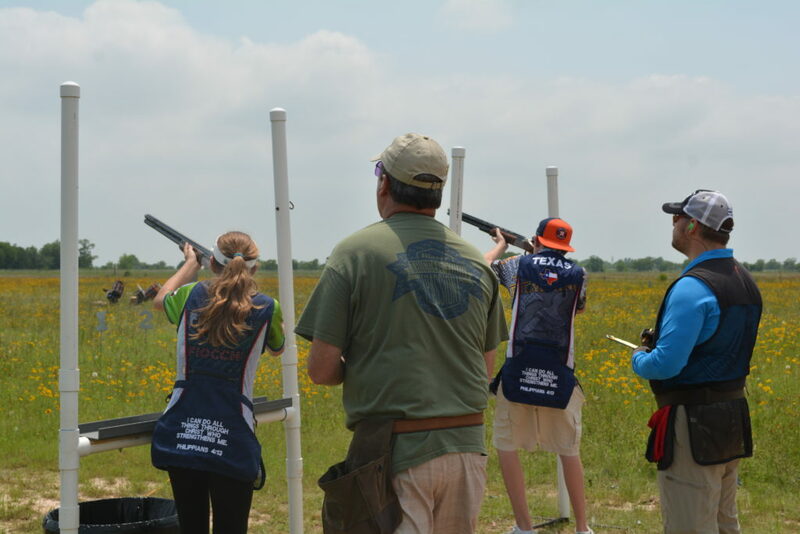 Located in the Houston area, we have access to more than ten shooting ranges and clubs that give us a variety of target presentations and backgrounds. 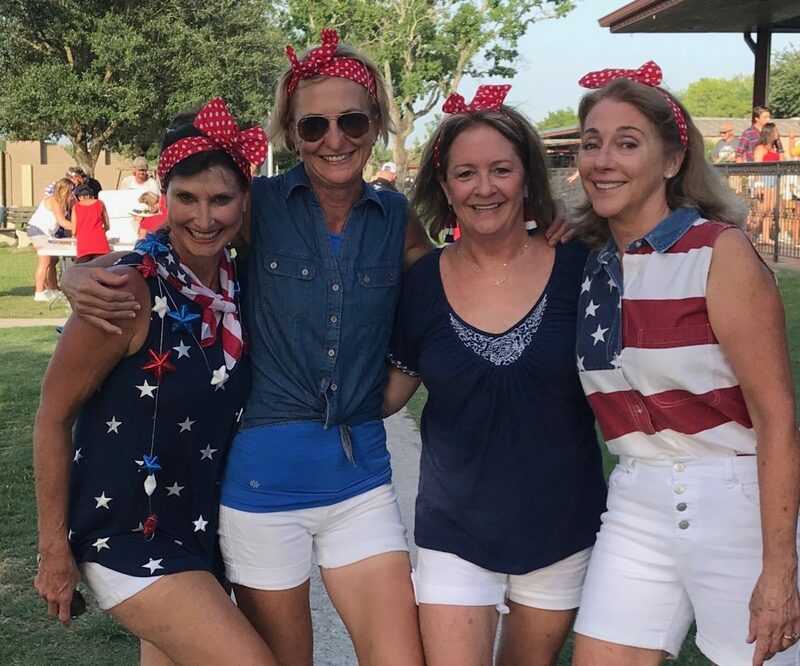 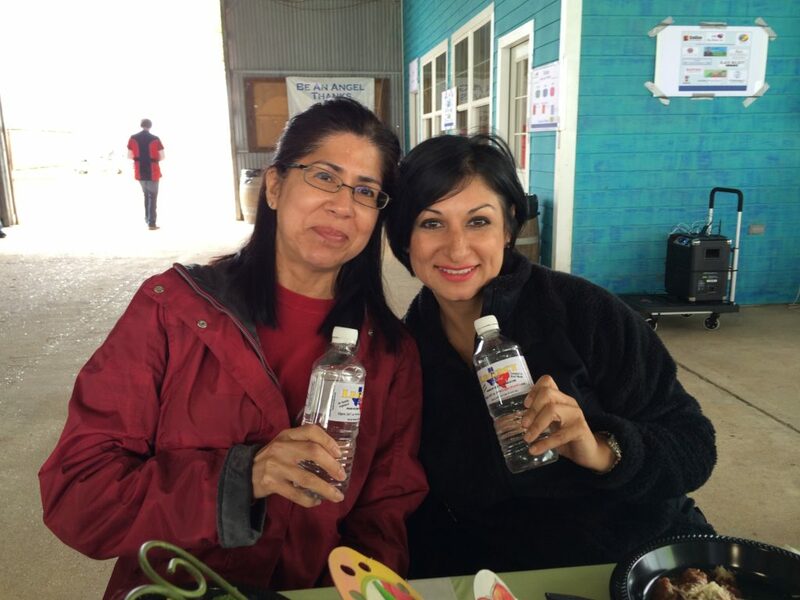 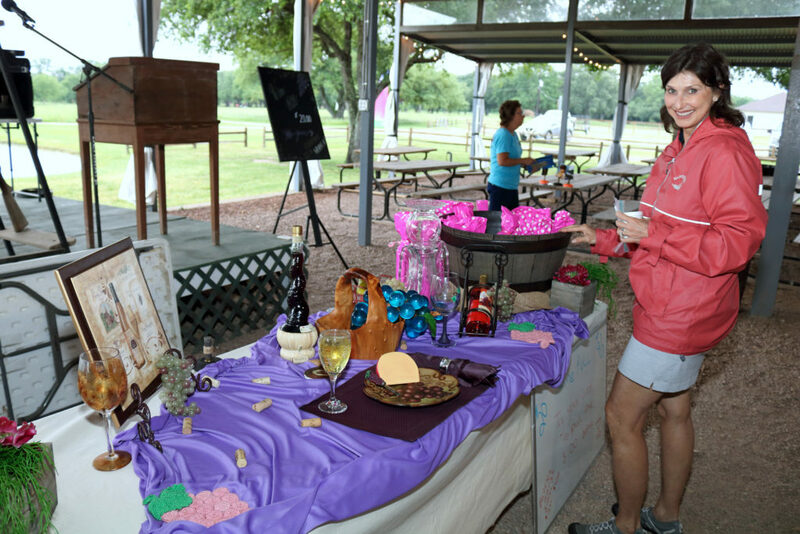 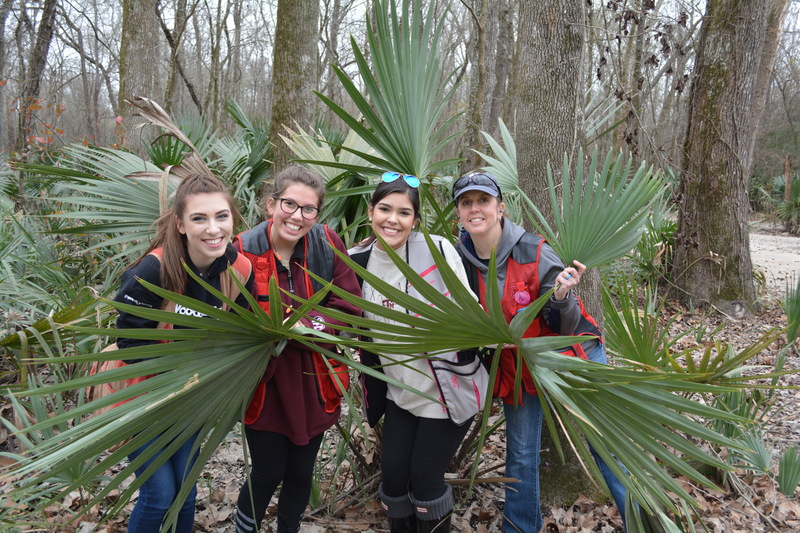 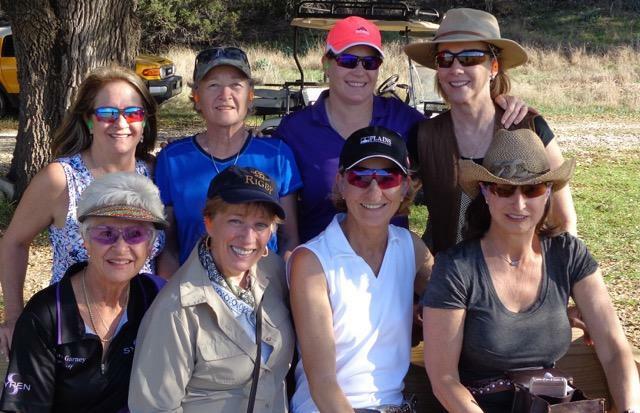 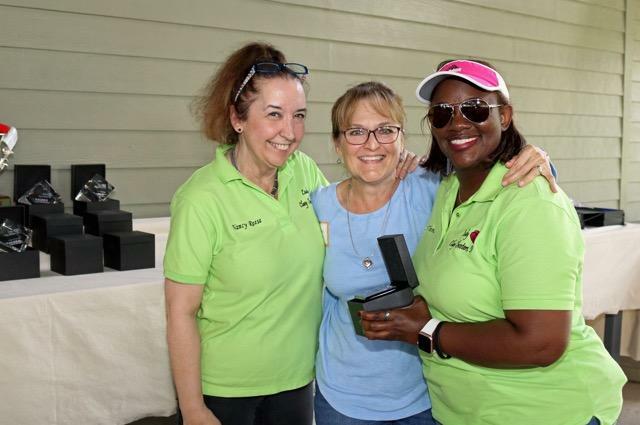 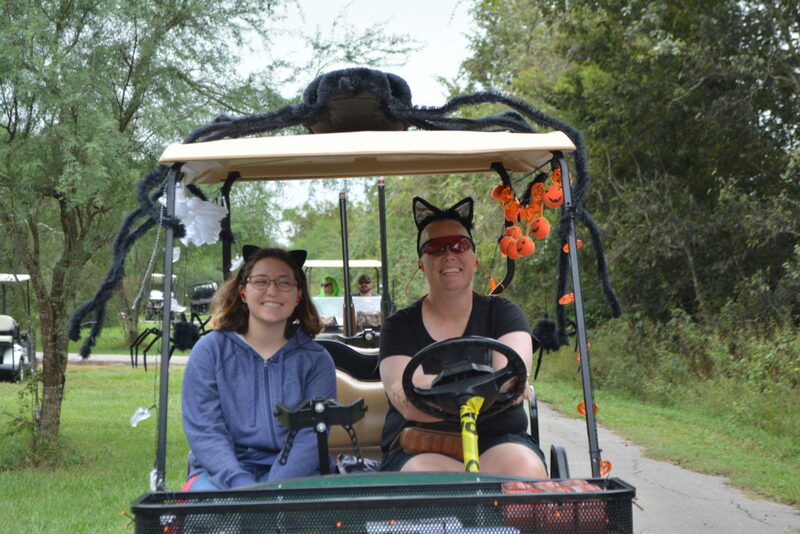 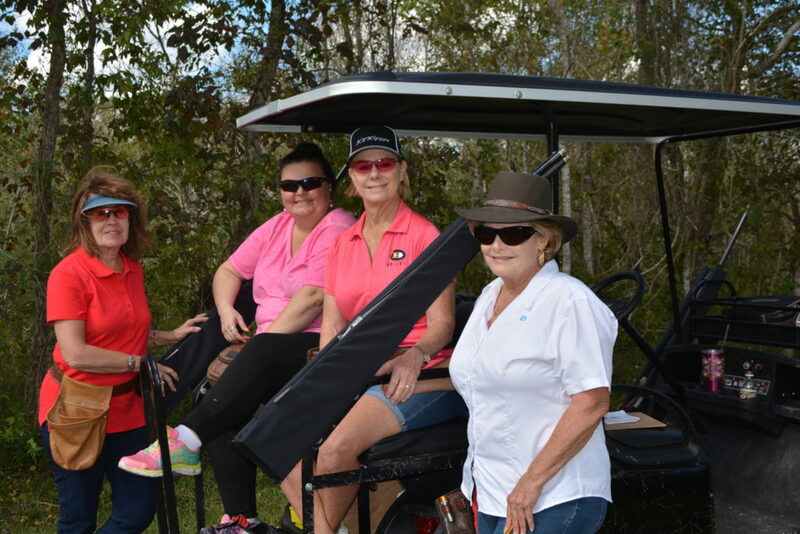 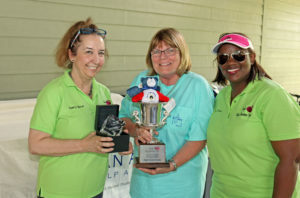 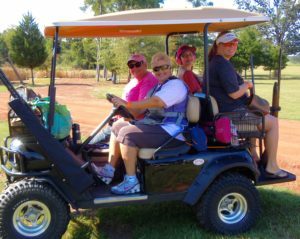 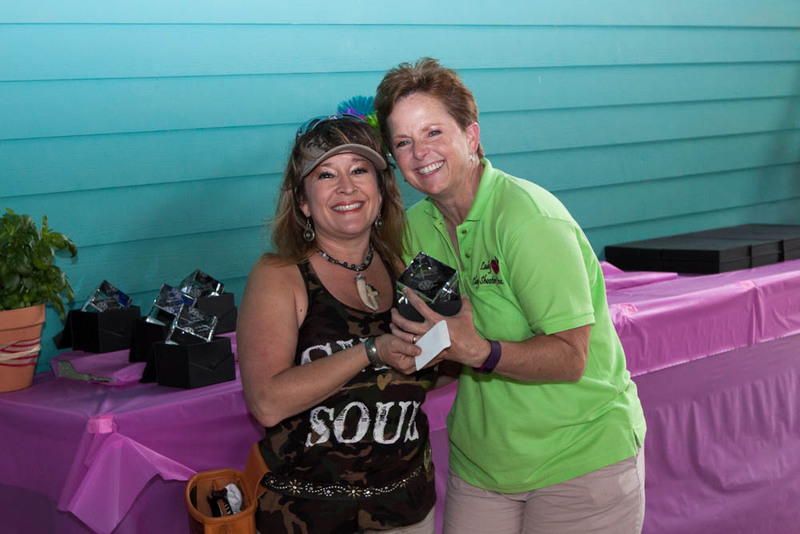 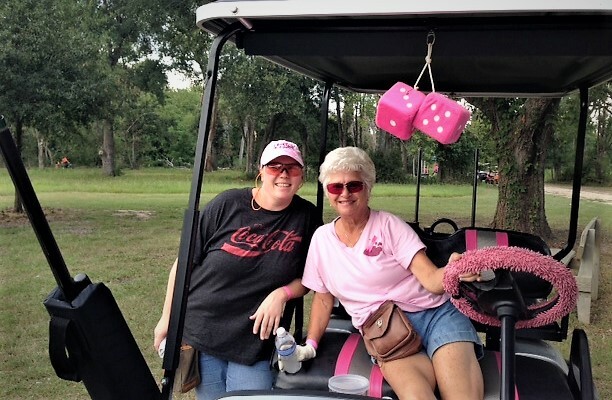 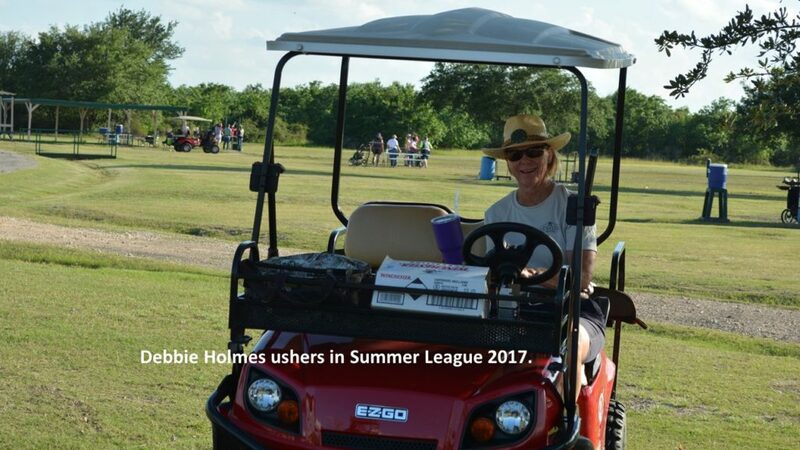 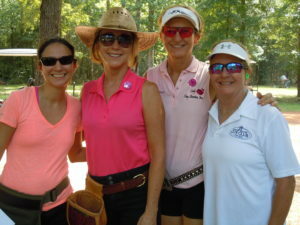 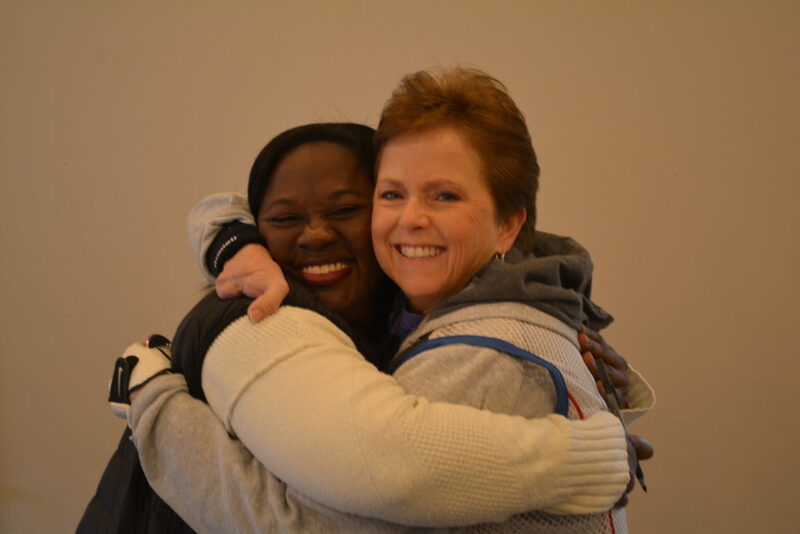 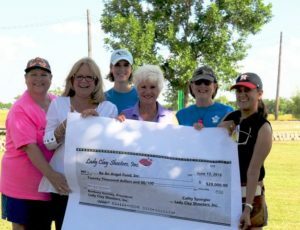 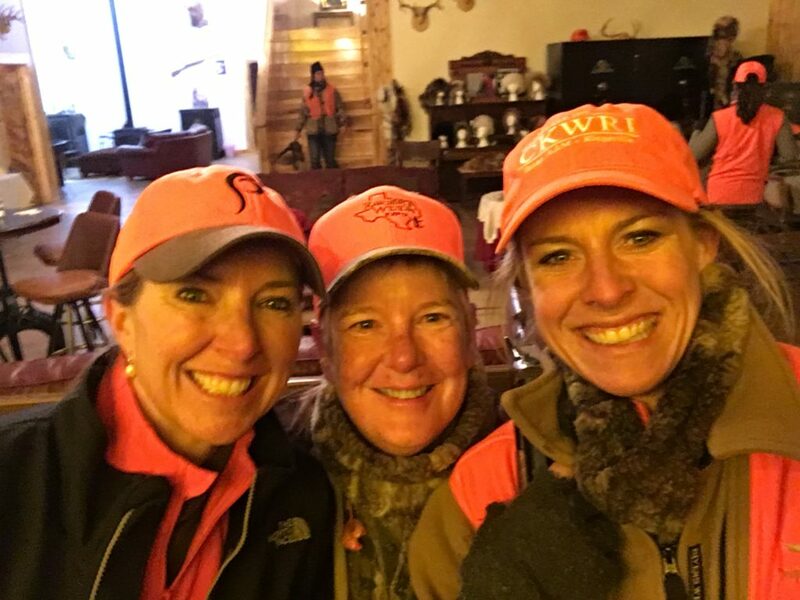 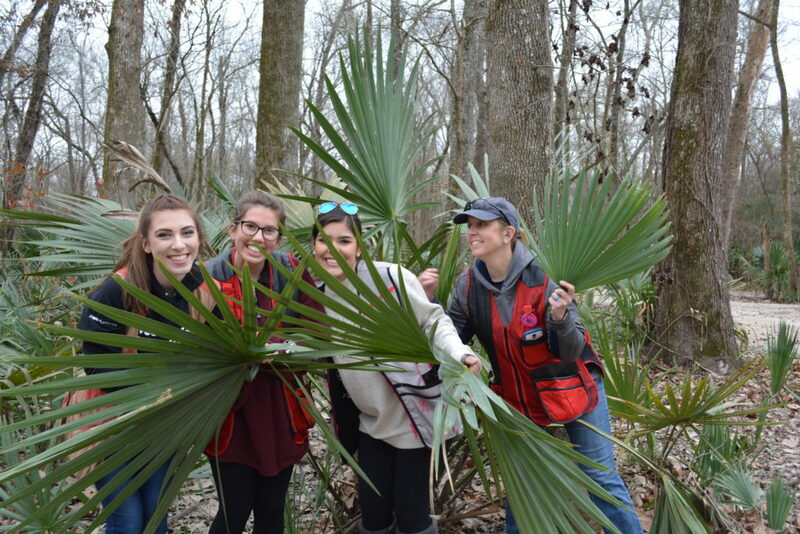 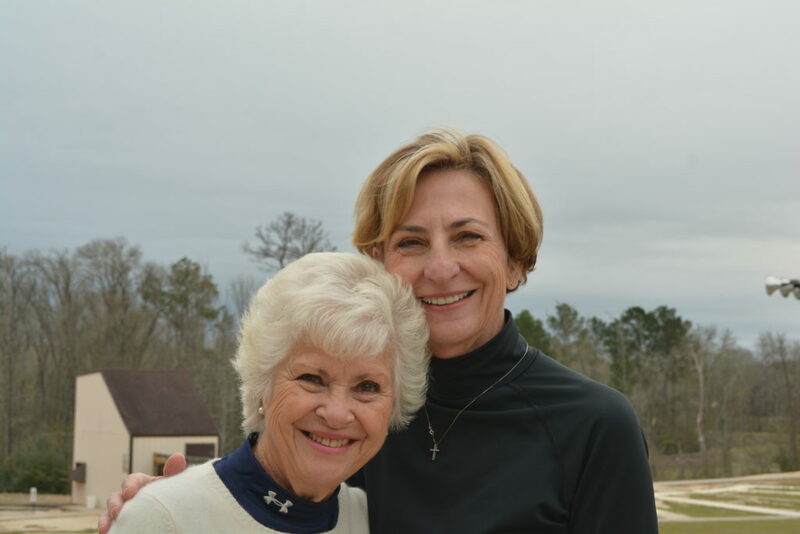 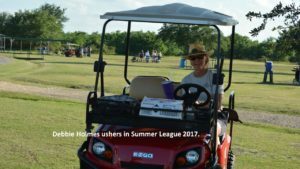 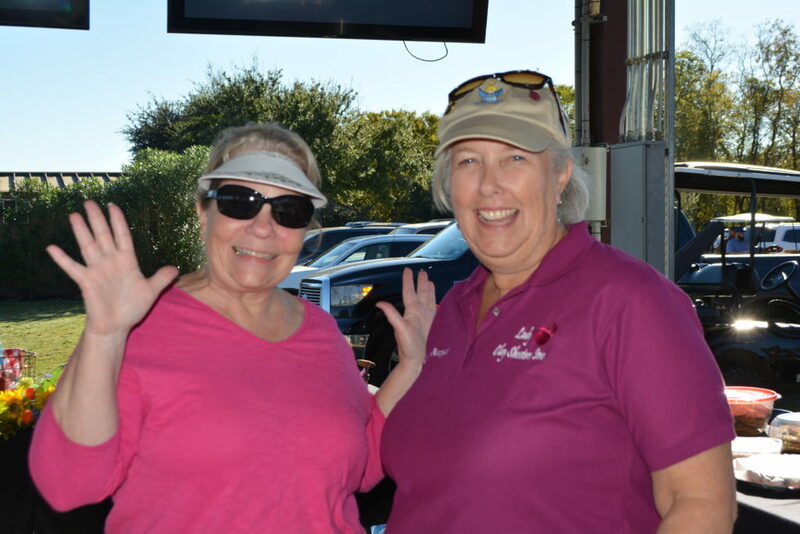 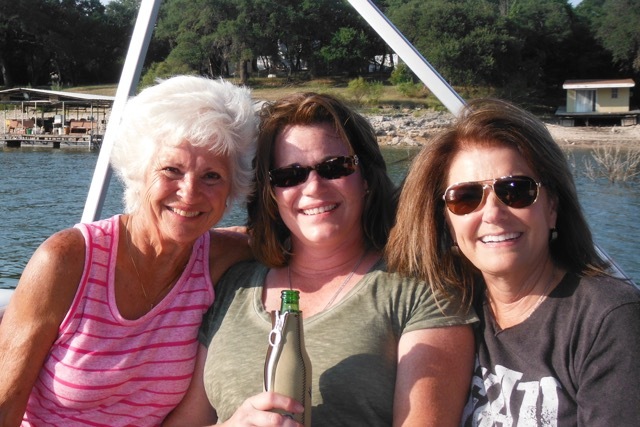 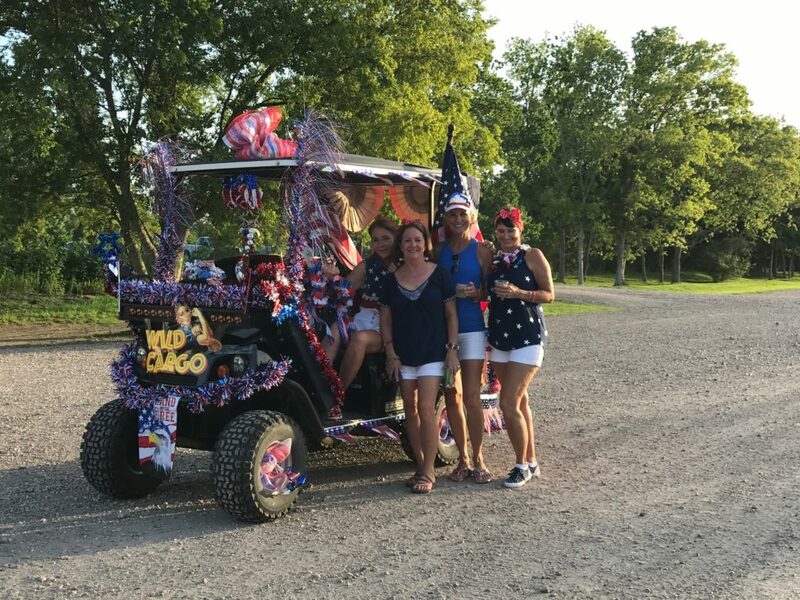 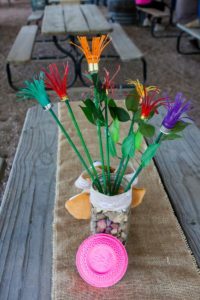 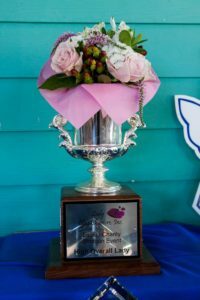 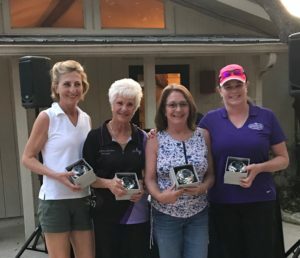 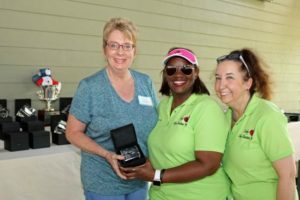 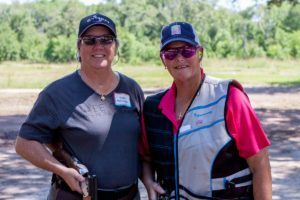 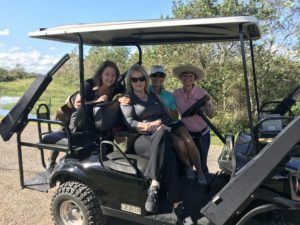 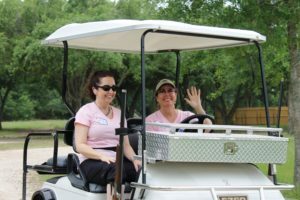 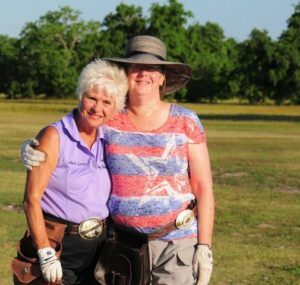 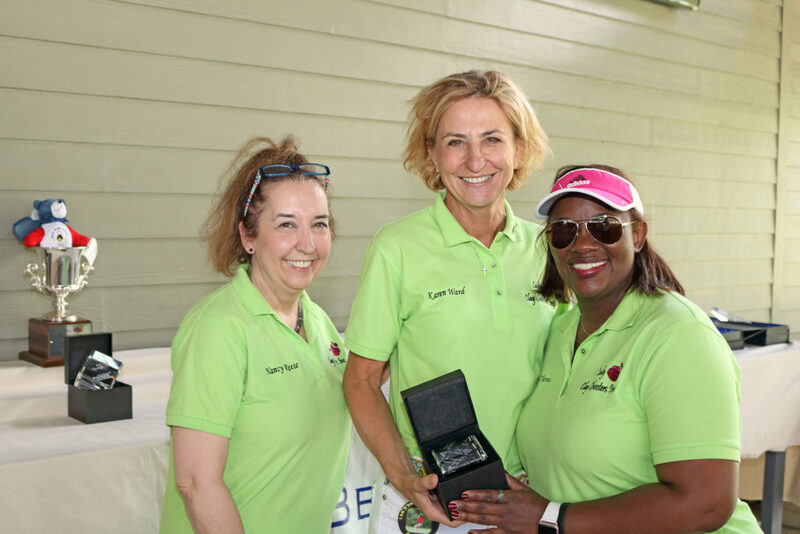 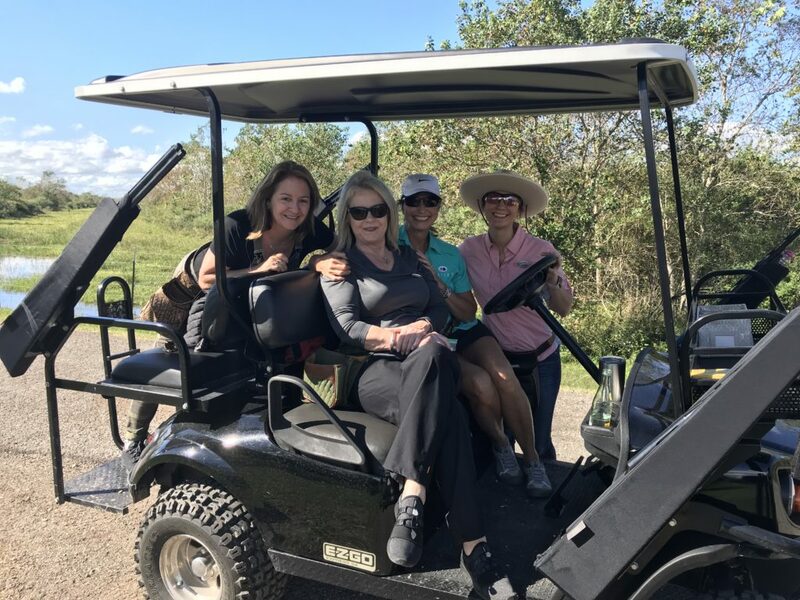 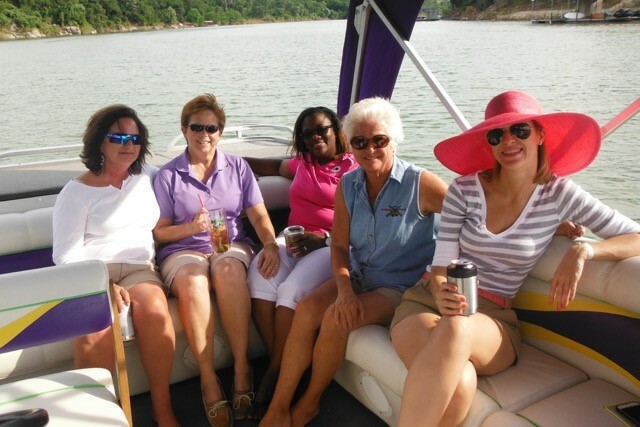 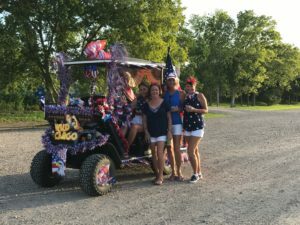 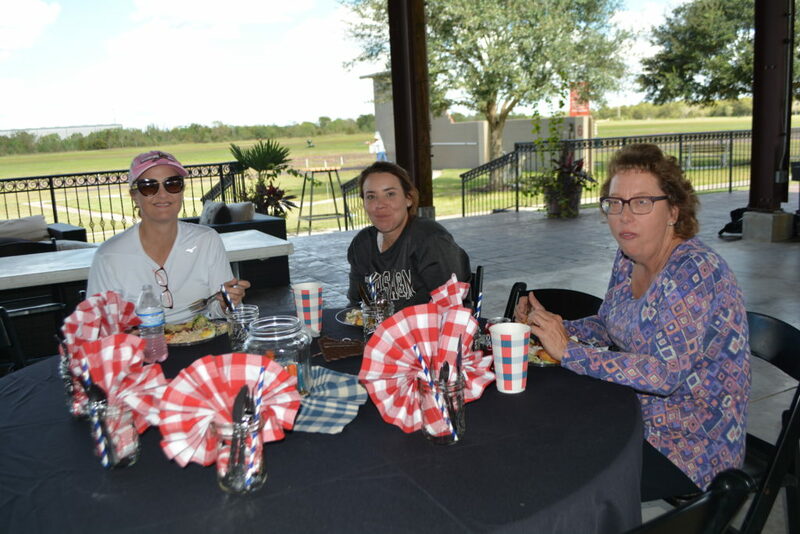 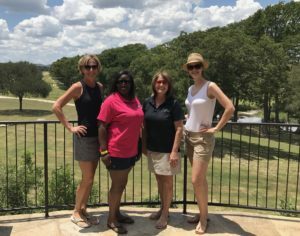 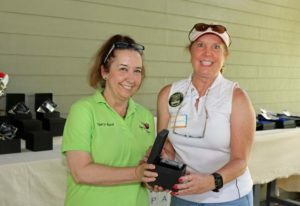 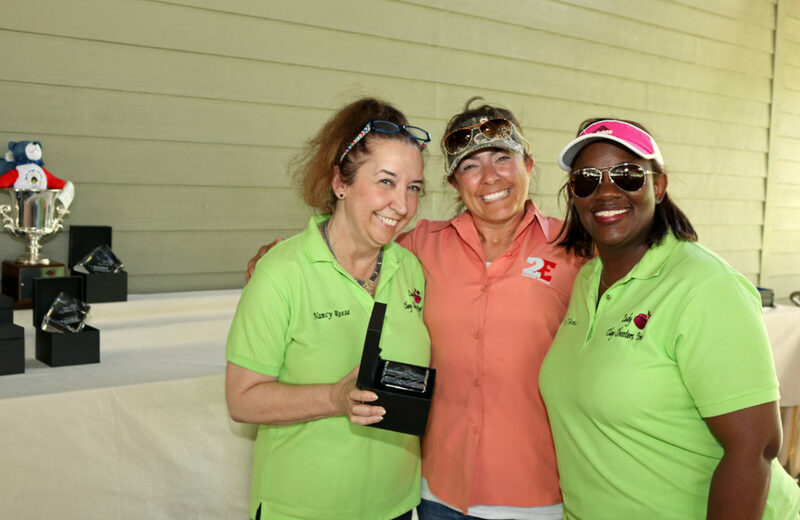 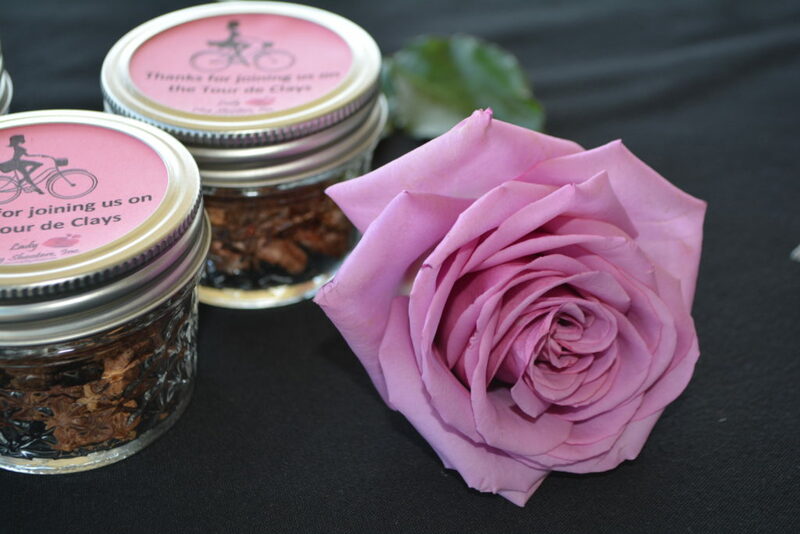 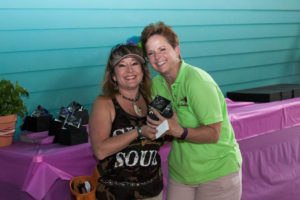 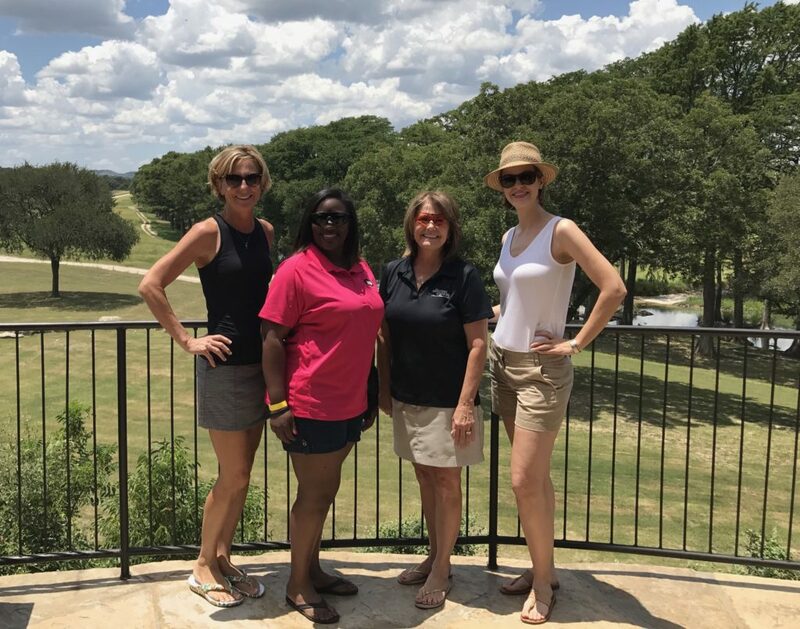 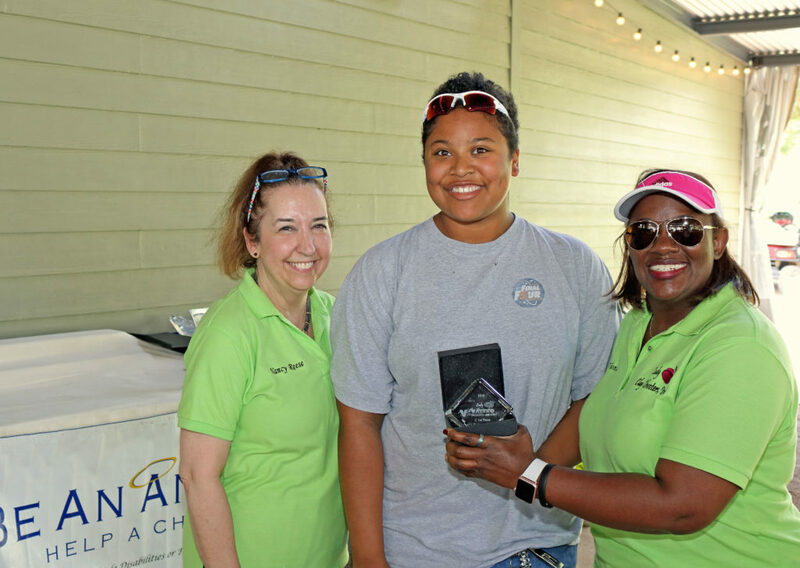 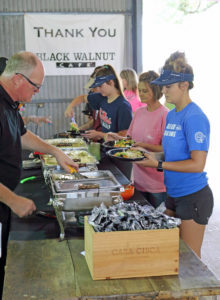 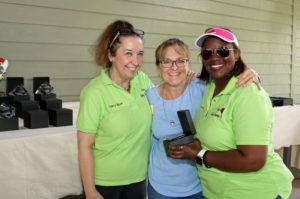 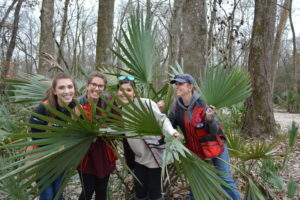 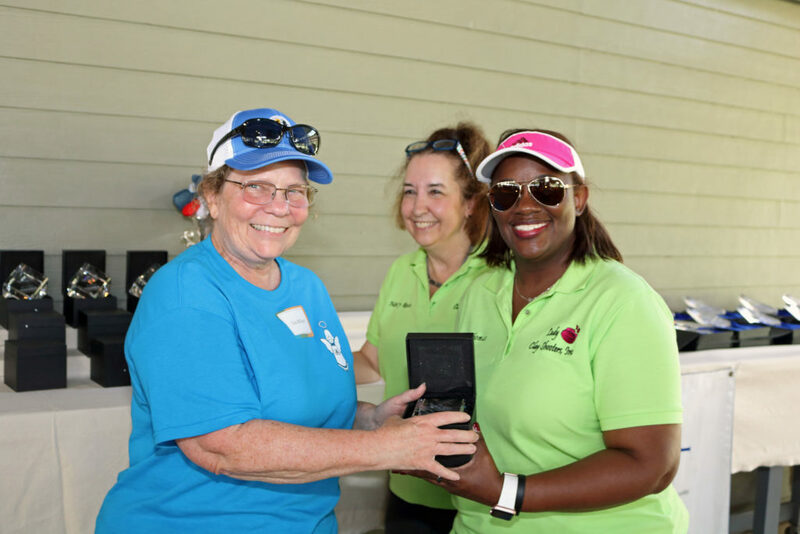 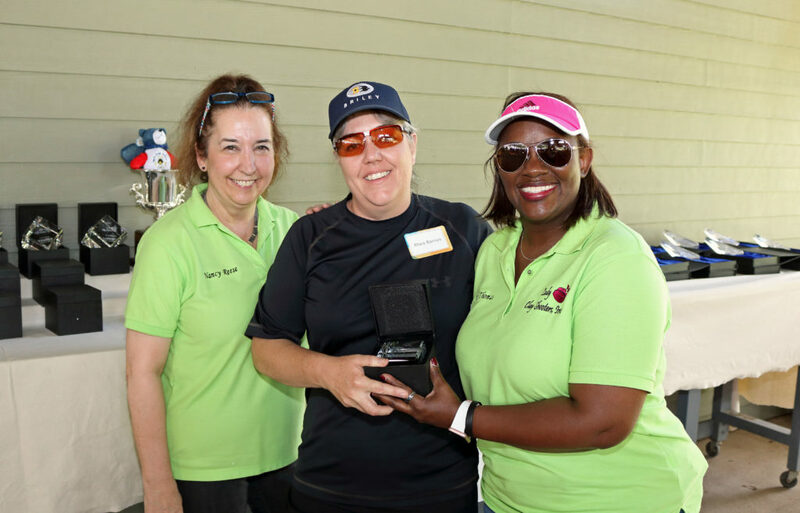 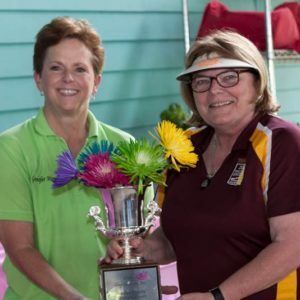 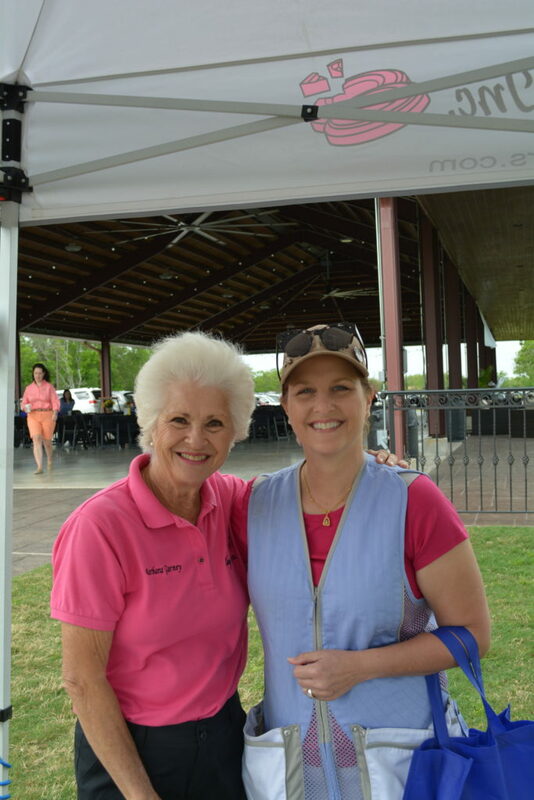 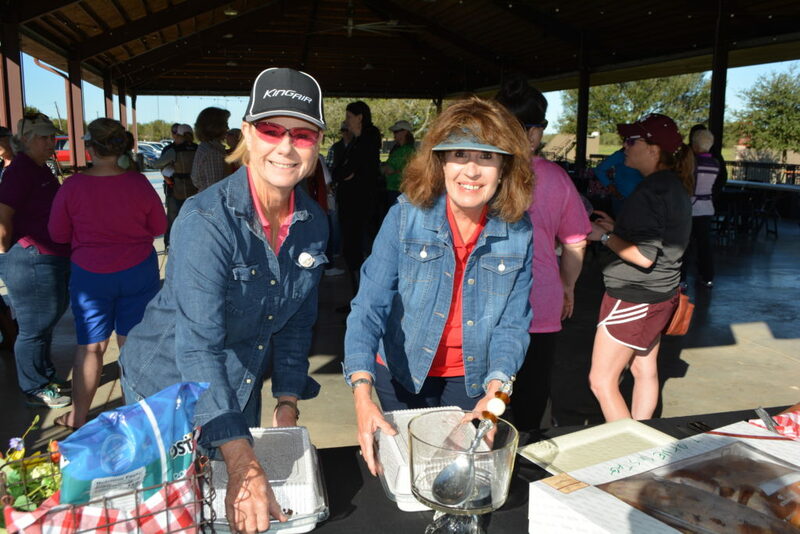 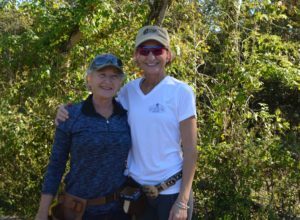 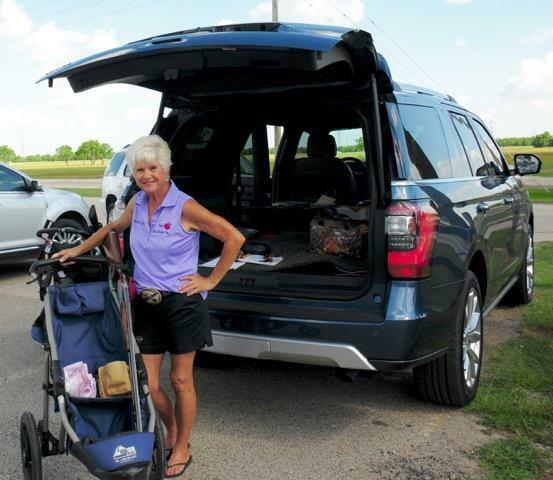 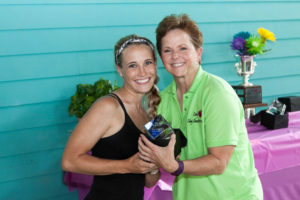 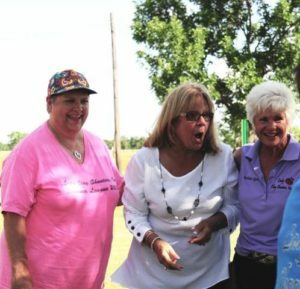 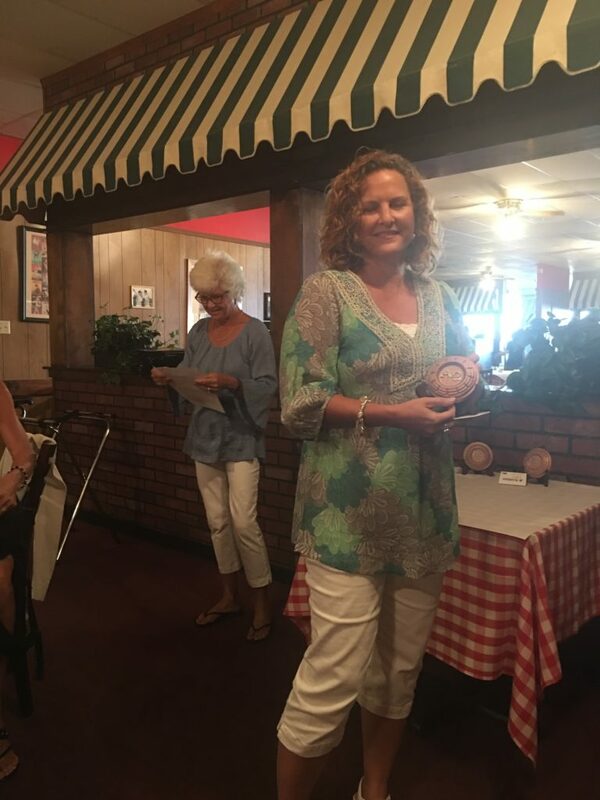 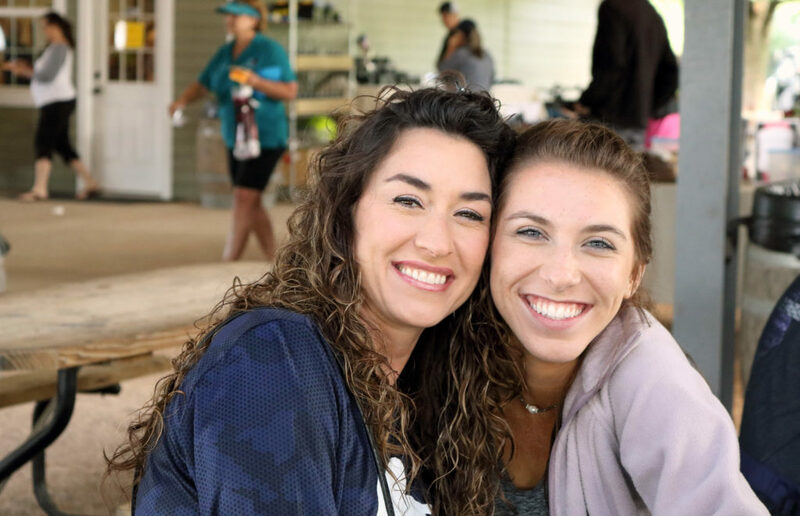 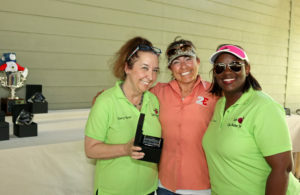 Although our intention is to break every clay on the course, our group of ladies is also about networking and building life-long friendships. 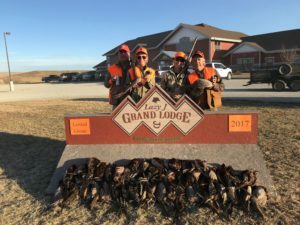 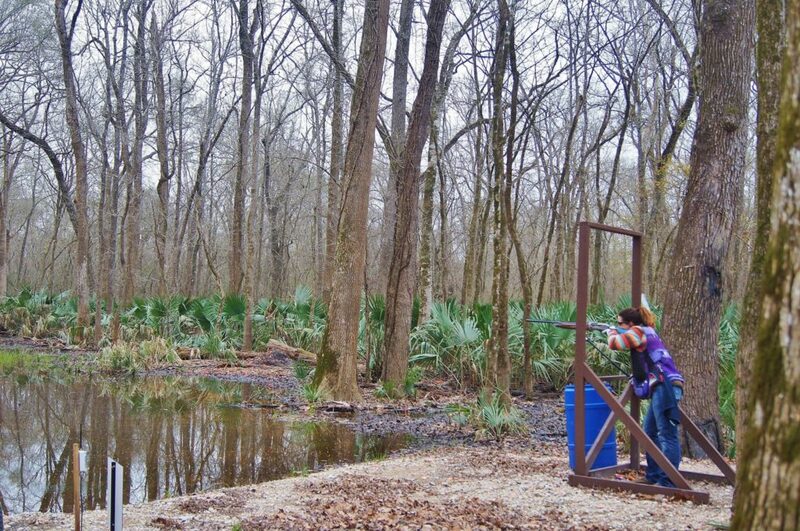 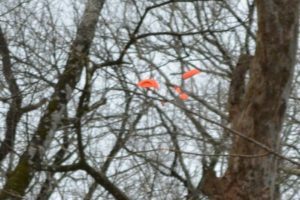 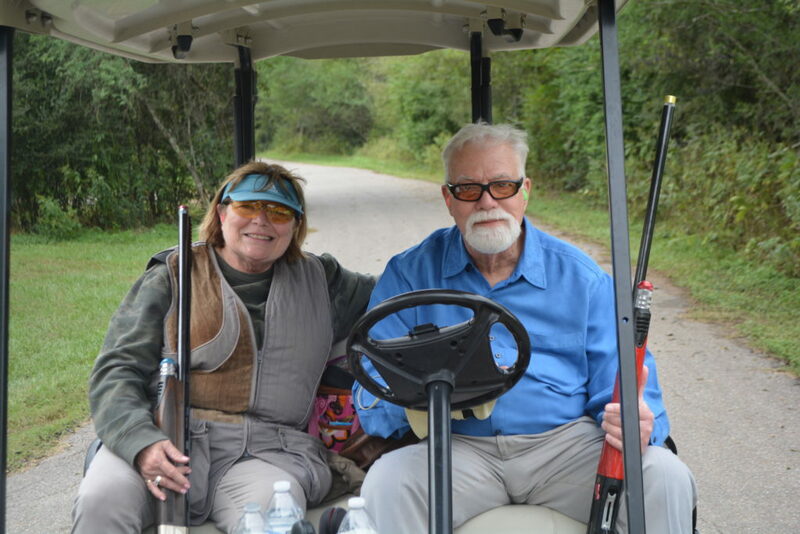 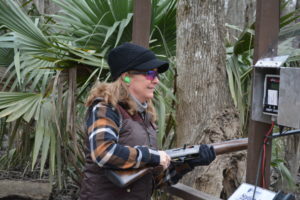 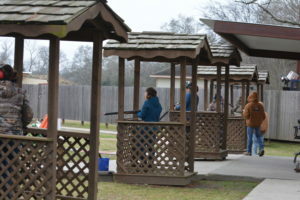 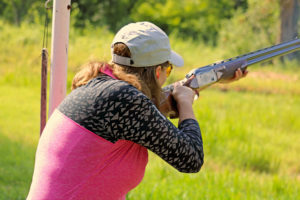 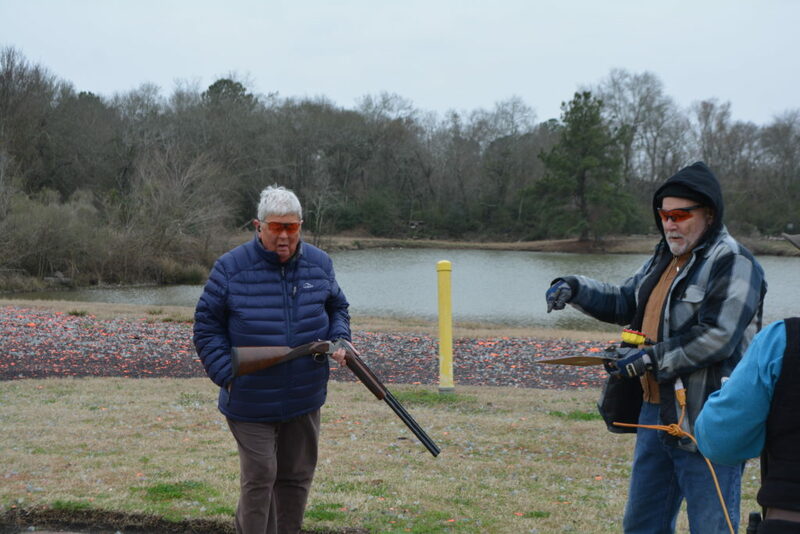 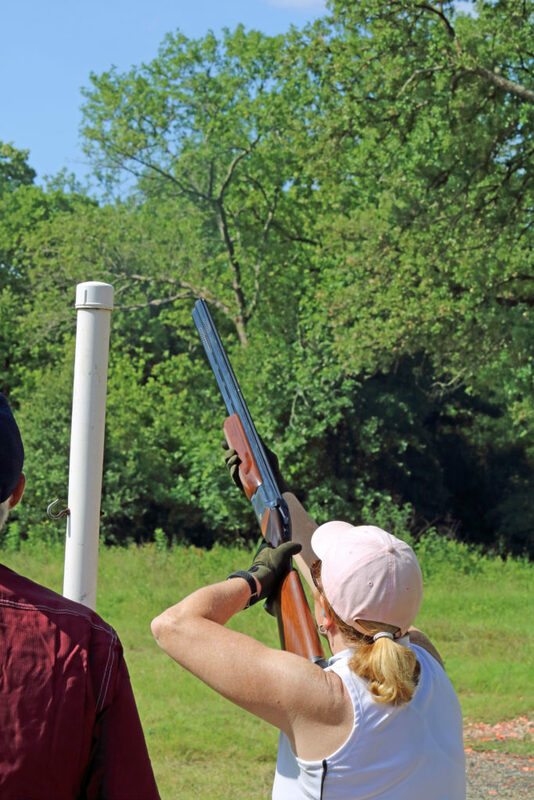 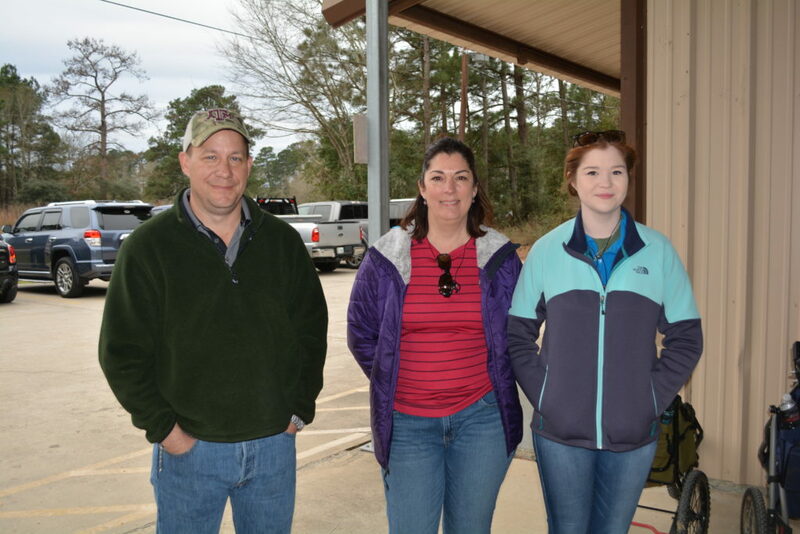 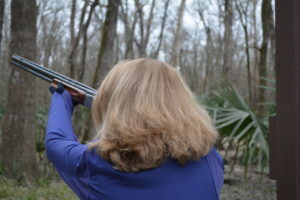 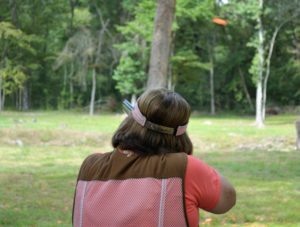 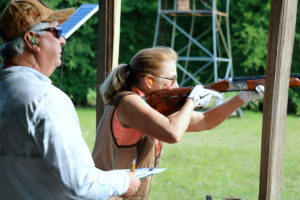 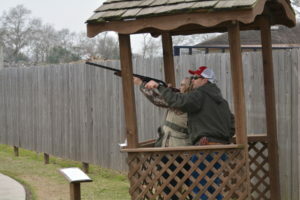 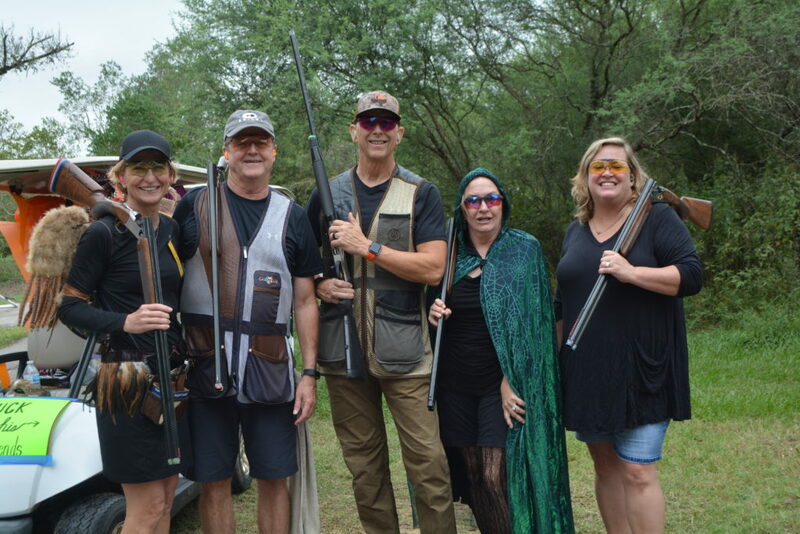 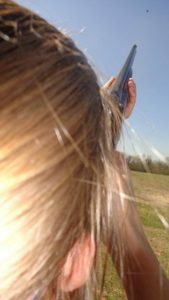 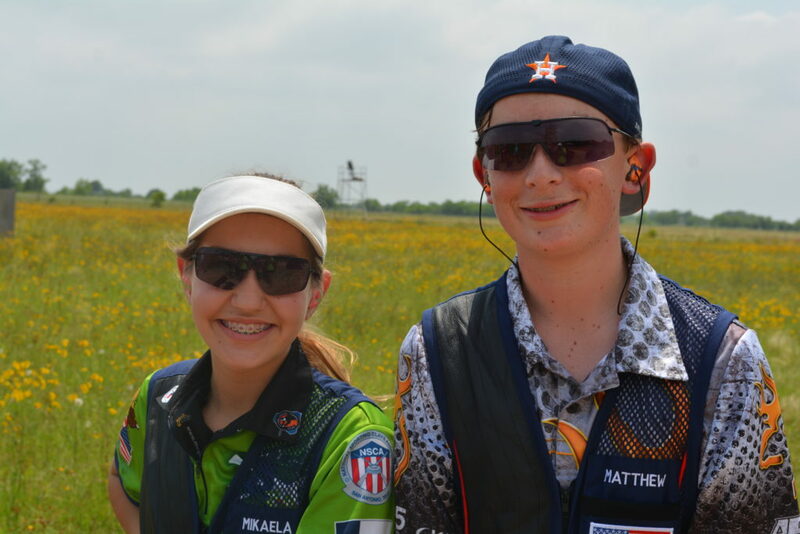 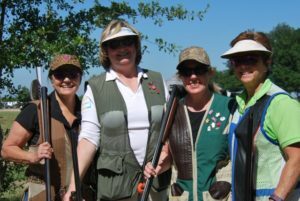 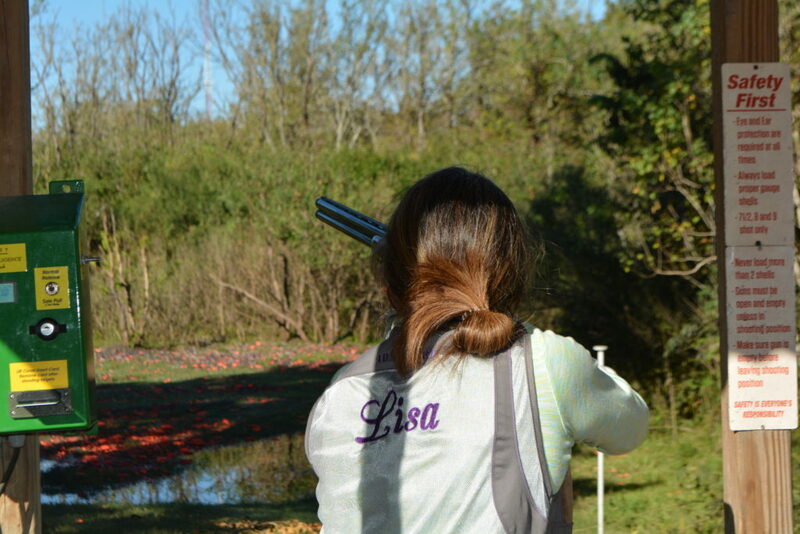 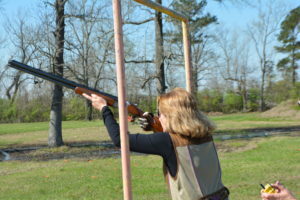 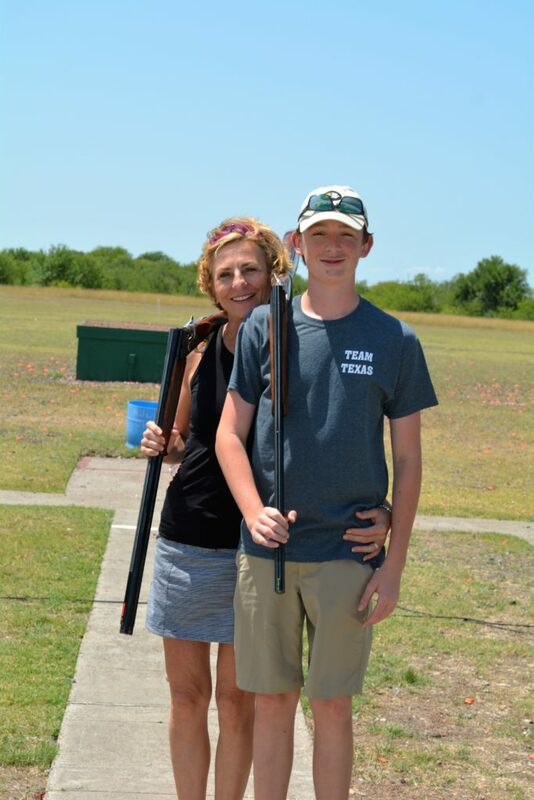 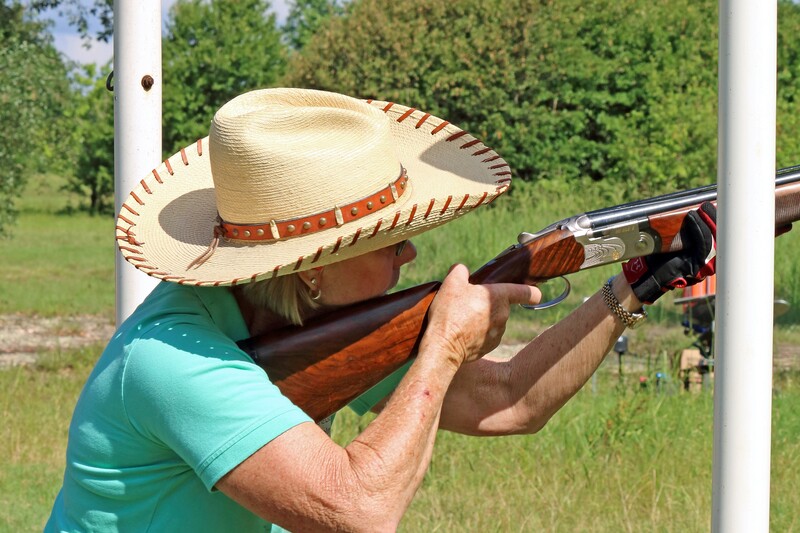 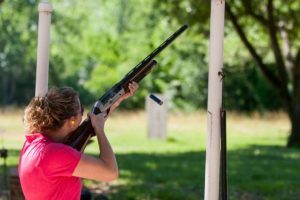 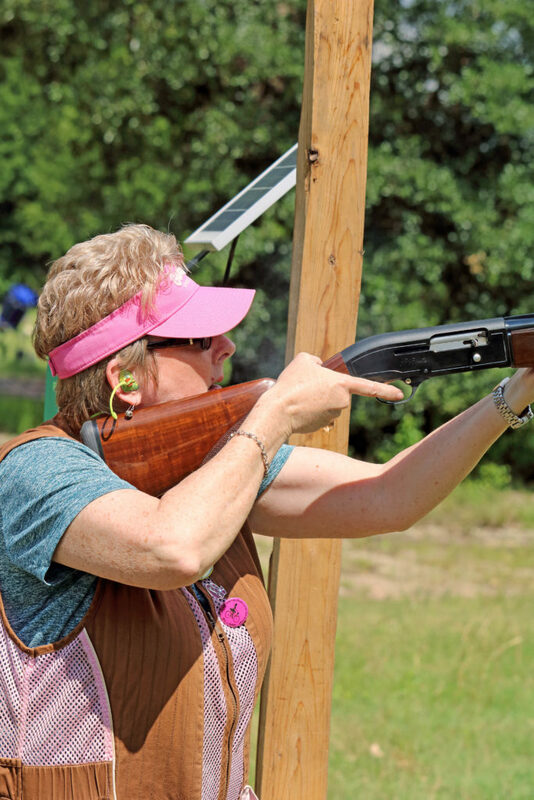 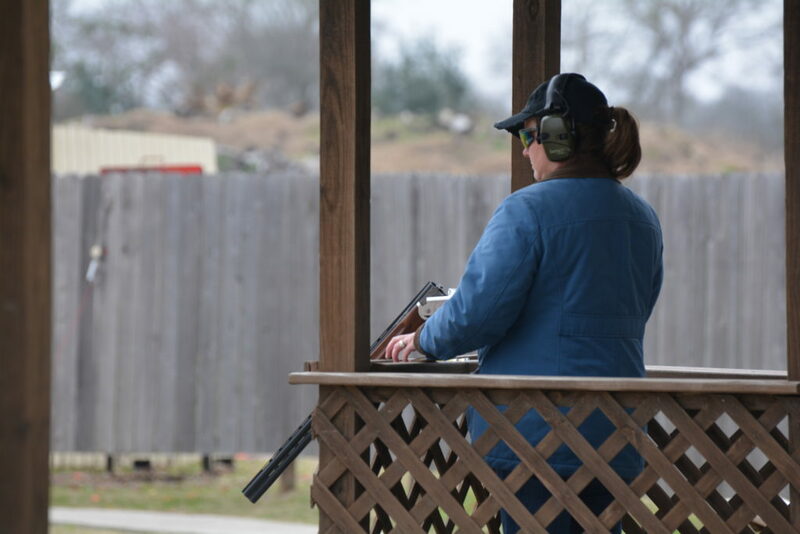 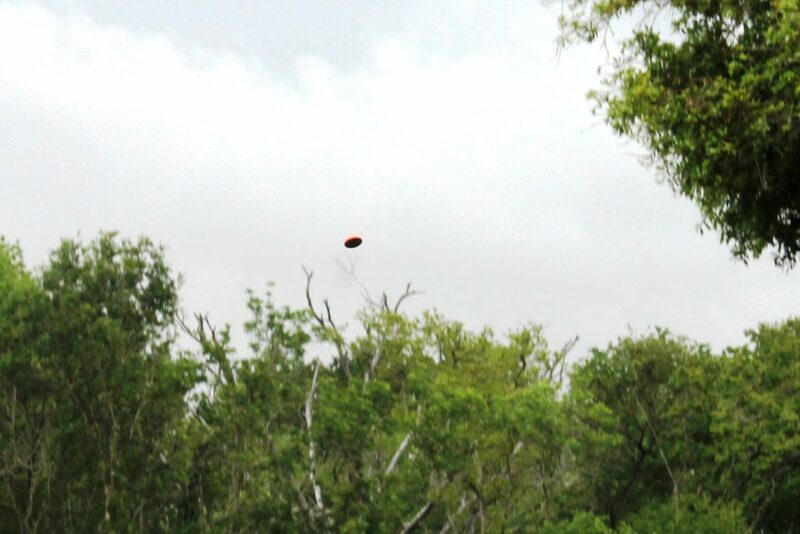 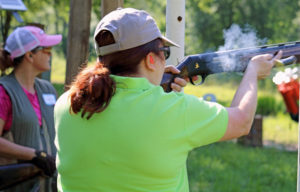 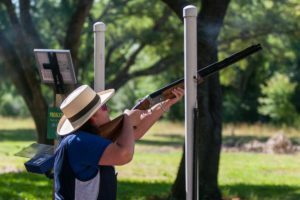 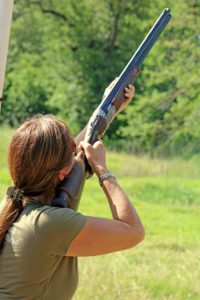 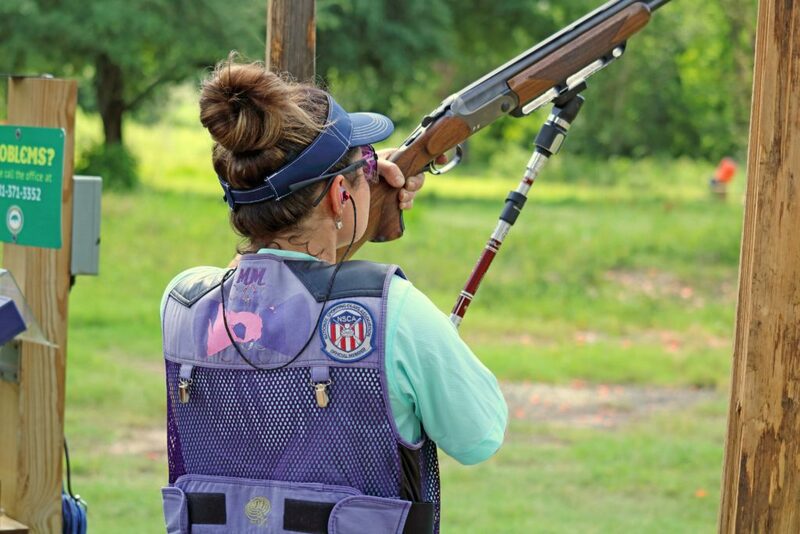 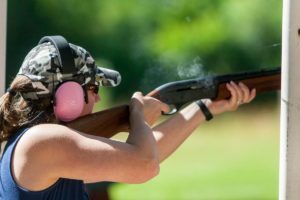 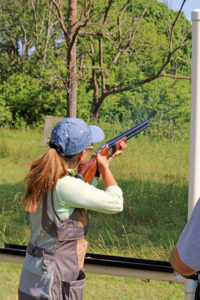 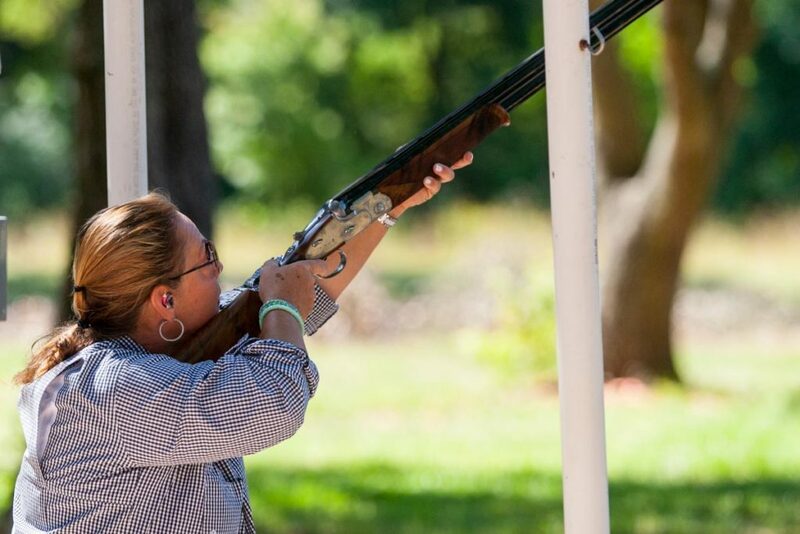 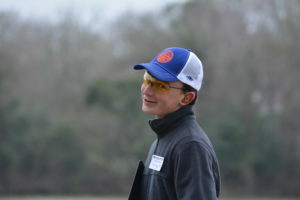 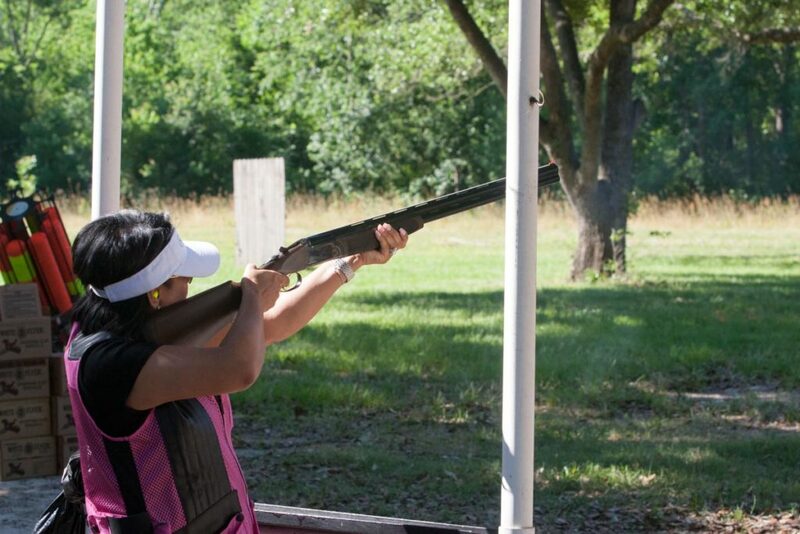 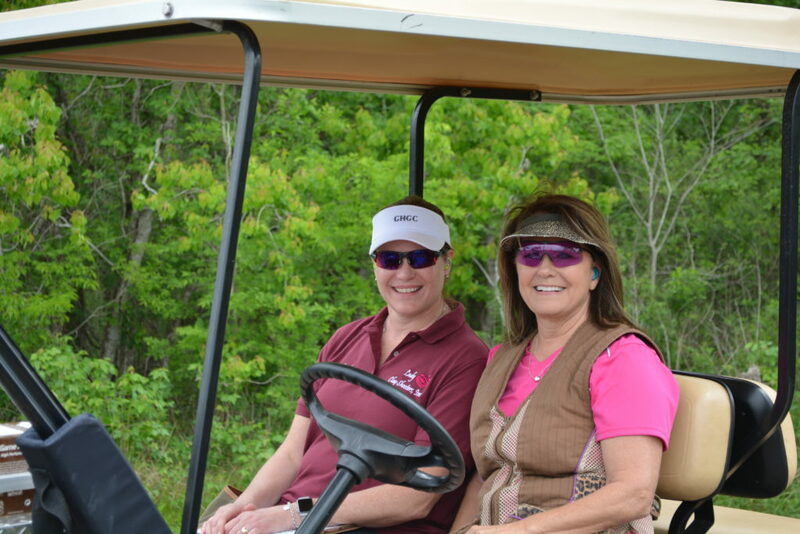 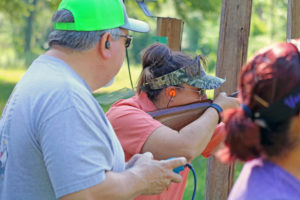 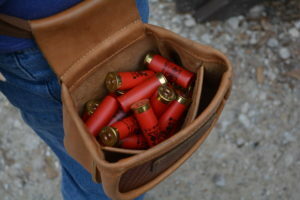 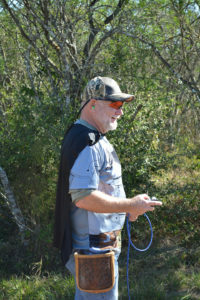 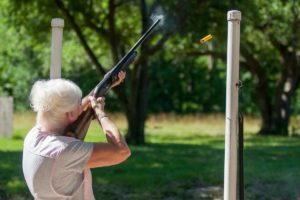 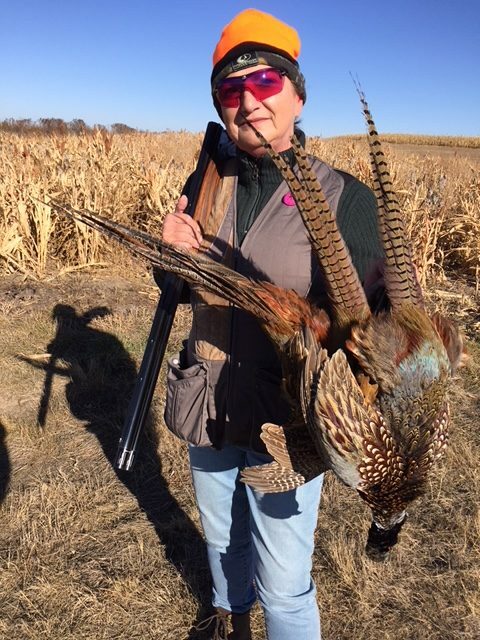 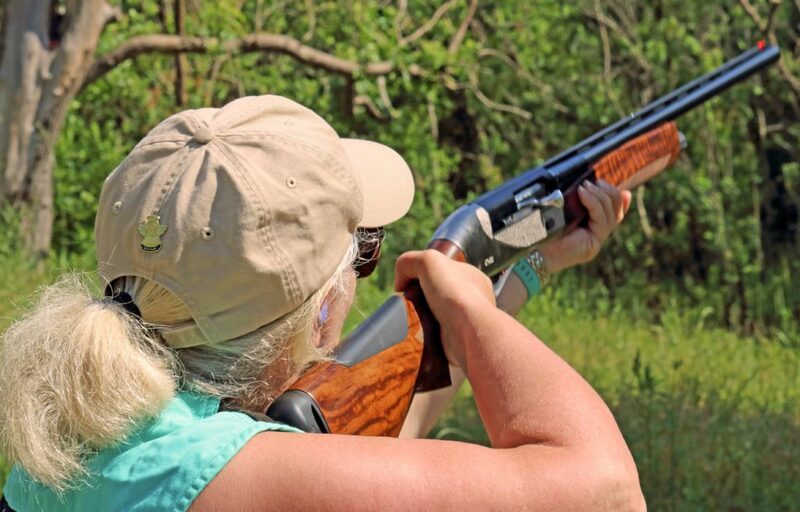 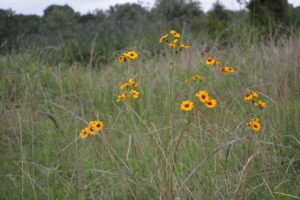 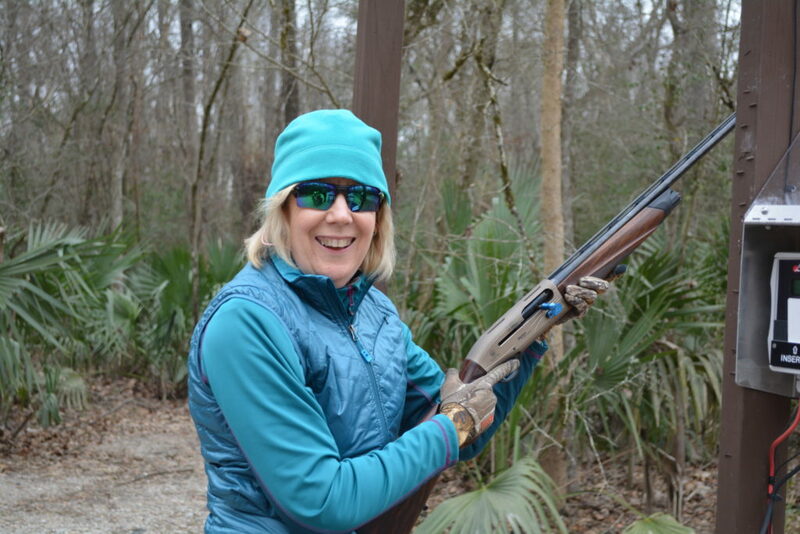 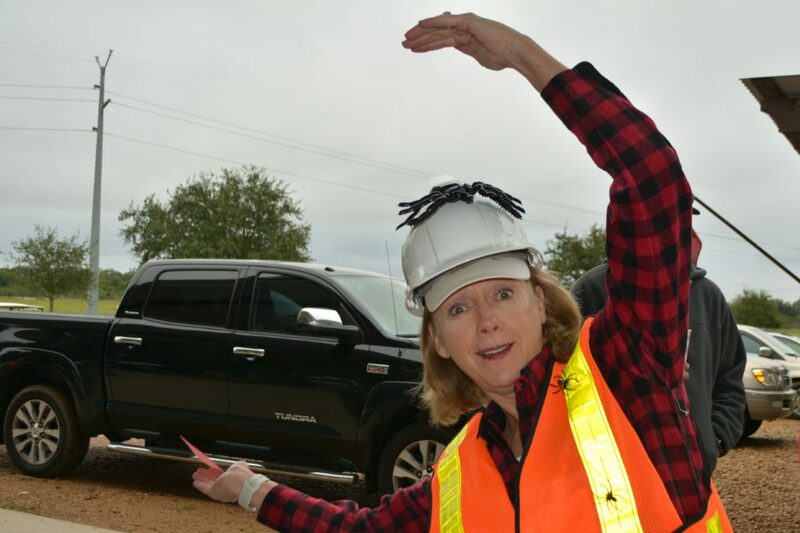 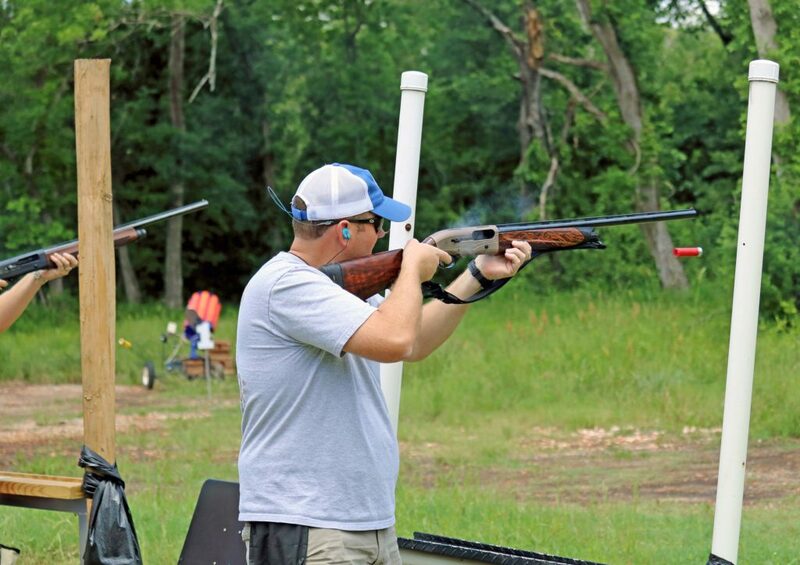 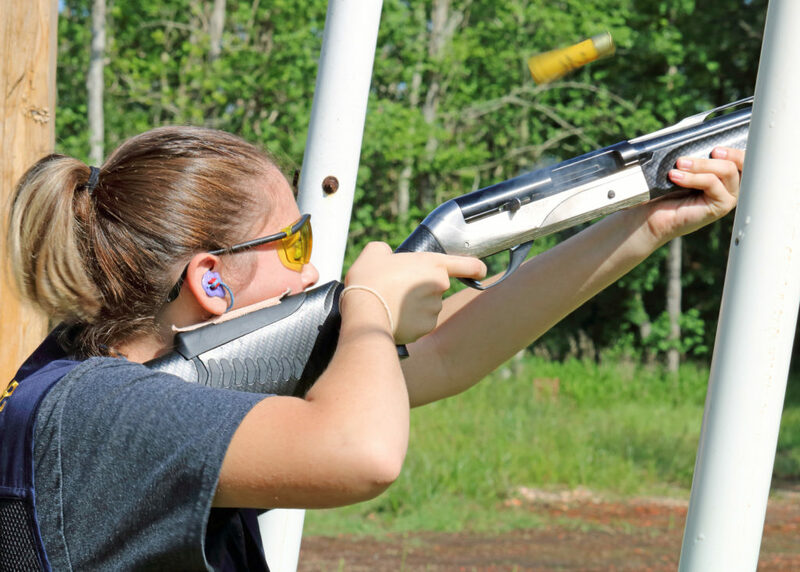 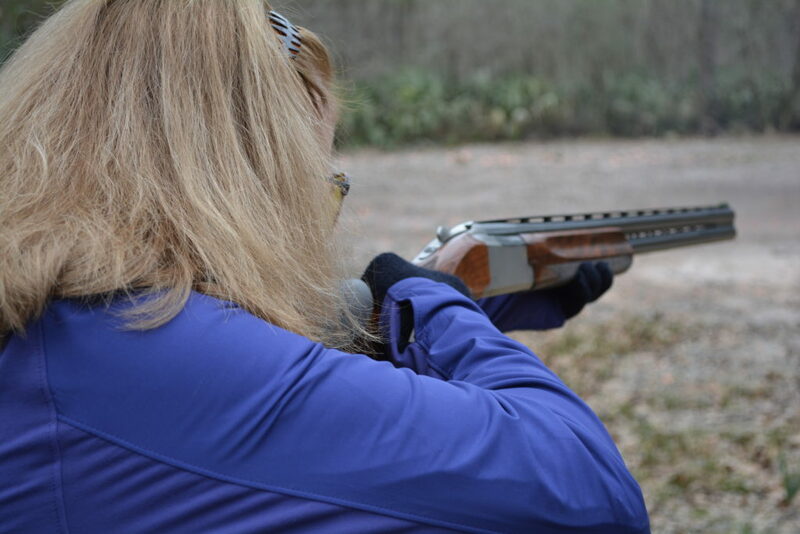 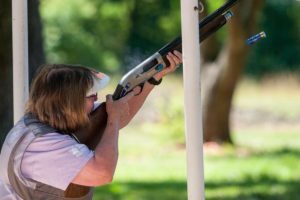 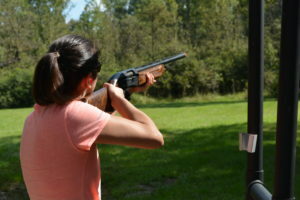 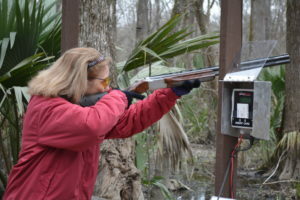 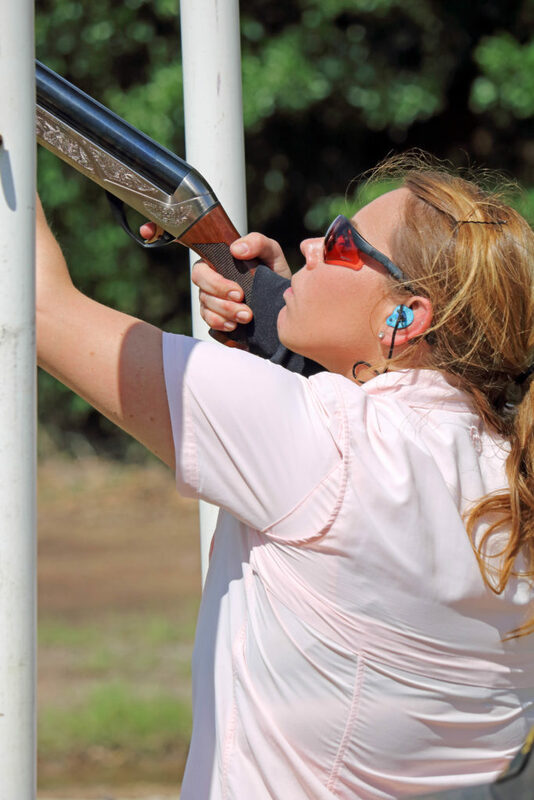 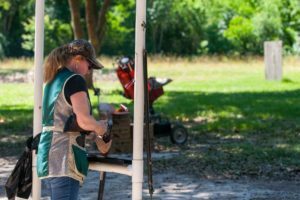 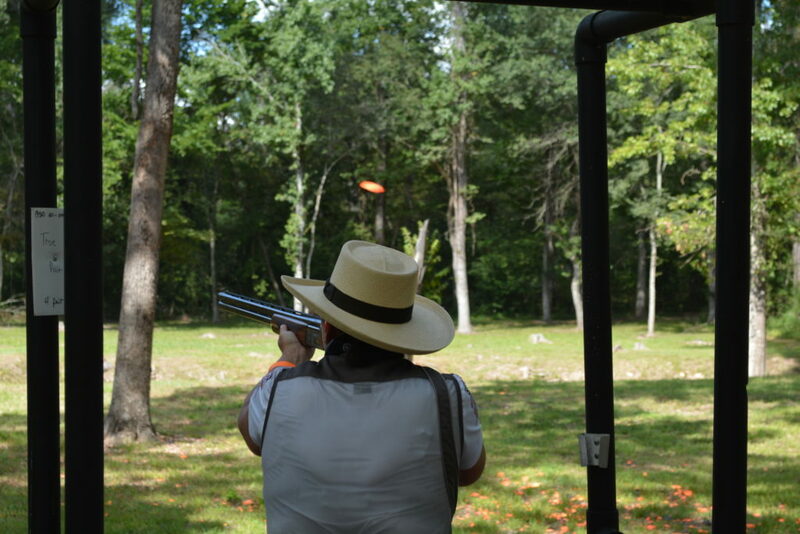 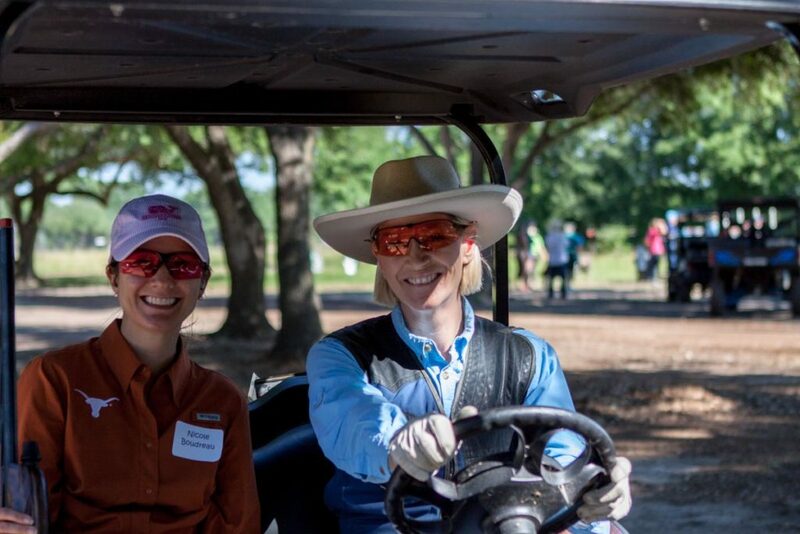 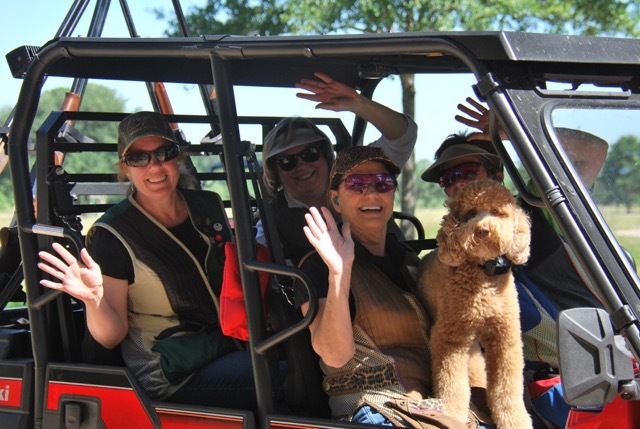 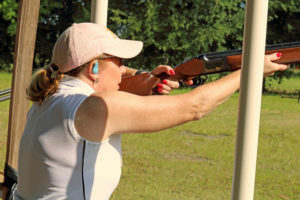 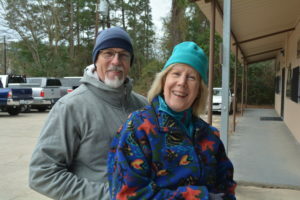 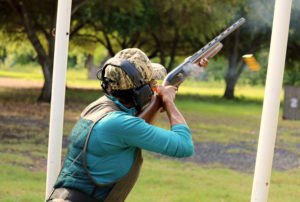 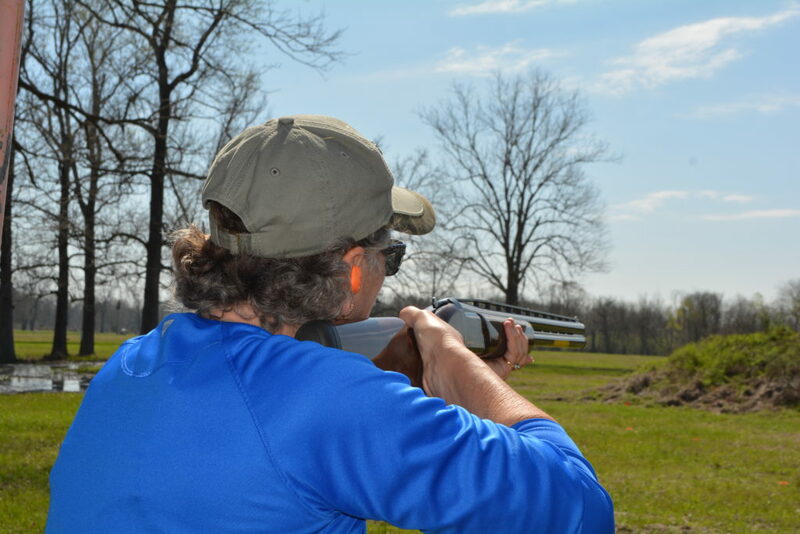 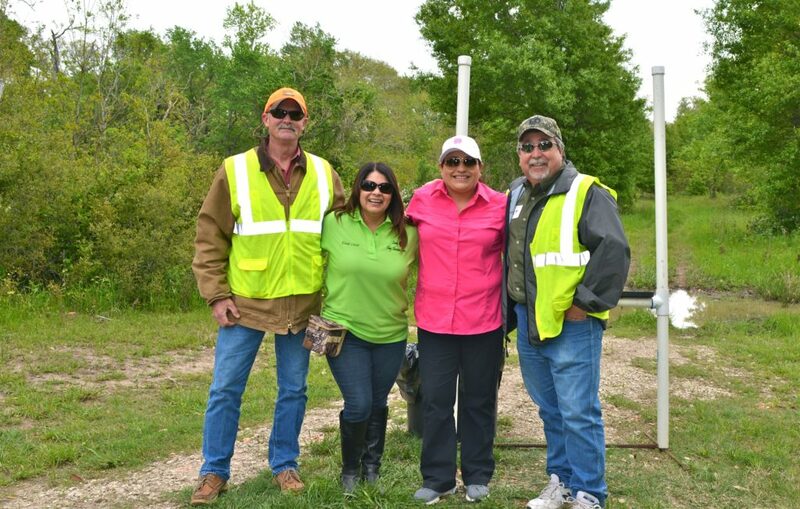 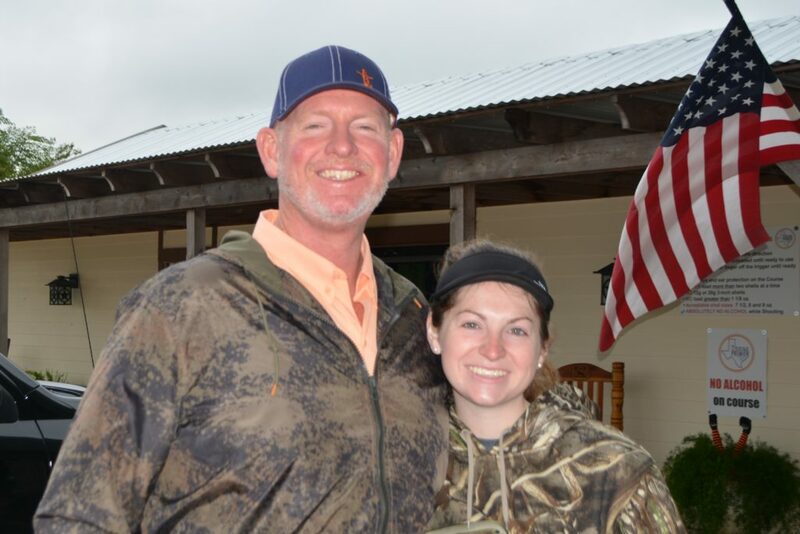 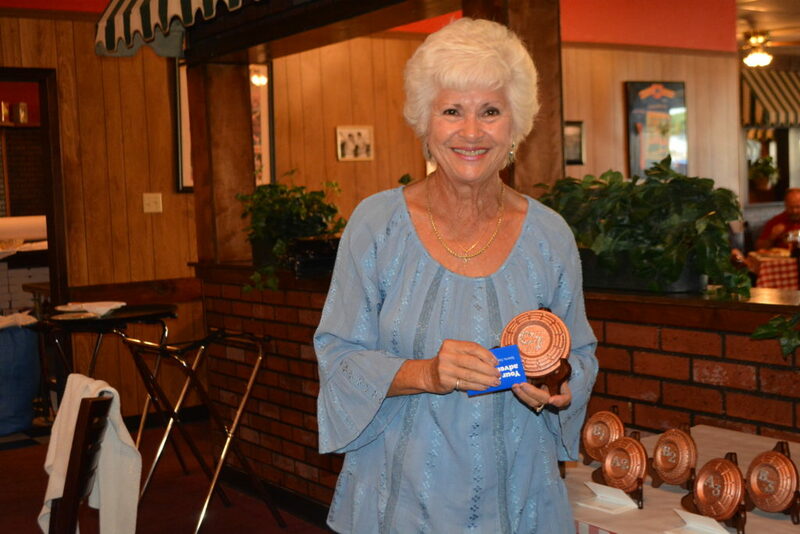 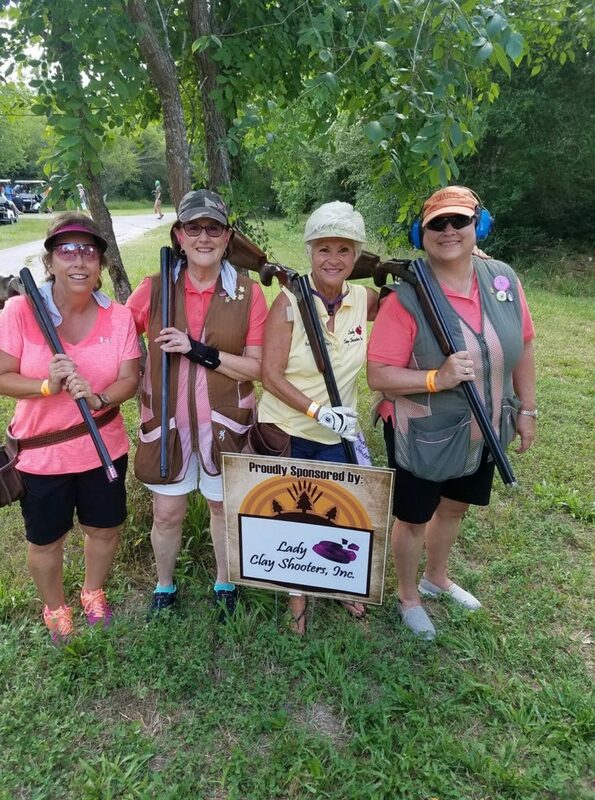 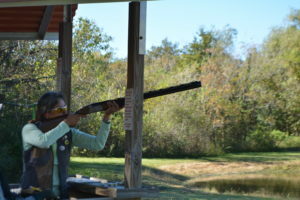 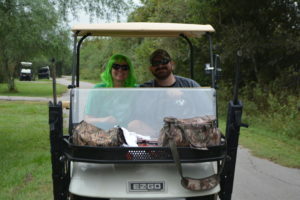 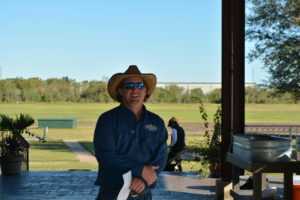 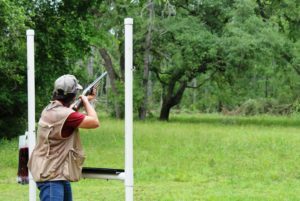 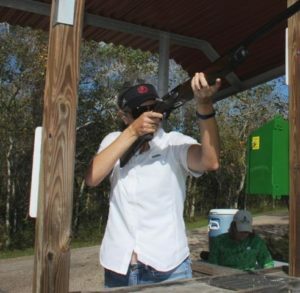 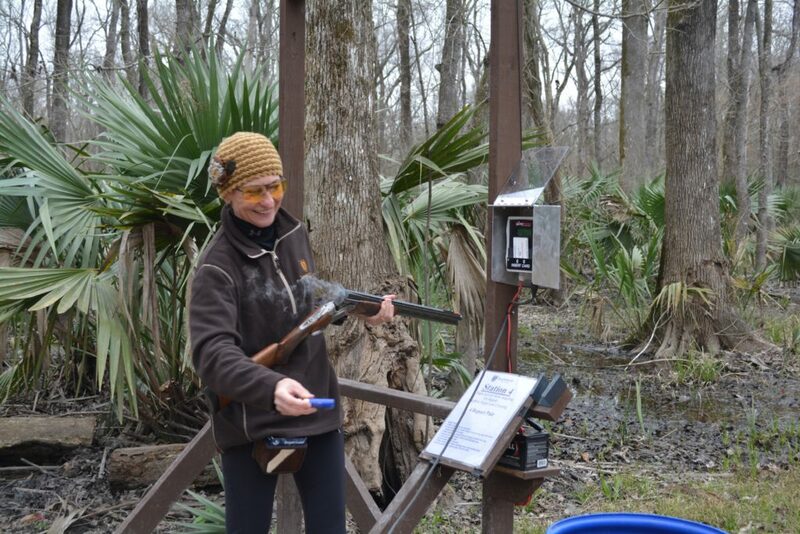 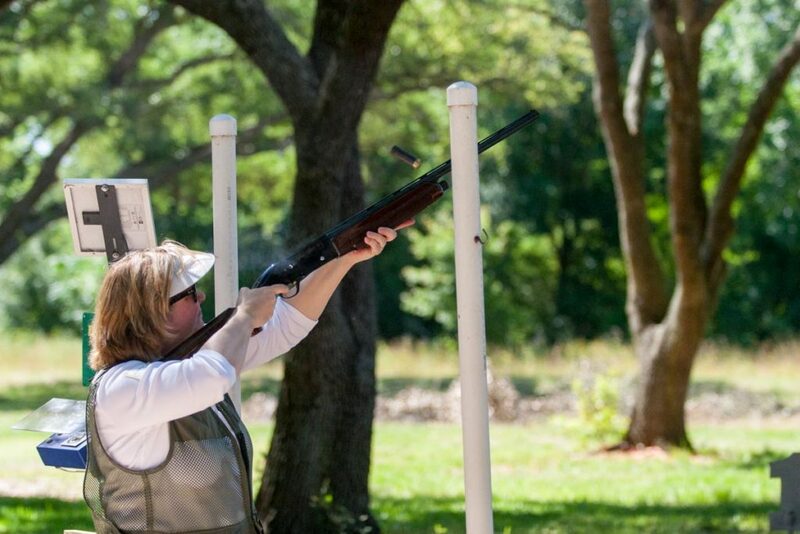 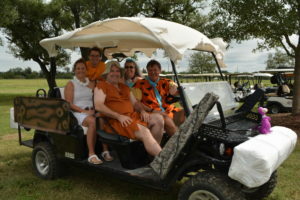 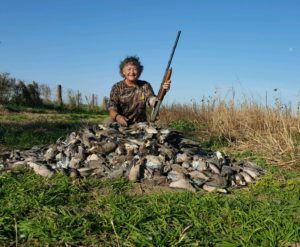 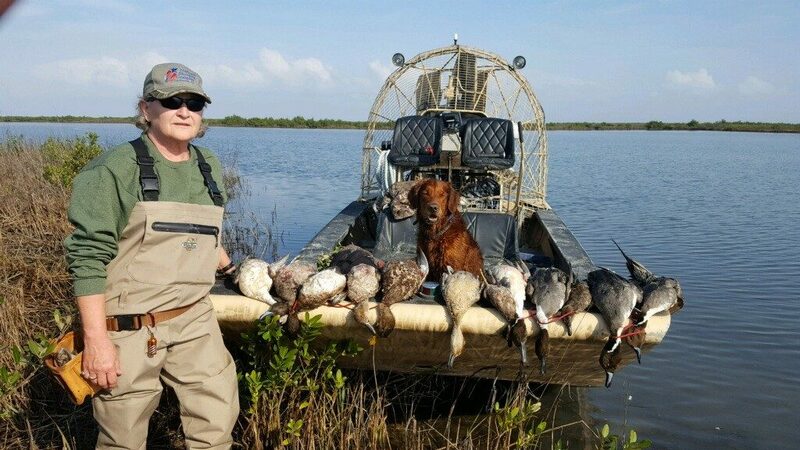 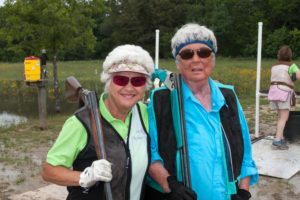 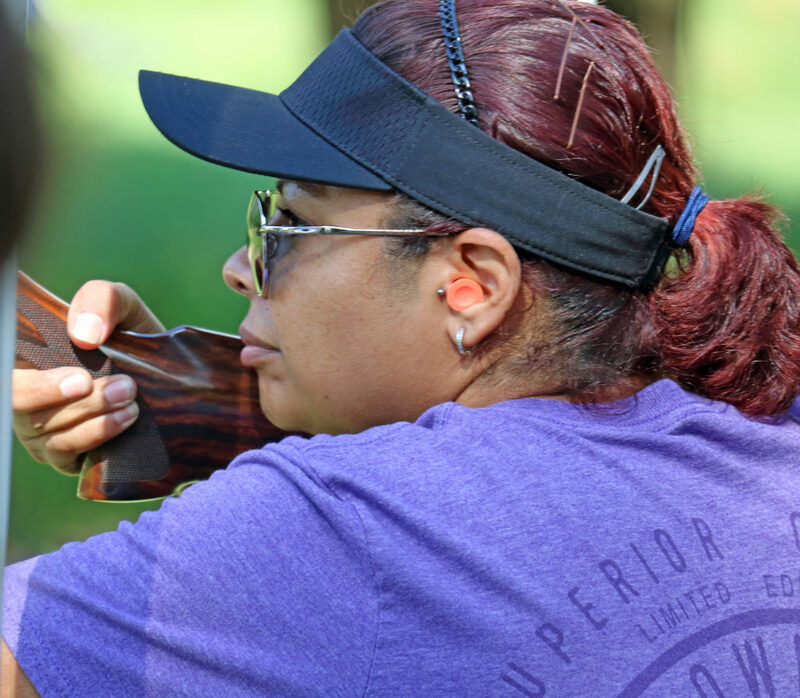 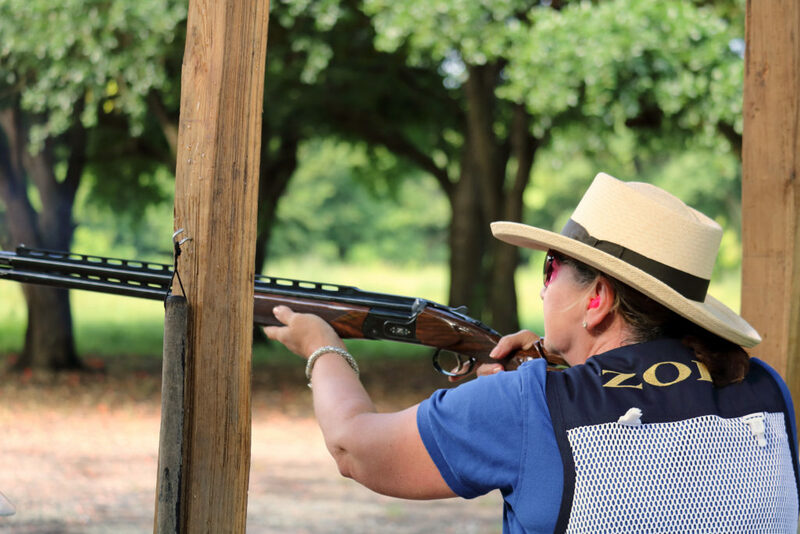 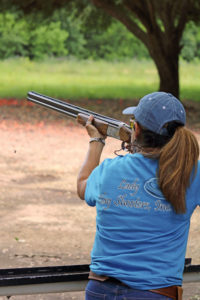 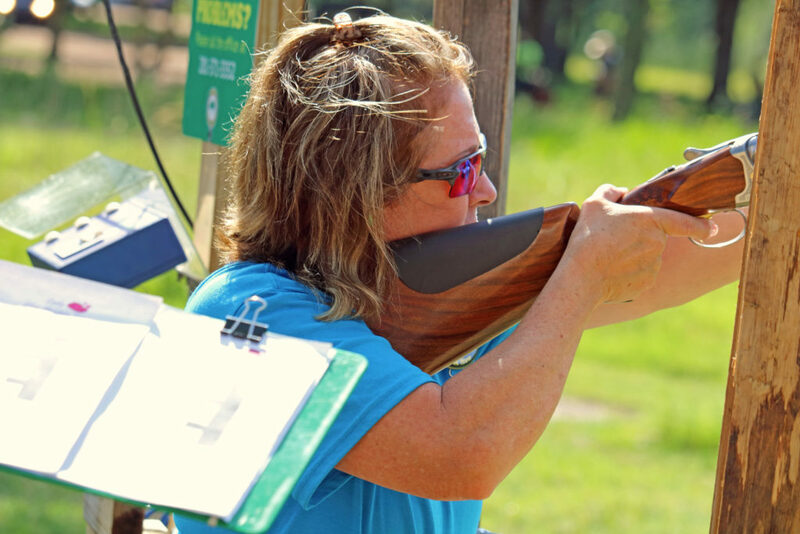 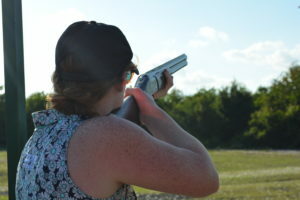 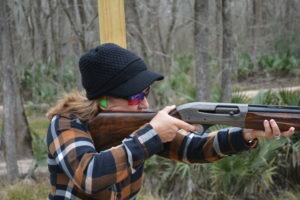 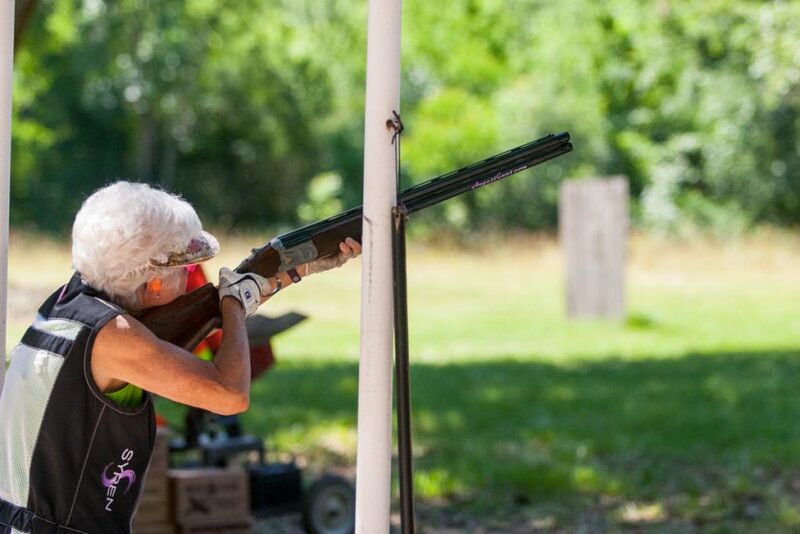 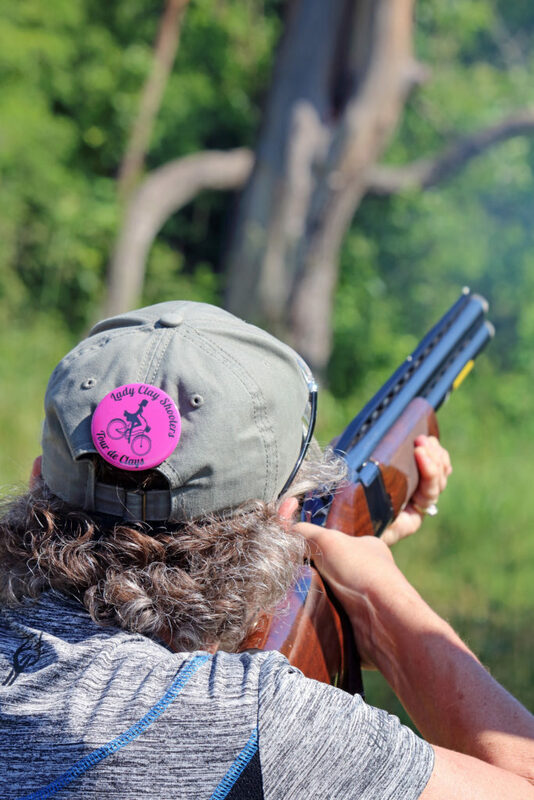 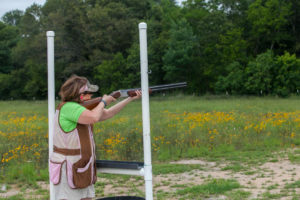 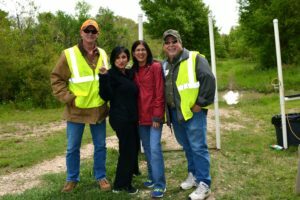 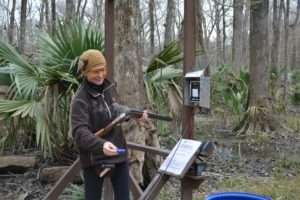 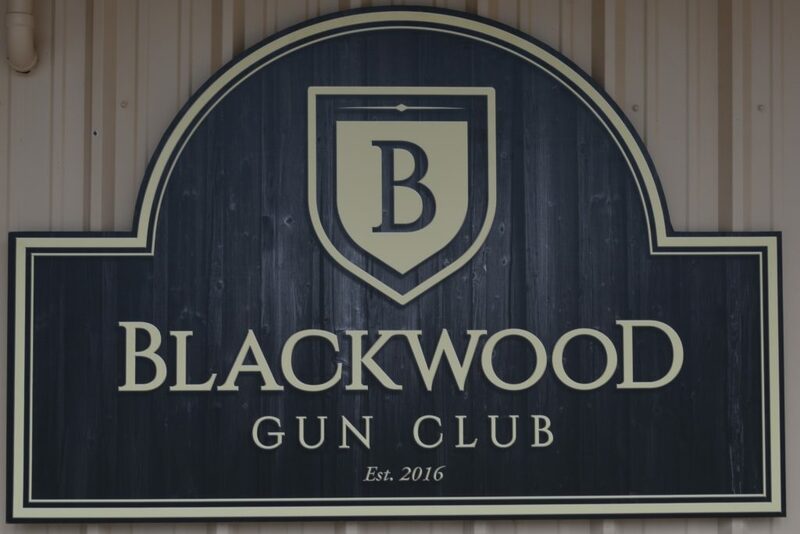 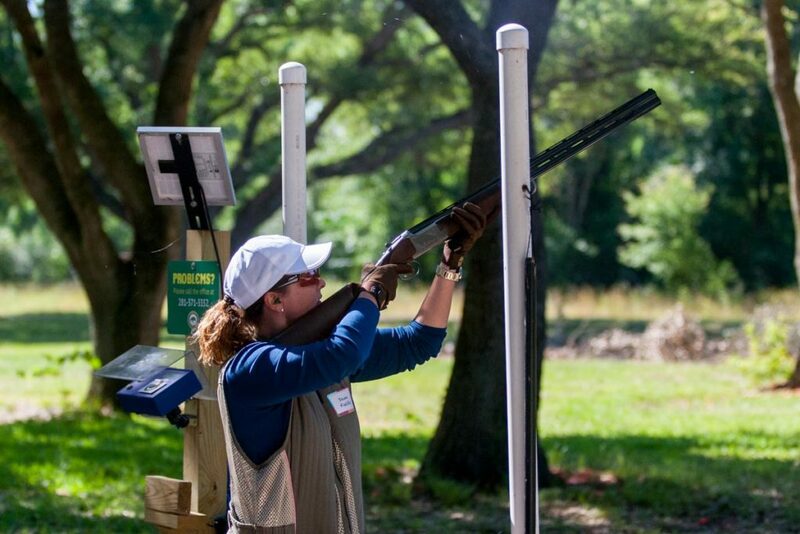 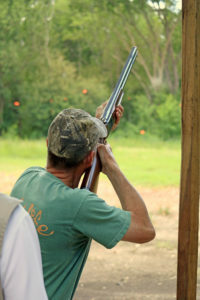 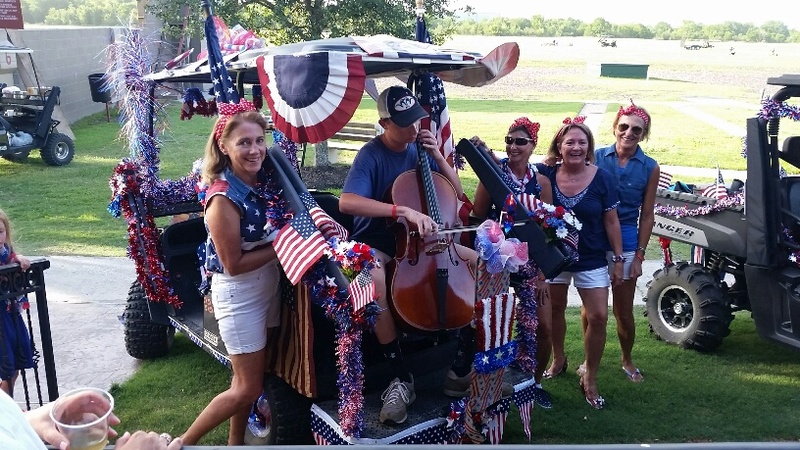 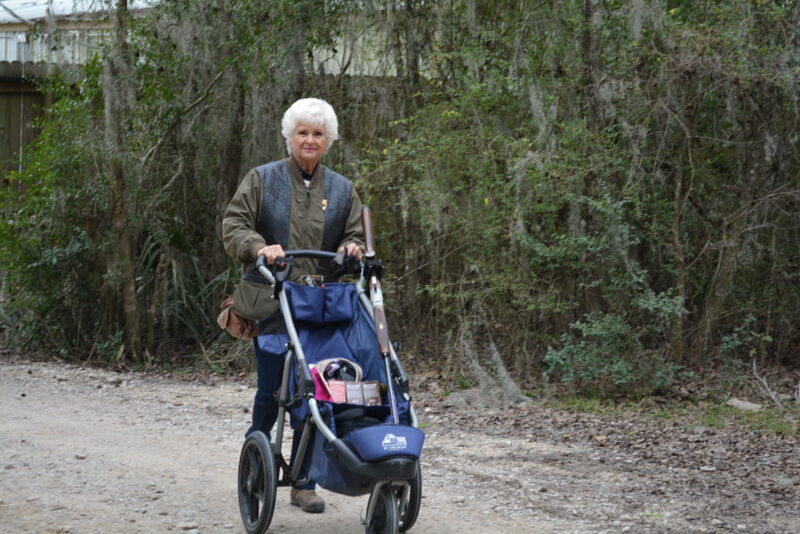 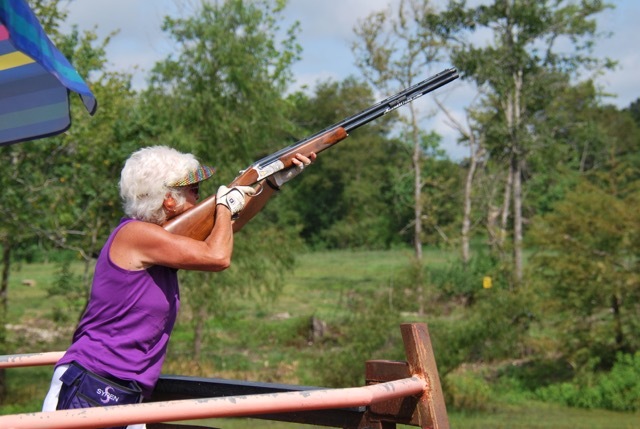 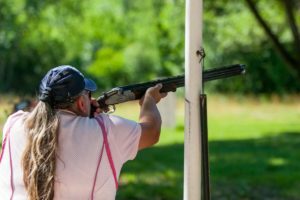 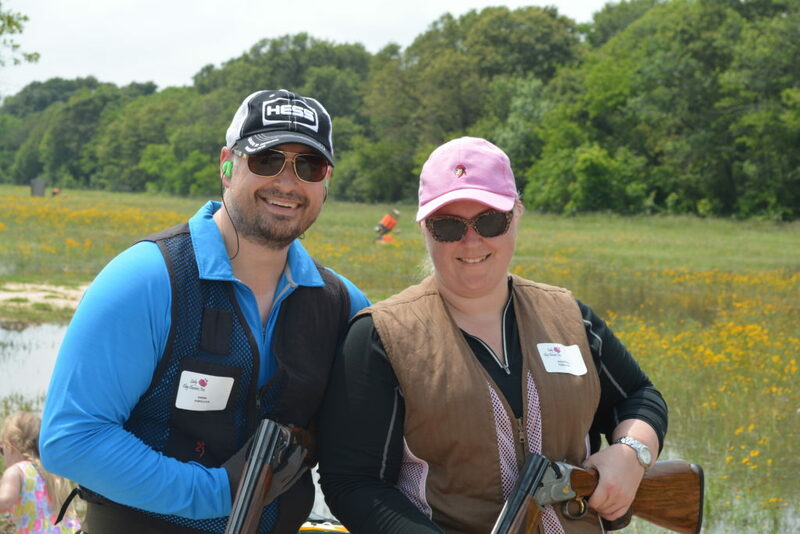 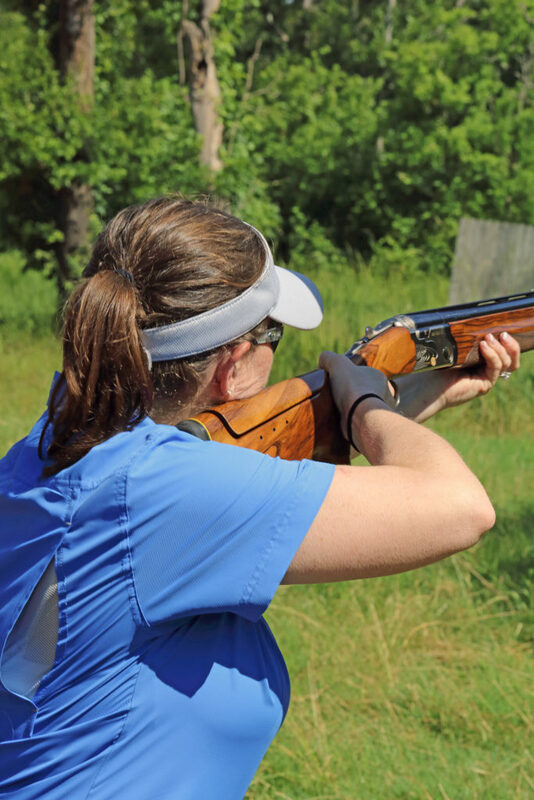 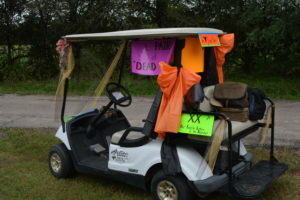 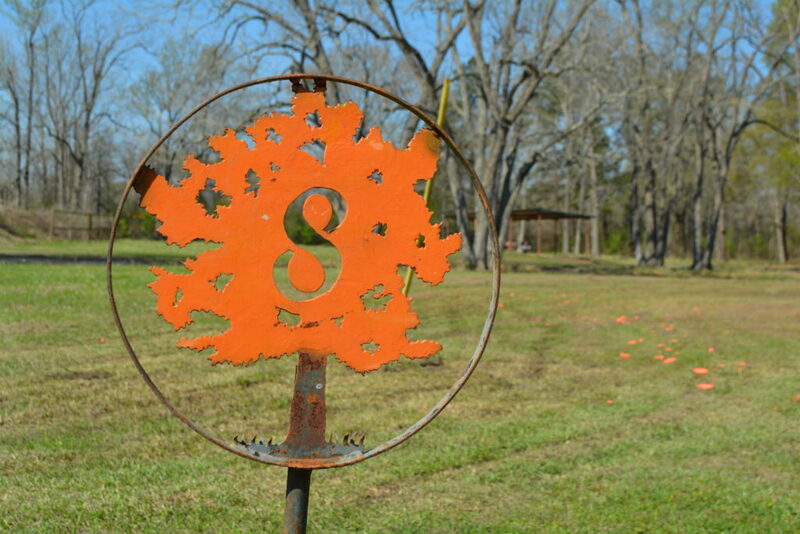 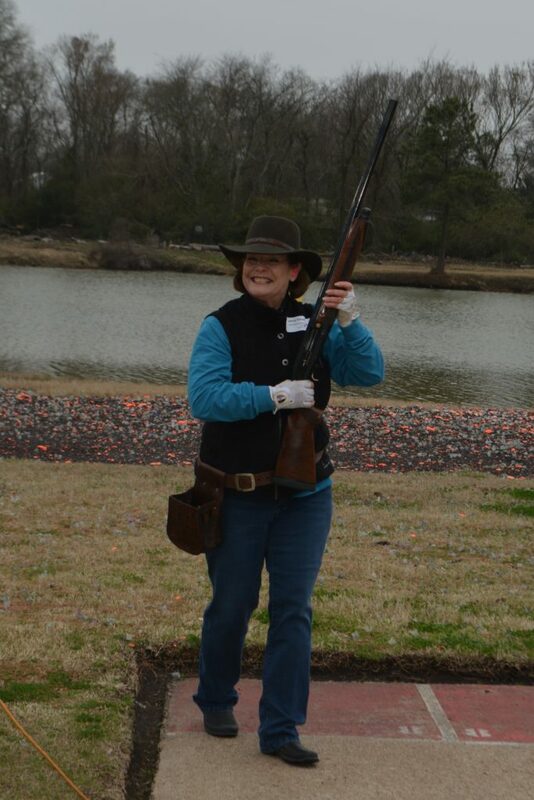 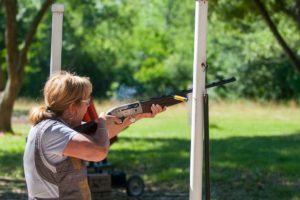 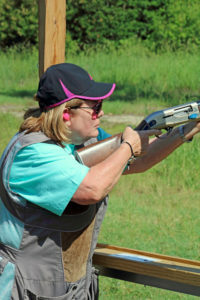 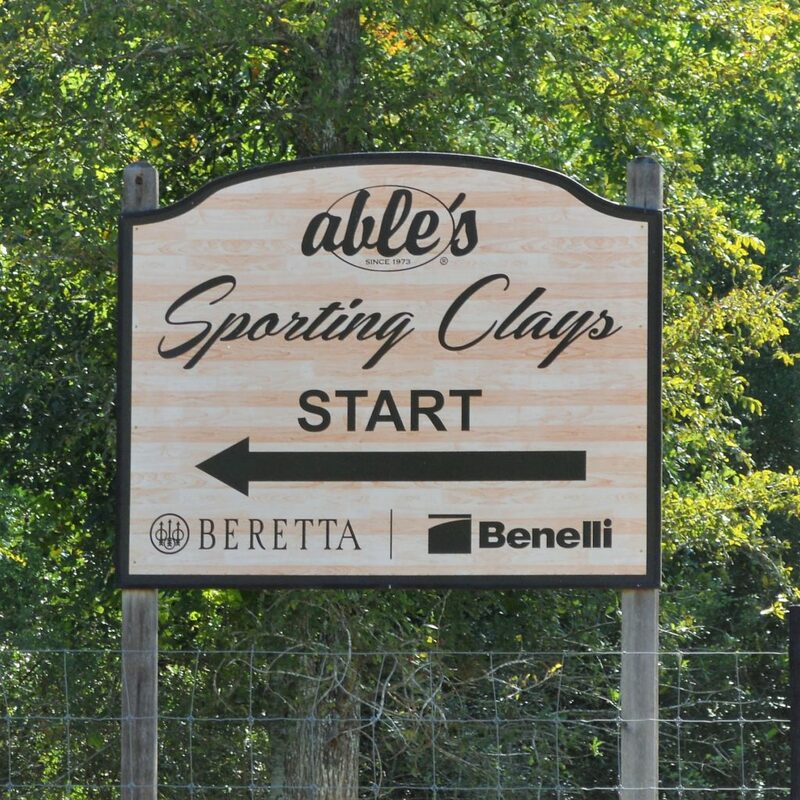 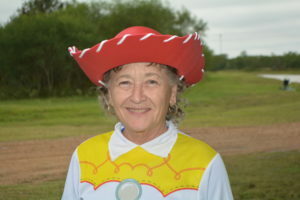 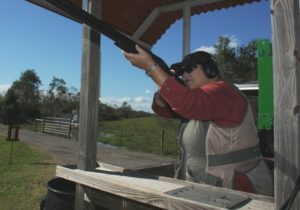 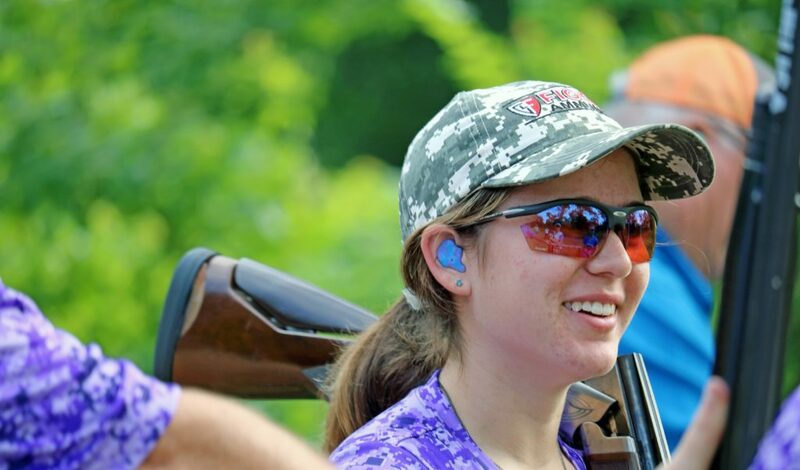 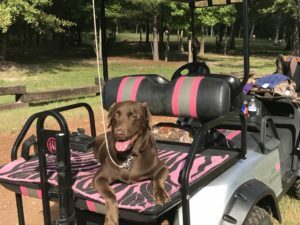 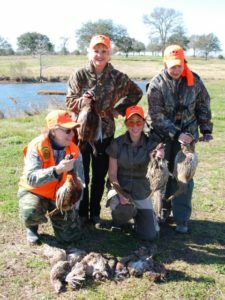 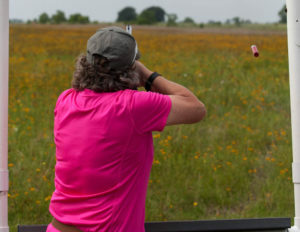 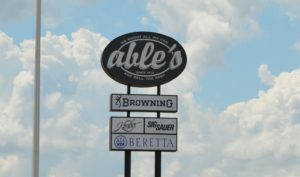 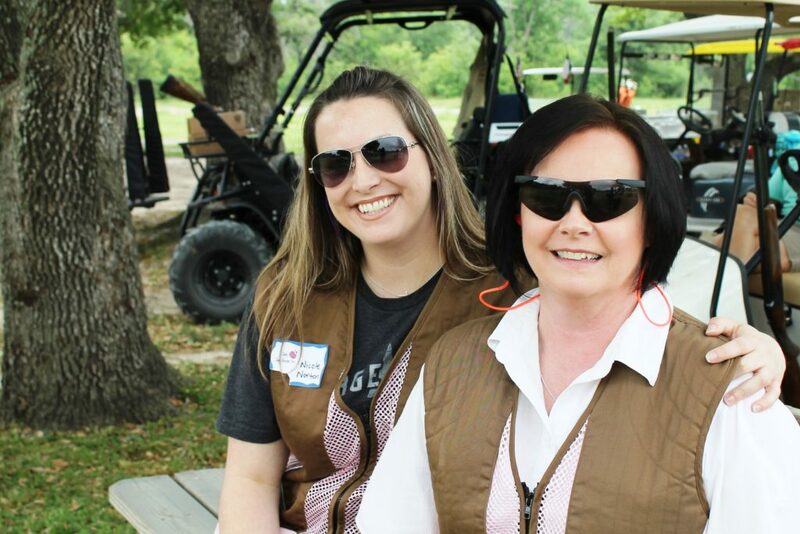 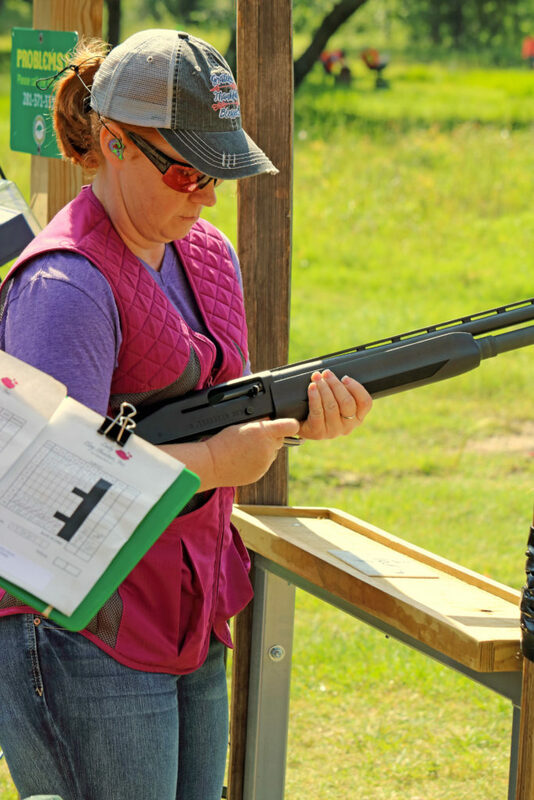 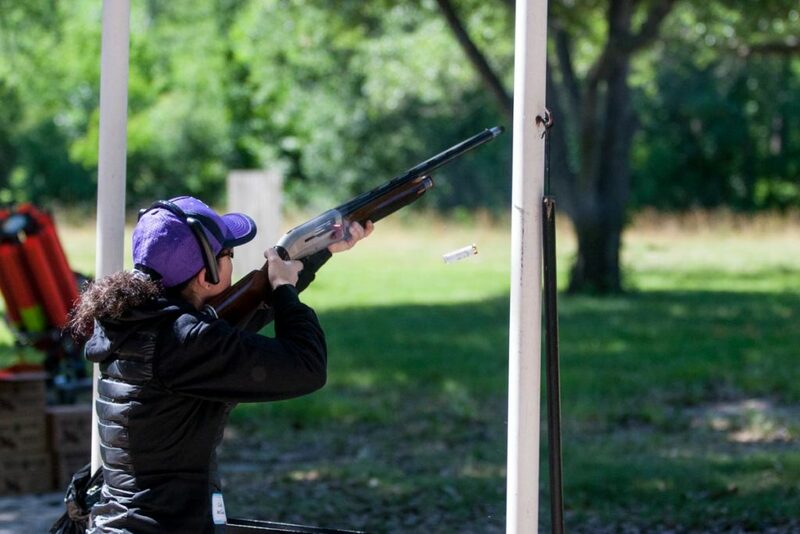 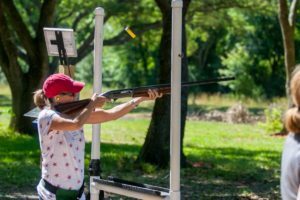 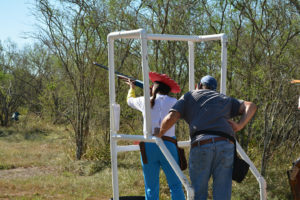 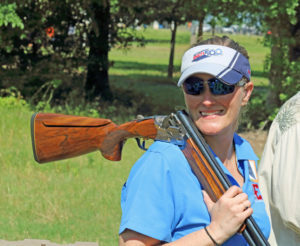 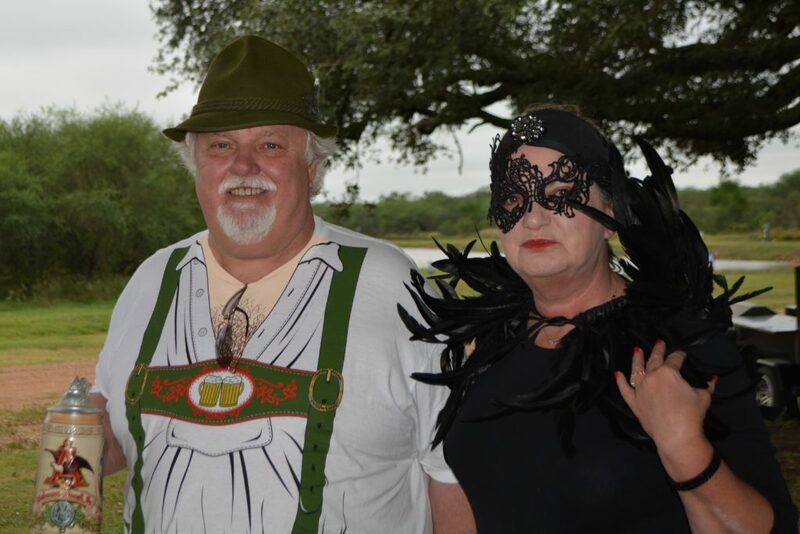 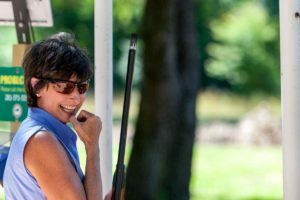 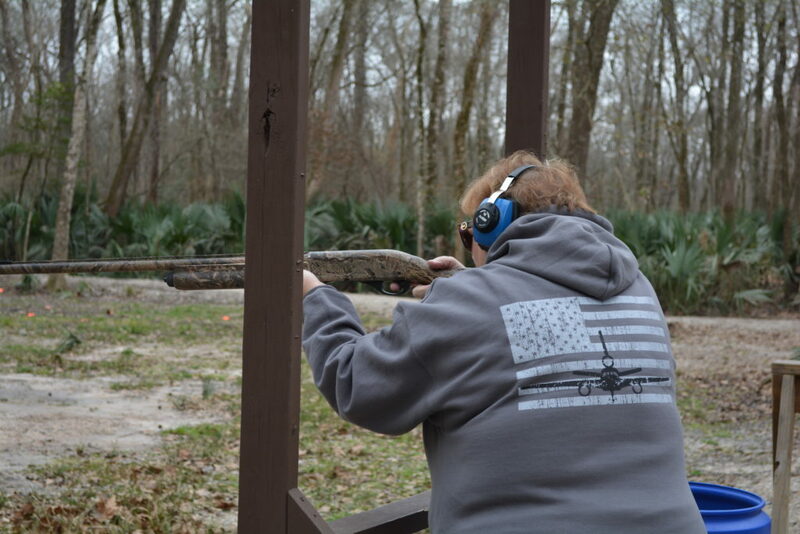 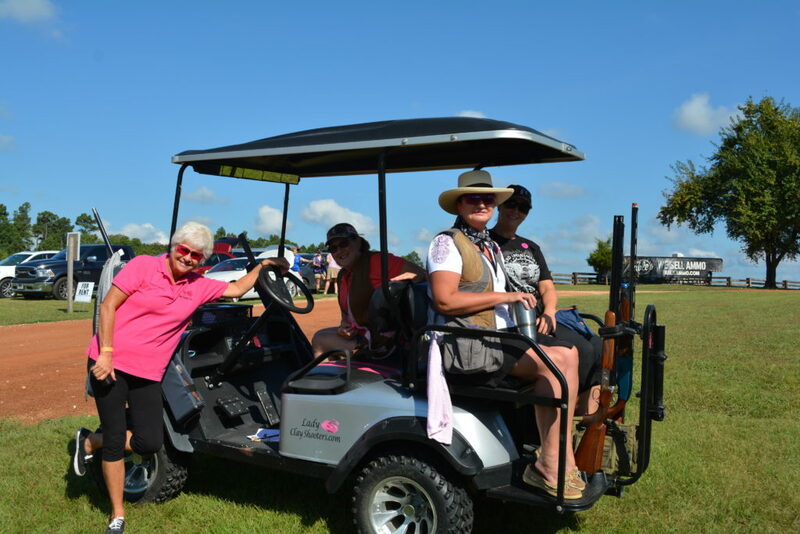 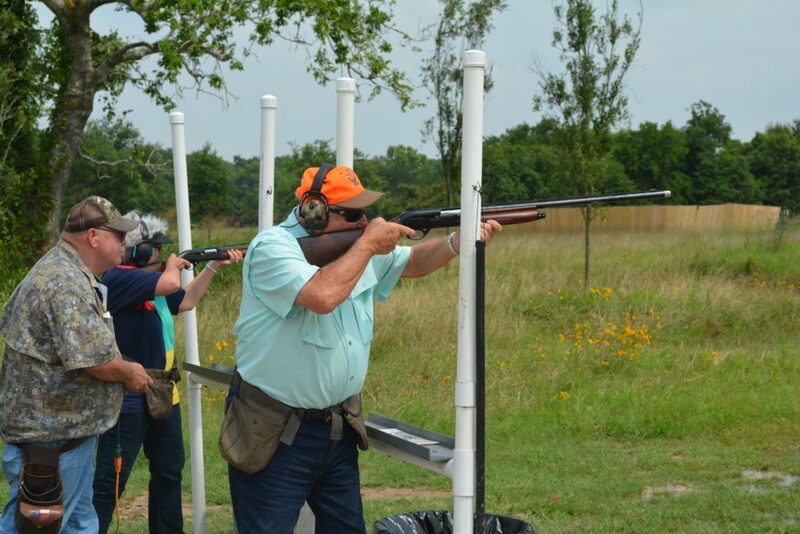 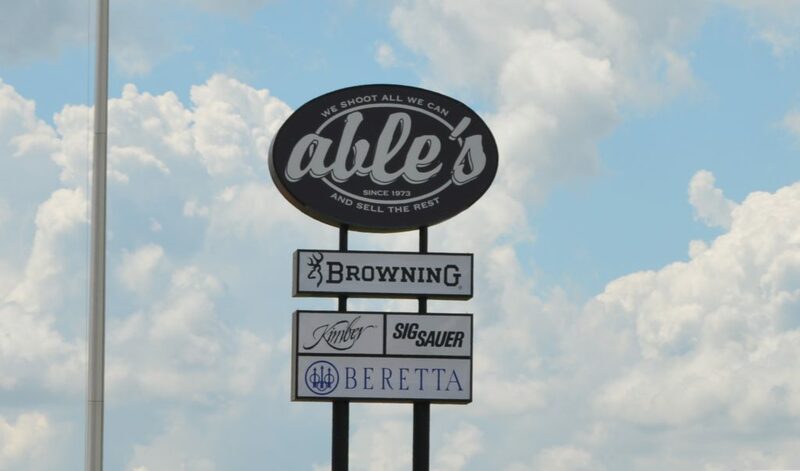 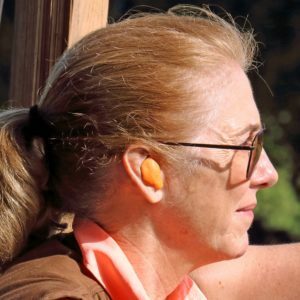 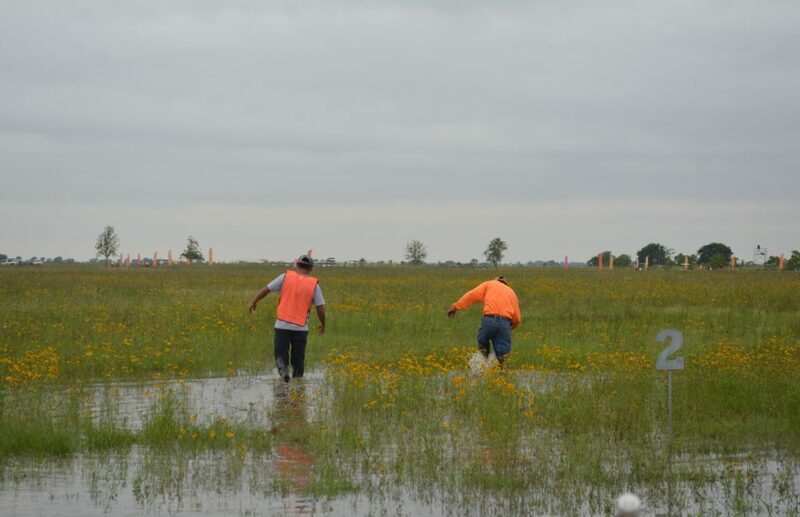 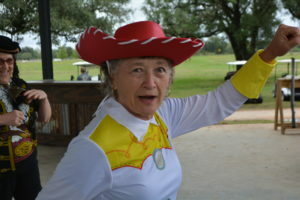 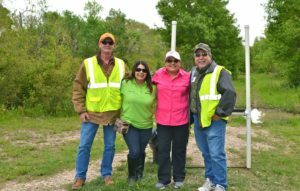 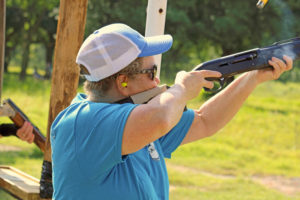 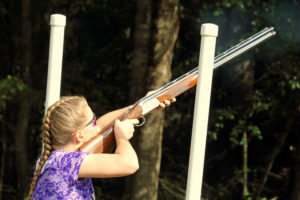 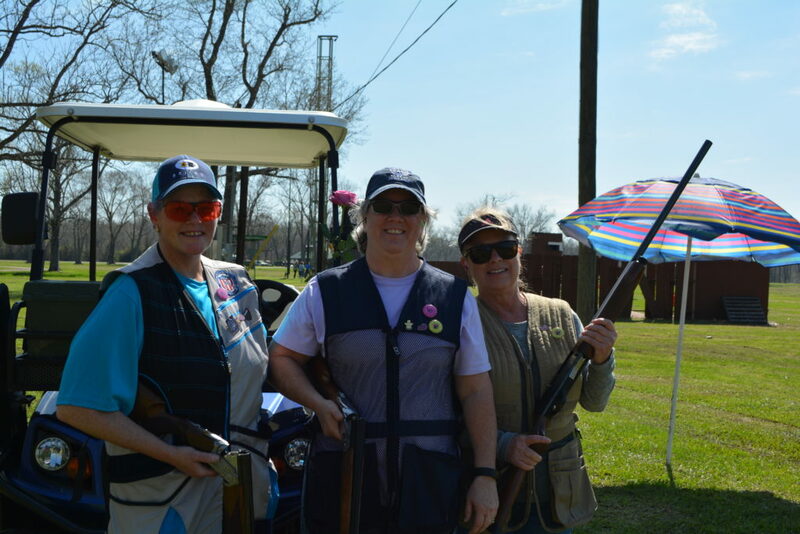 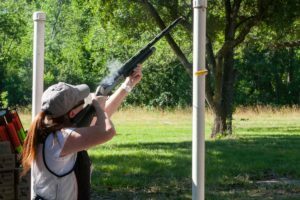 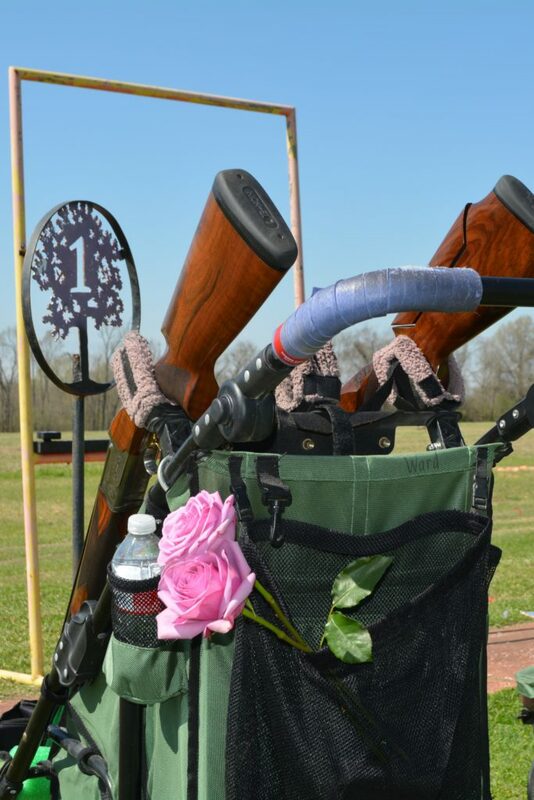 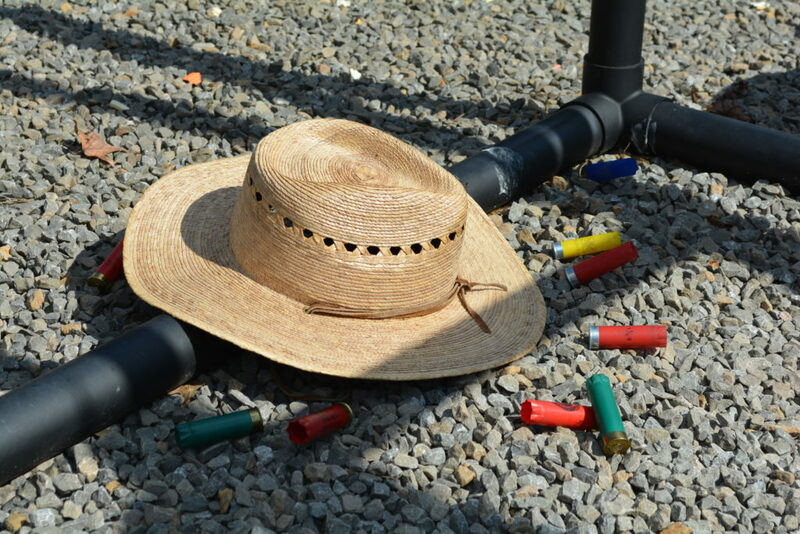 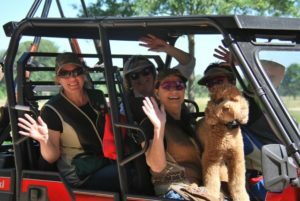 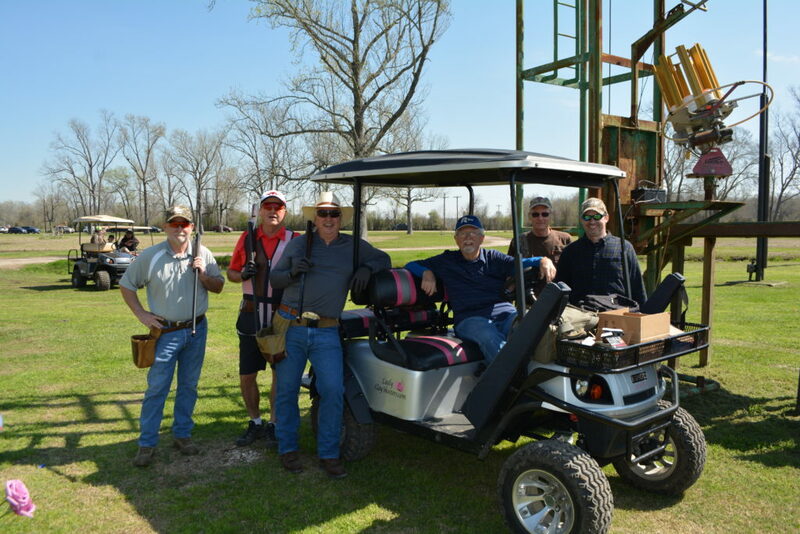 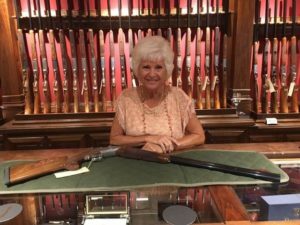 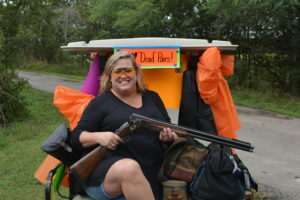 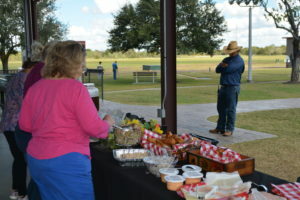 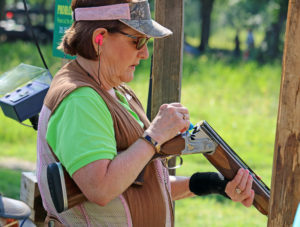 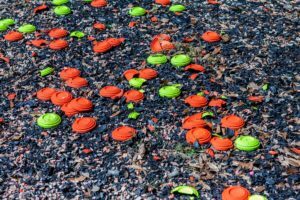 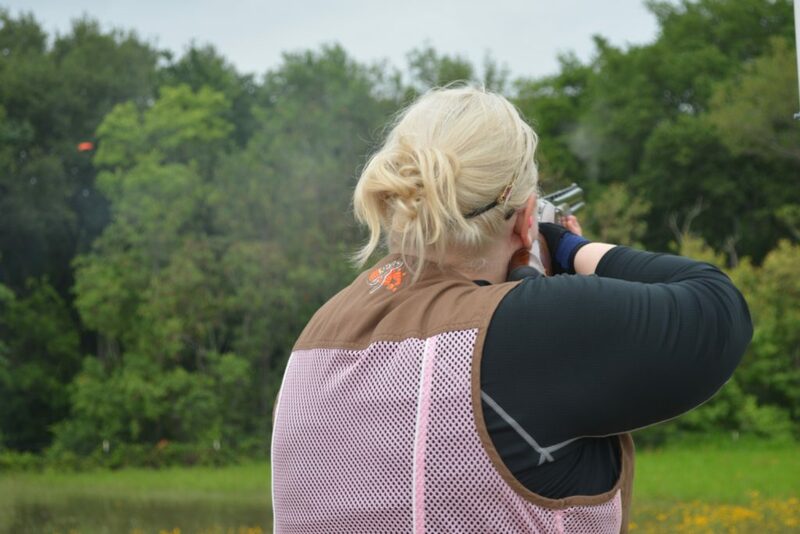 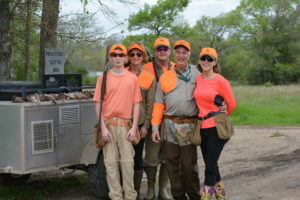 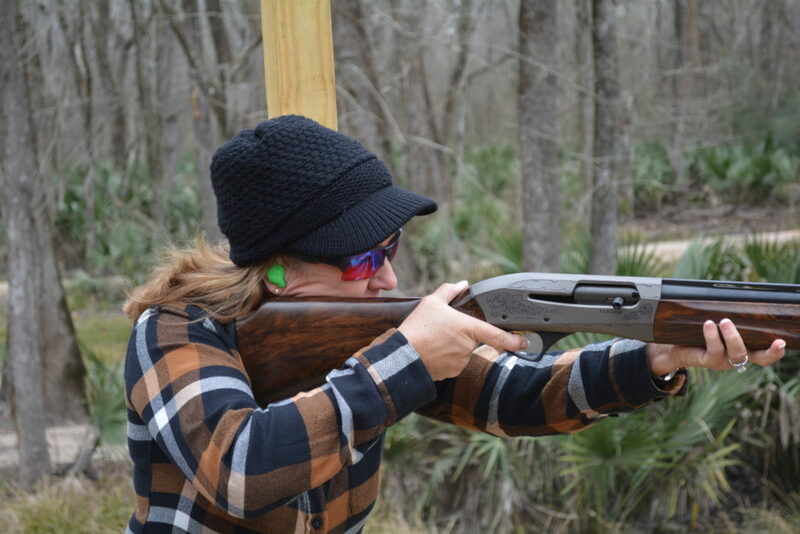 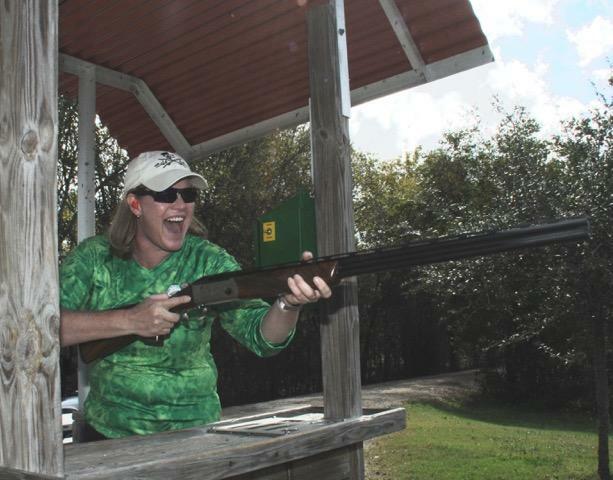 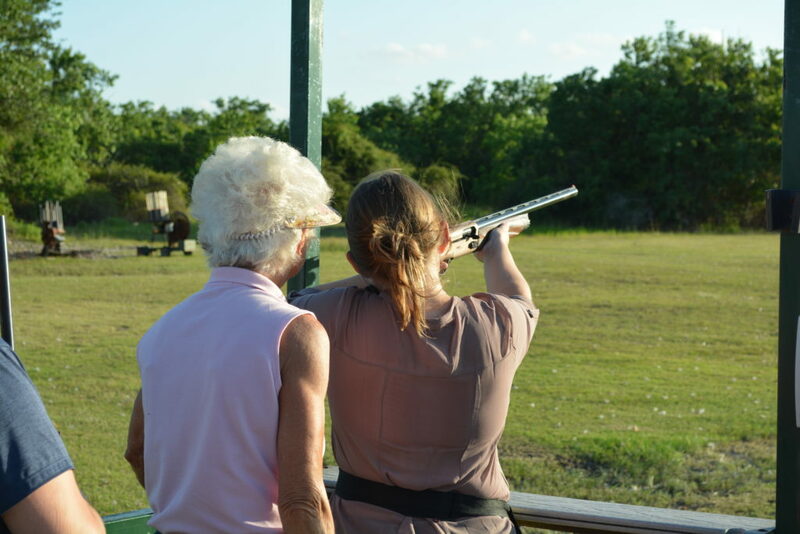 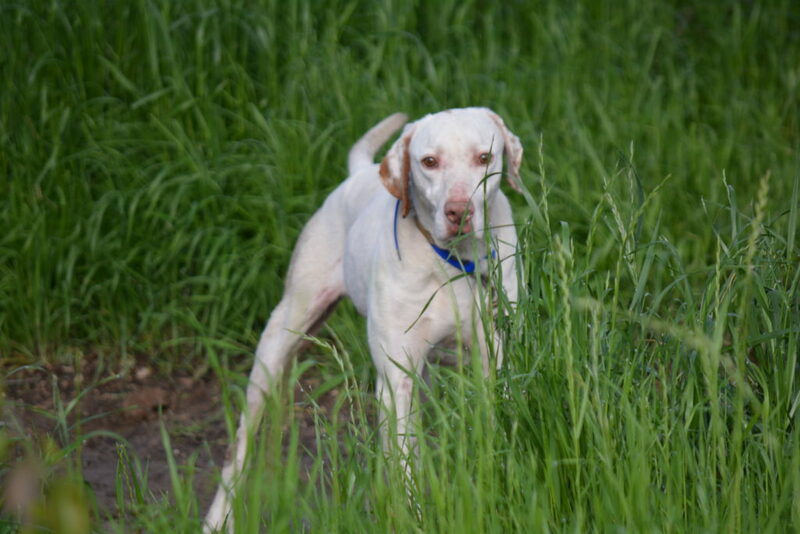 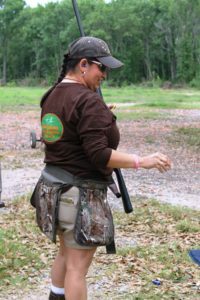 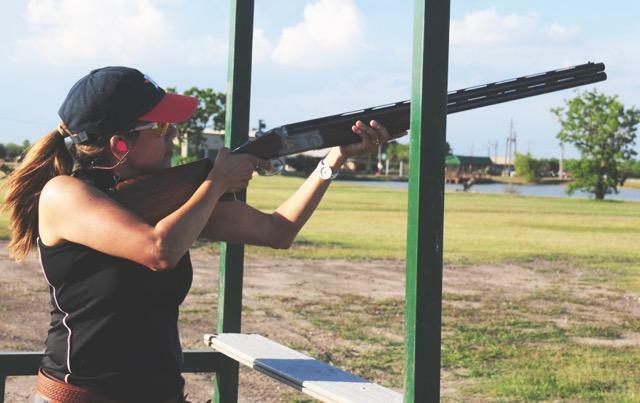 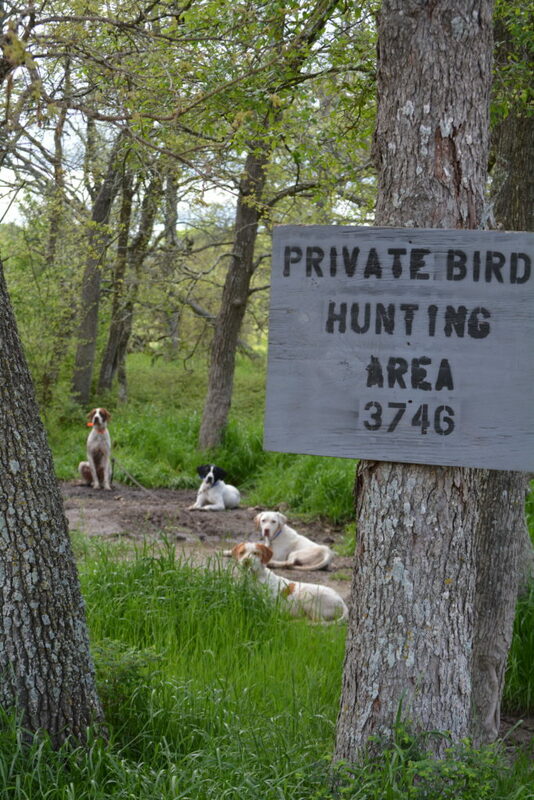 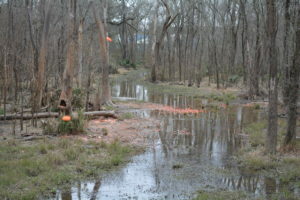 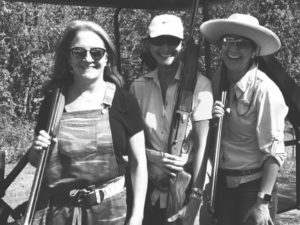 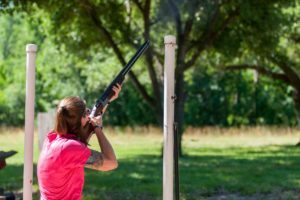 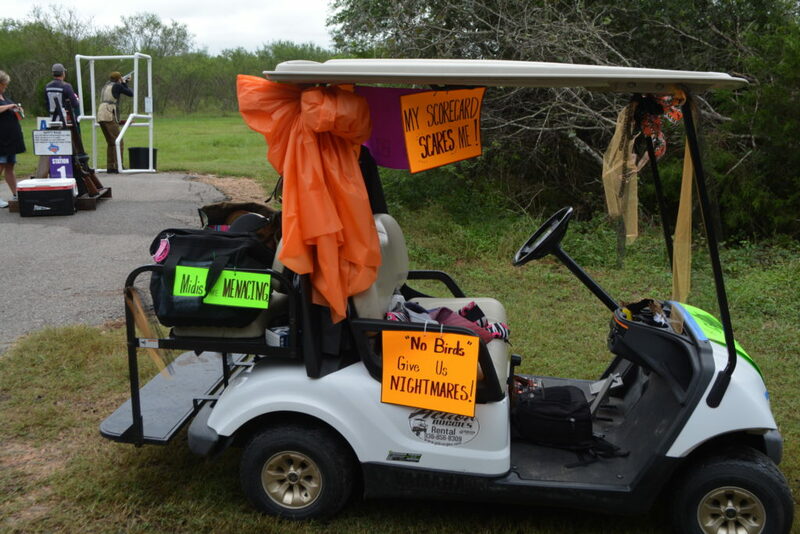 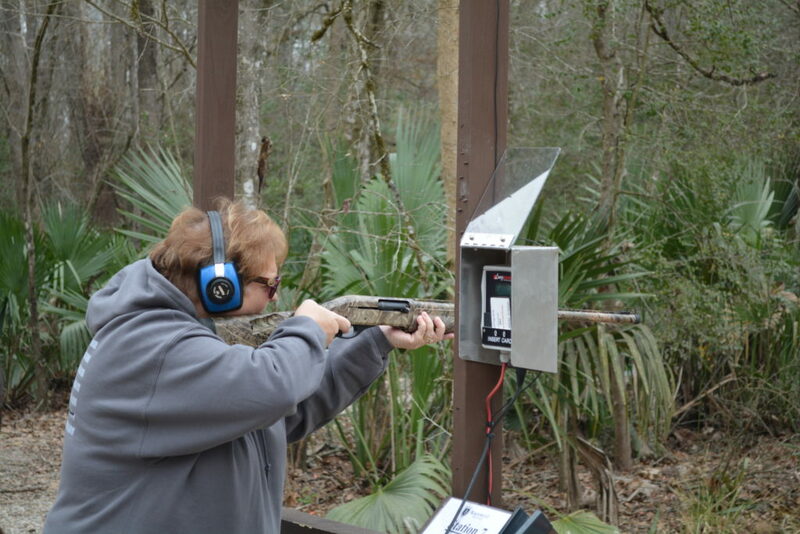 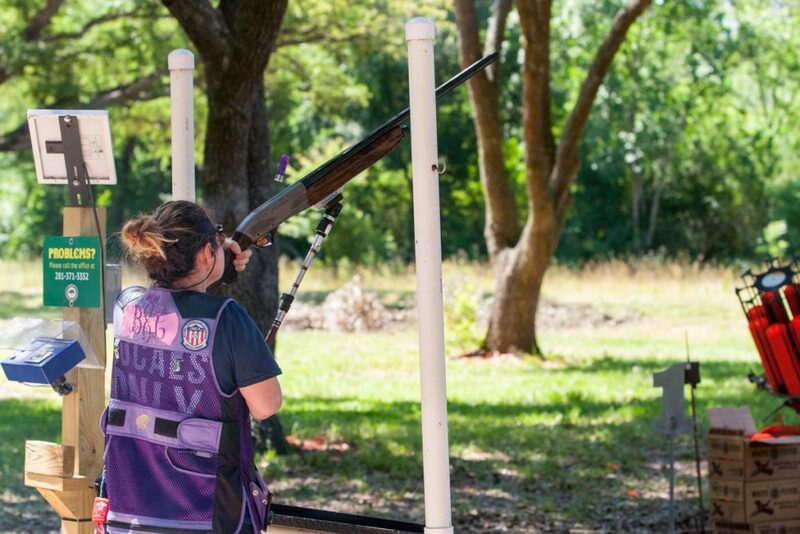 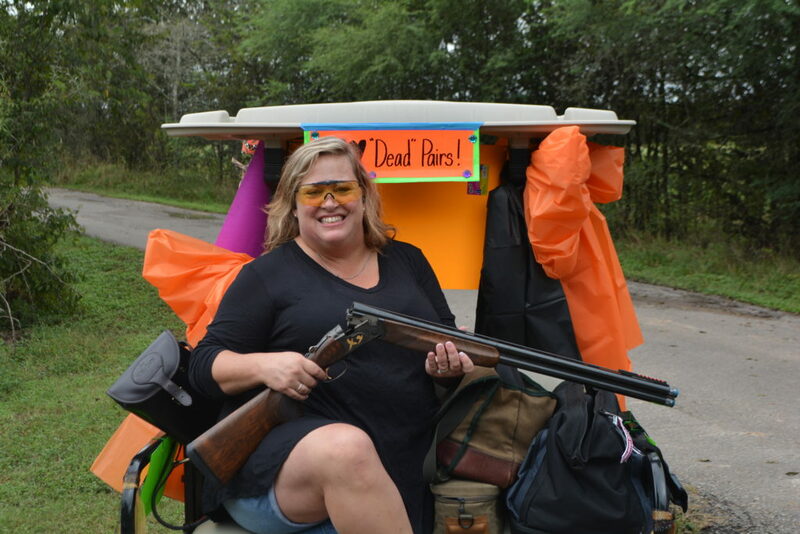 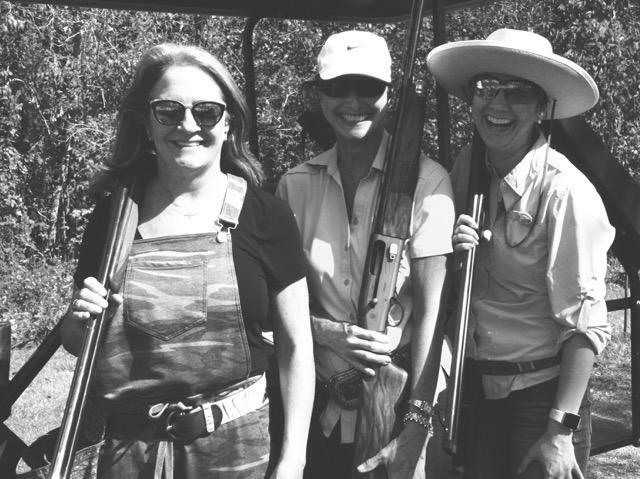 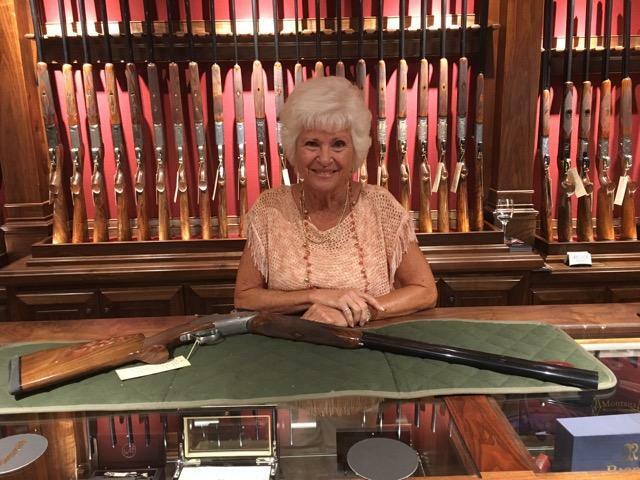 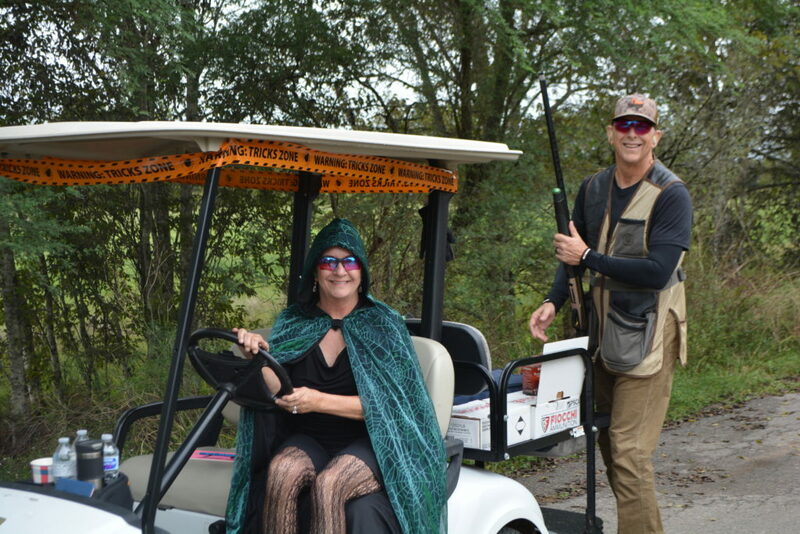 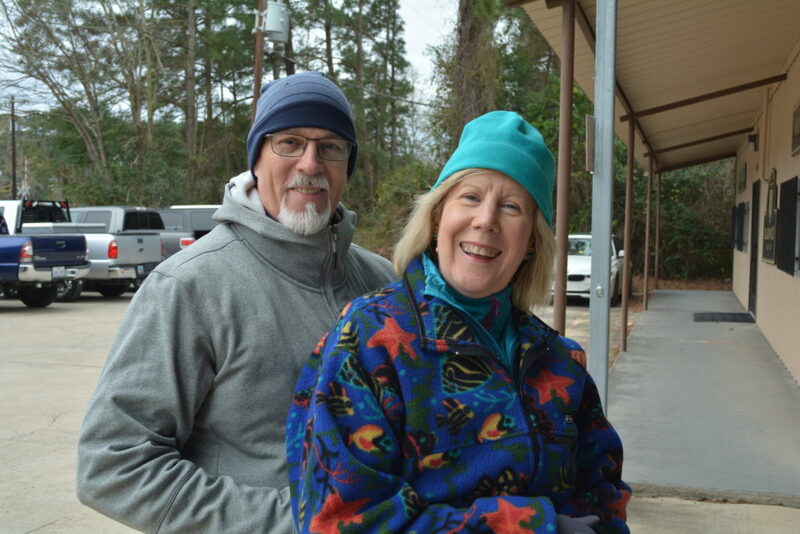 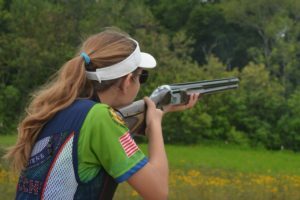 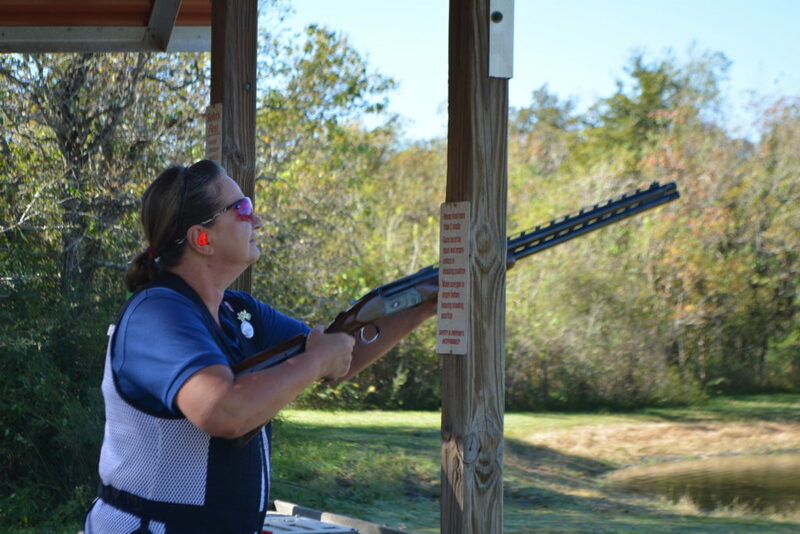 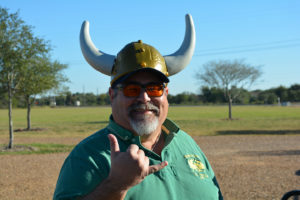 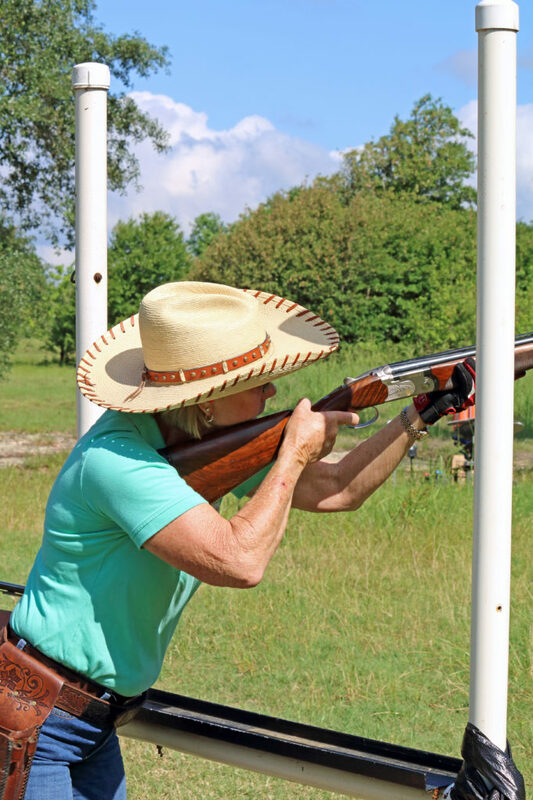 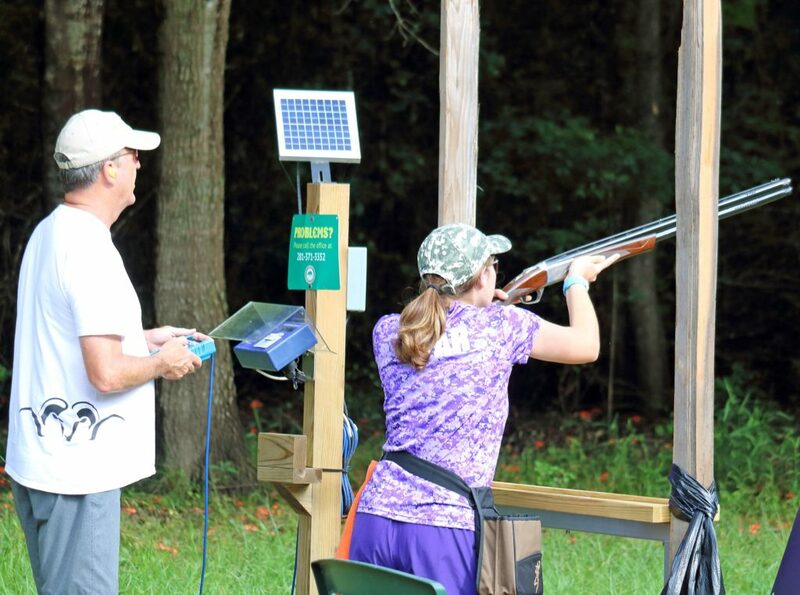 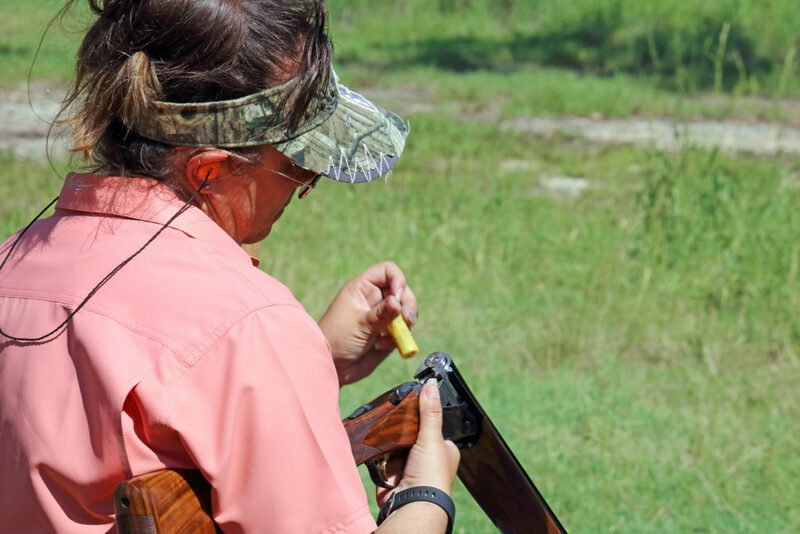 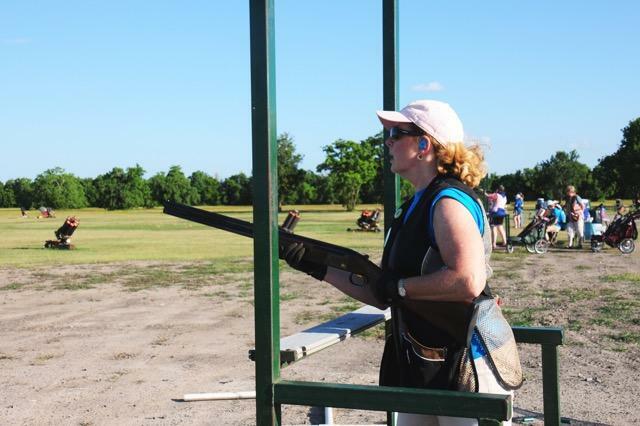 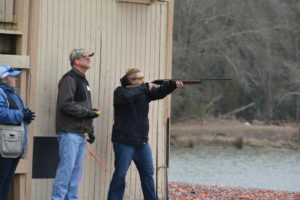 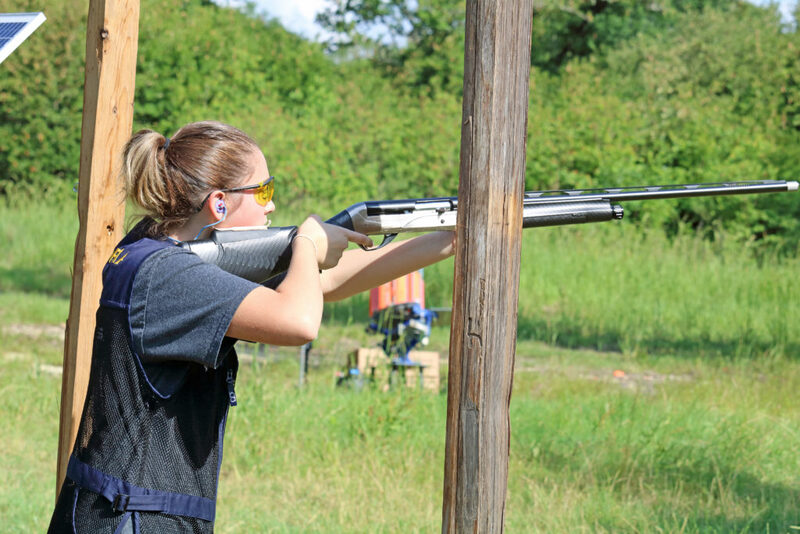 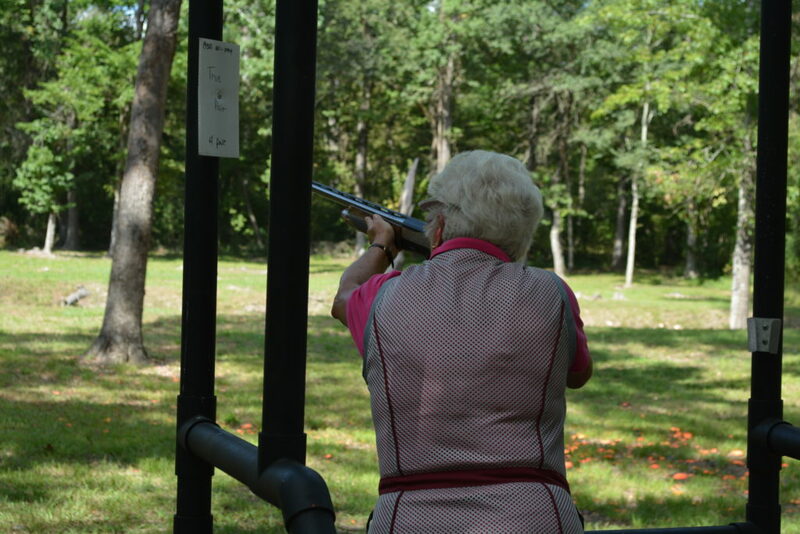 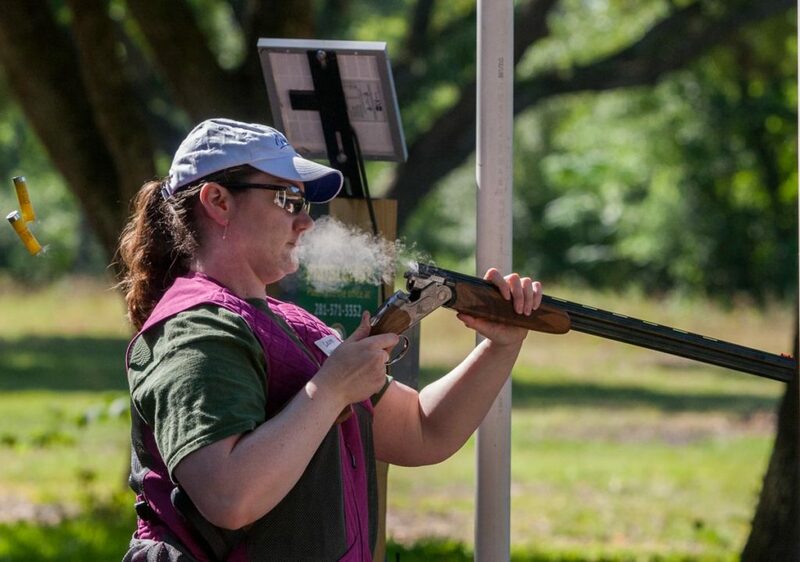 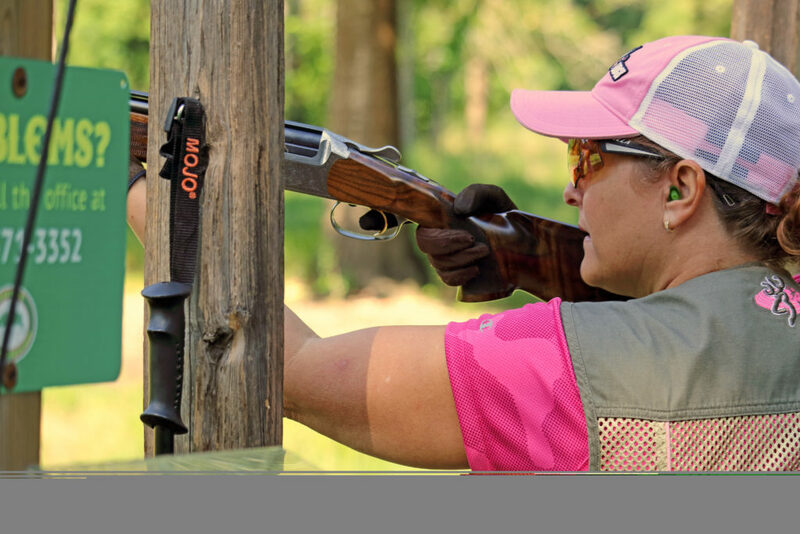 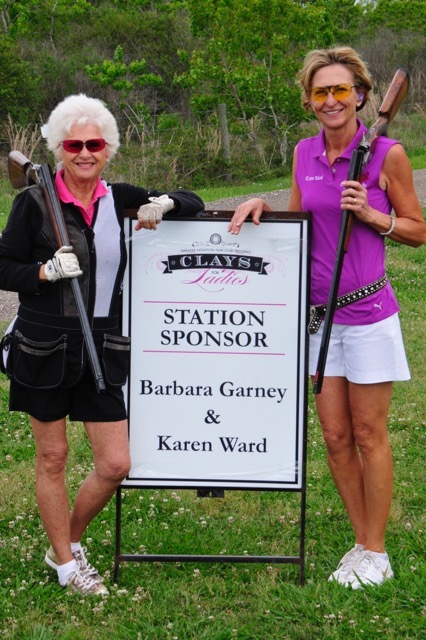 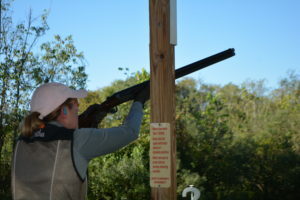 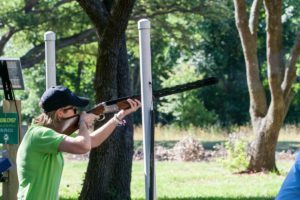 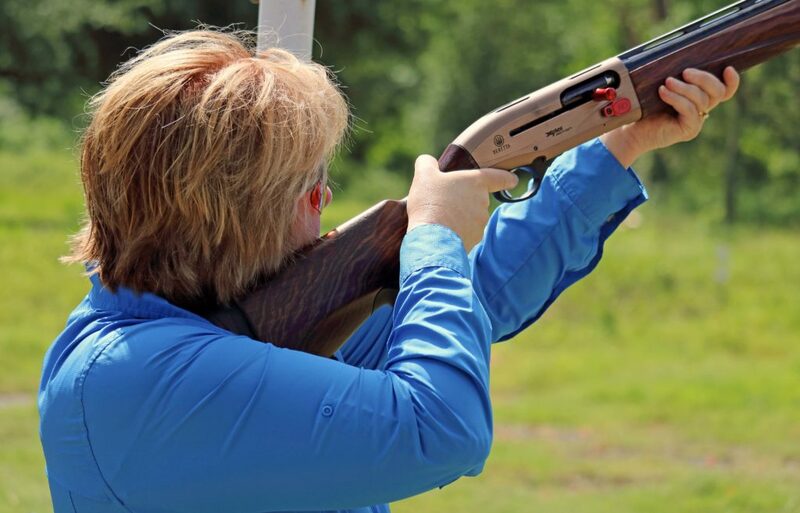 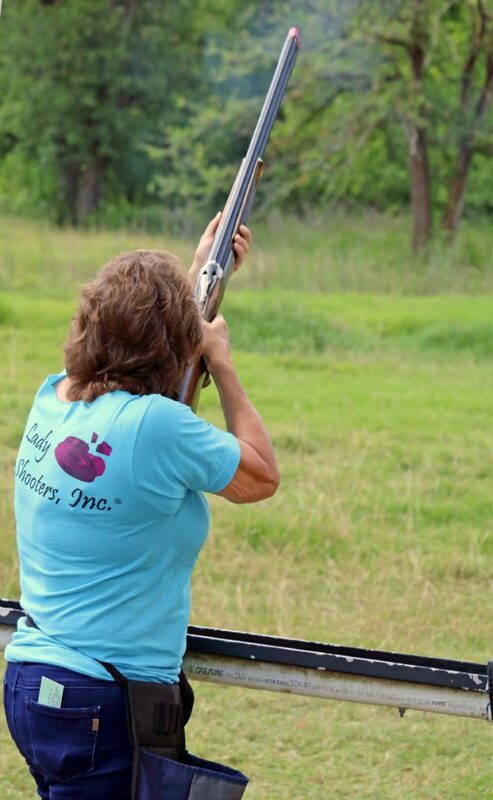 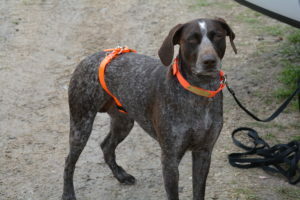 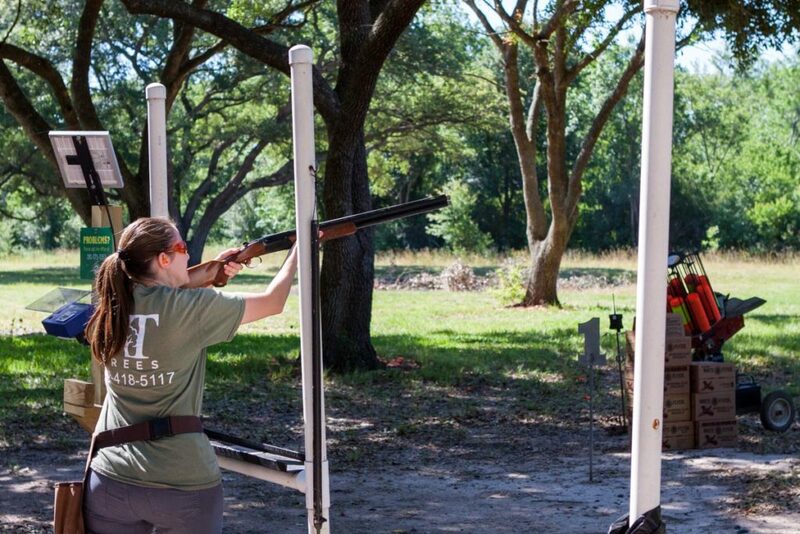 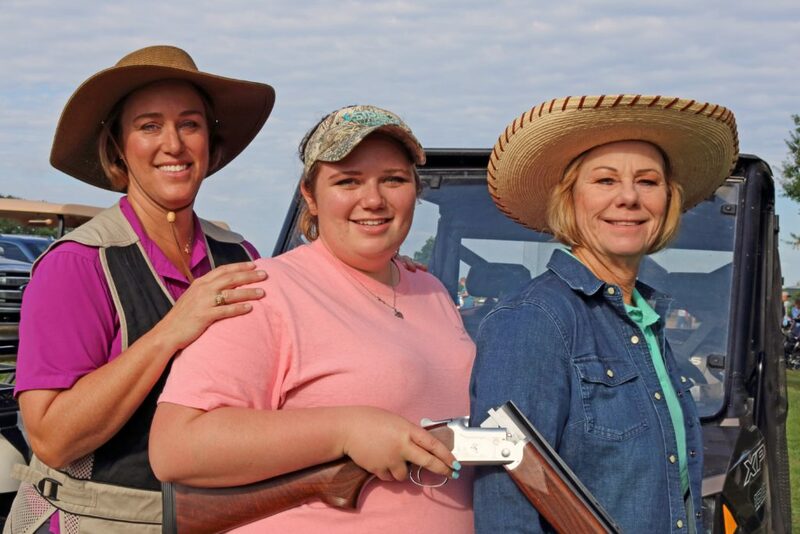 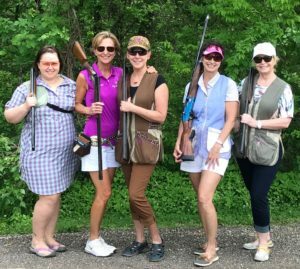 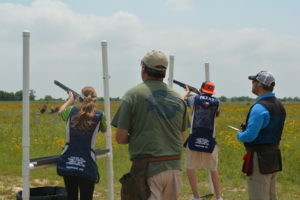 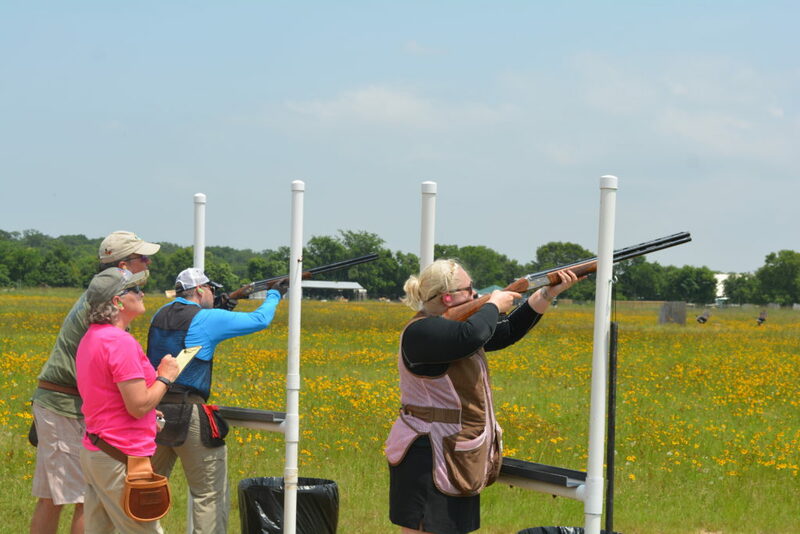 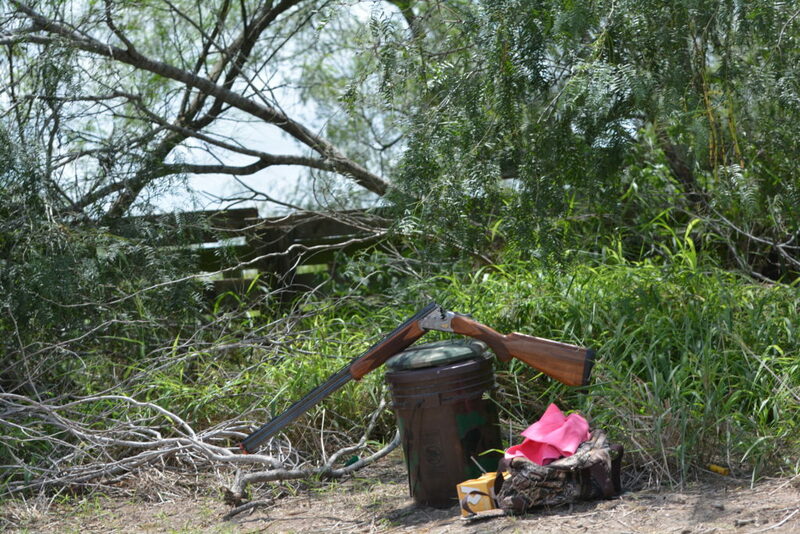 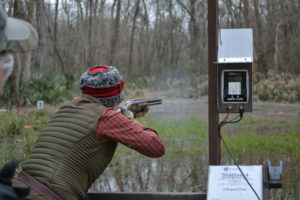 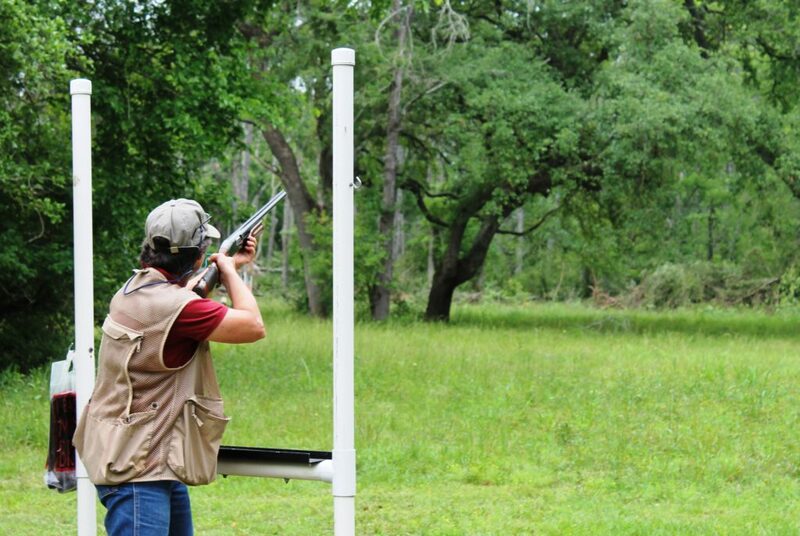 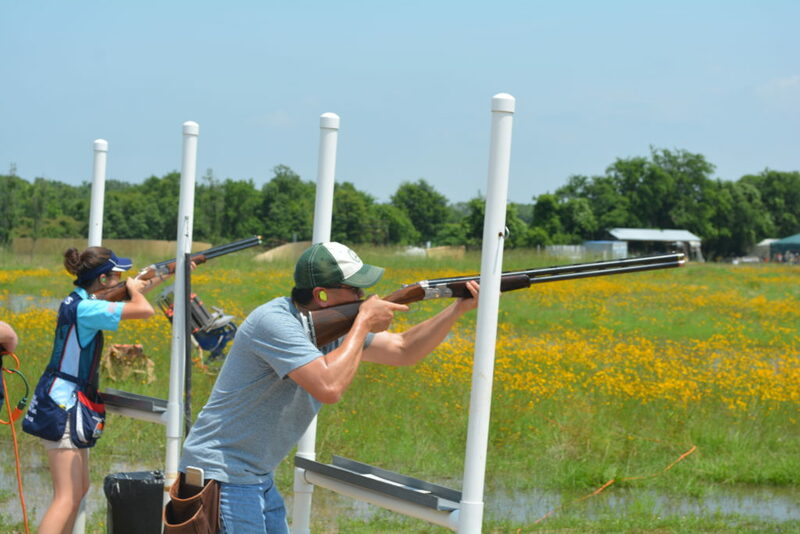 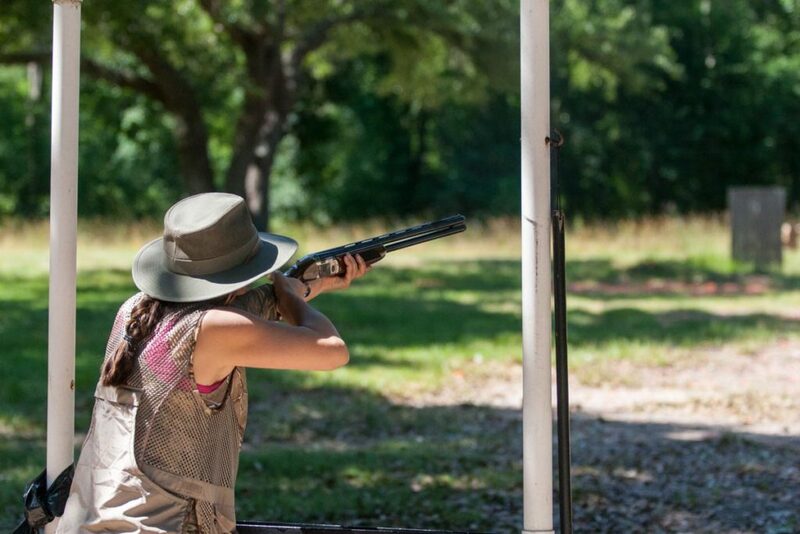 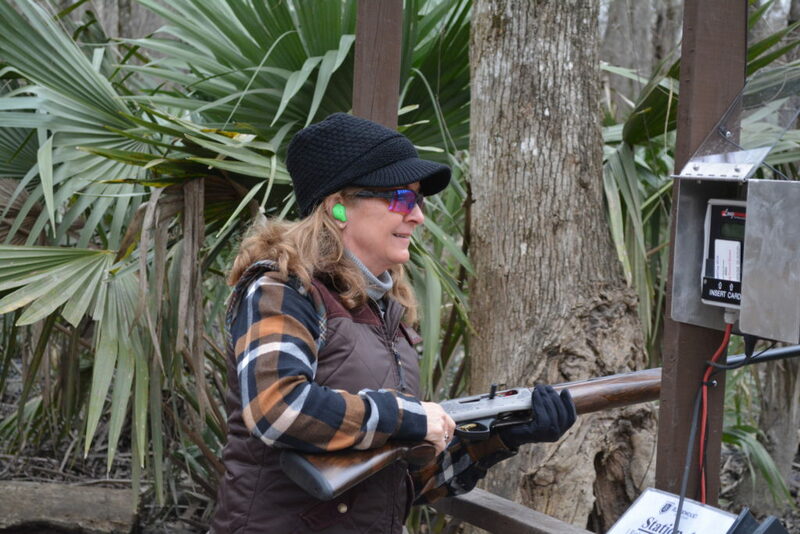 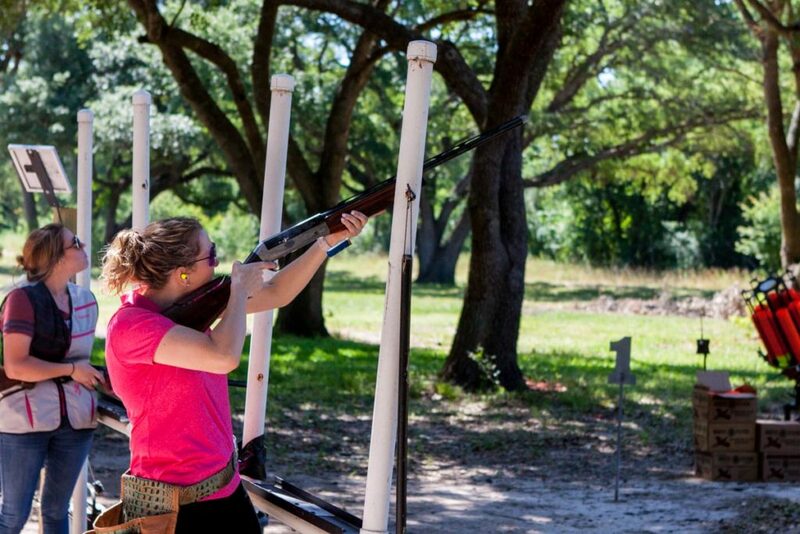 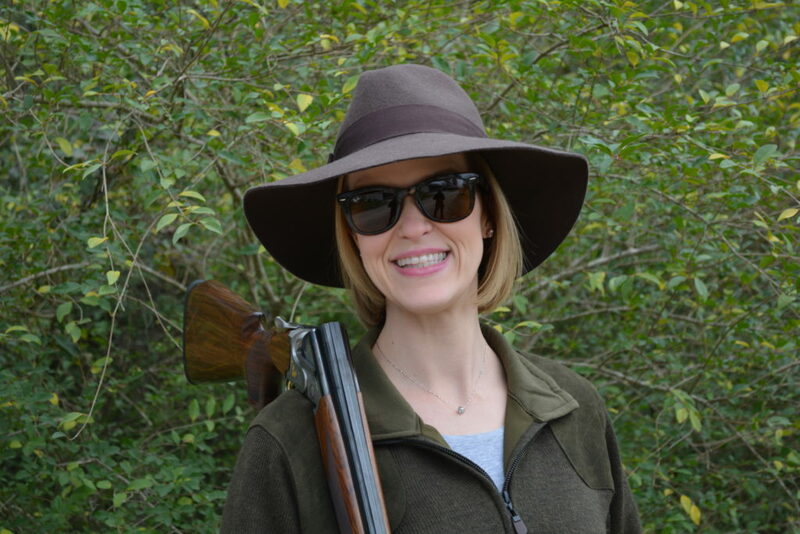 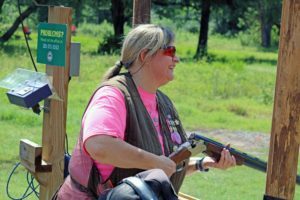 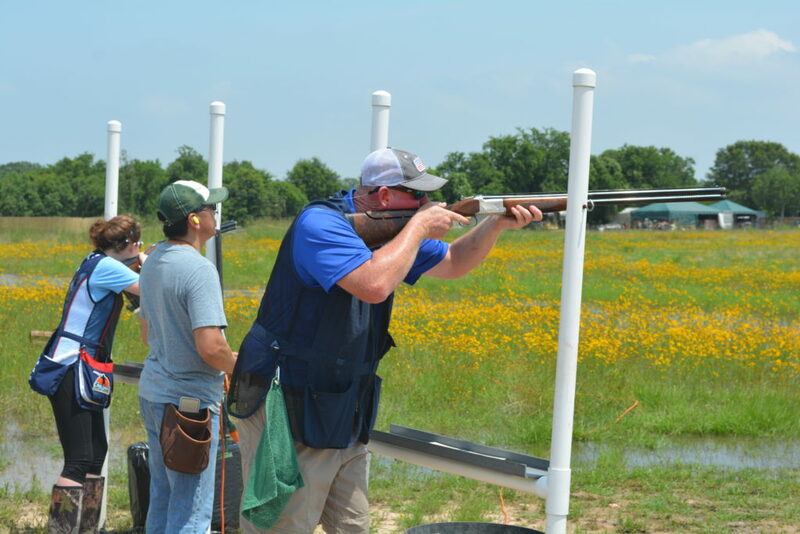 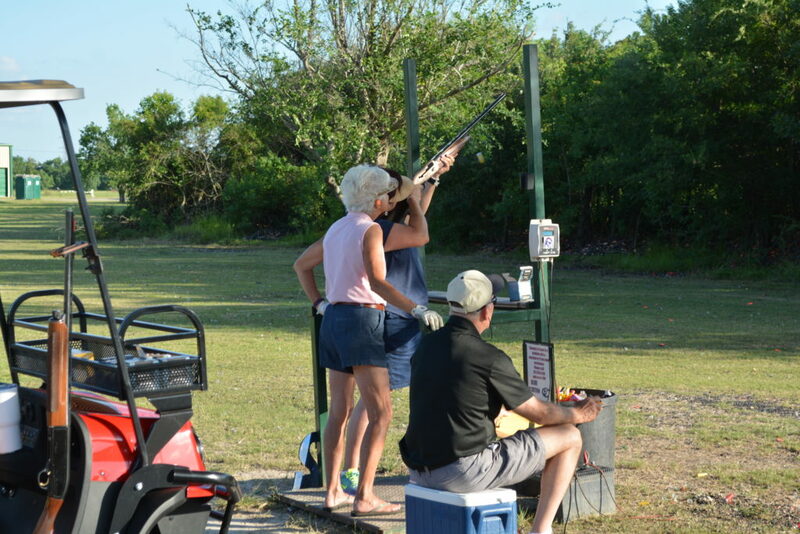 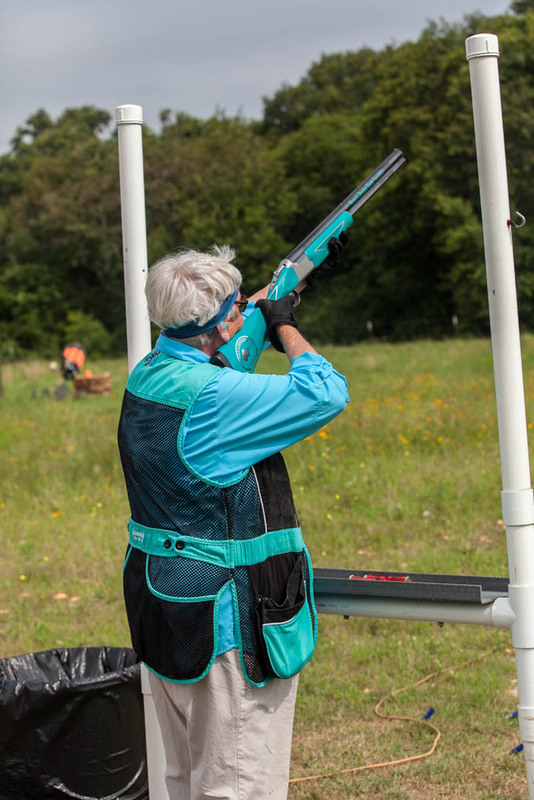 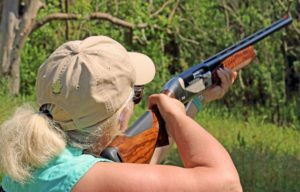 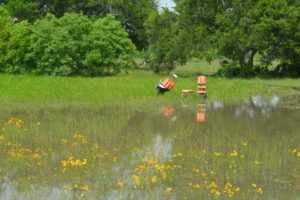 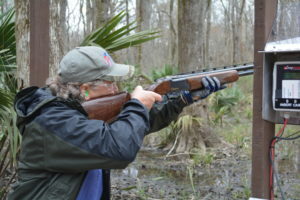 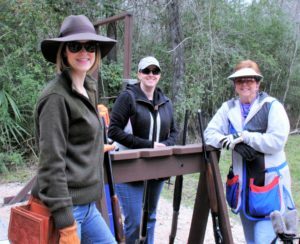 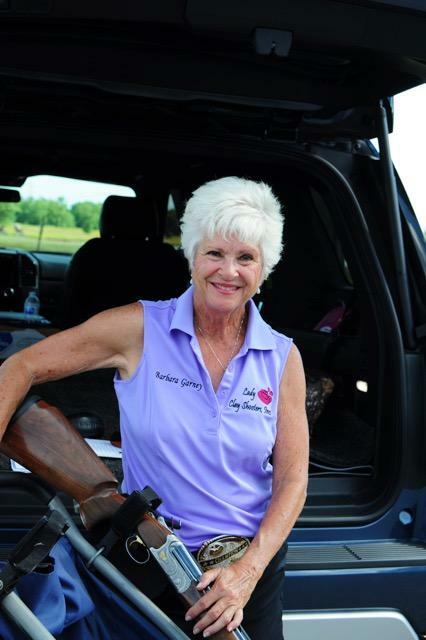 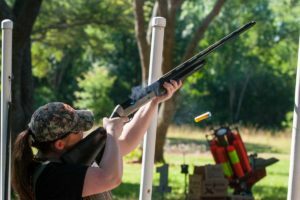 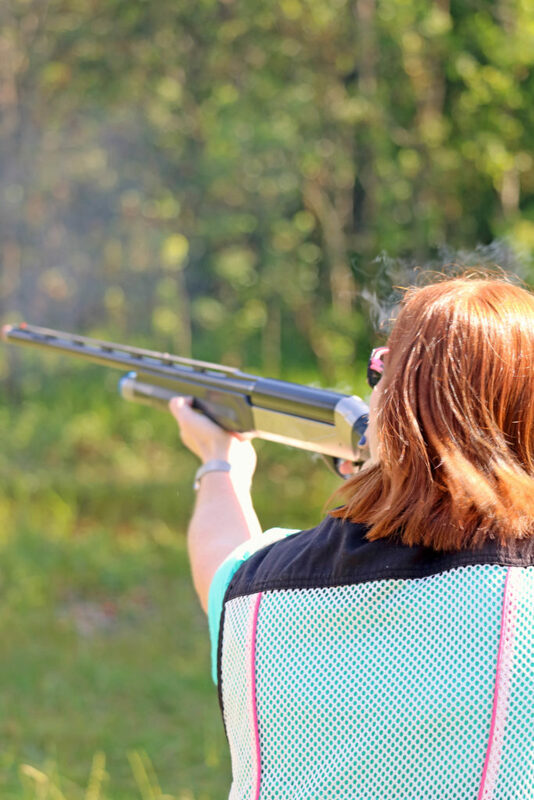 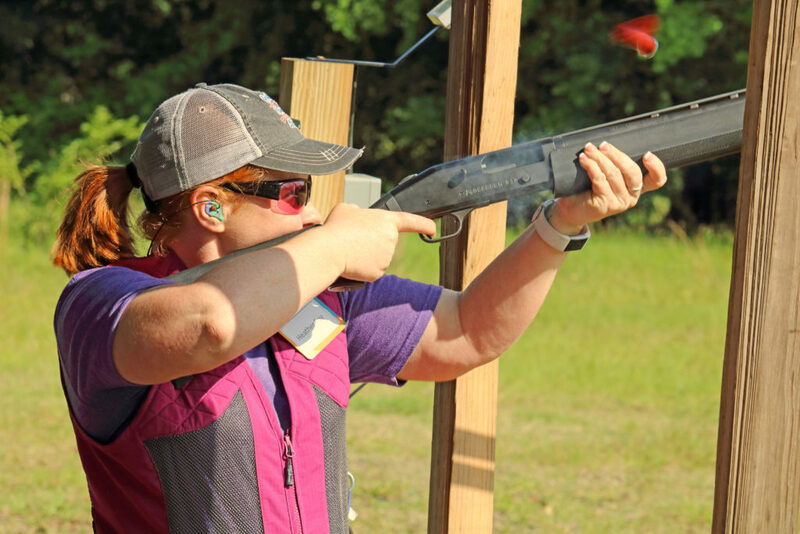 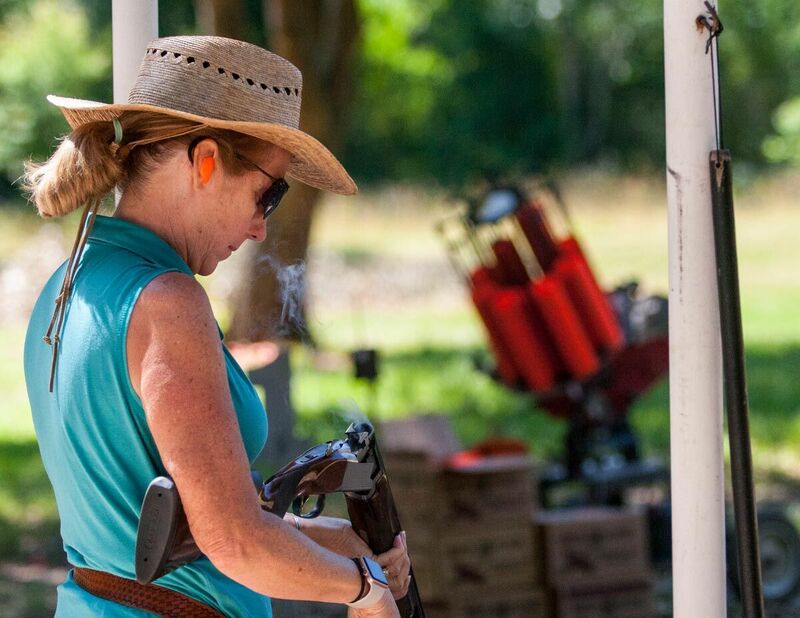 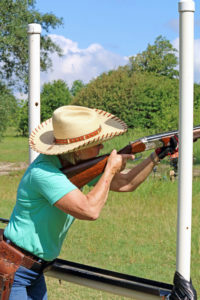 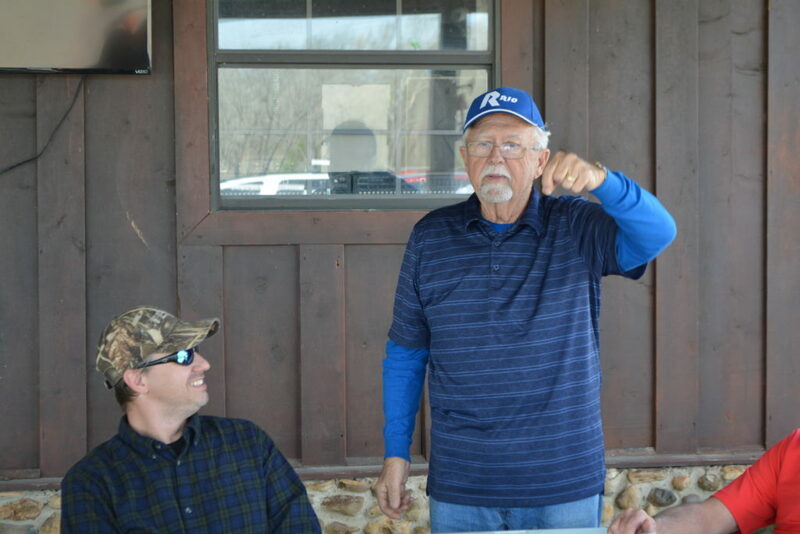 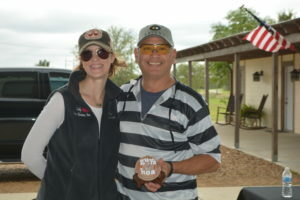 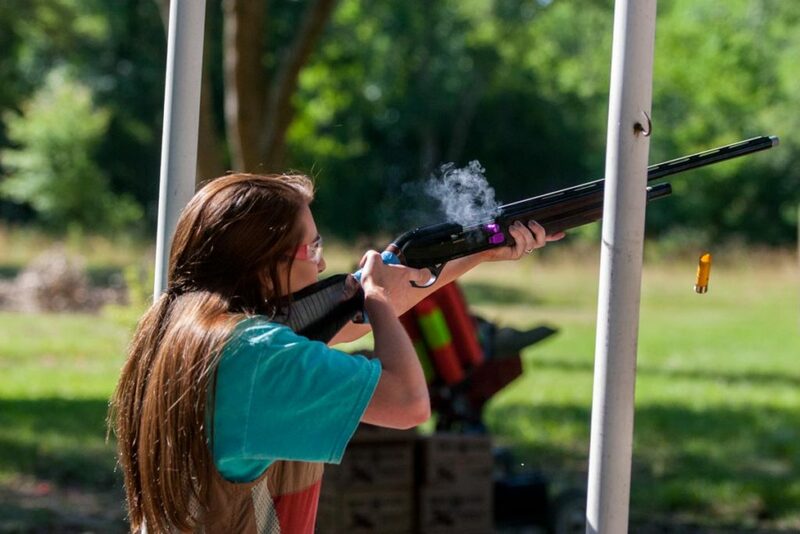 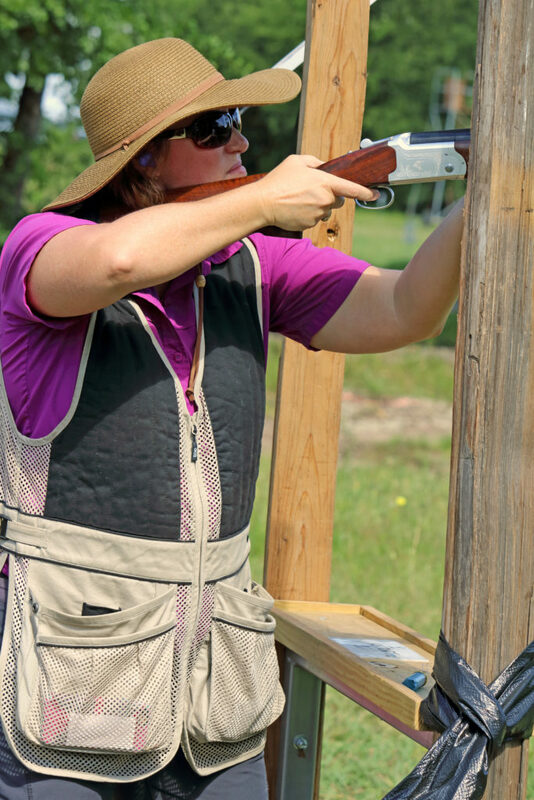 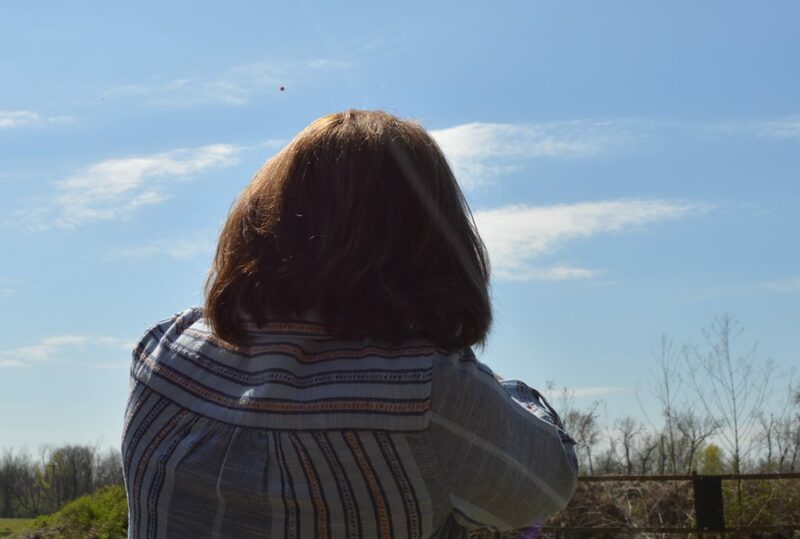 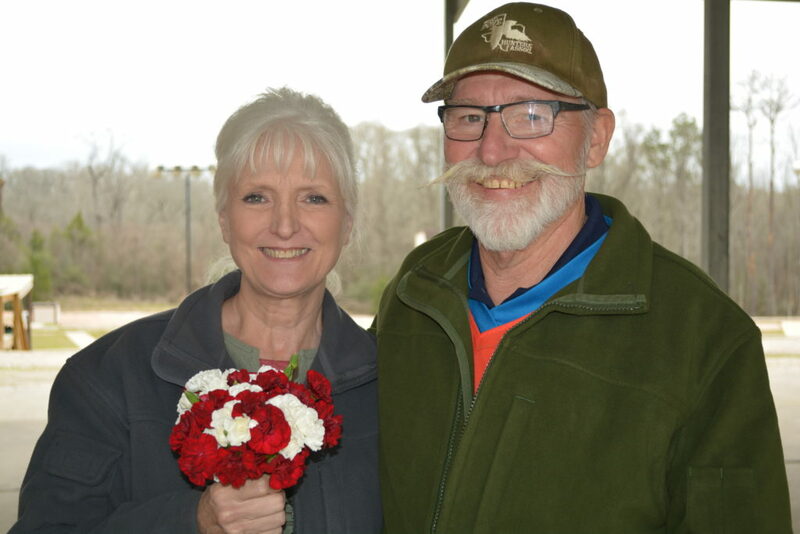 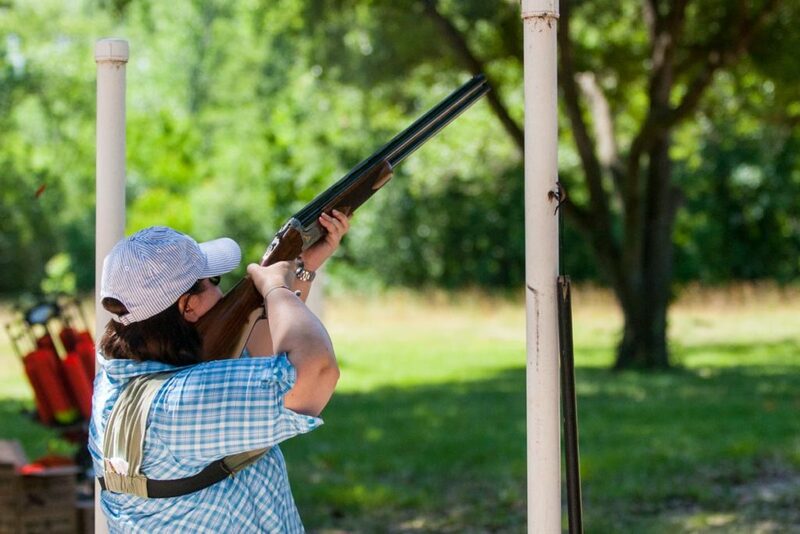 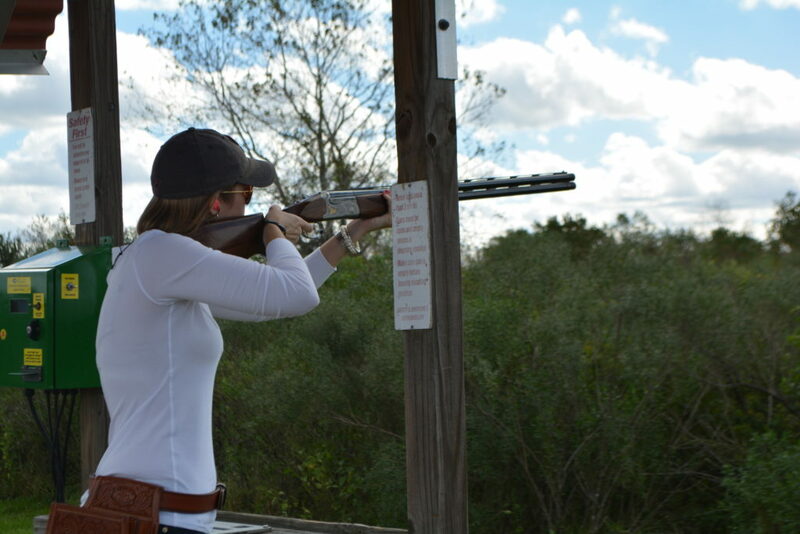 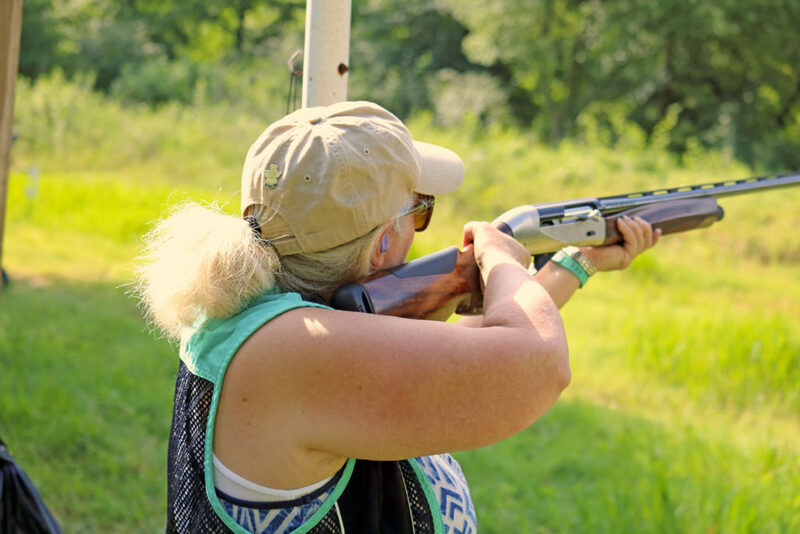 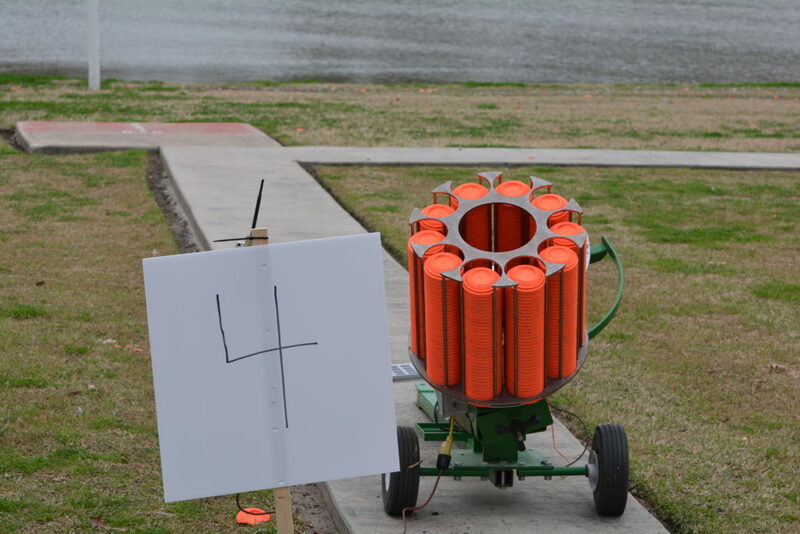 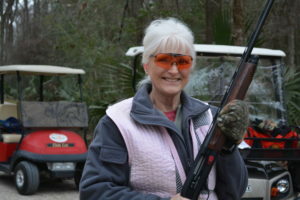 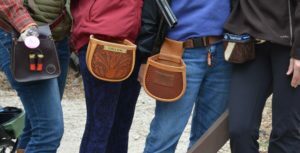 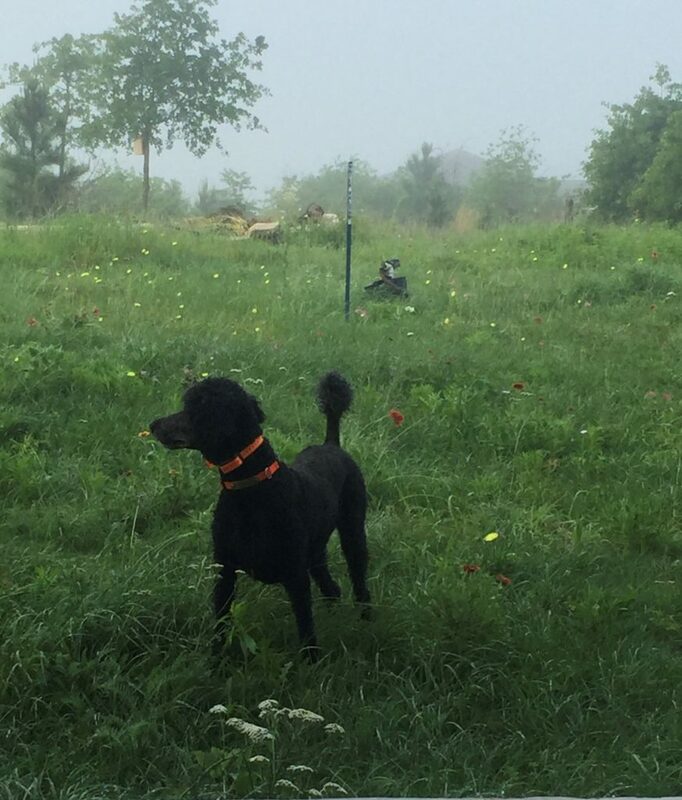 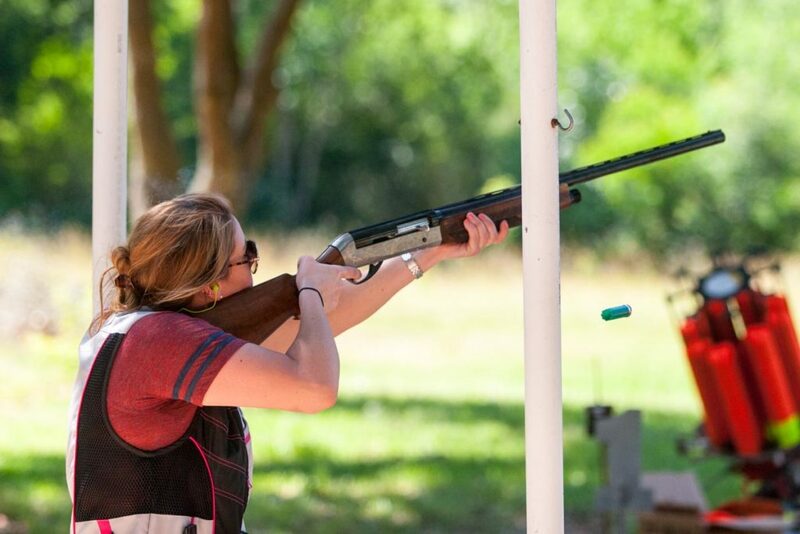 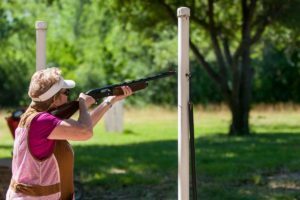 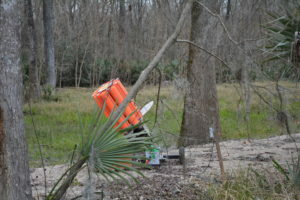 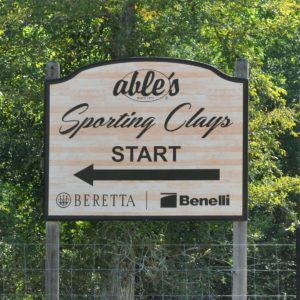 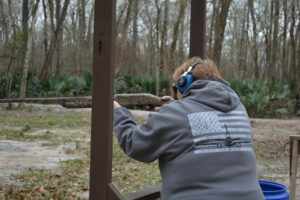 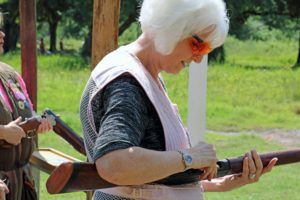 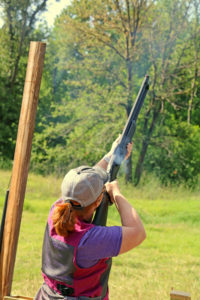 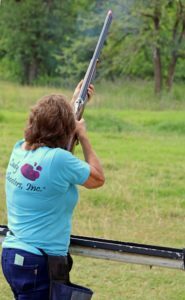 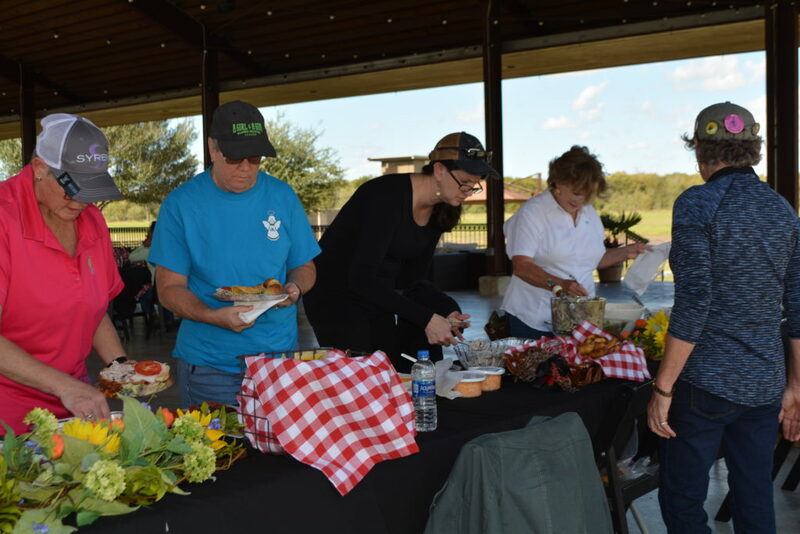 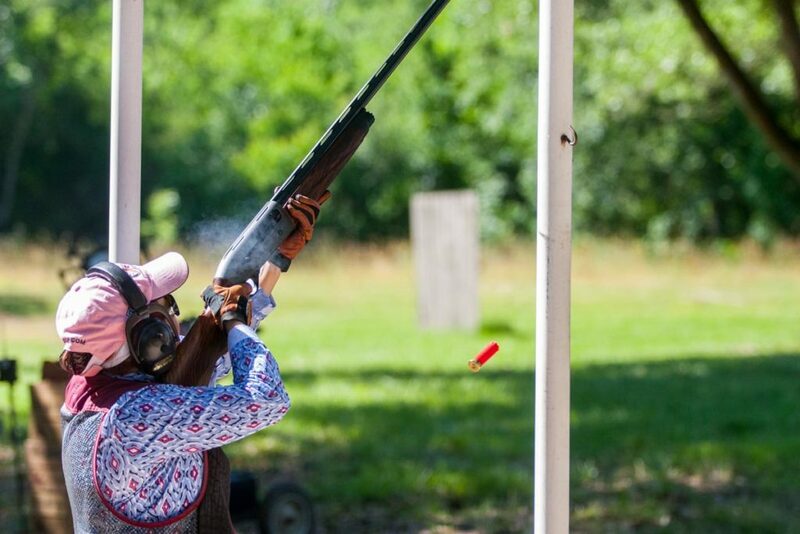 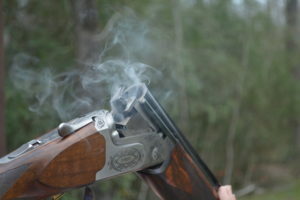 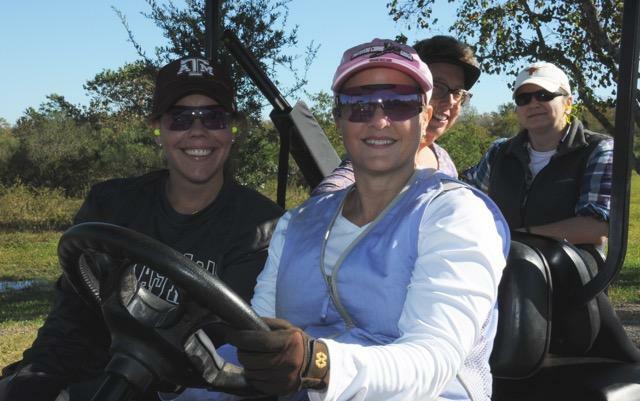 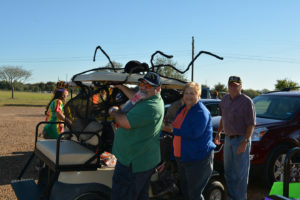 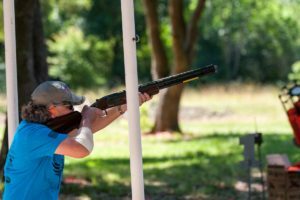 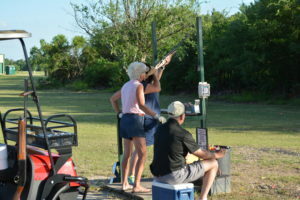 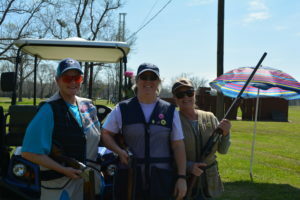 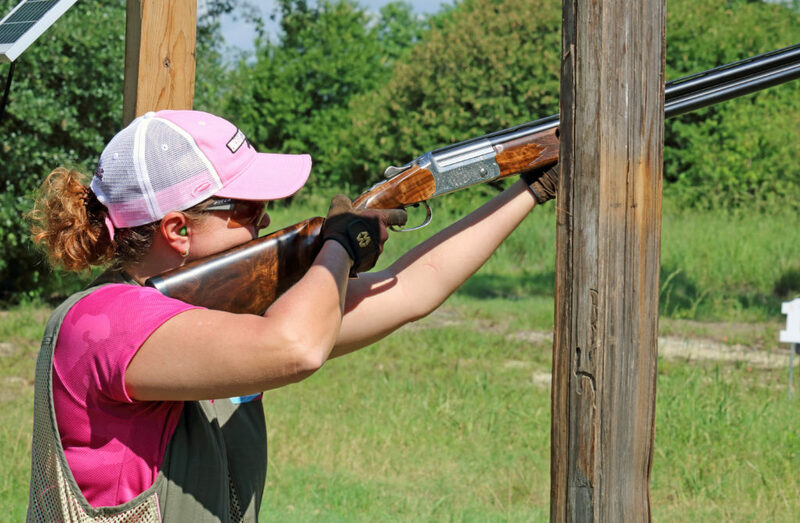 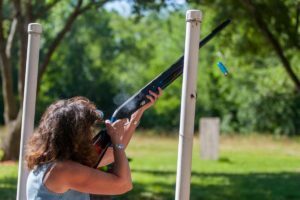 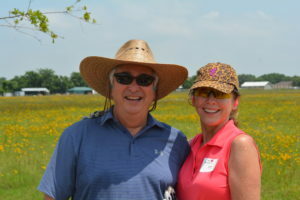 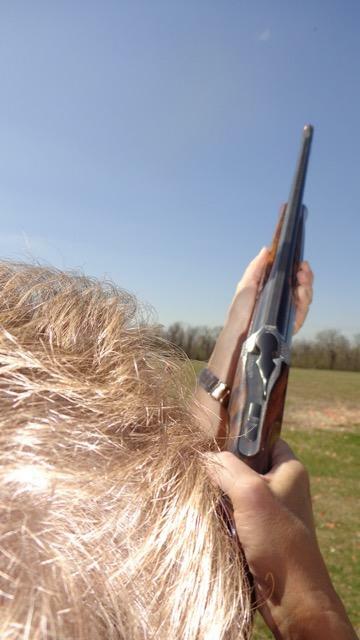 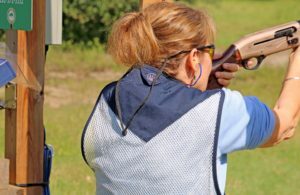 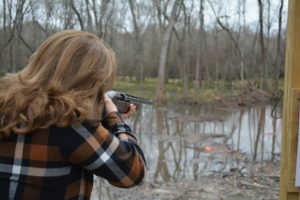 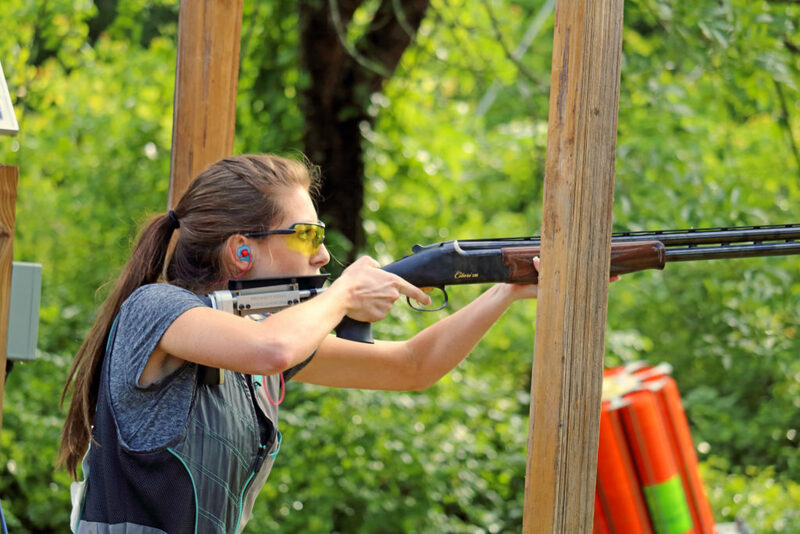 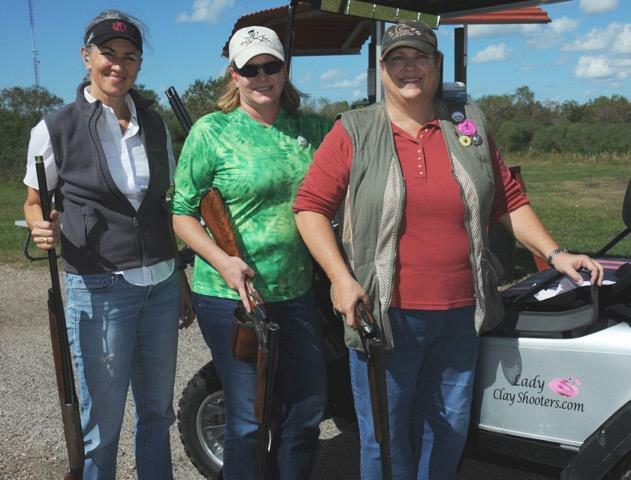 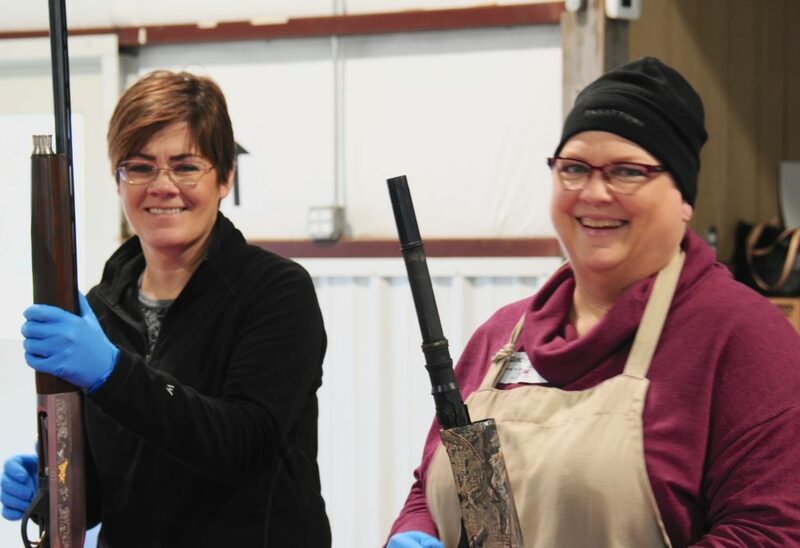 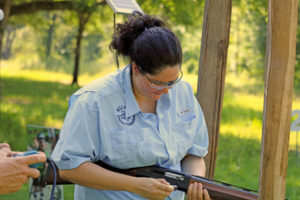 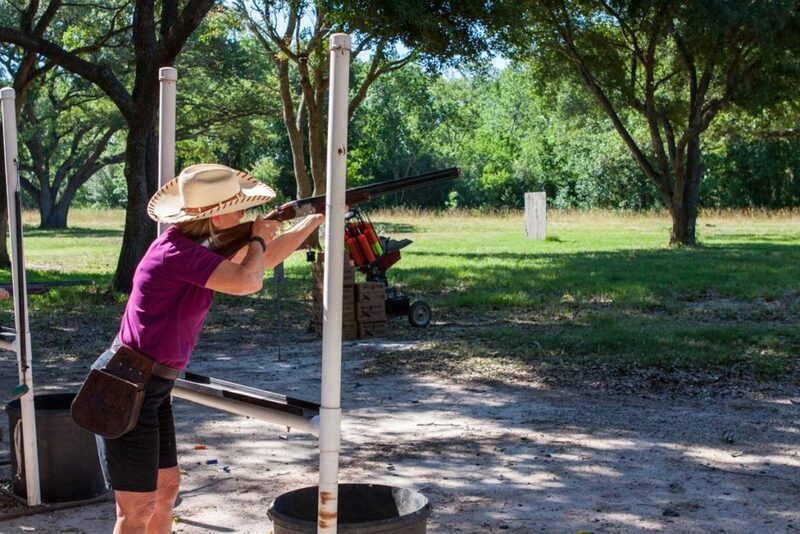 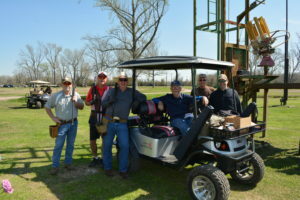 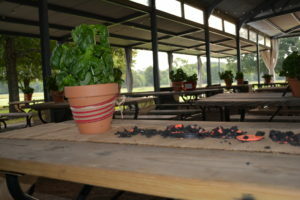 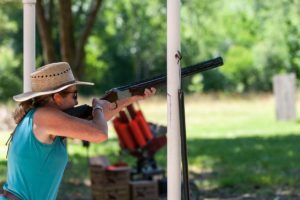 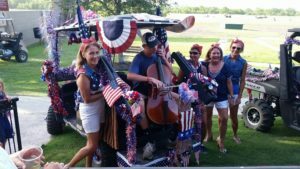 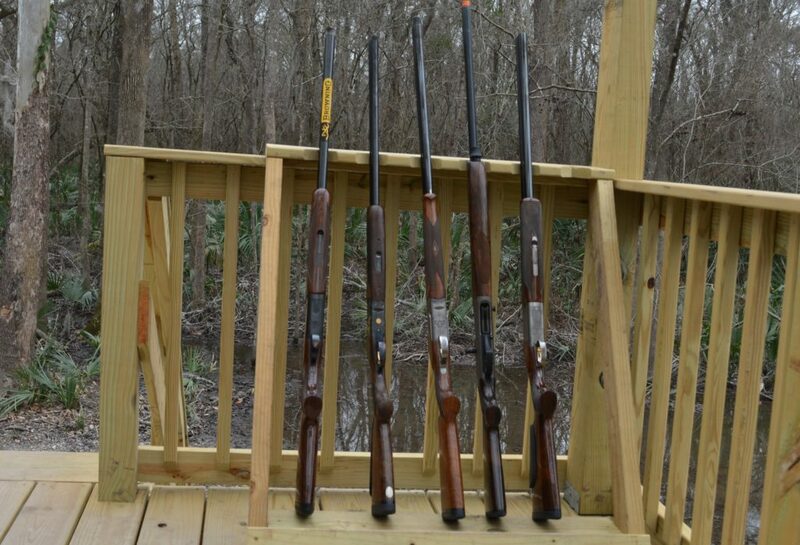 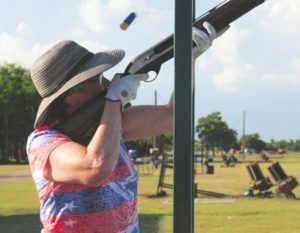 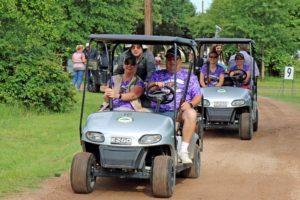 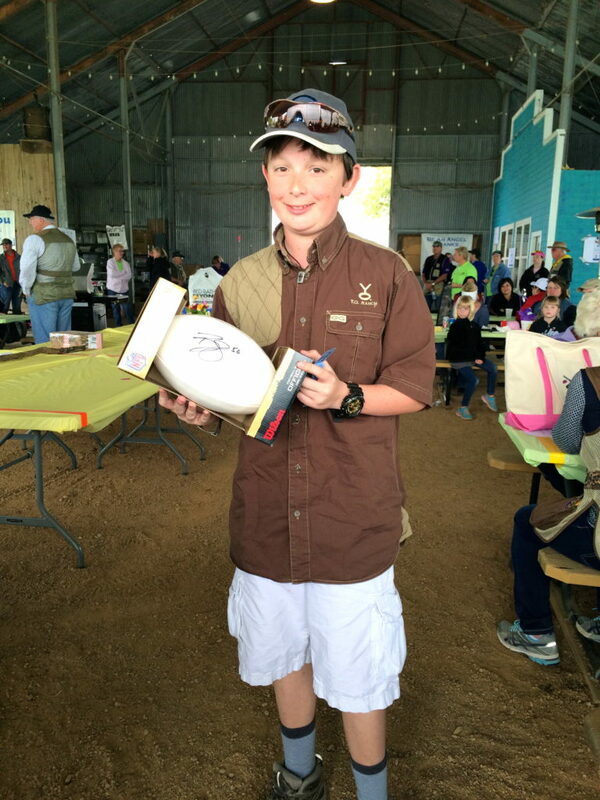 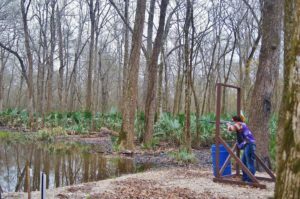 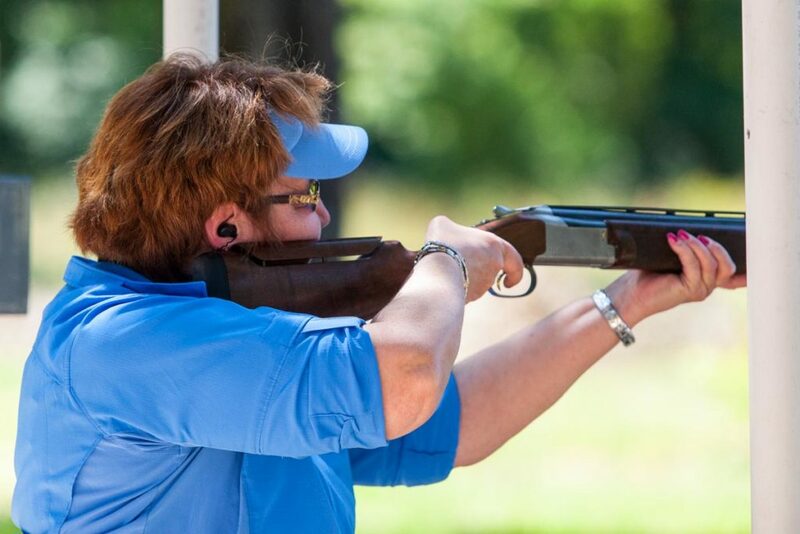 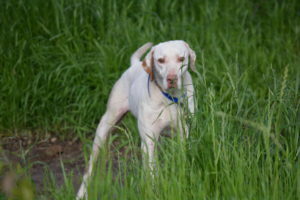 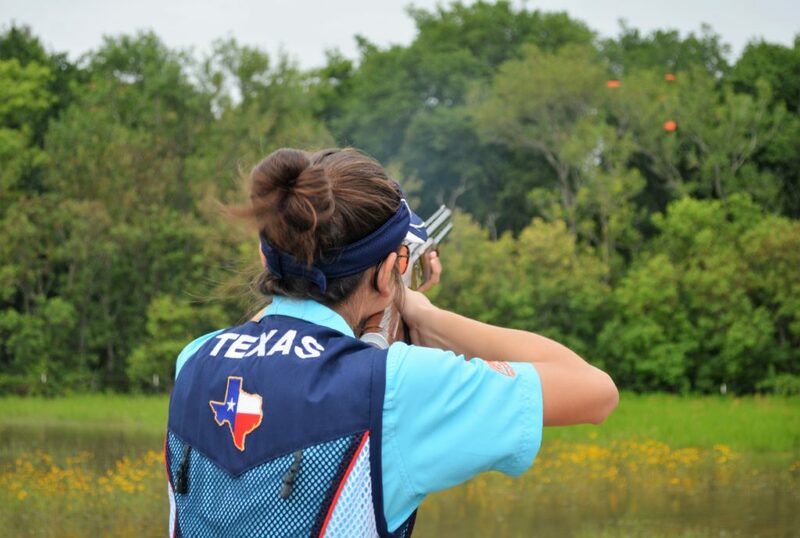 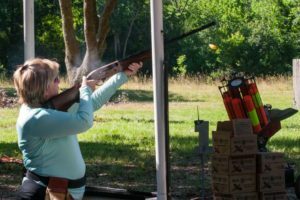 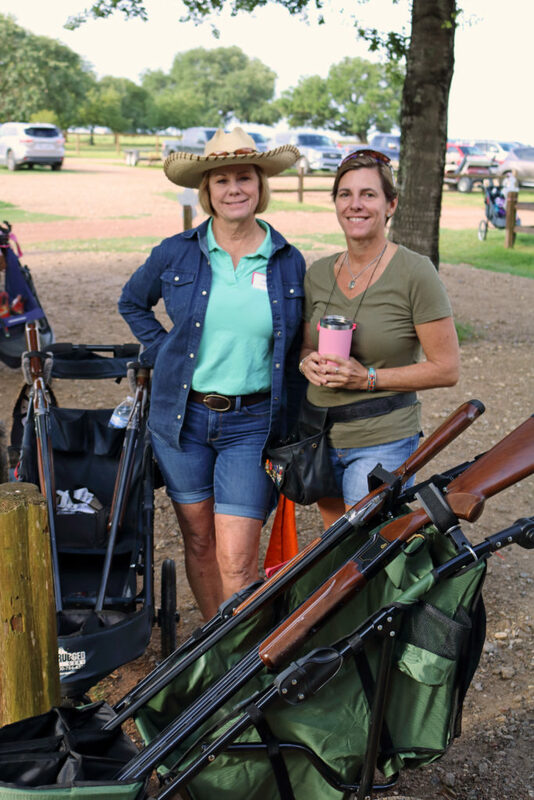 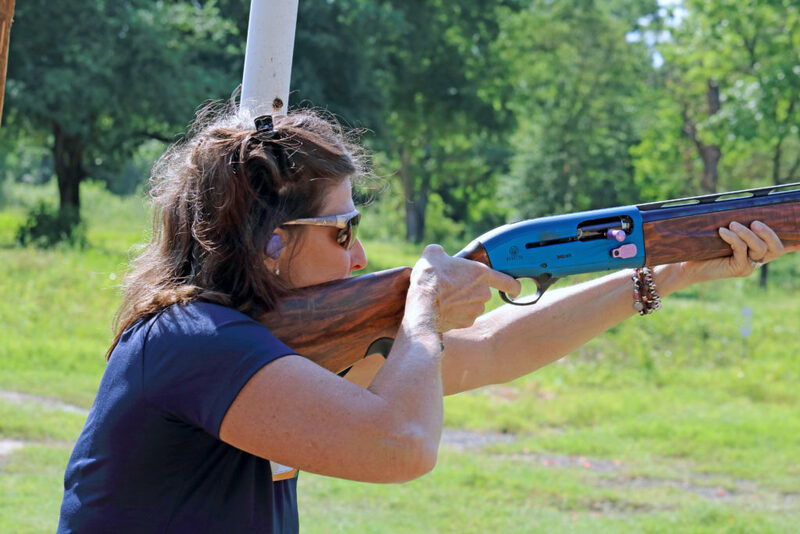 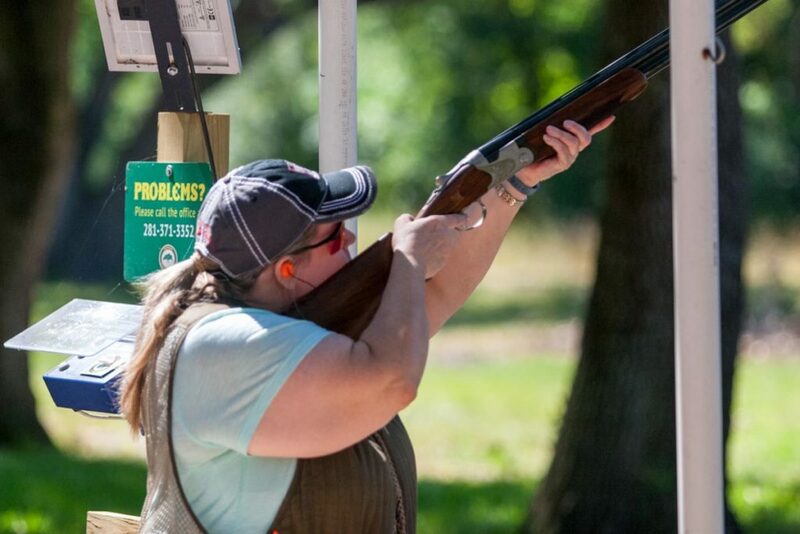 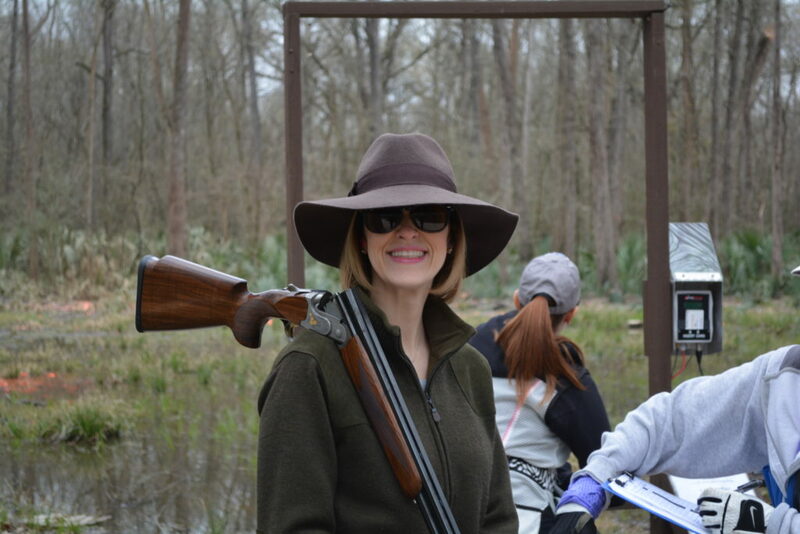 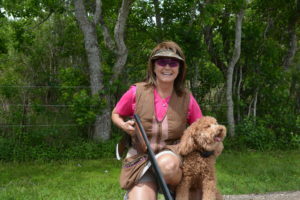 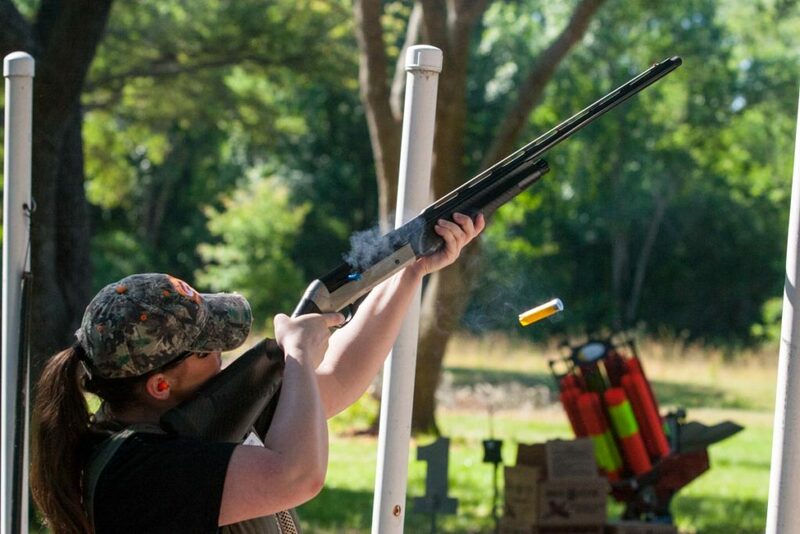 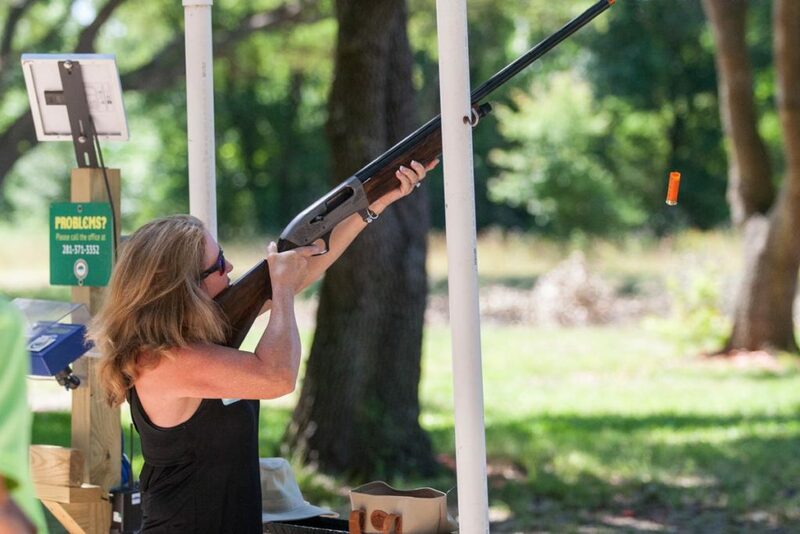 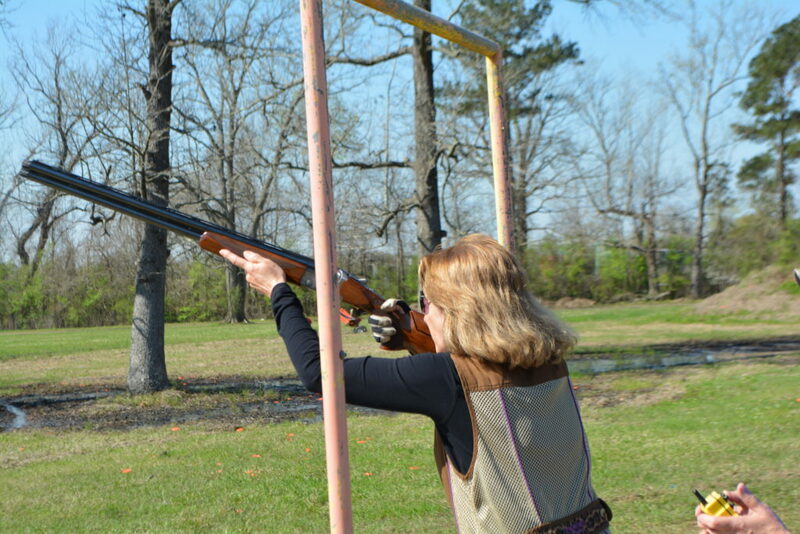 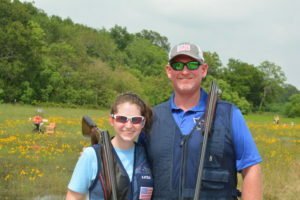 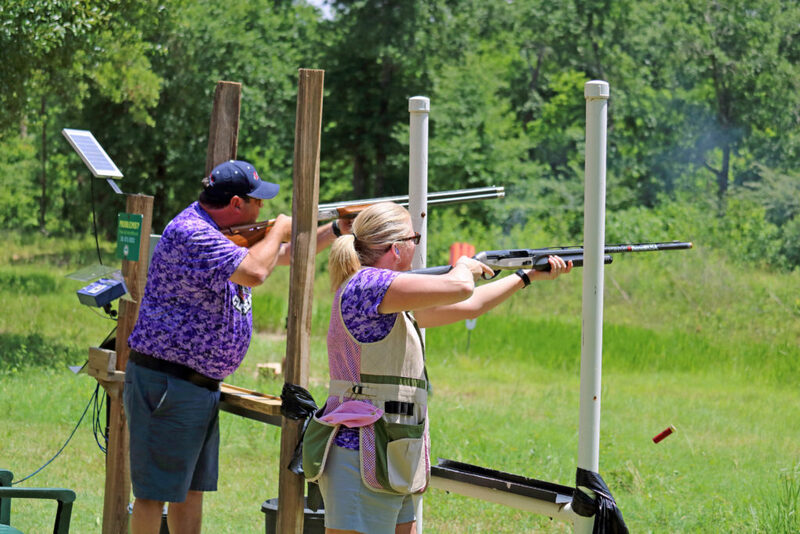 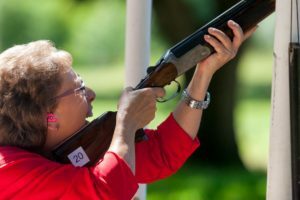 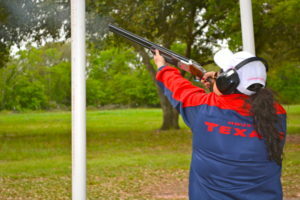 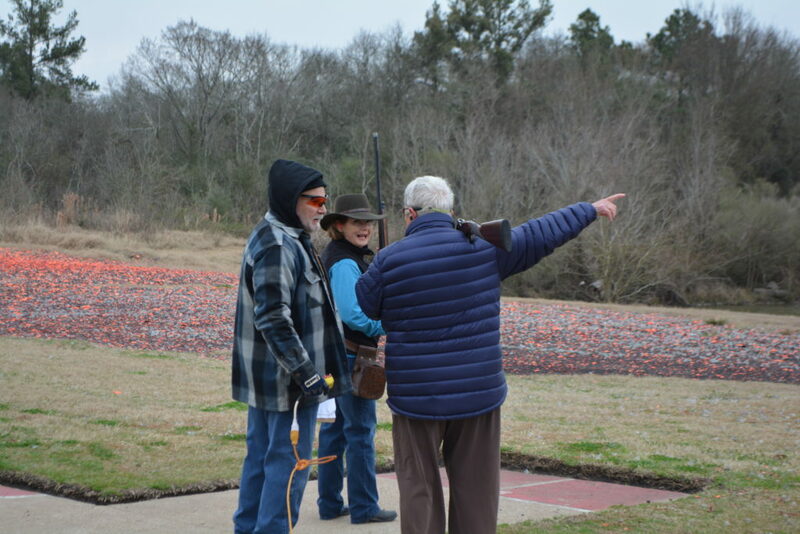 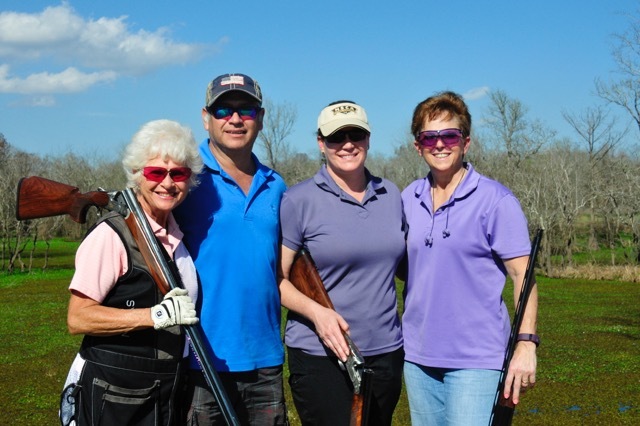 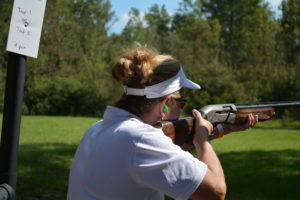 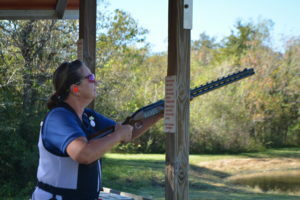 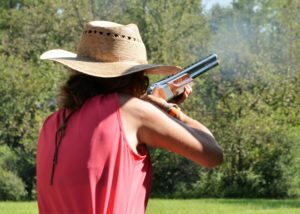 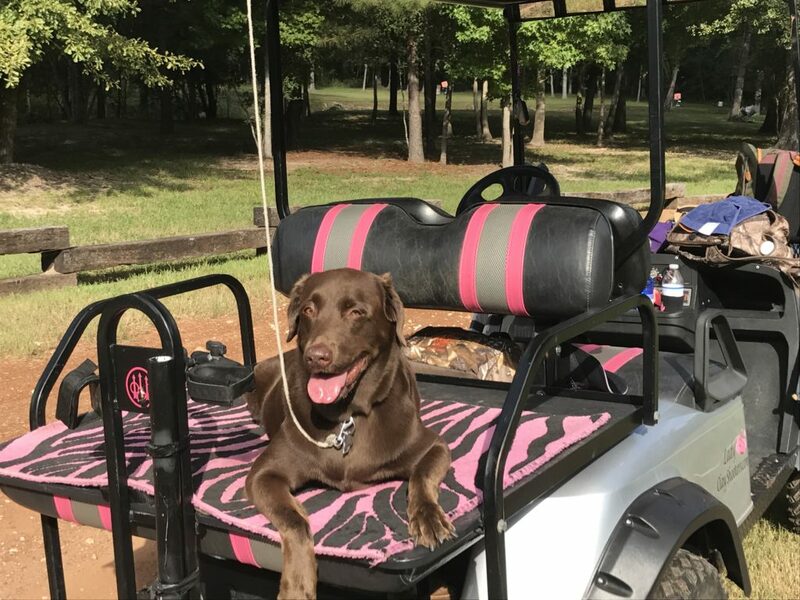 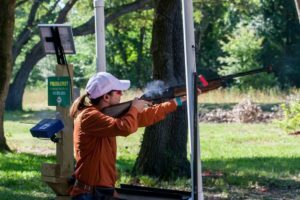 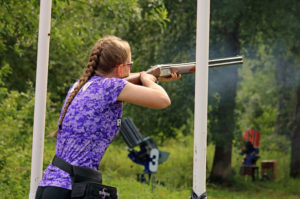 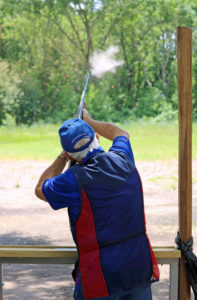 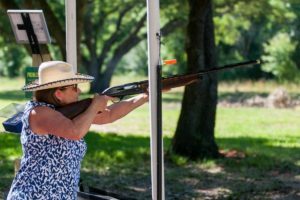 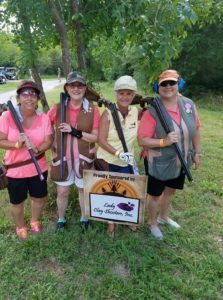 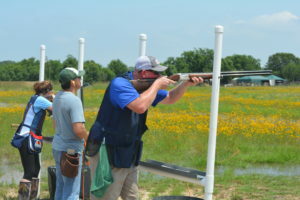 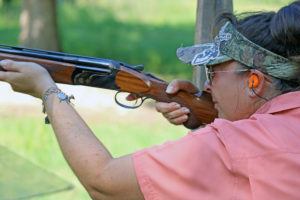 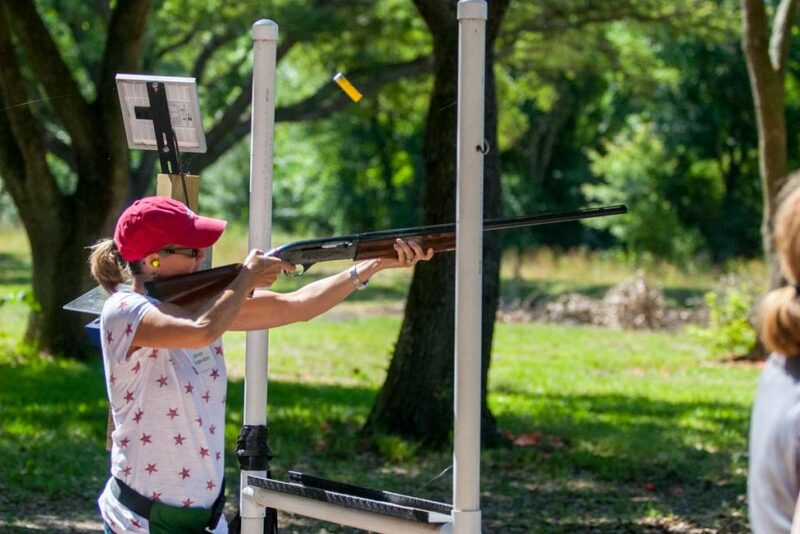 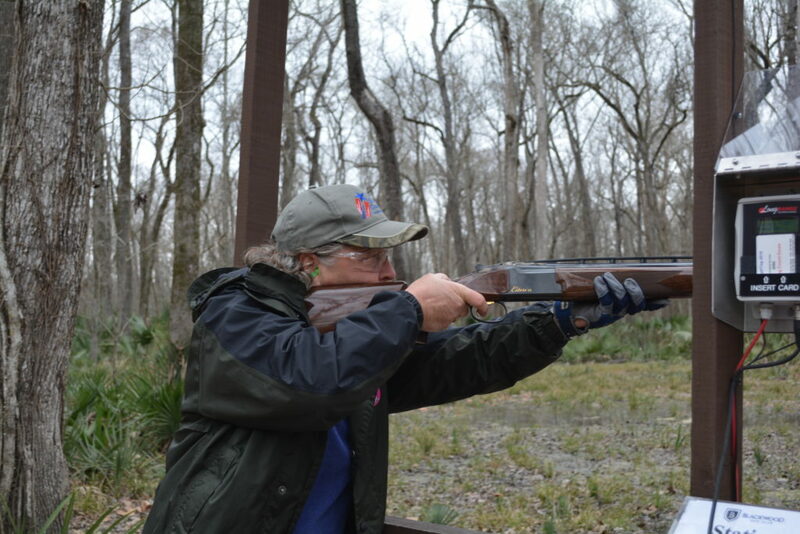 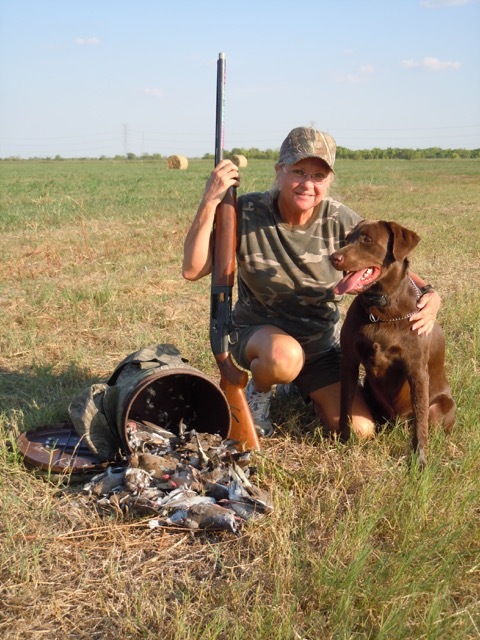 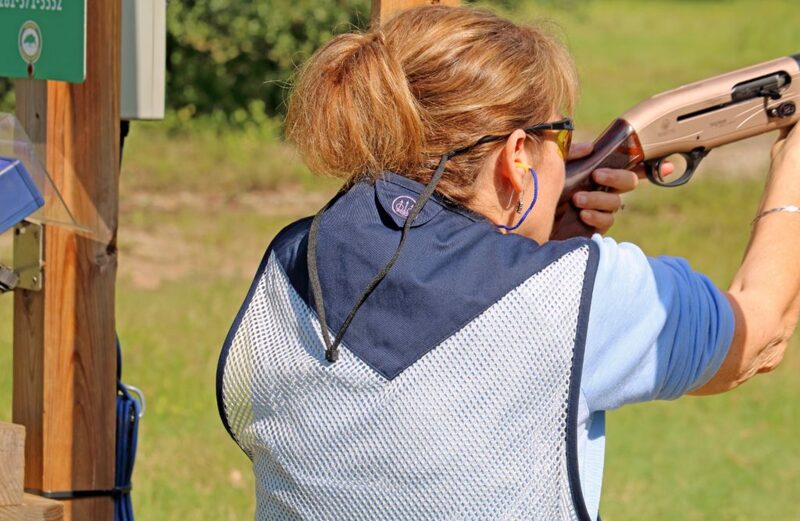 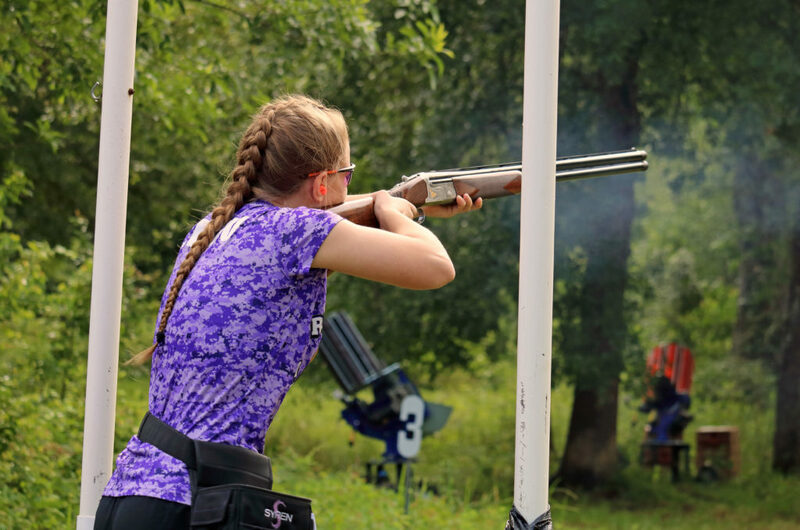 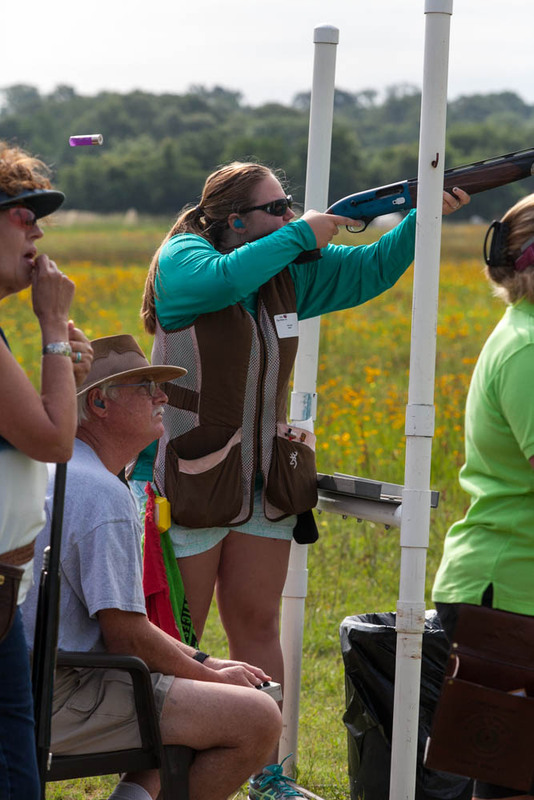 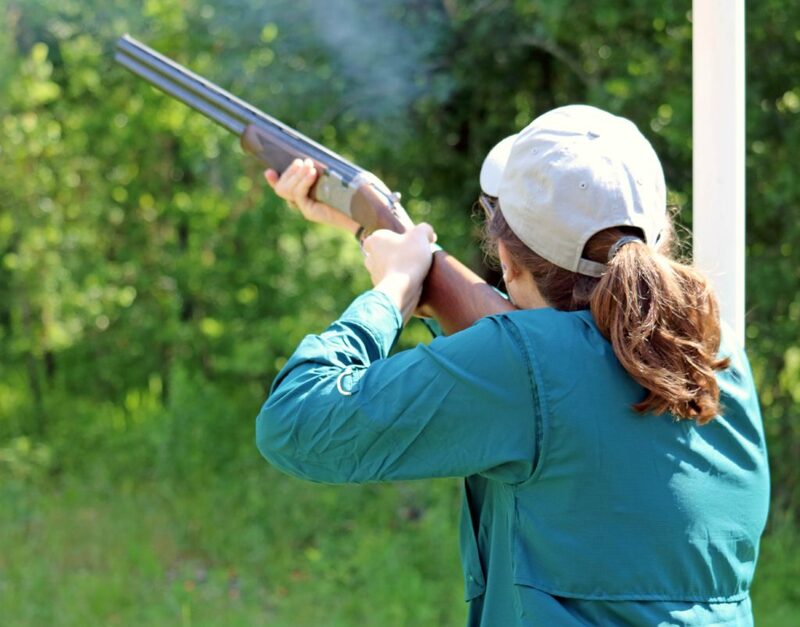 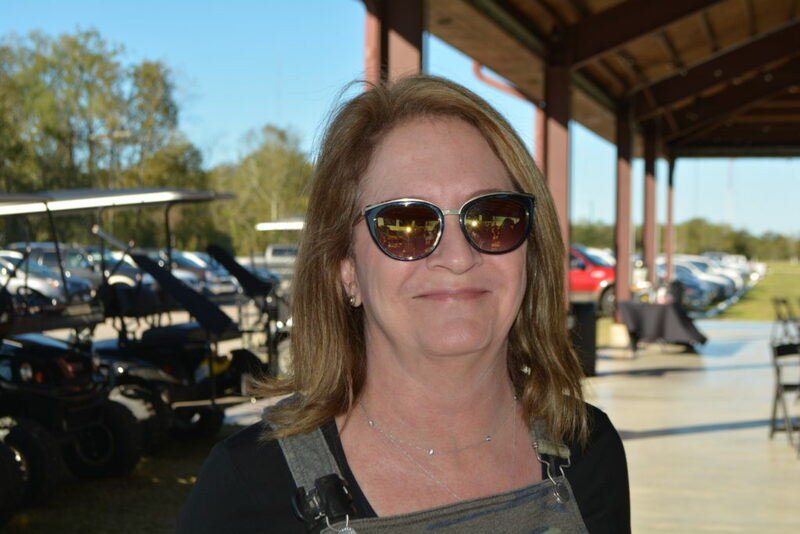 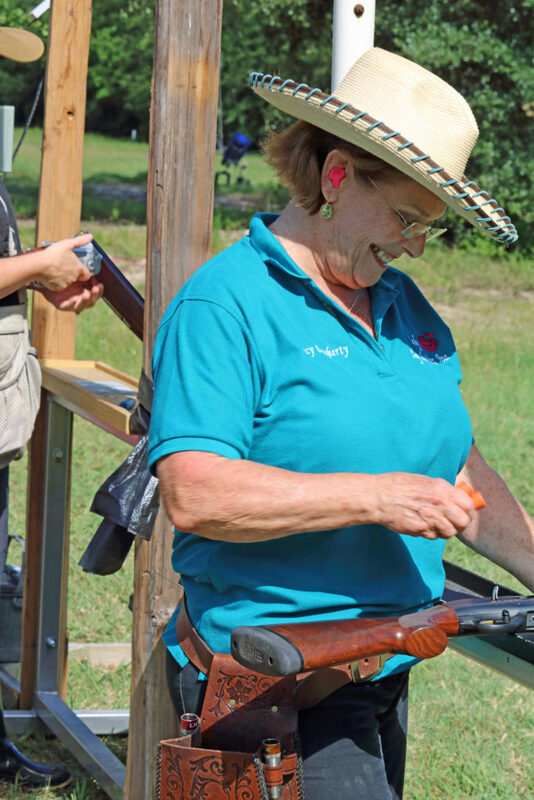 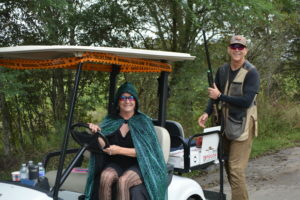 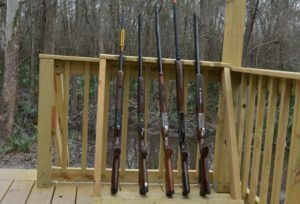 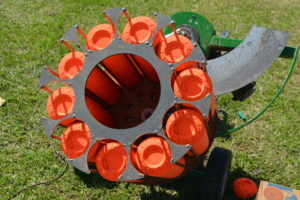 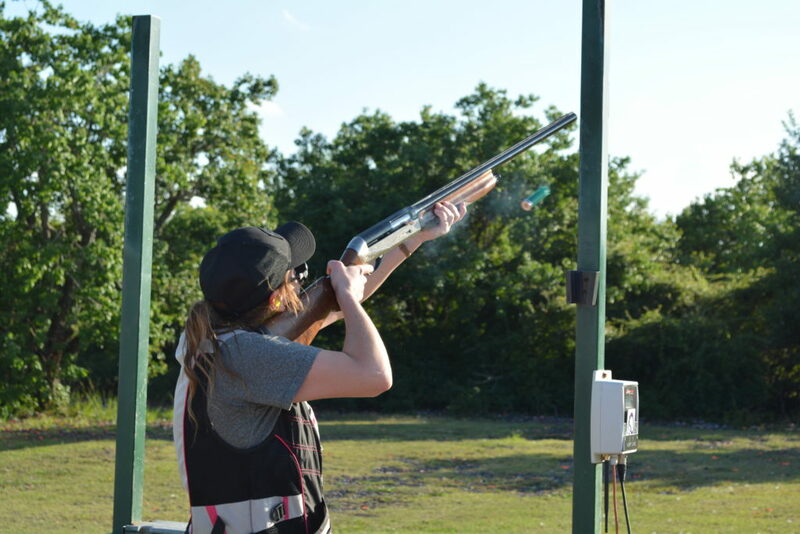 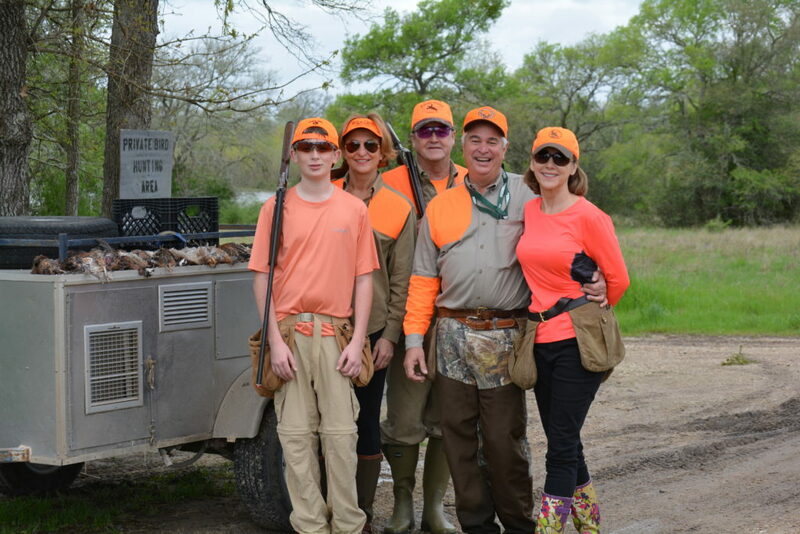 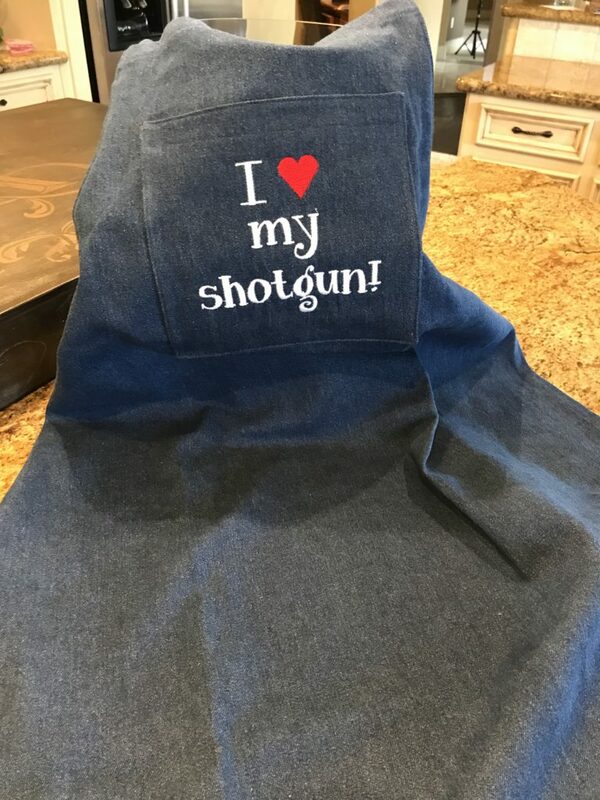 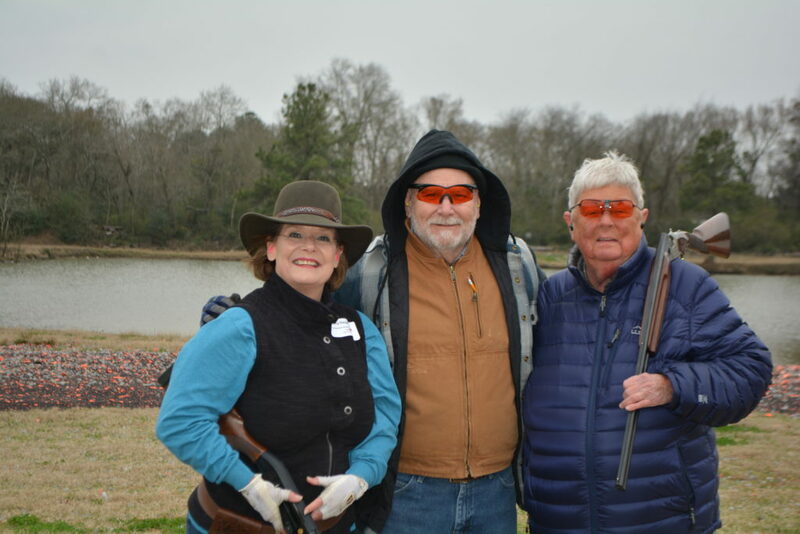 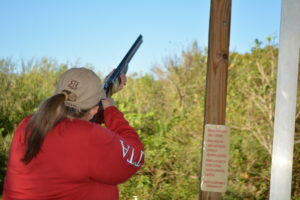 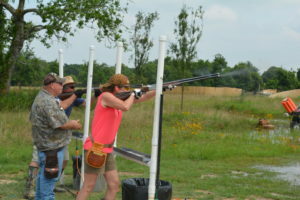 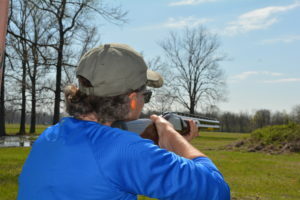 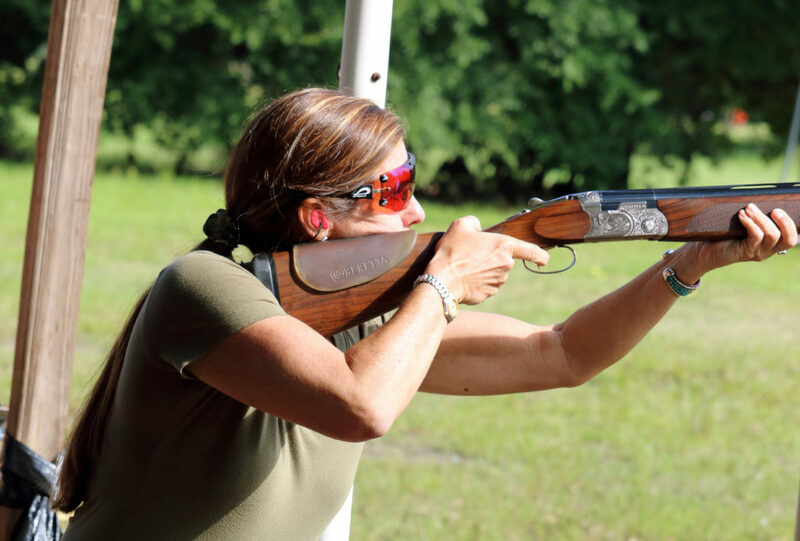 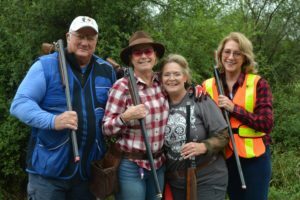 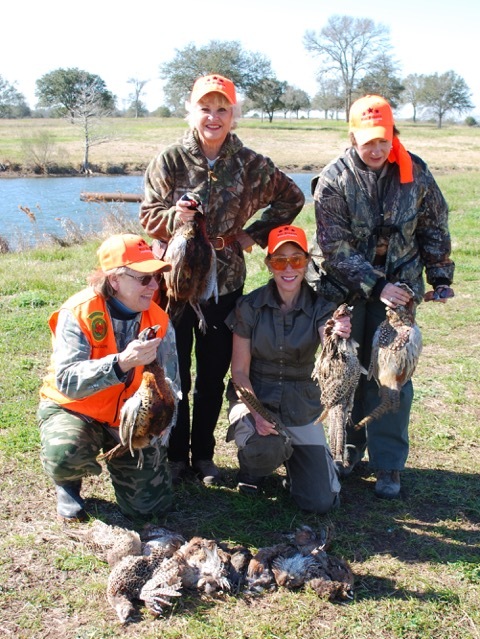 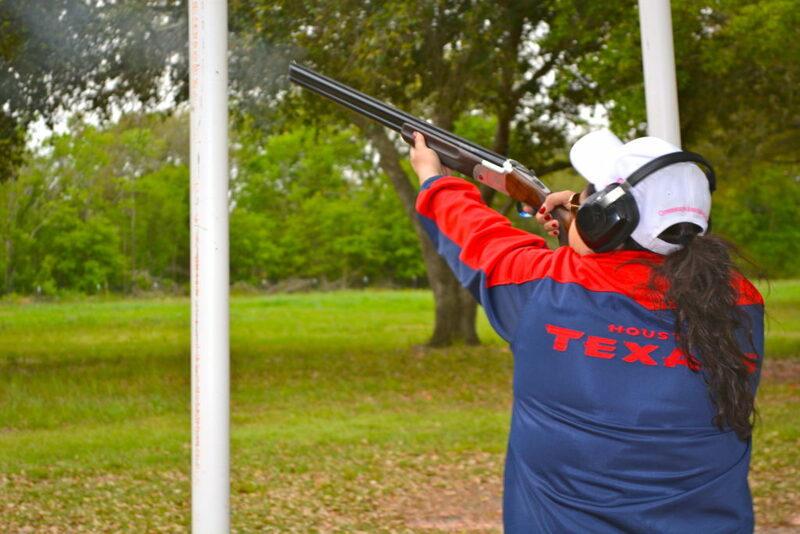 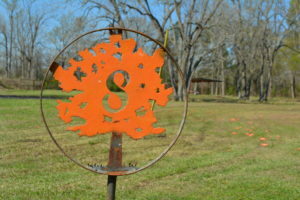 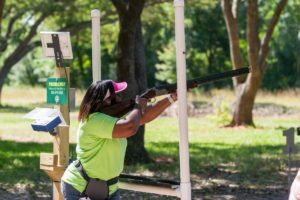 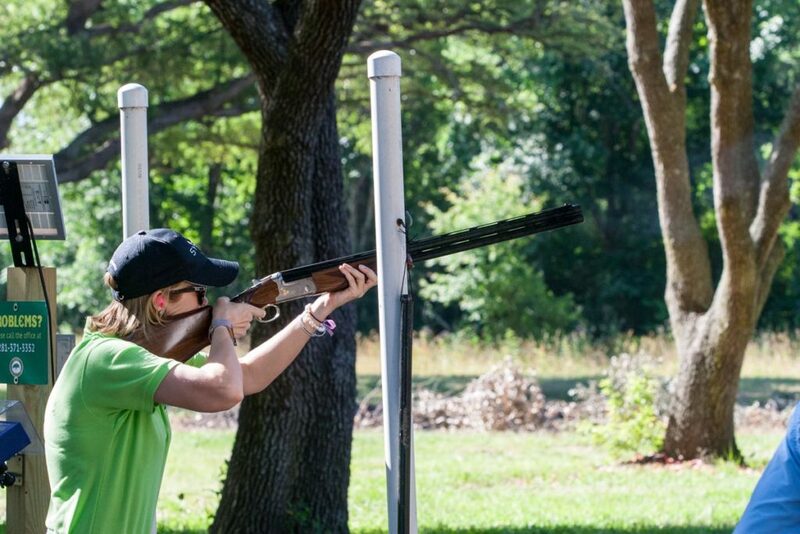 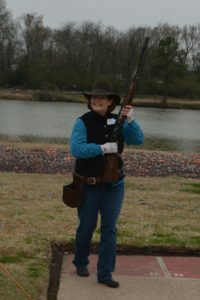 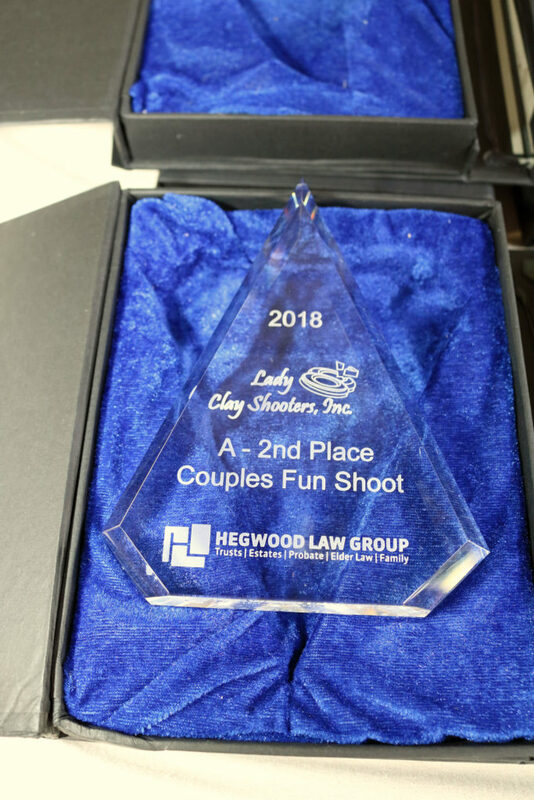 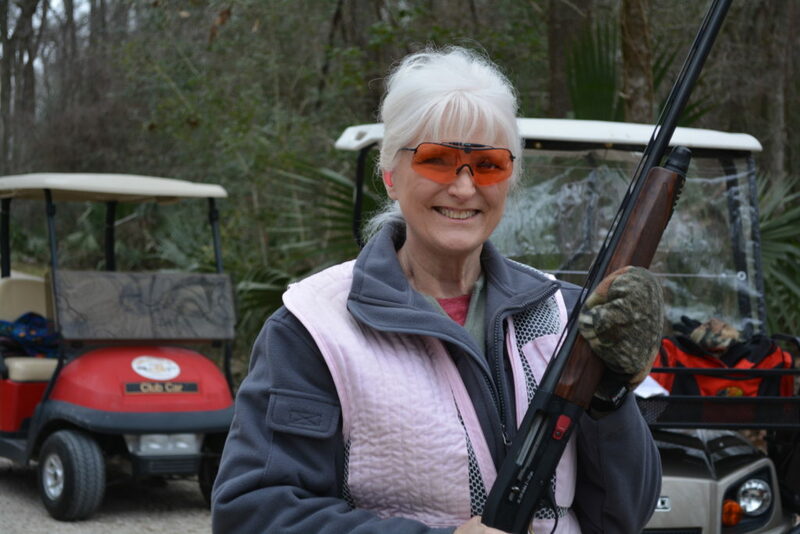 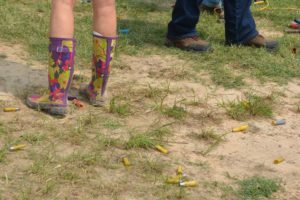 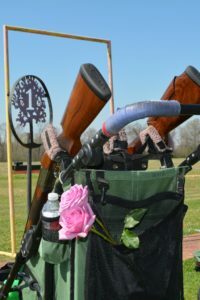 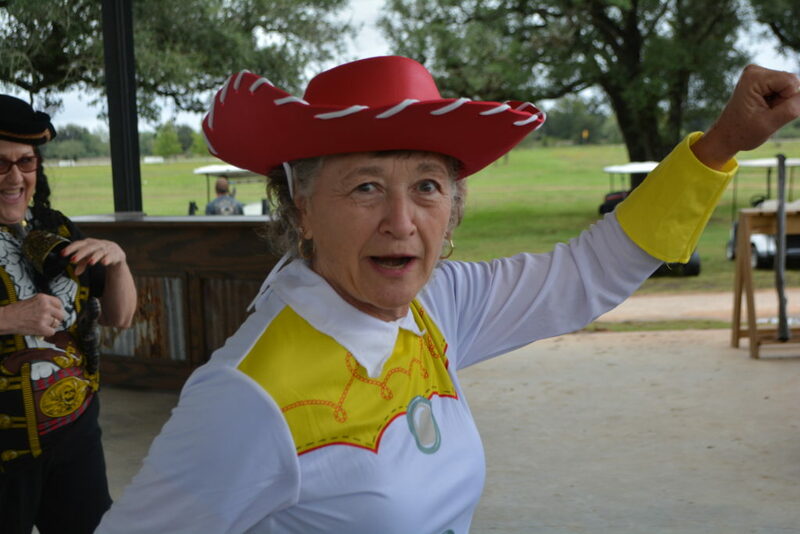 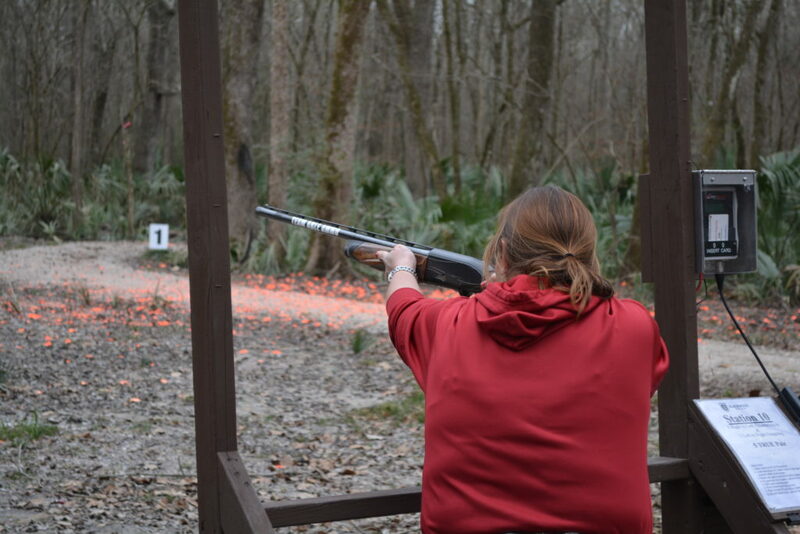 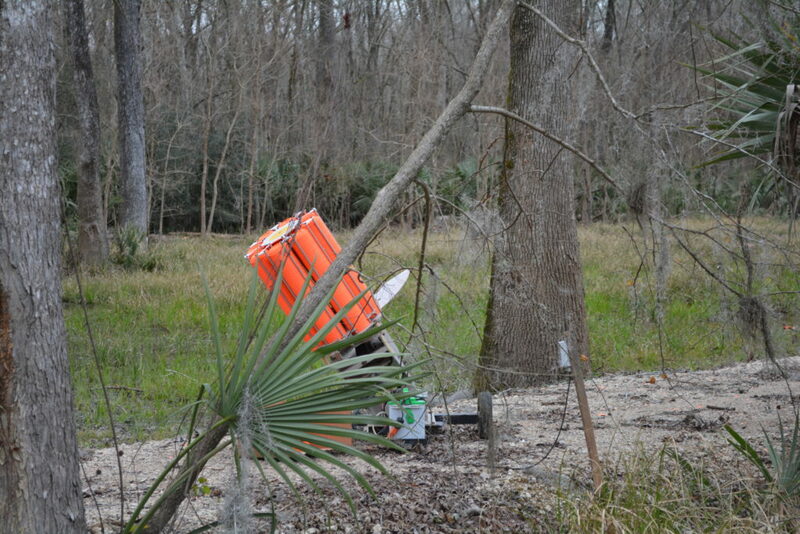 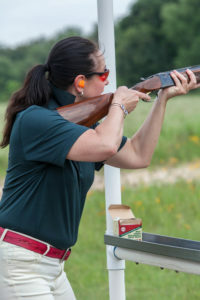 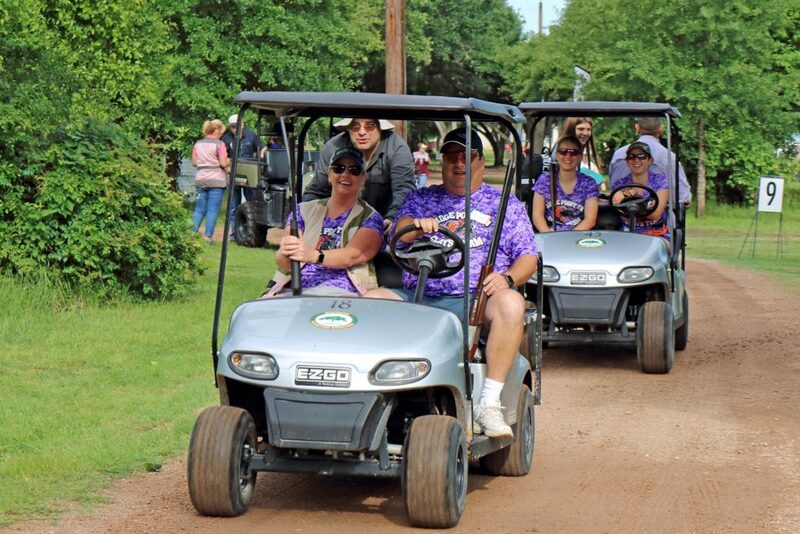 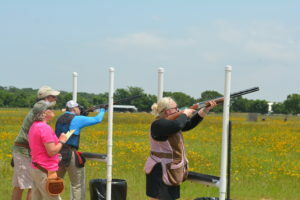 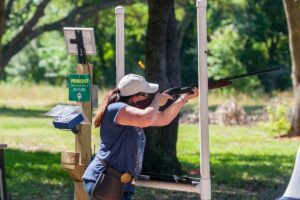 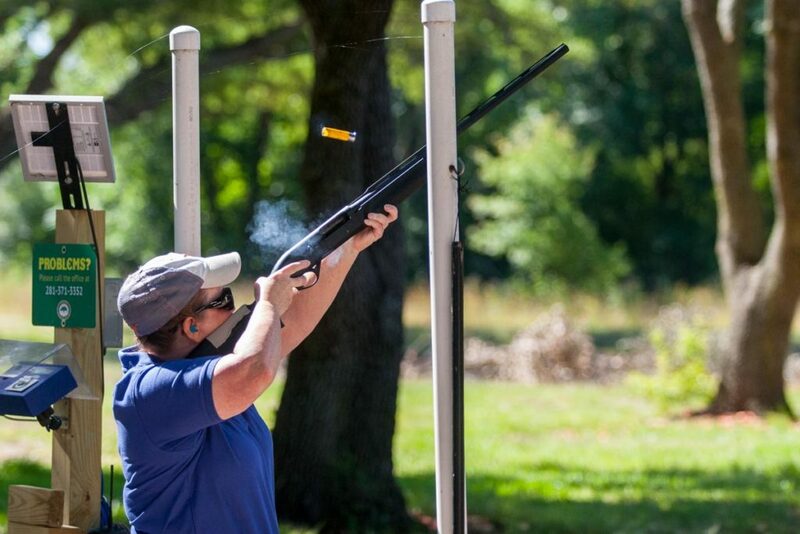 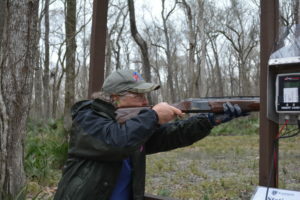 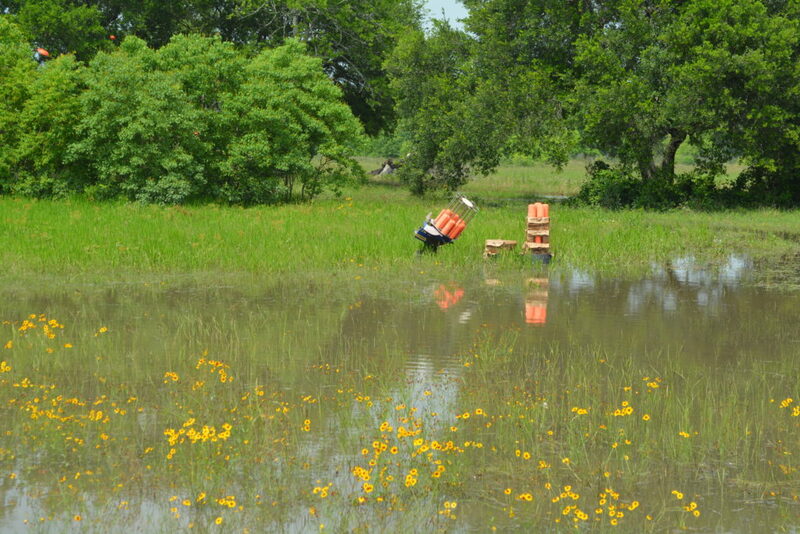 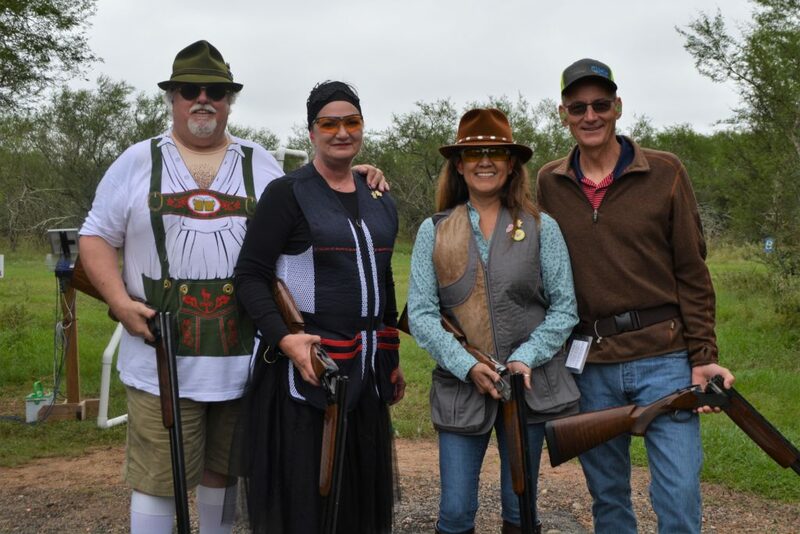 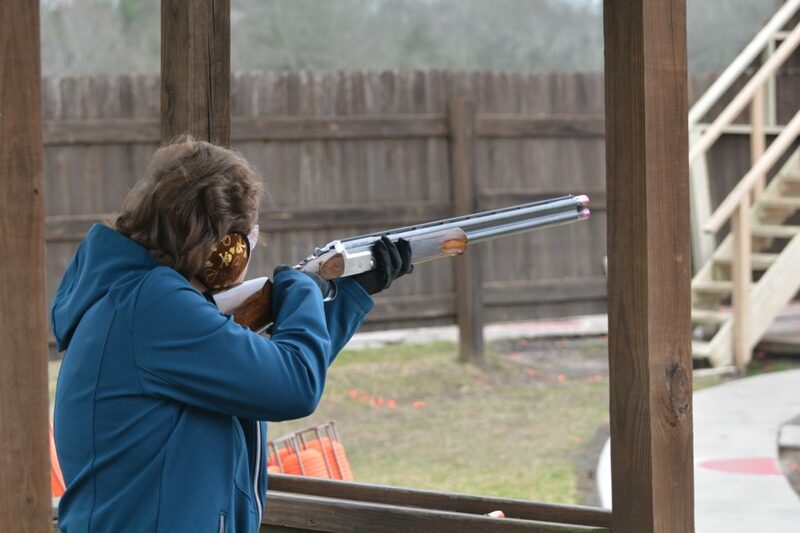 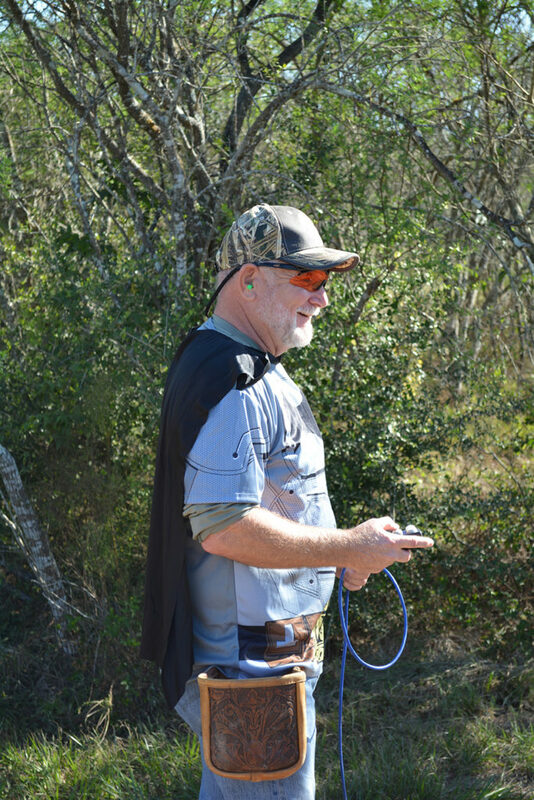 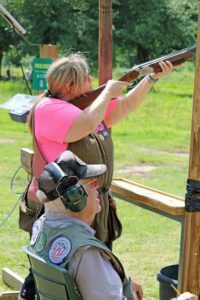 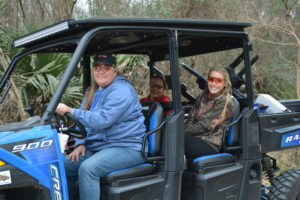 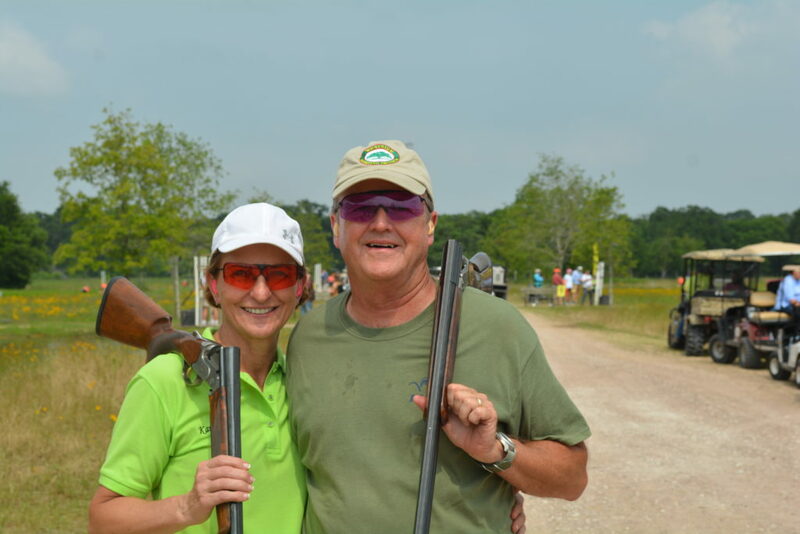 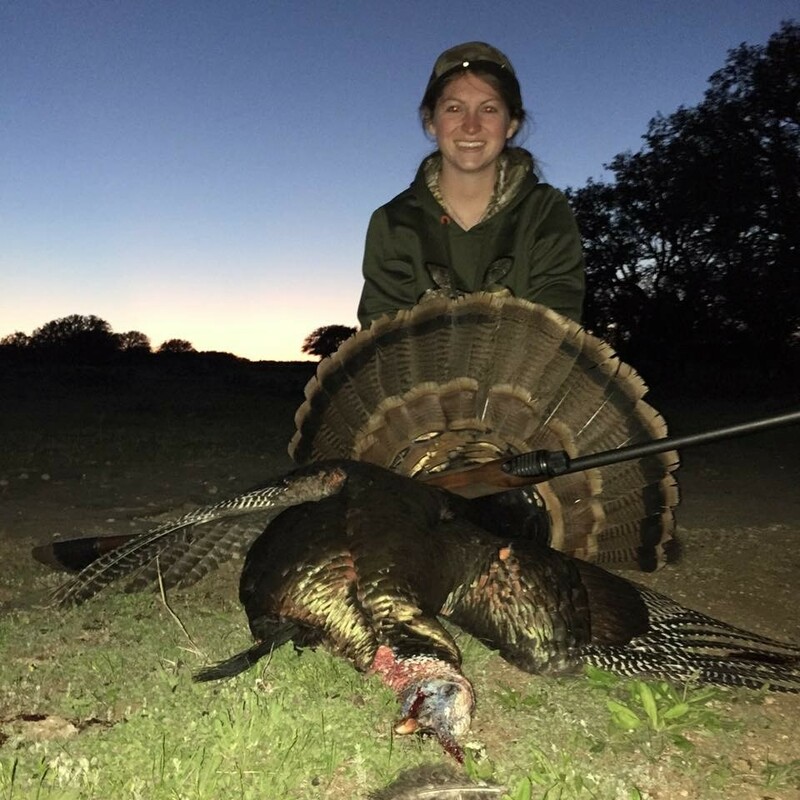 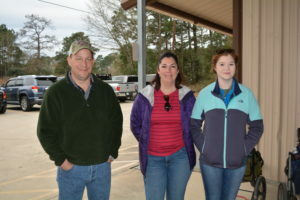 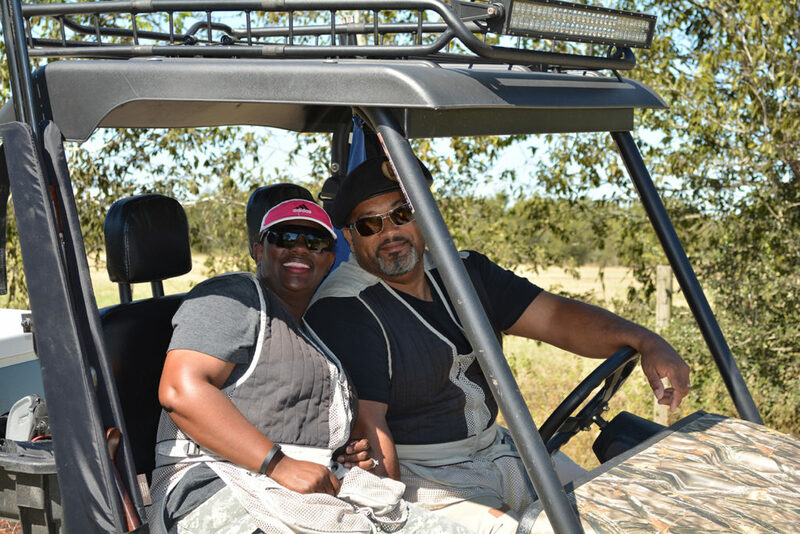 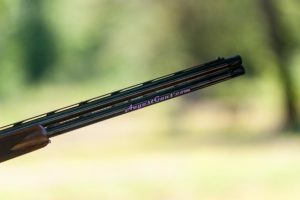 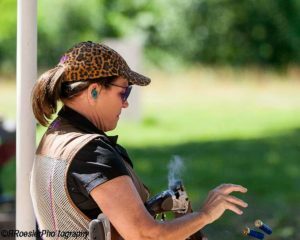 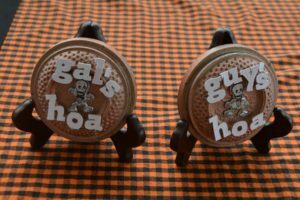 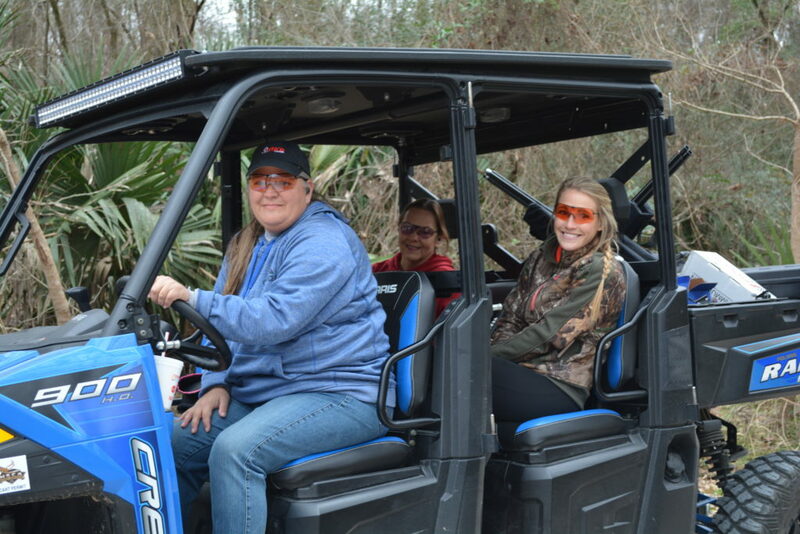 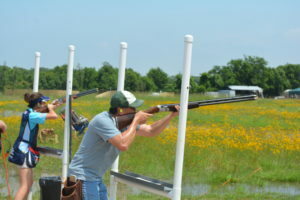 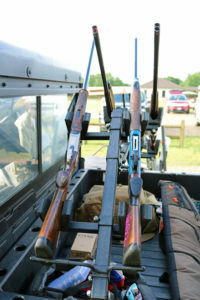 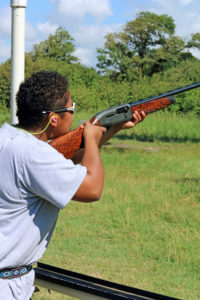 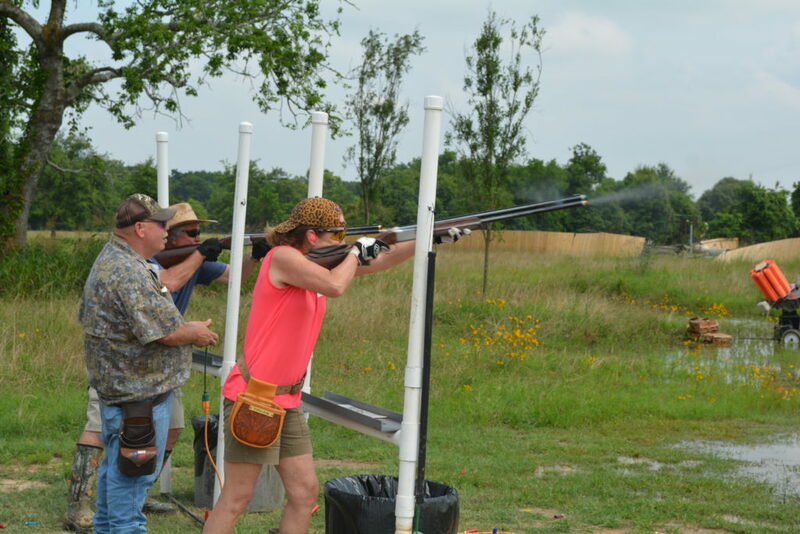 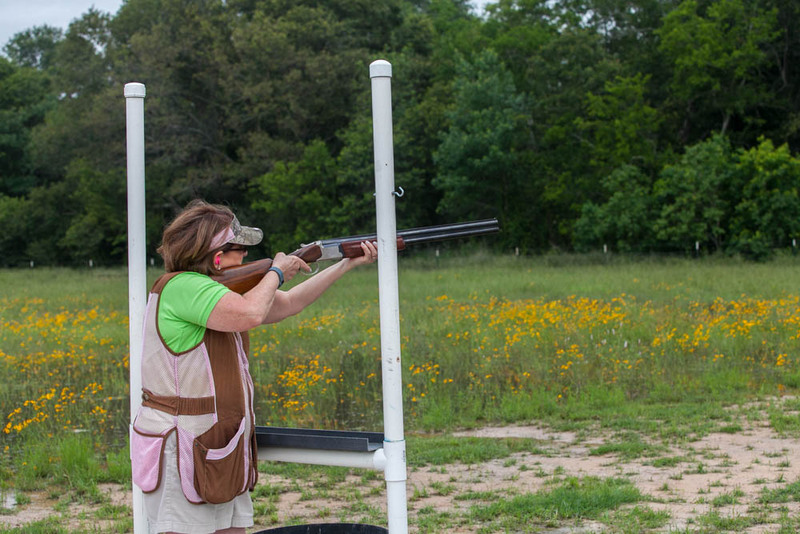 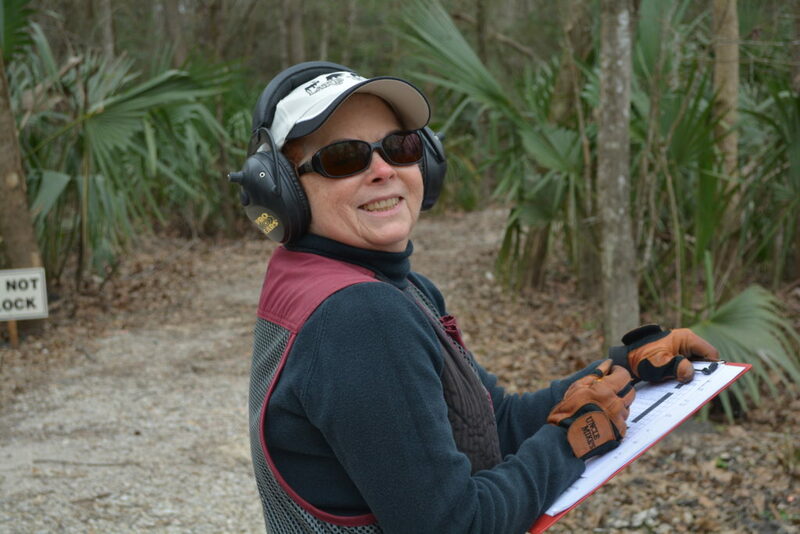 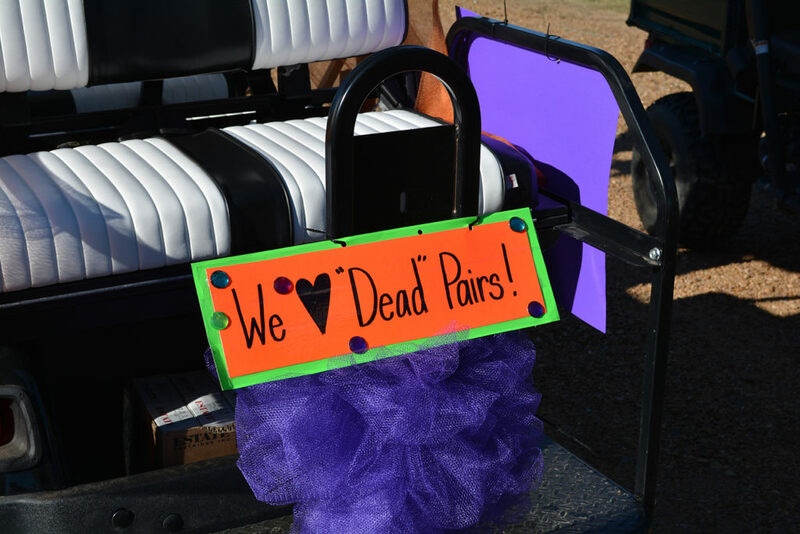 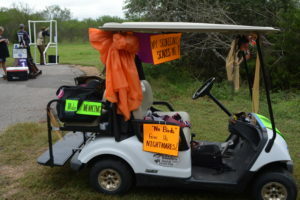 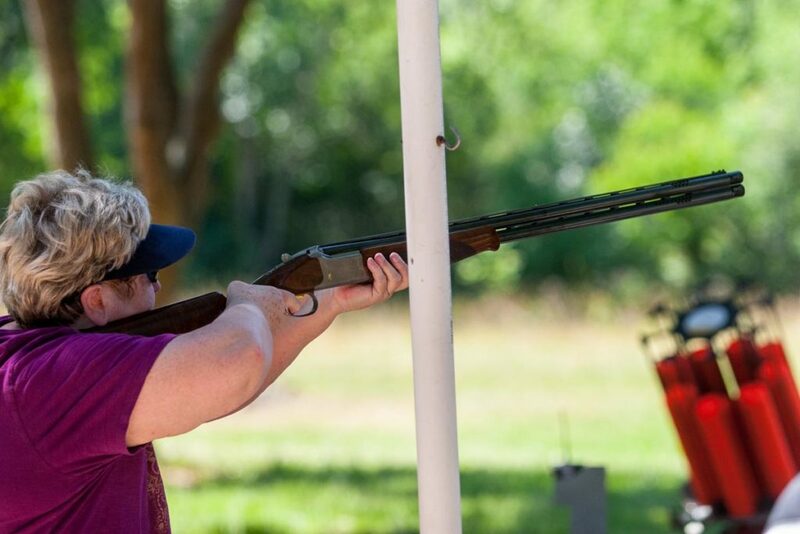 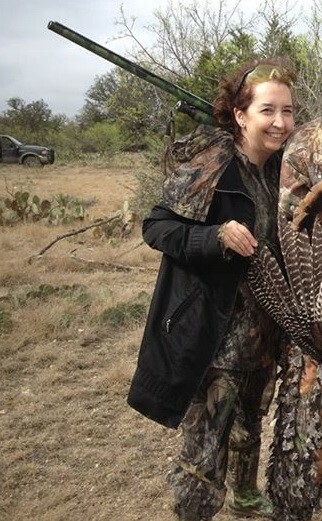 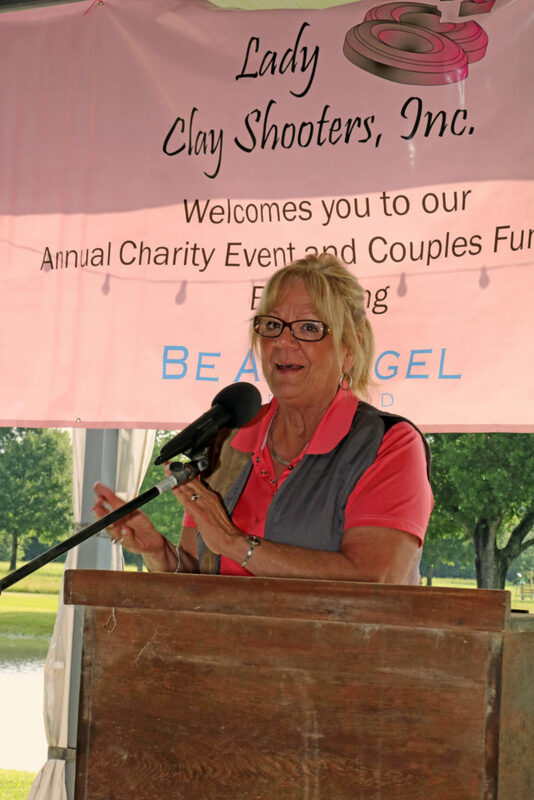 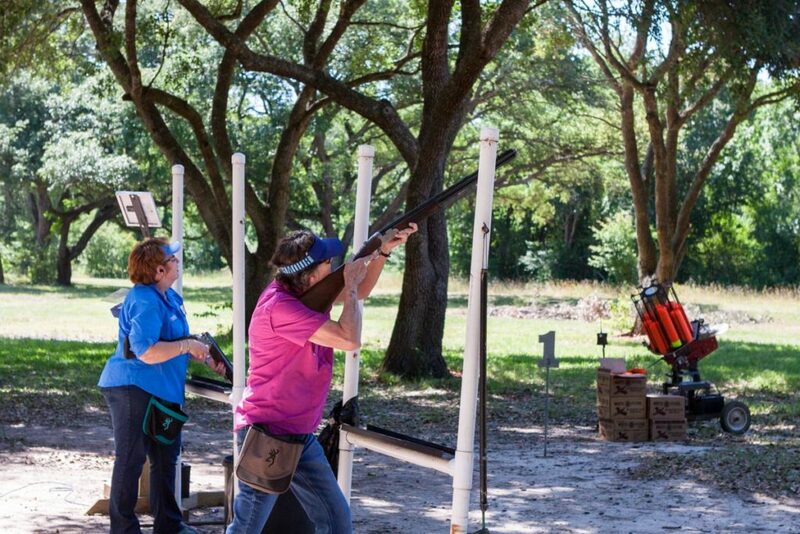 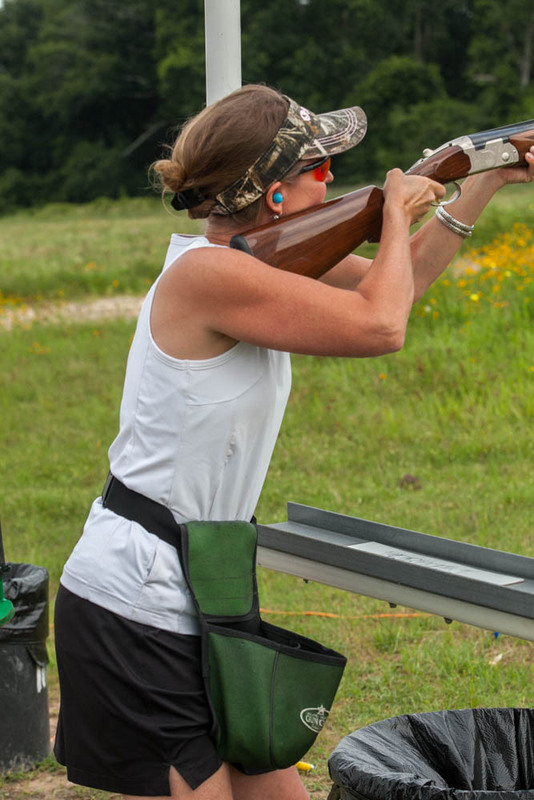 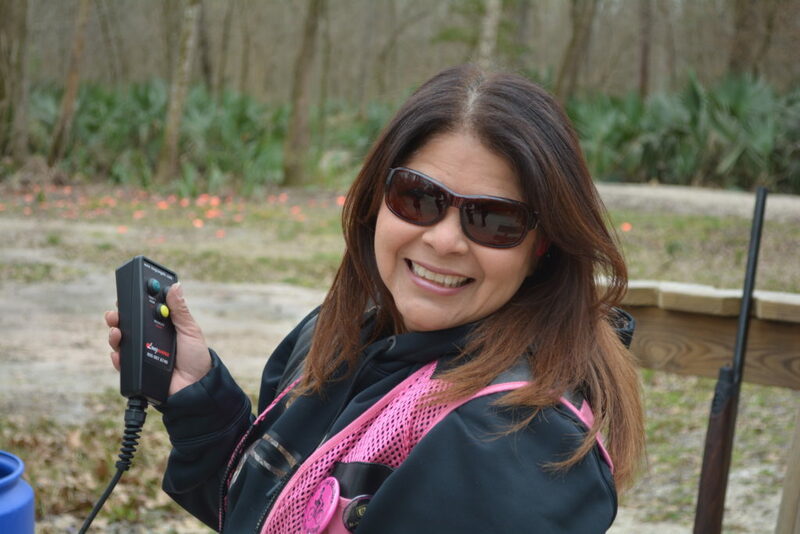 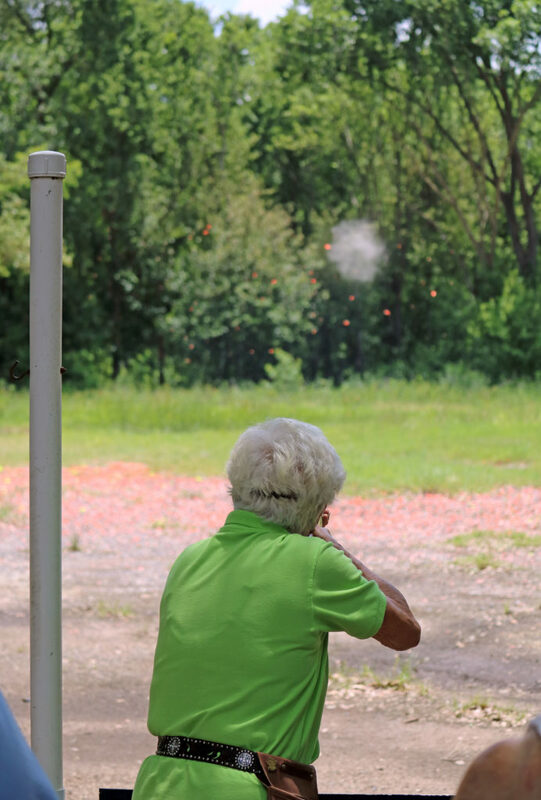 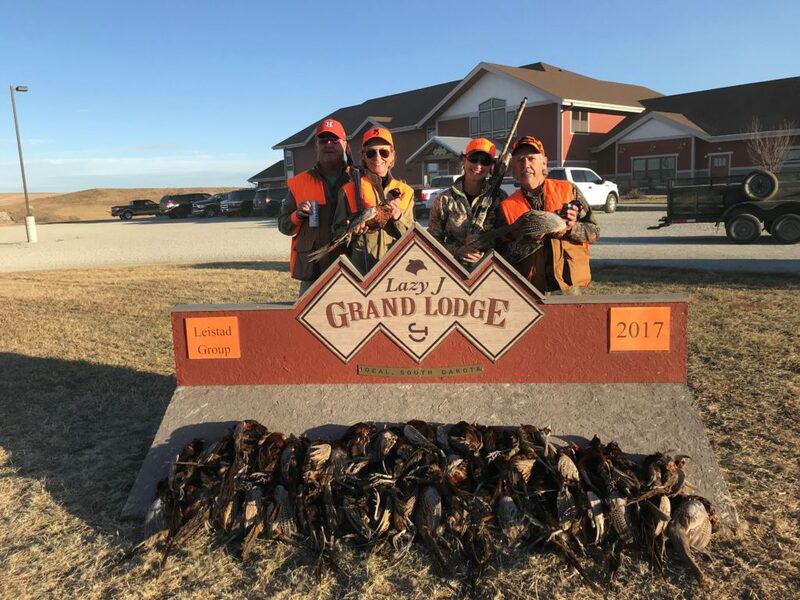 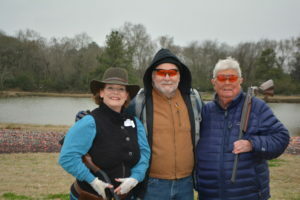 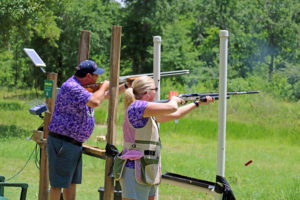 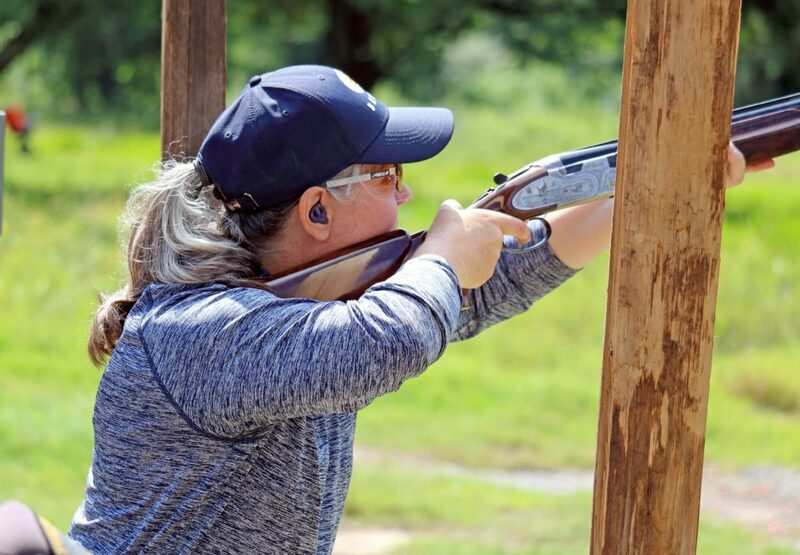 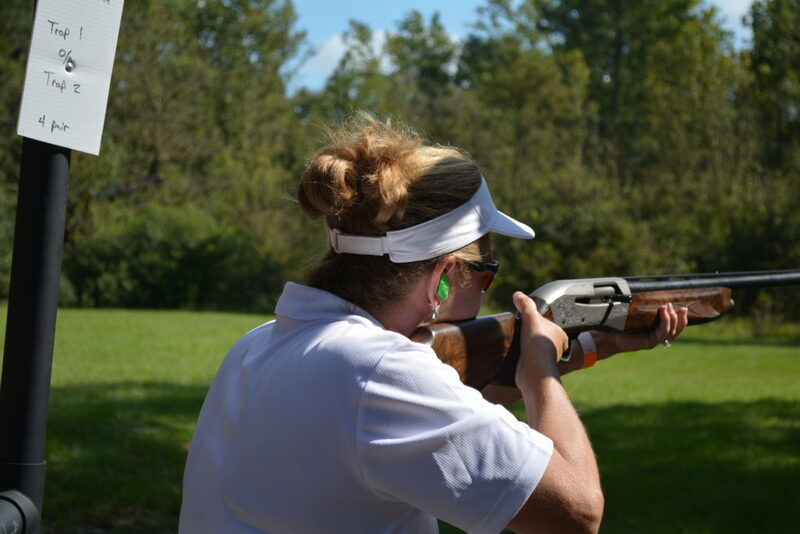 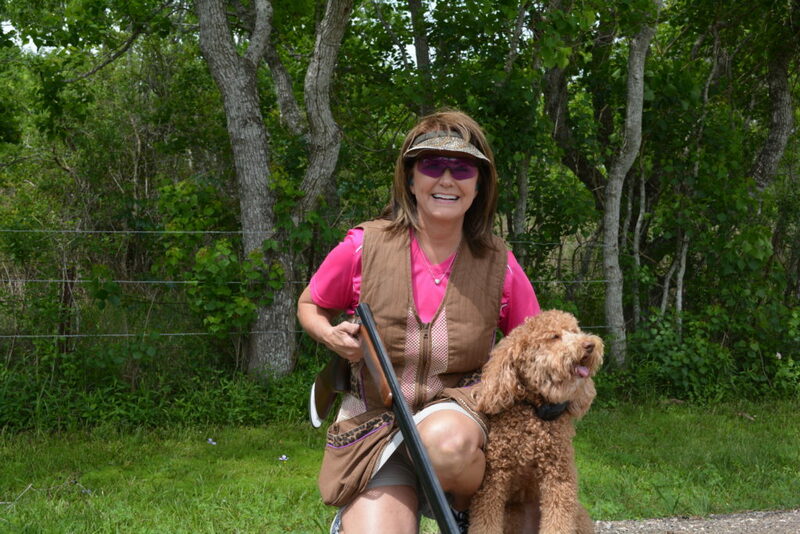 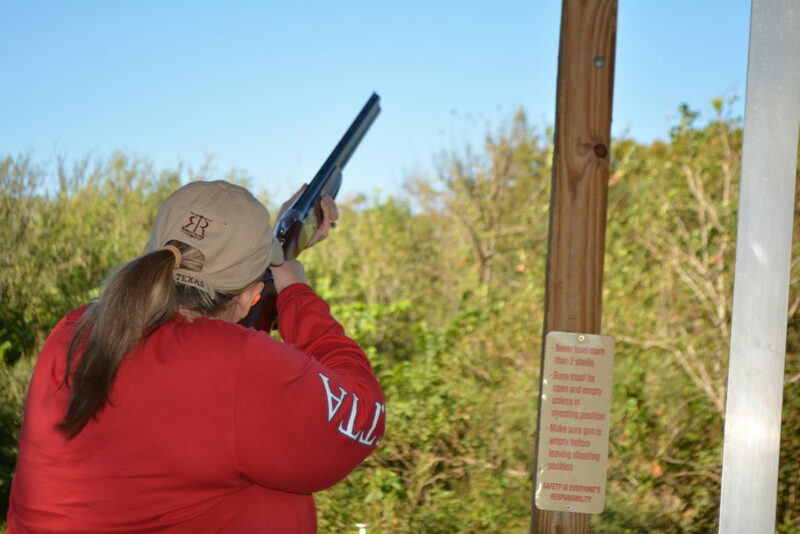 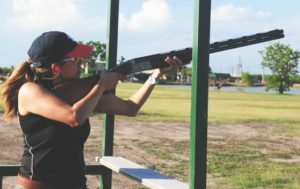 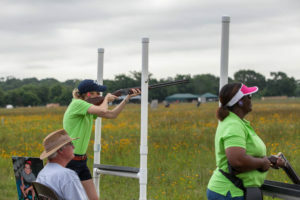 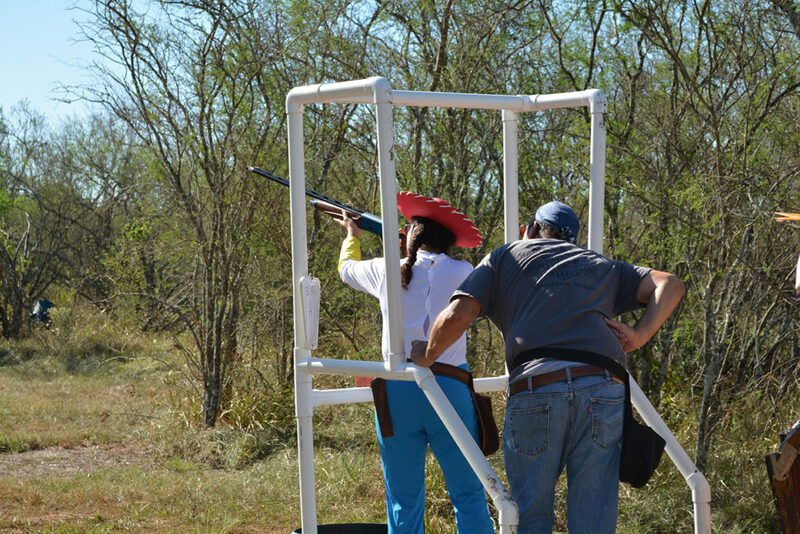 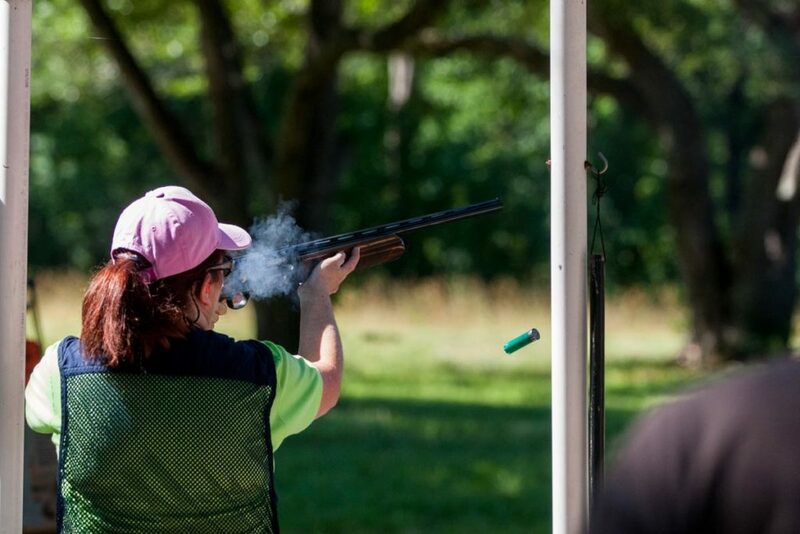 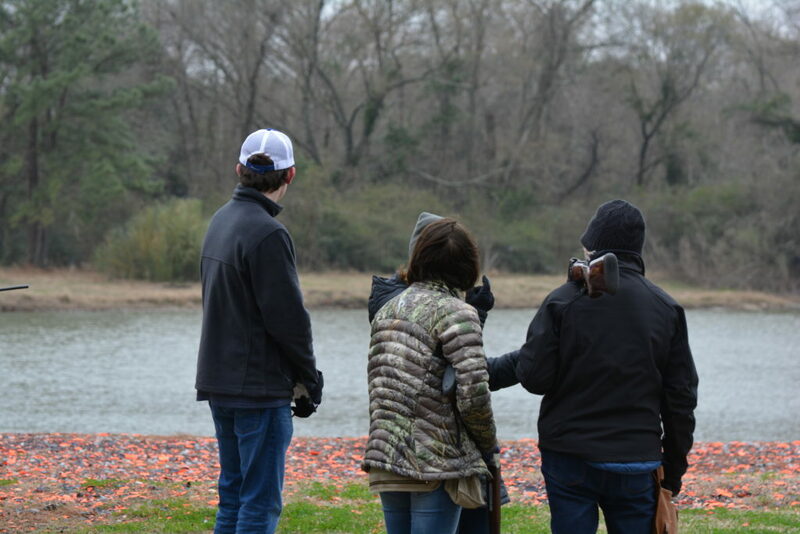 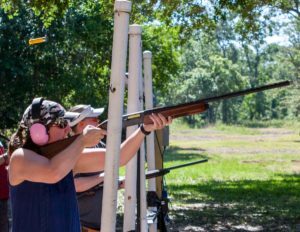 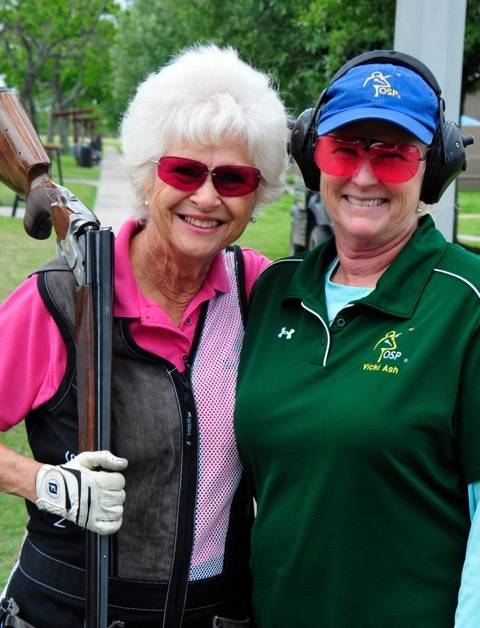 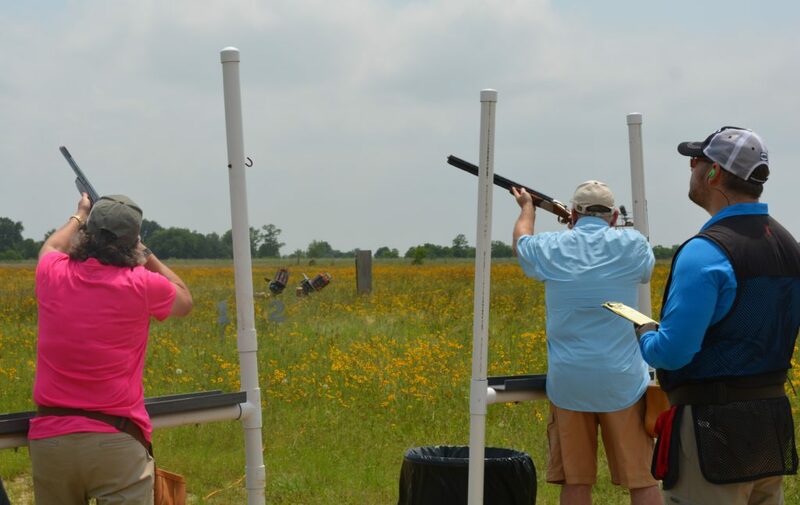 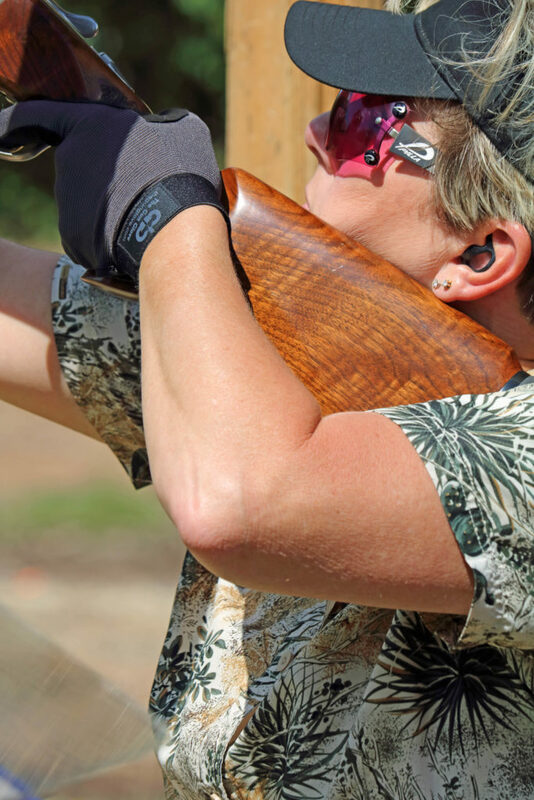 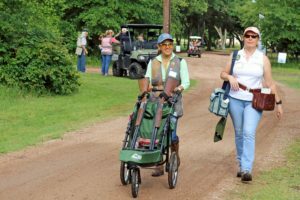 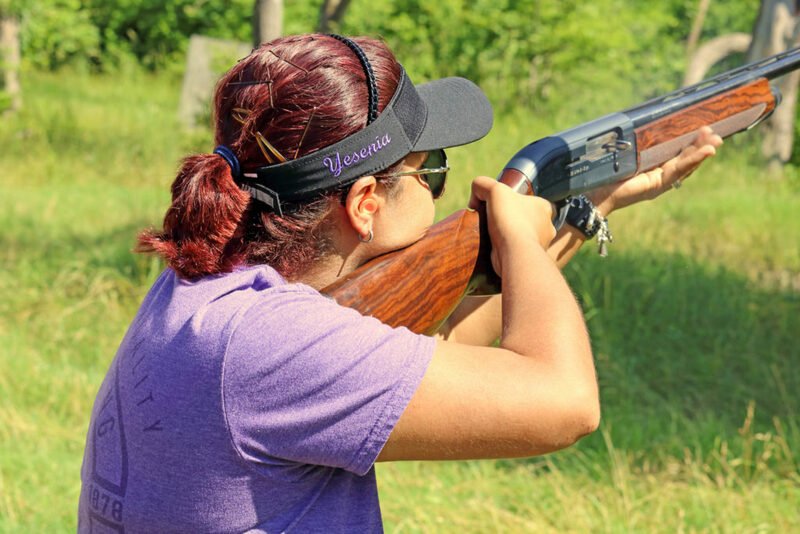 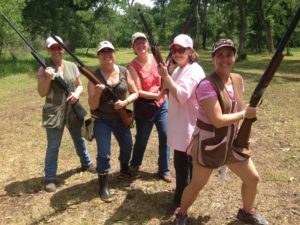 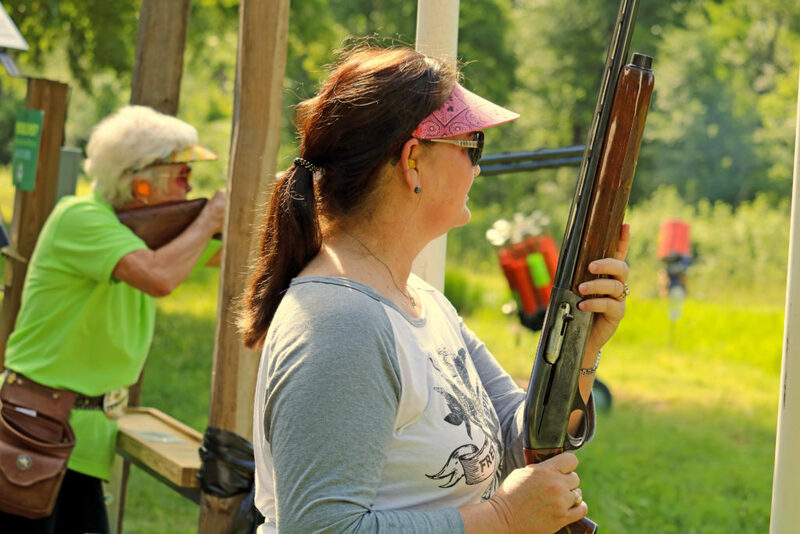 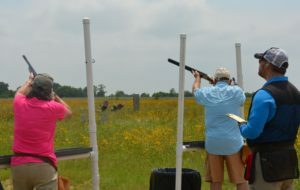 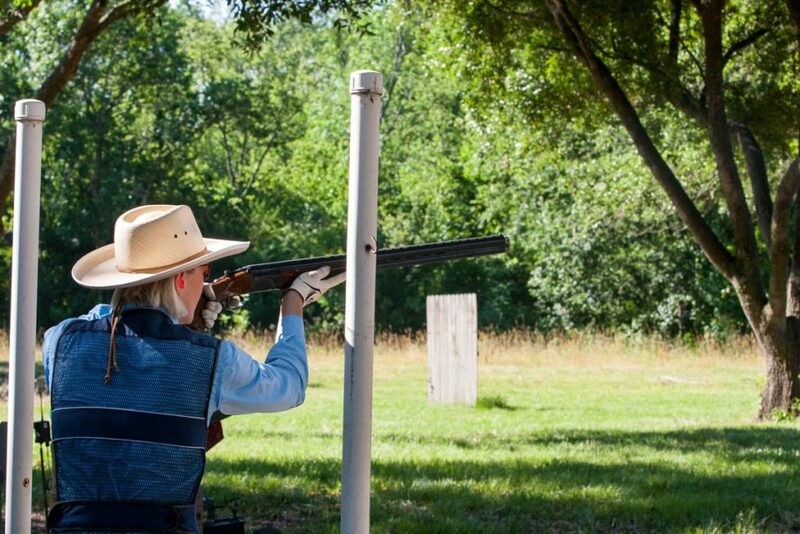 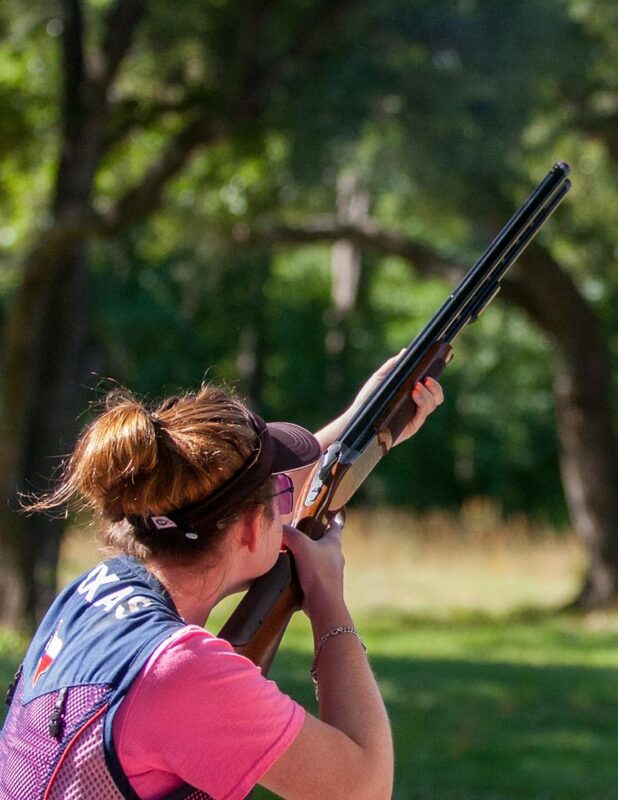 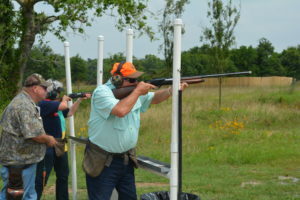 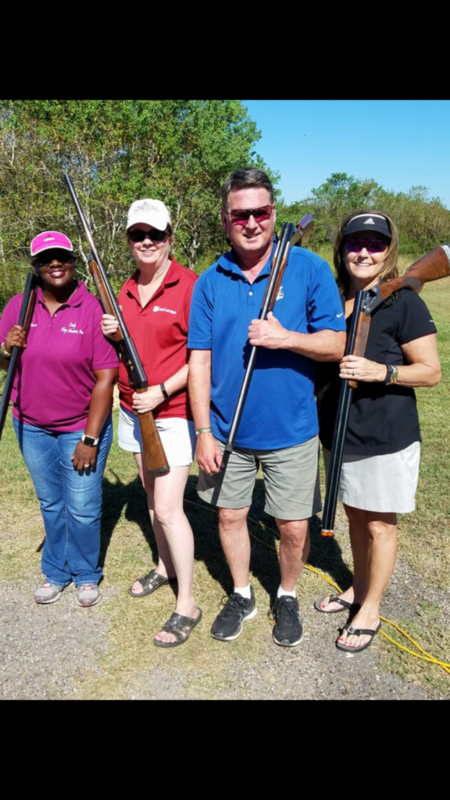 Whether you are an experienced shooter or a novice, Lady Clay Shooters welcomes you and has a place for you. 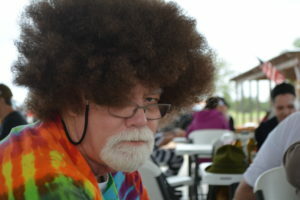 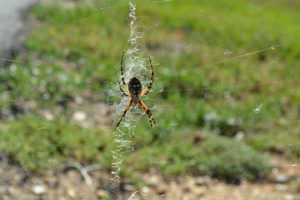 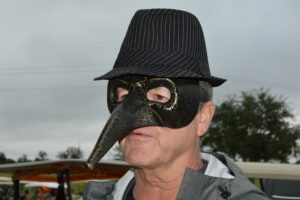 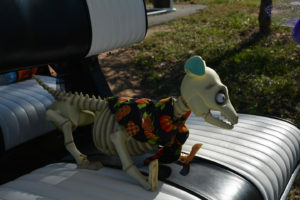 If you are new to the group, you won’t be for long! 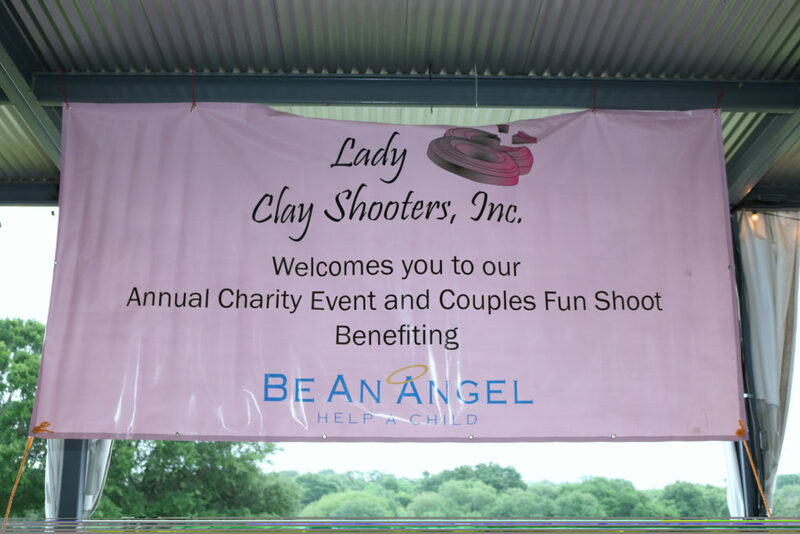 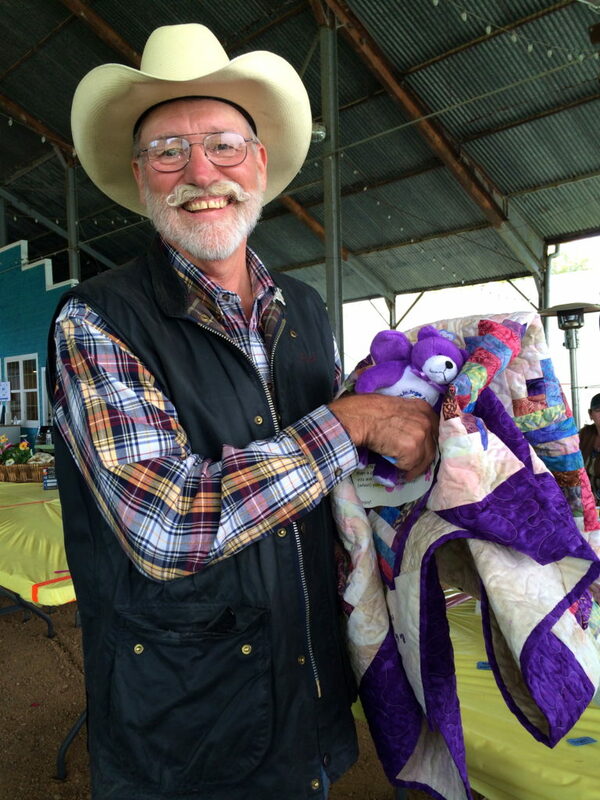 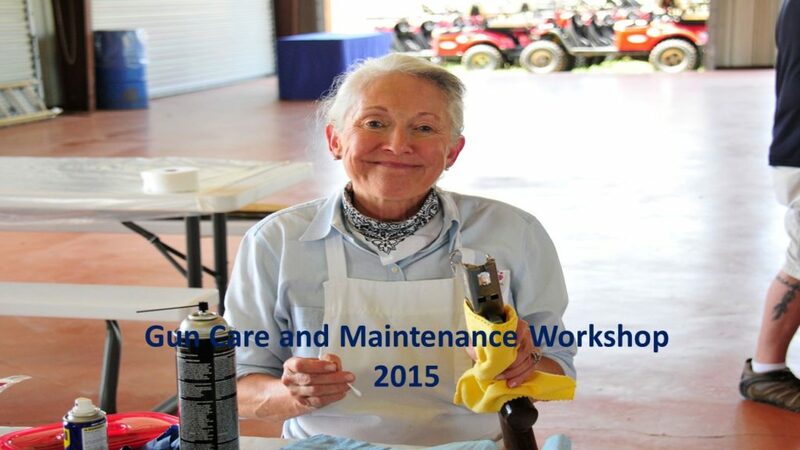 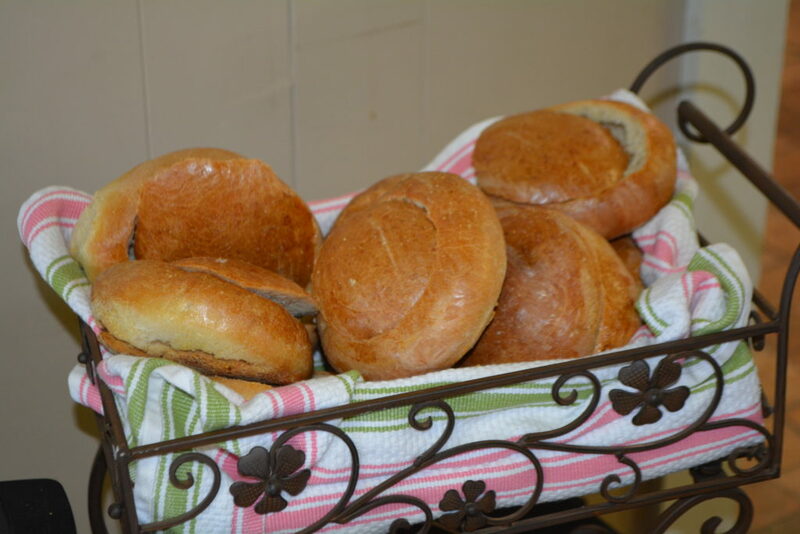 We are a 501(c)(3) Tax Exempt Organization. 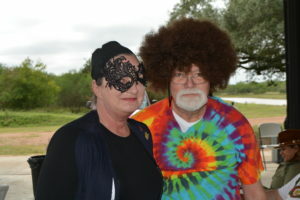 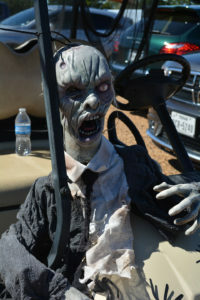 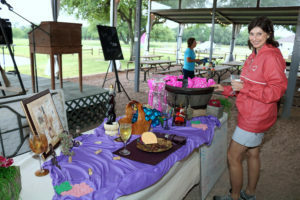 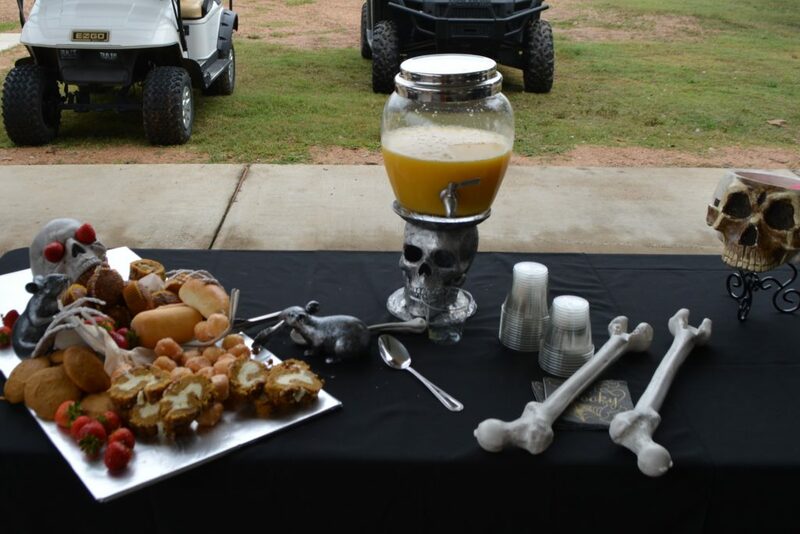 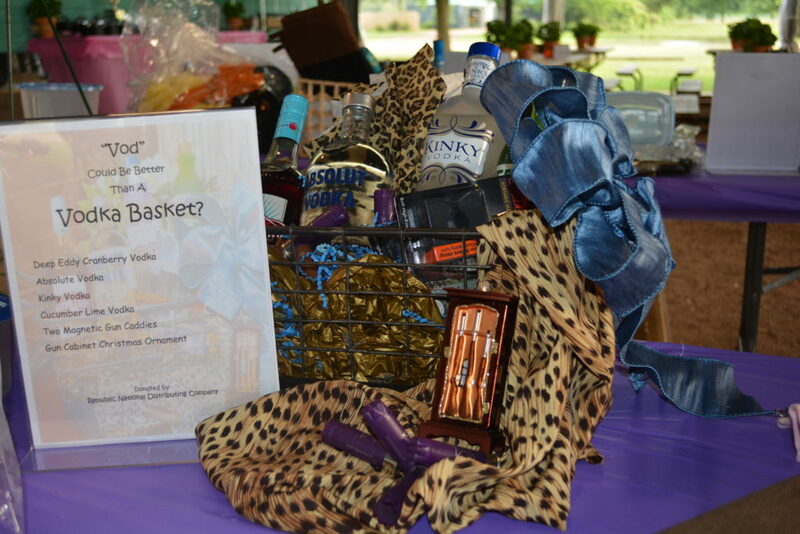 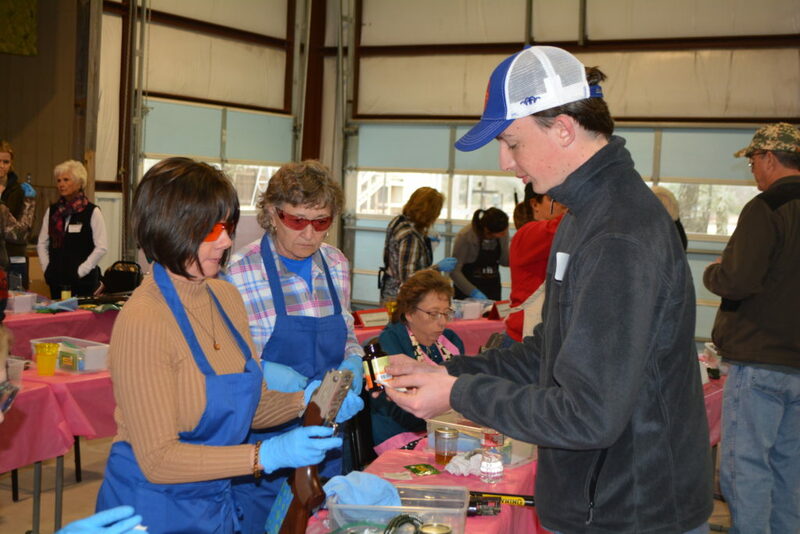 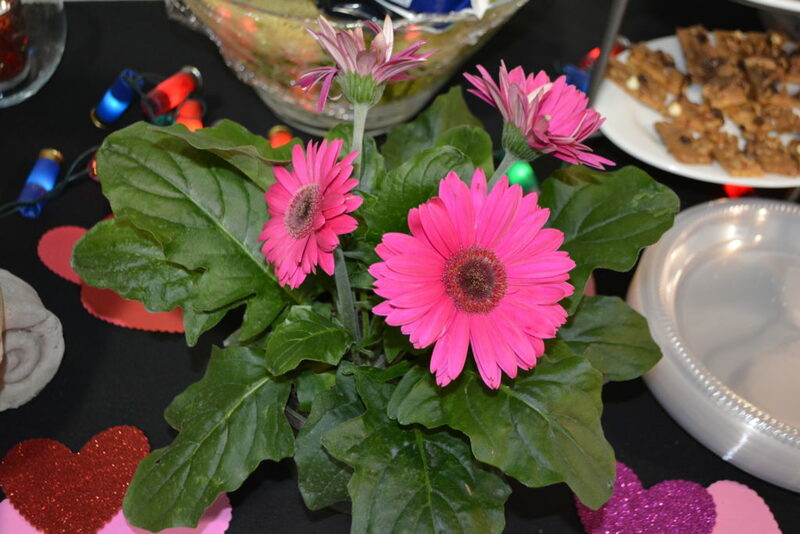 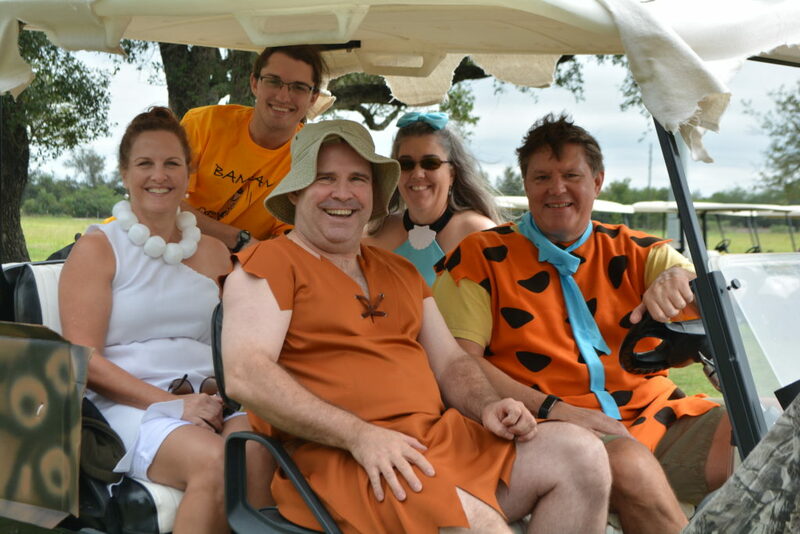 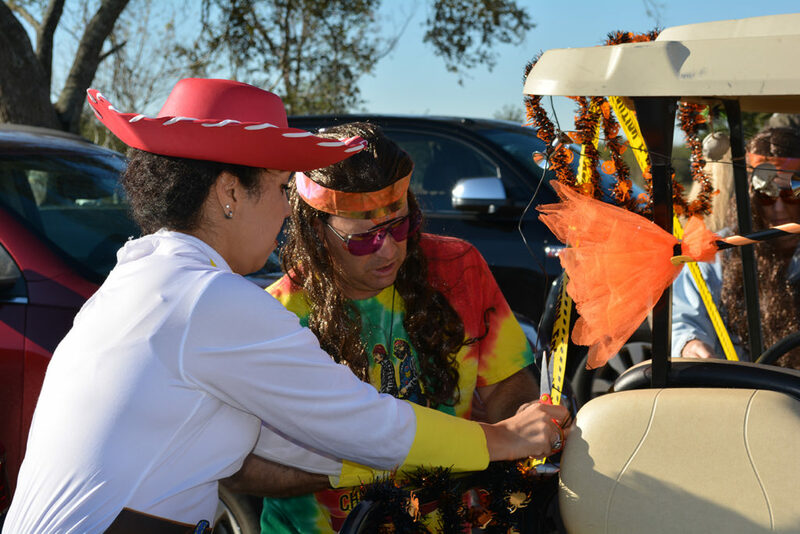 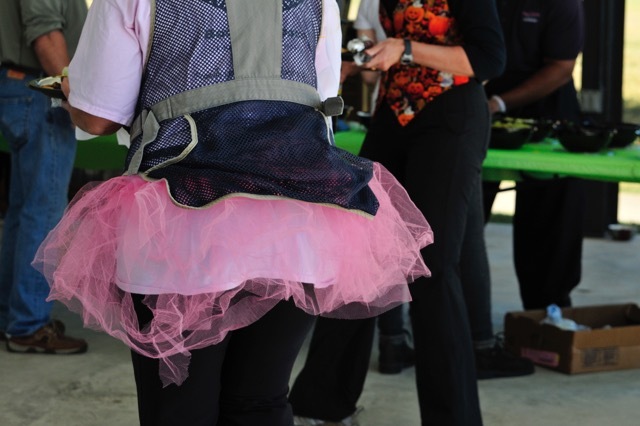 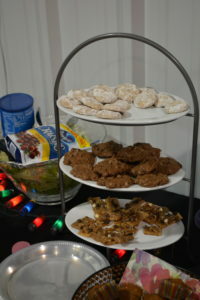 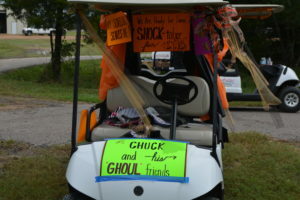 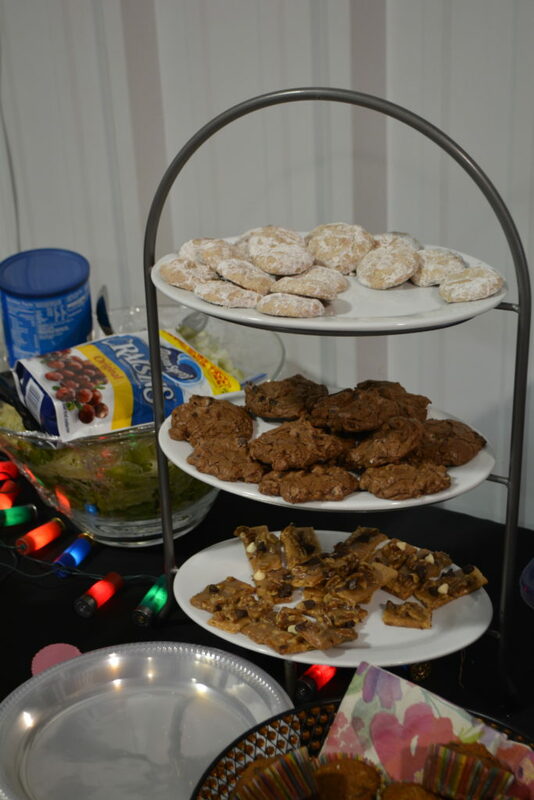 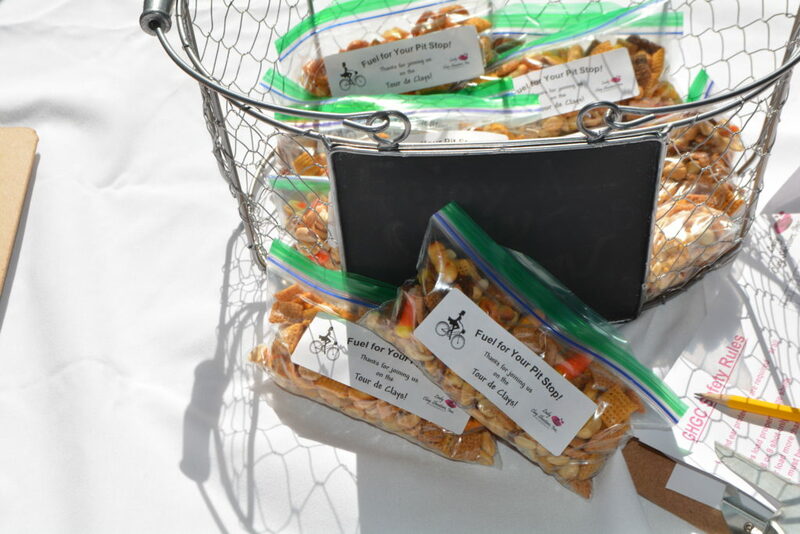 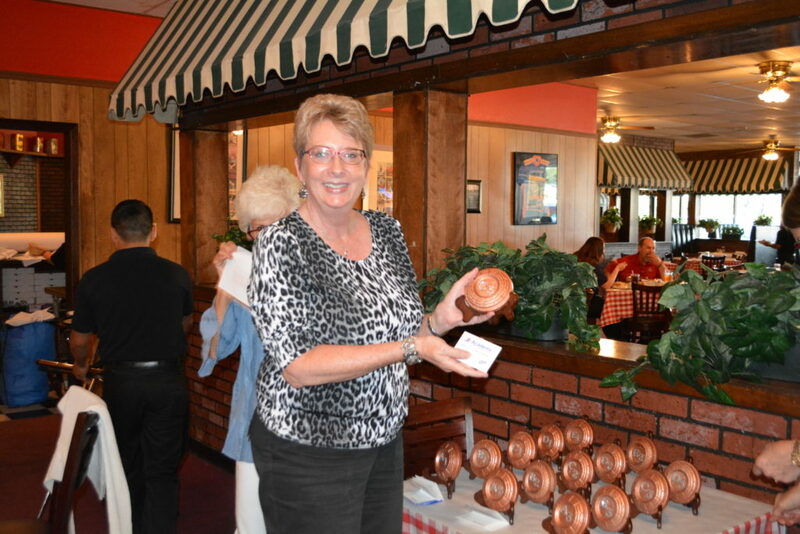 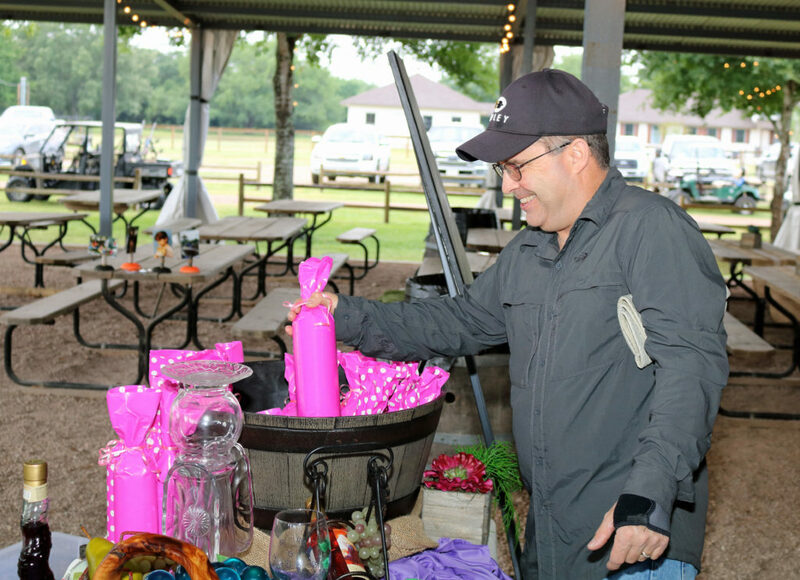 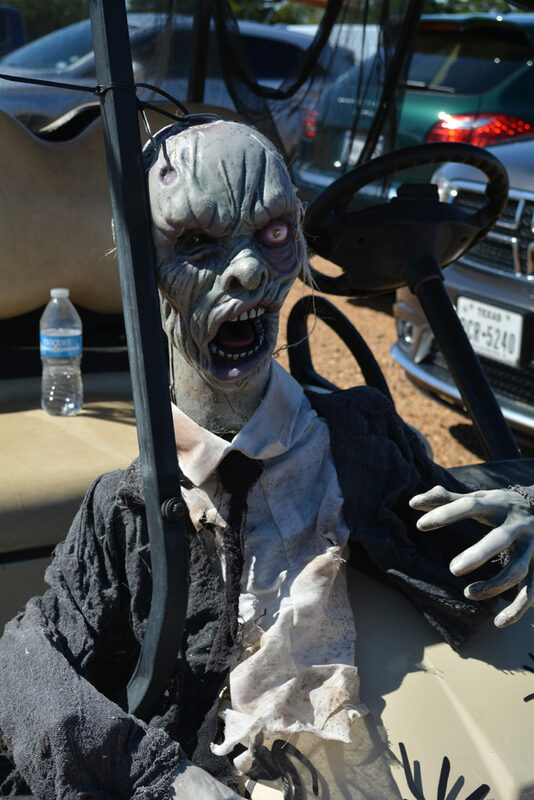 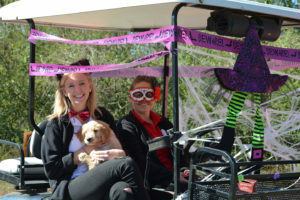 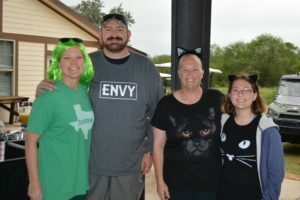 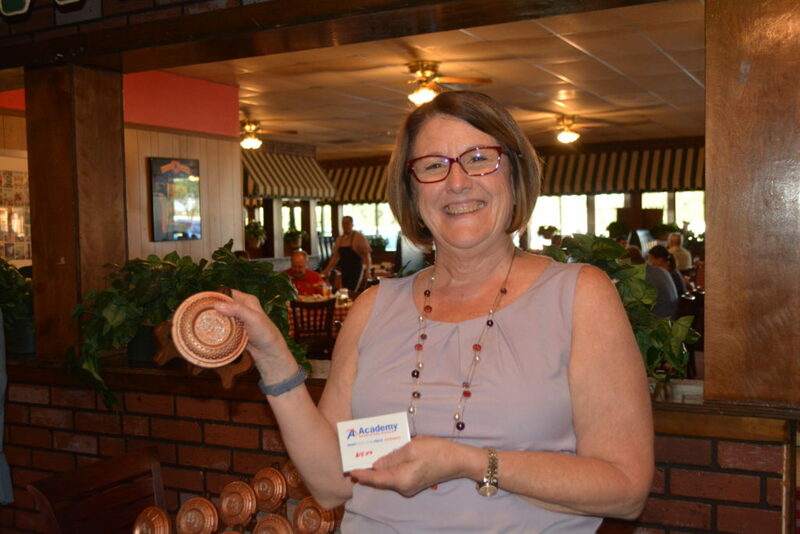 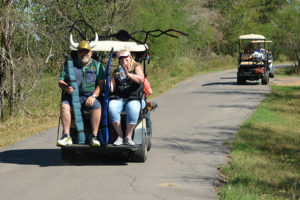 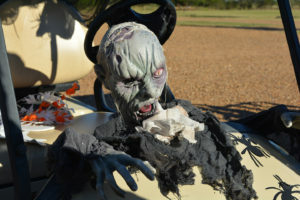 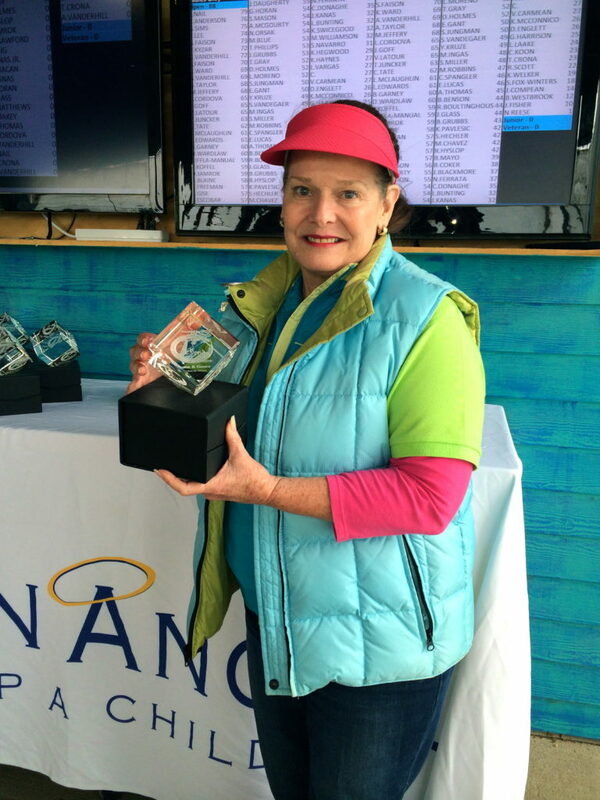 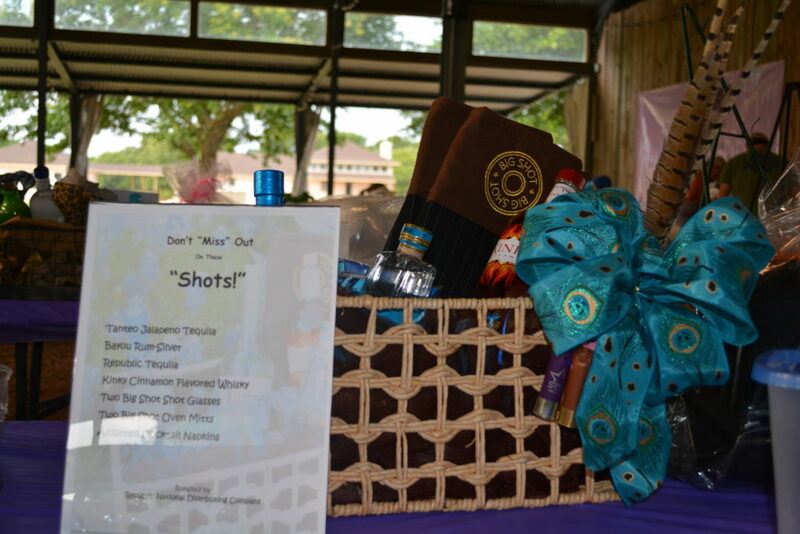 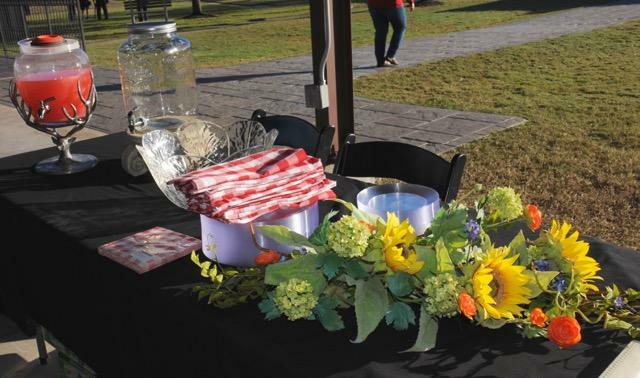 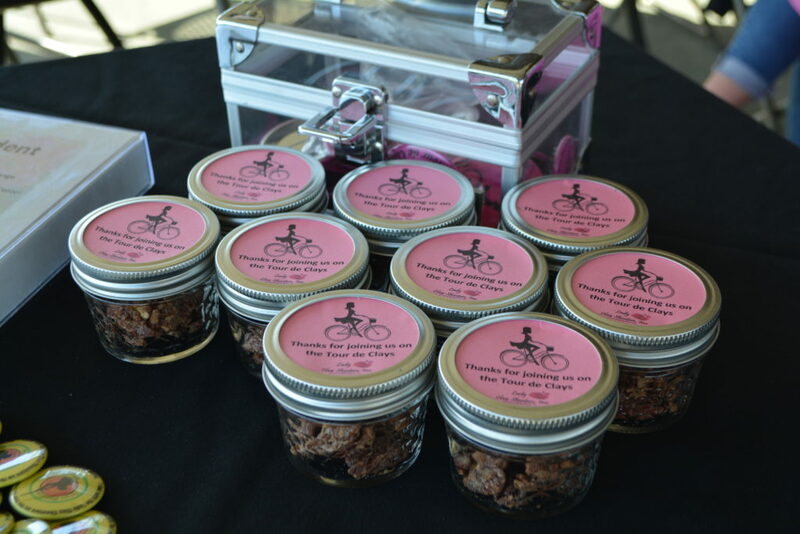 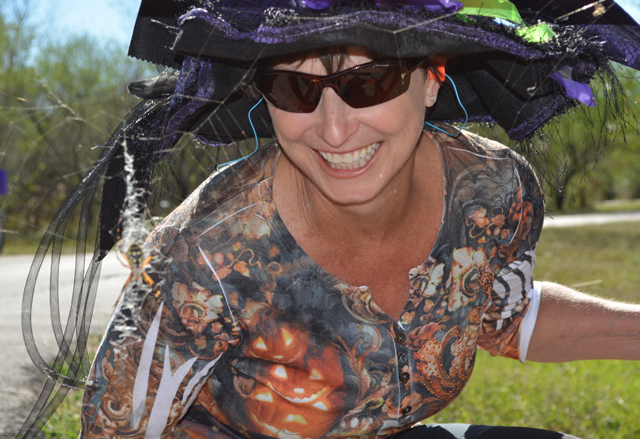 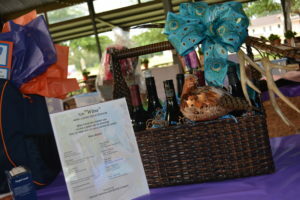 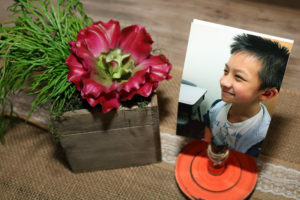 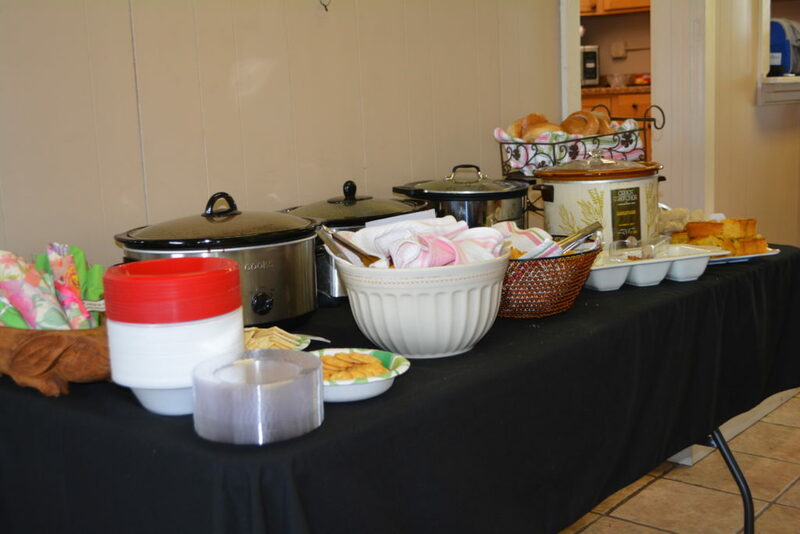 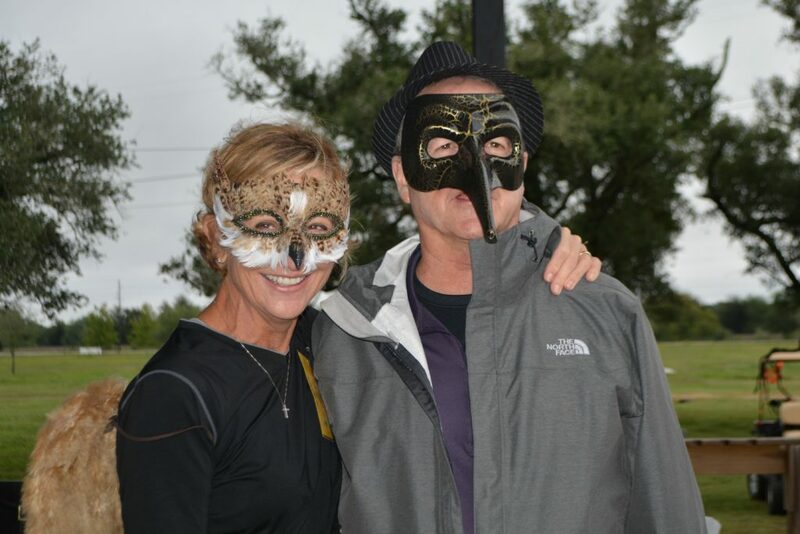 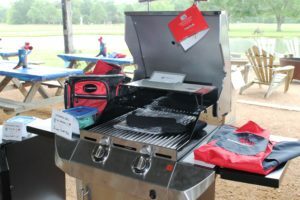 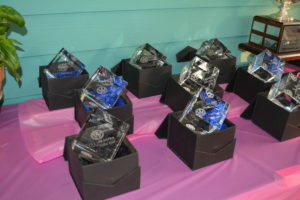 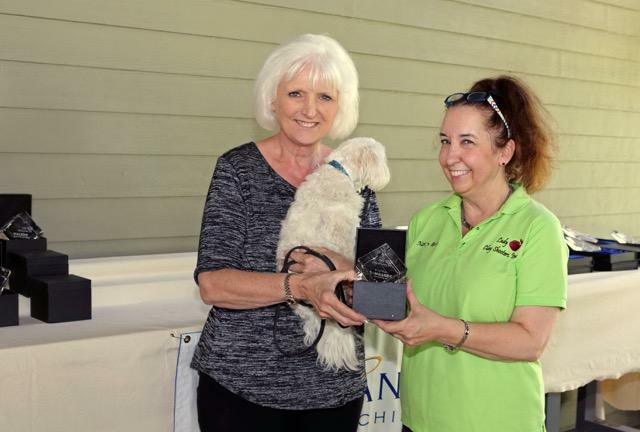 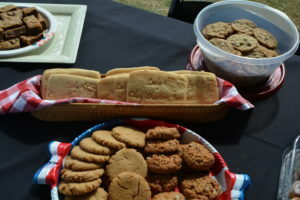 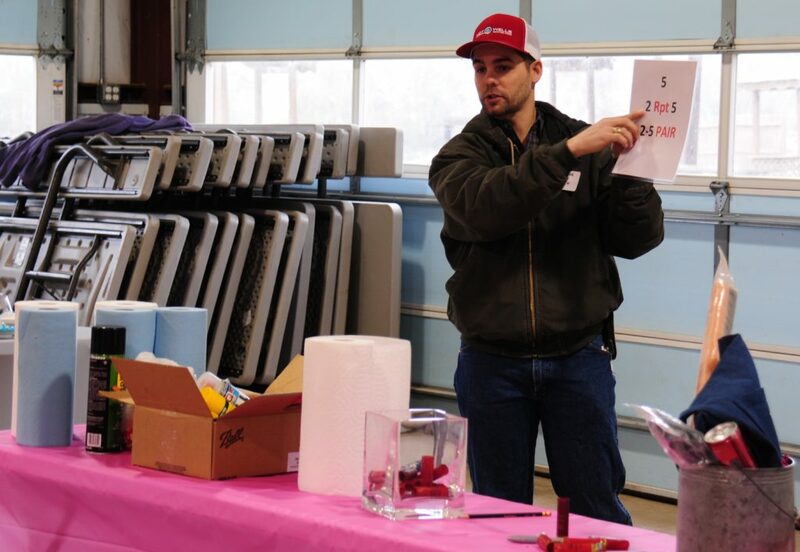 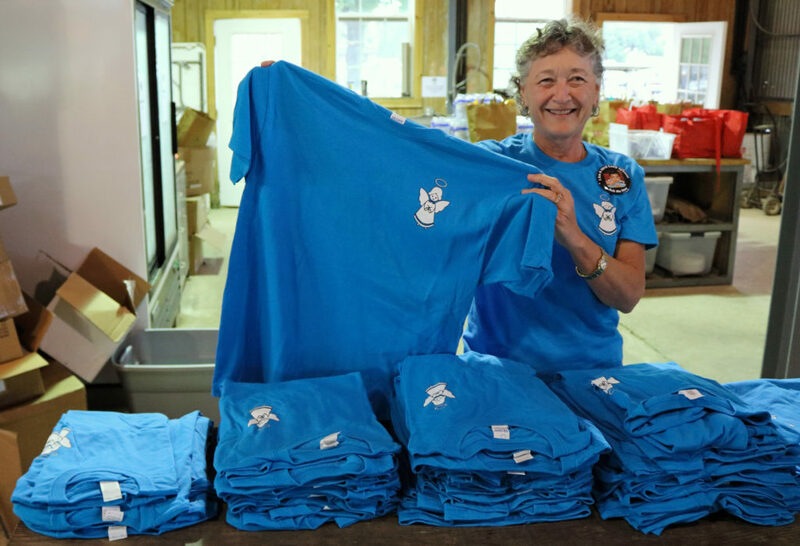 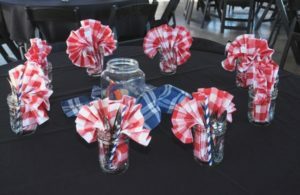 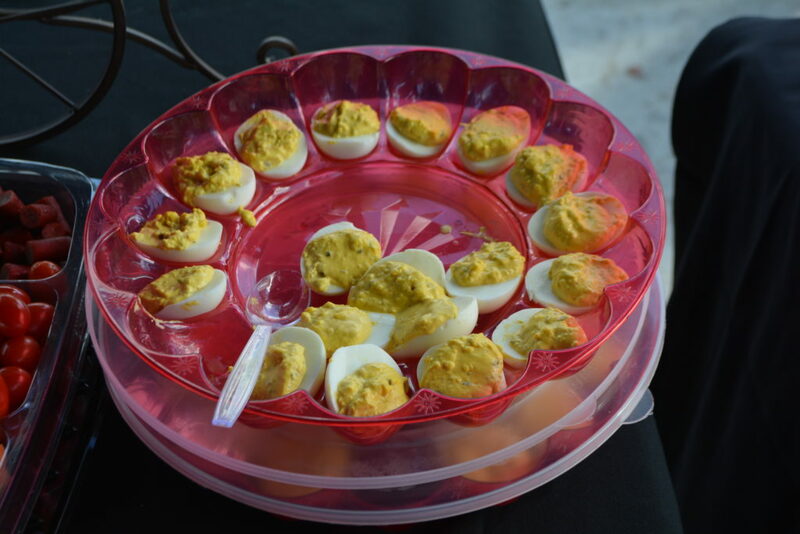 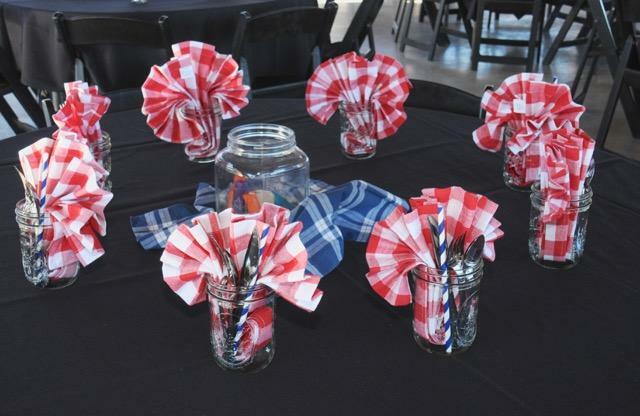 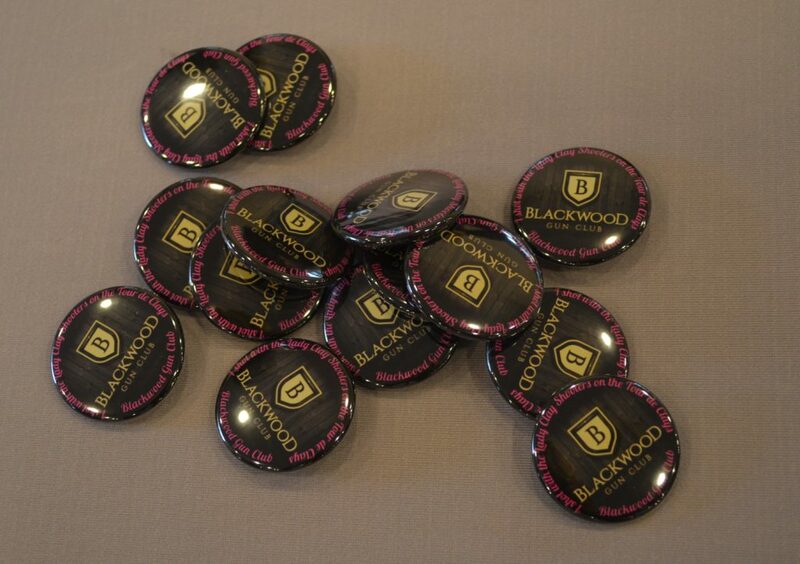 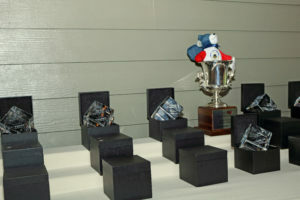 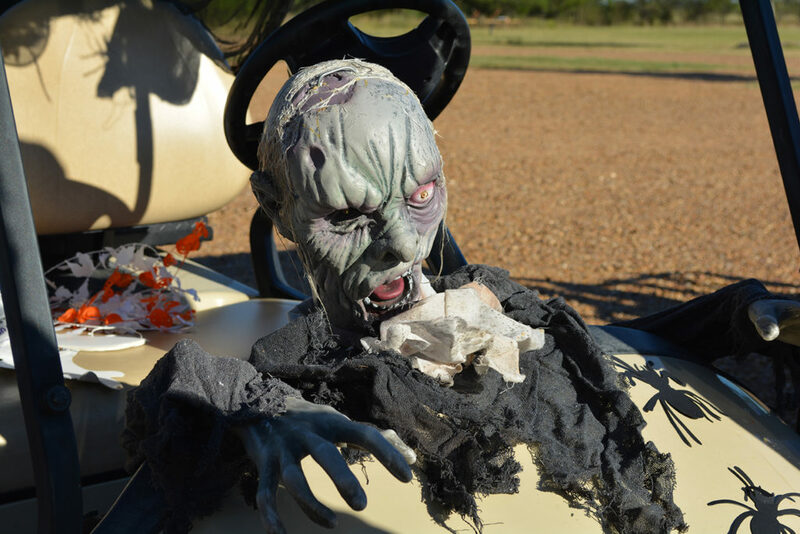 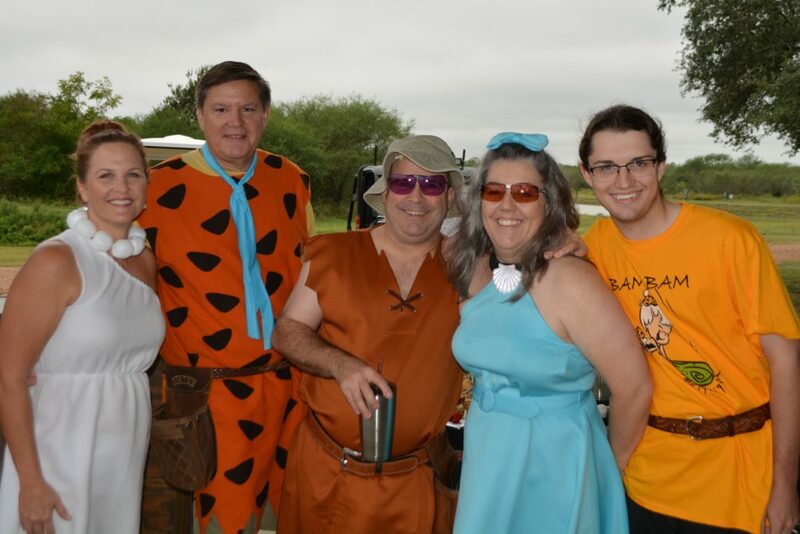 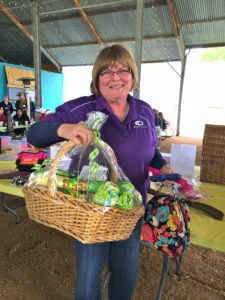 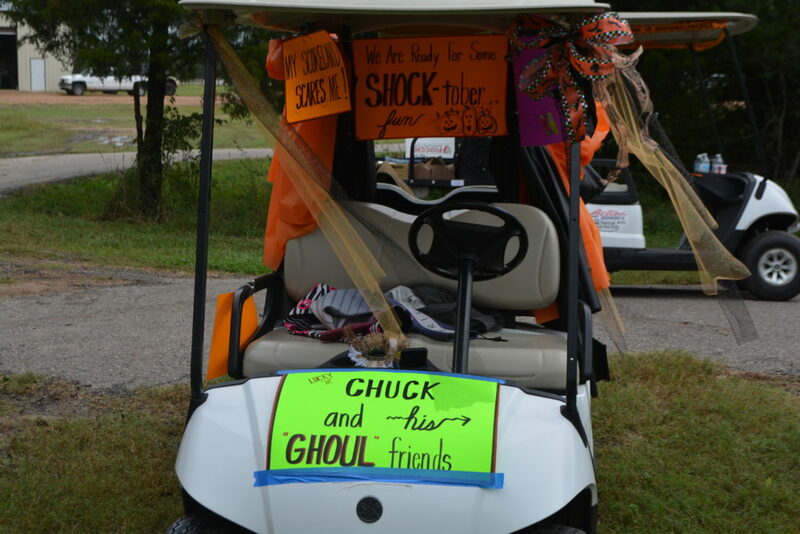 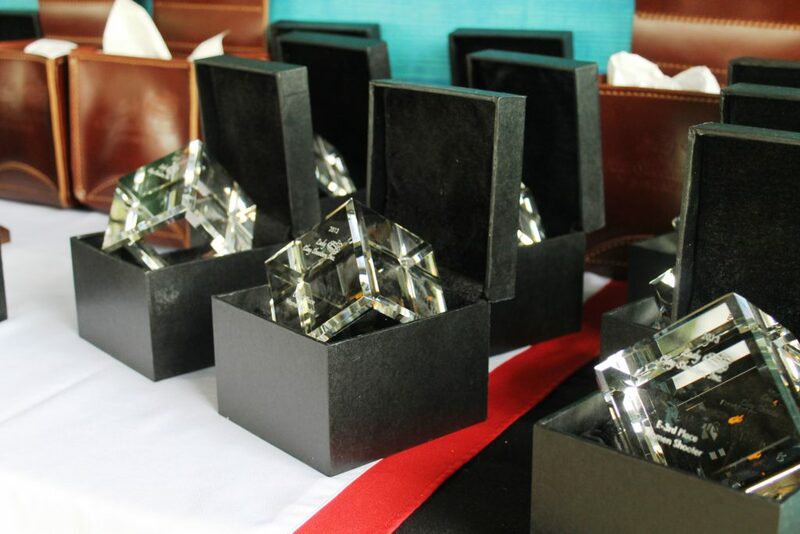 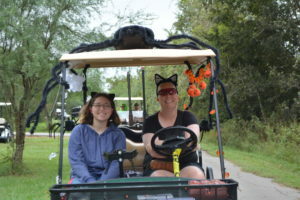 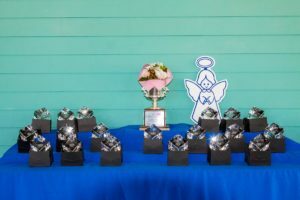 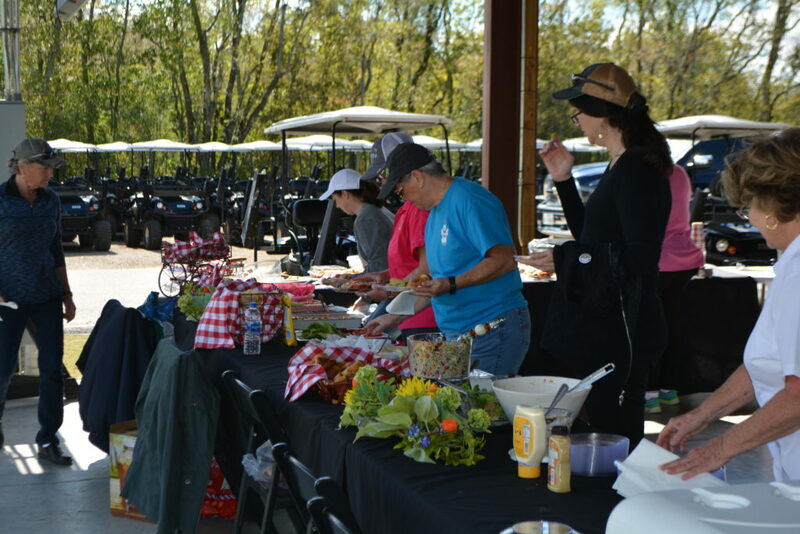 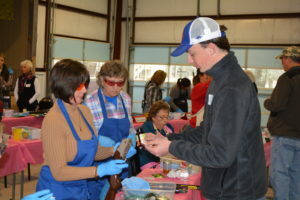 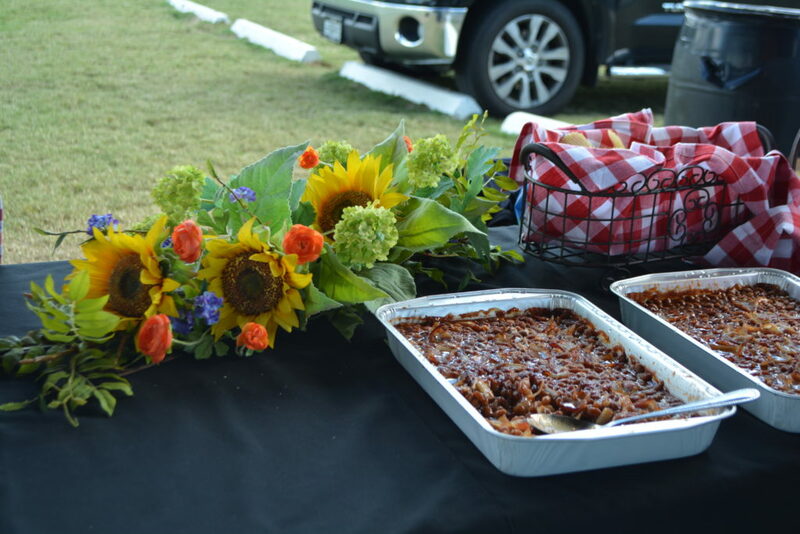 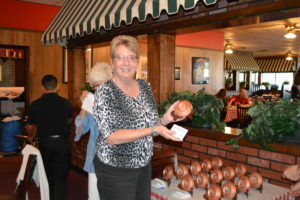 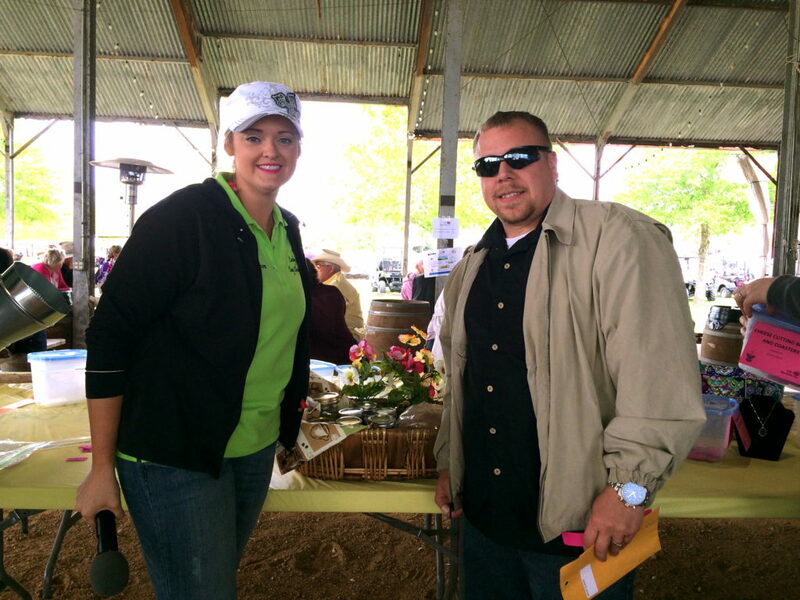 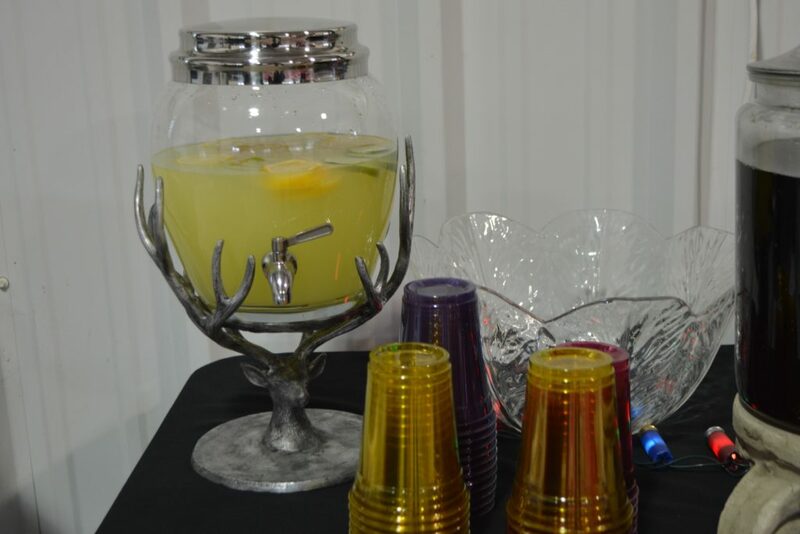 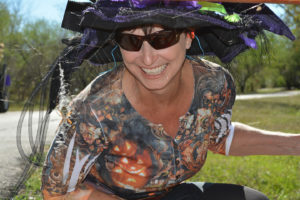 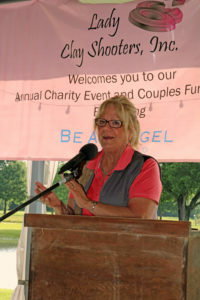 The money that we raise at our annual charity event supports a local charity of our choice. 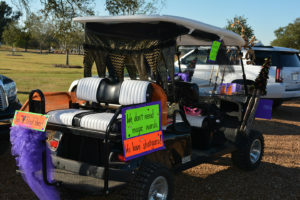 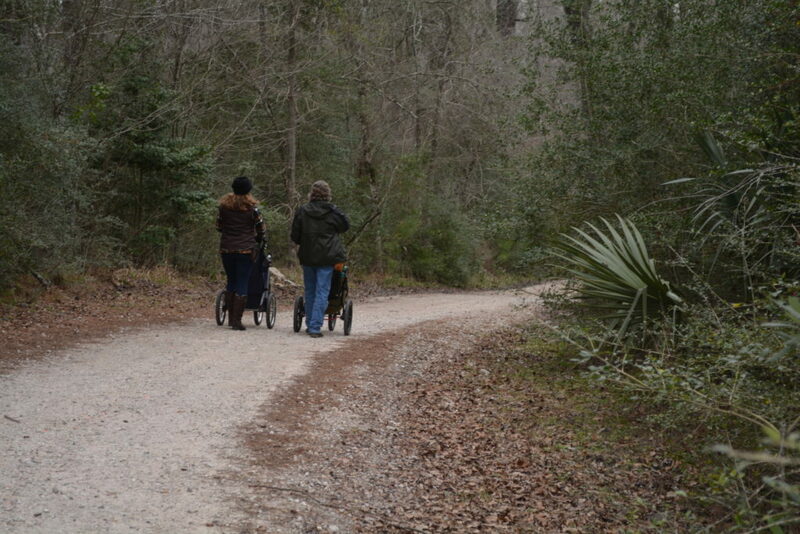 Our CharityAn organization that works to improve the quality of life for children with multiple disabilities or profound deafness by providing needed adaptive equipment and select services. 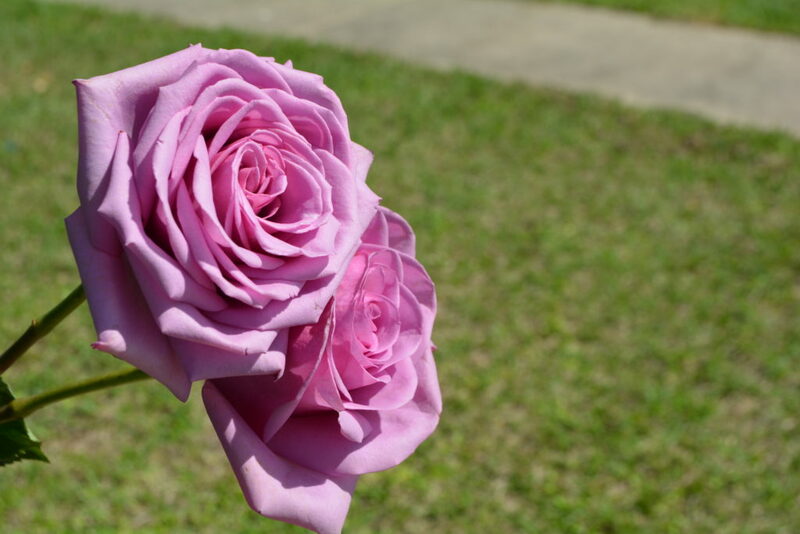 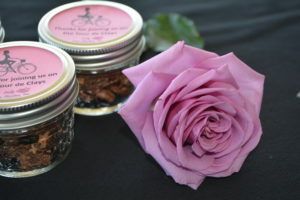 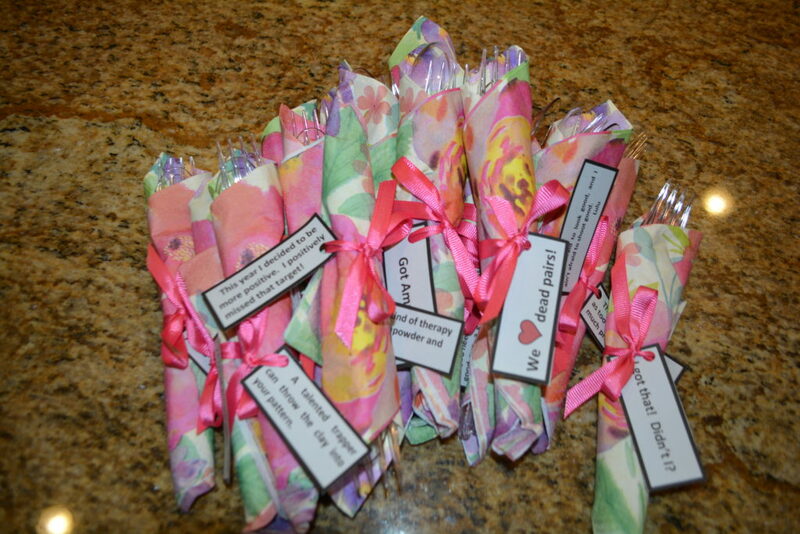 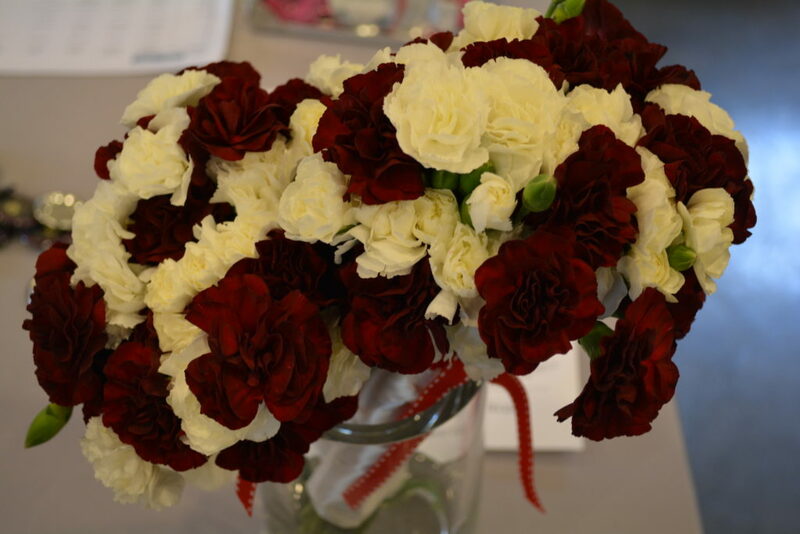 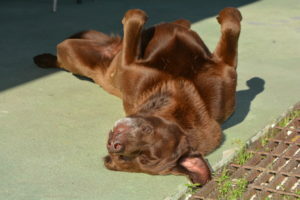 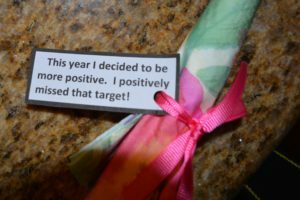 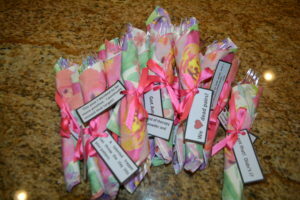 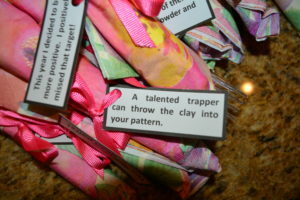 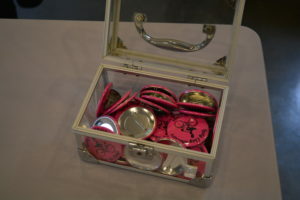 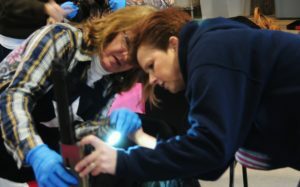 And they truly care about each lady as a person – always supportive, encouraging and compassionate. 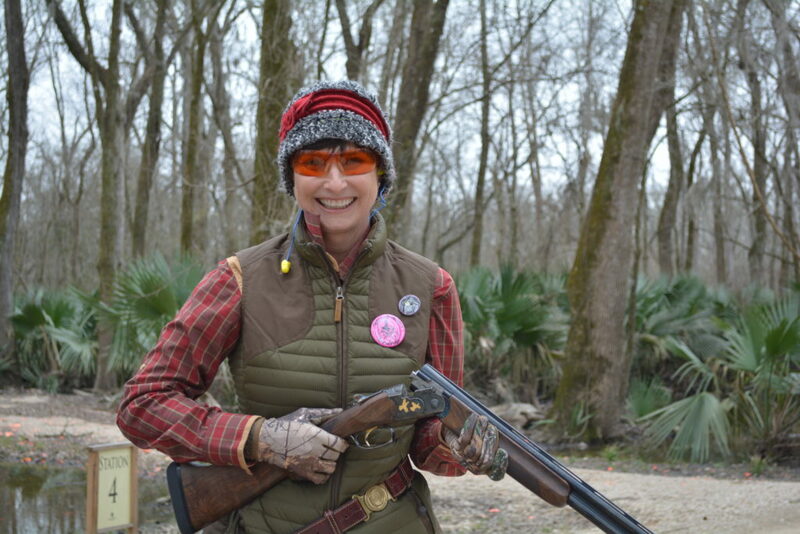 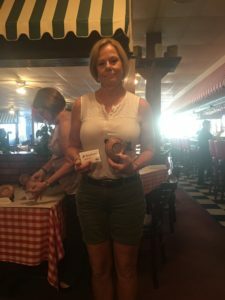 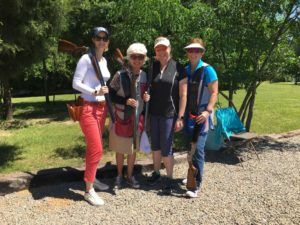 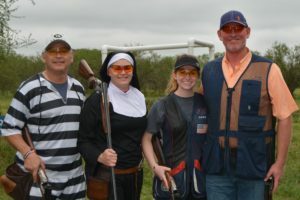 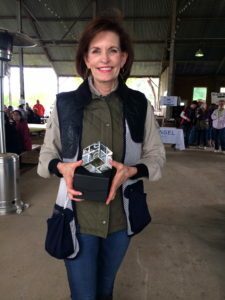 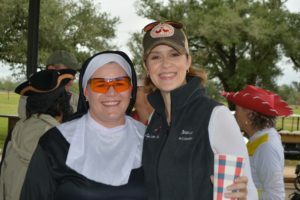 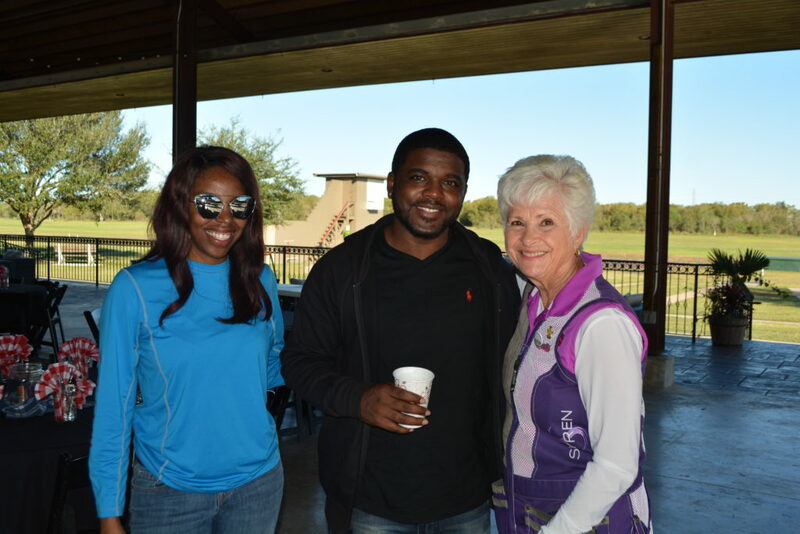 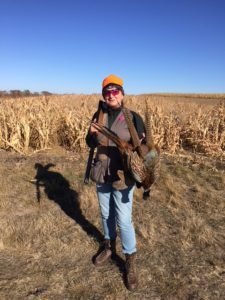 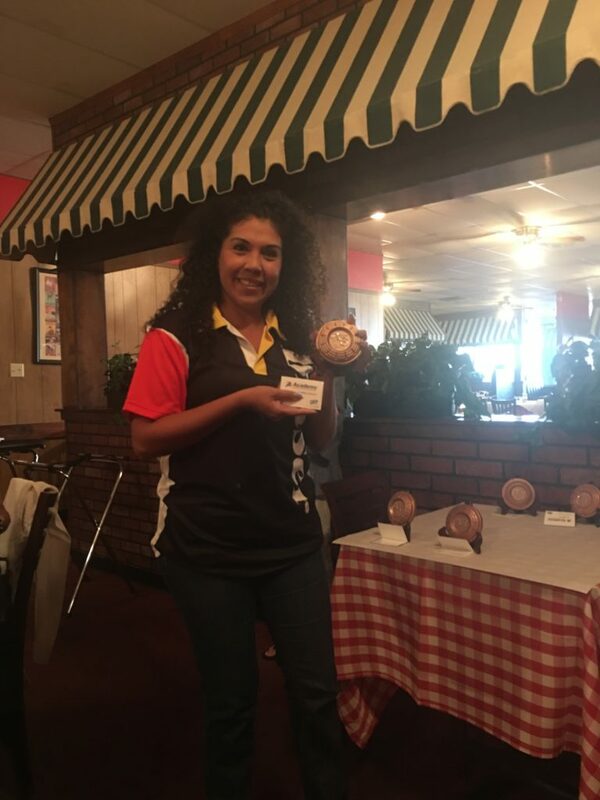 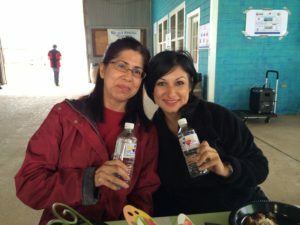 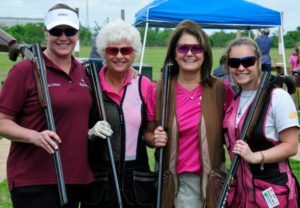 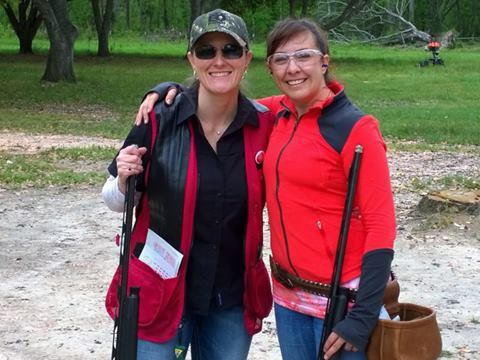 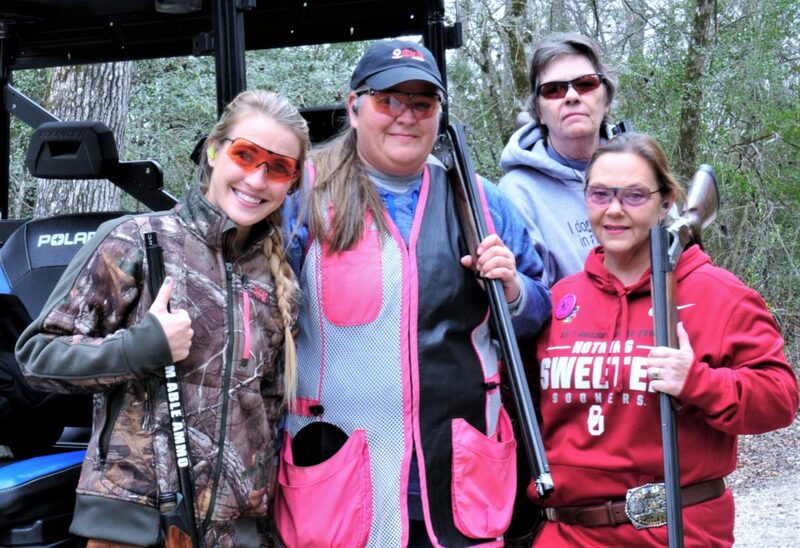 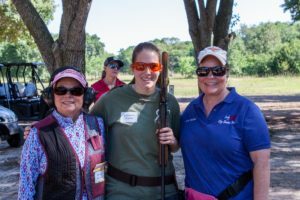 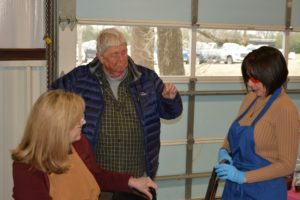 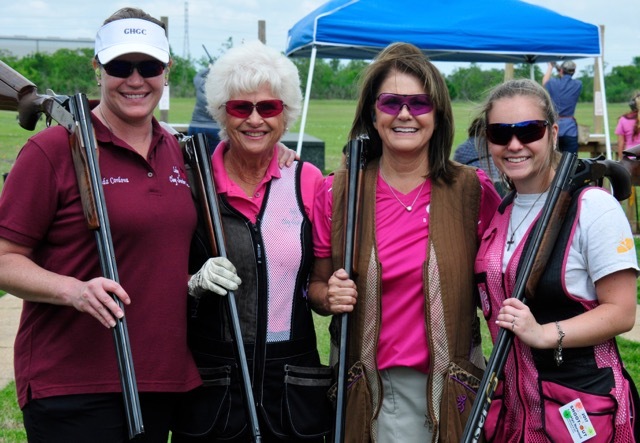 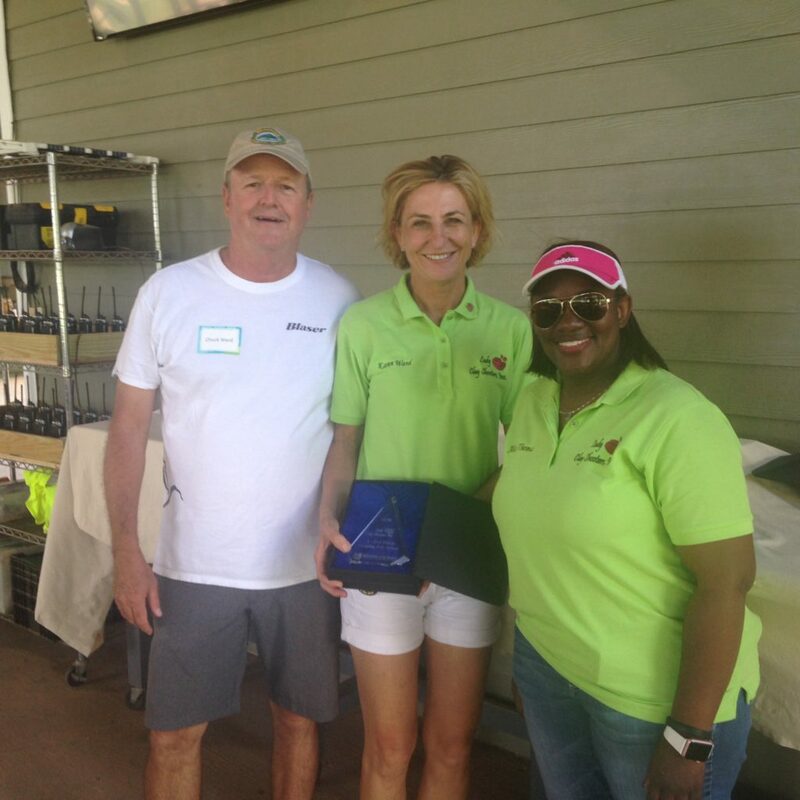 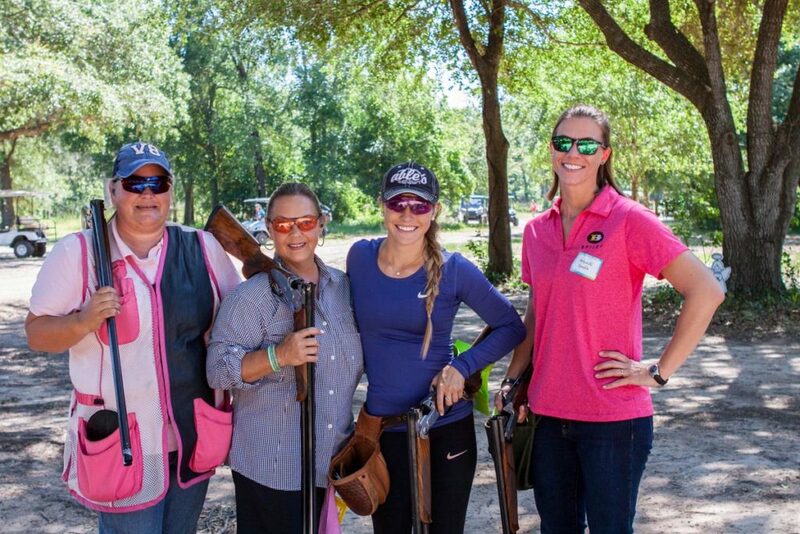 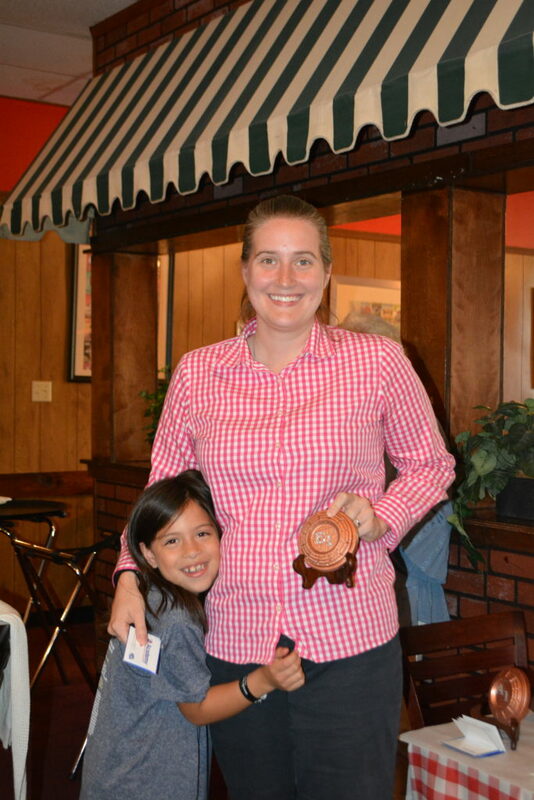 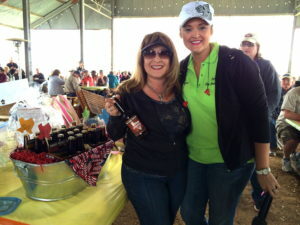 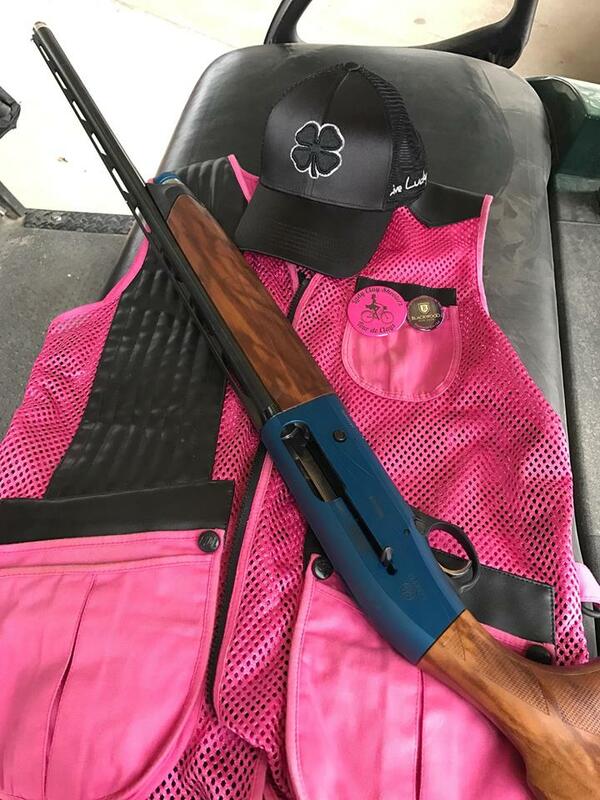 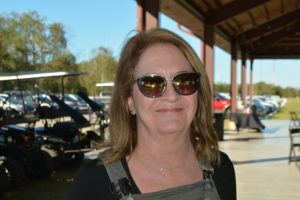 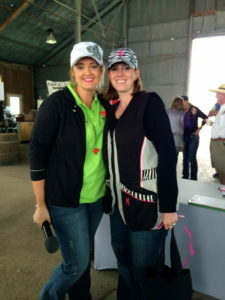 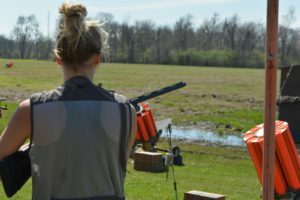 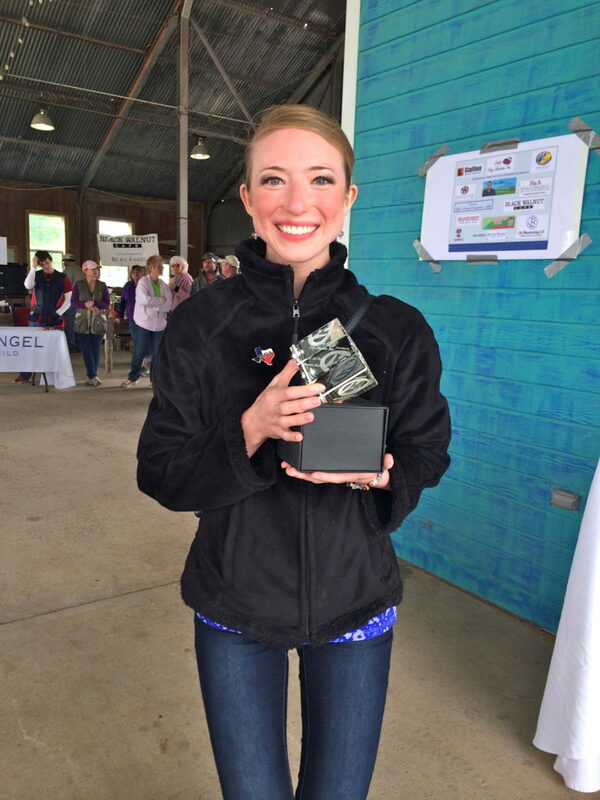 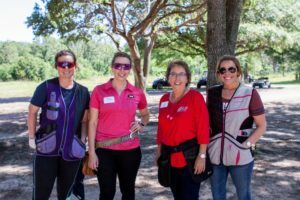 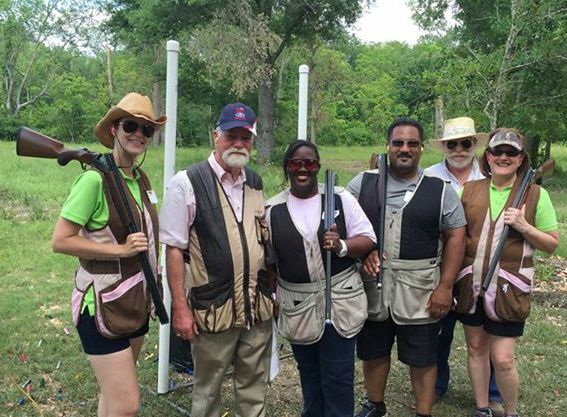 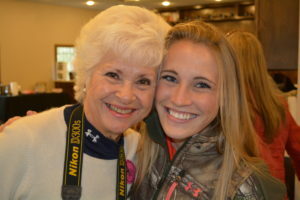 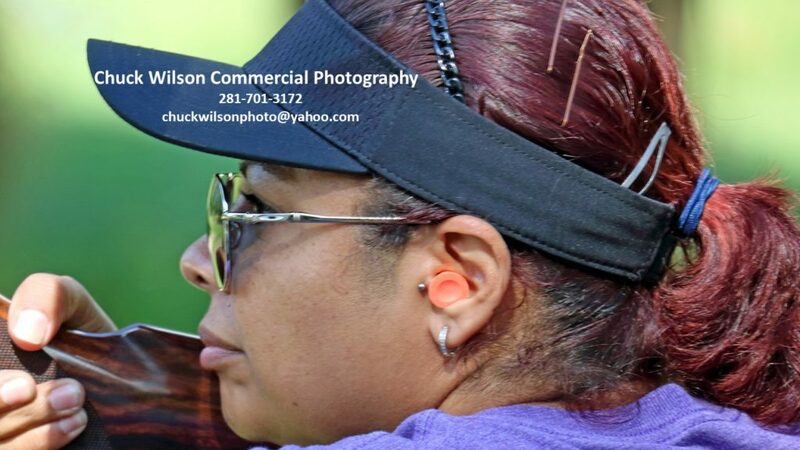 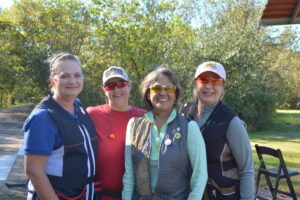 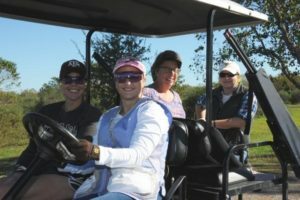 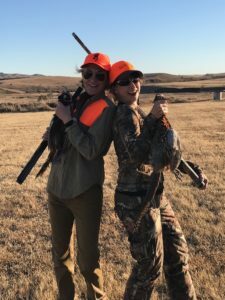 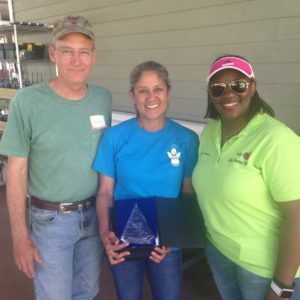 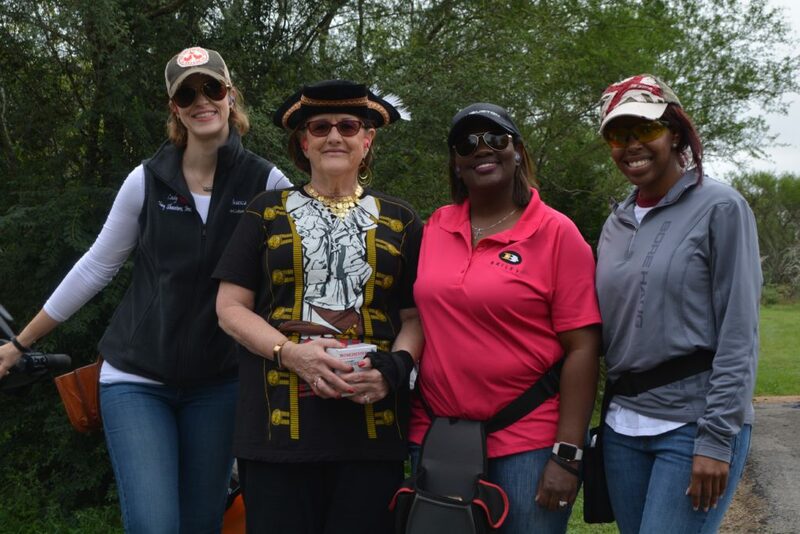 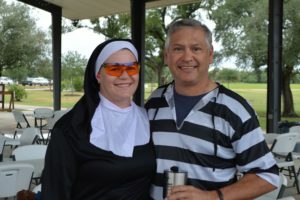 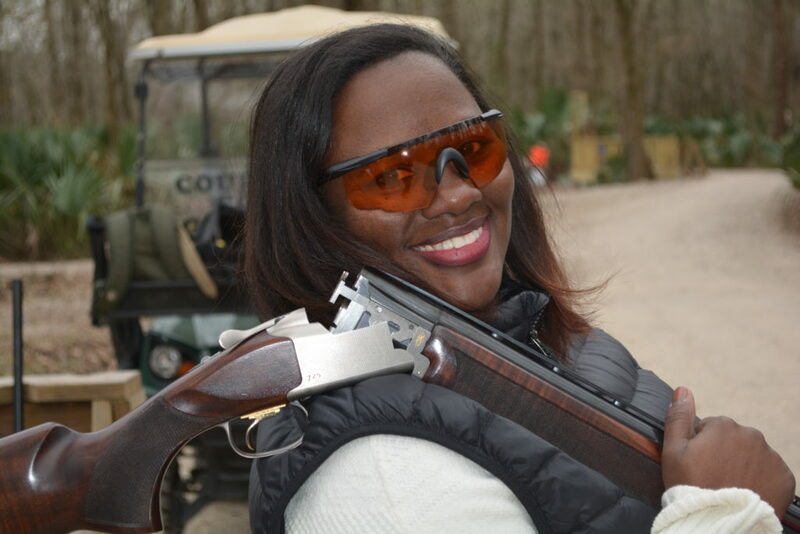 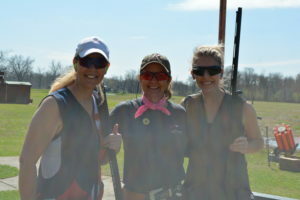 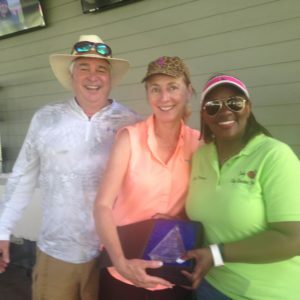 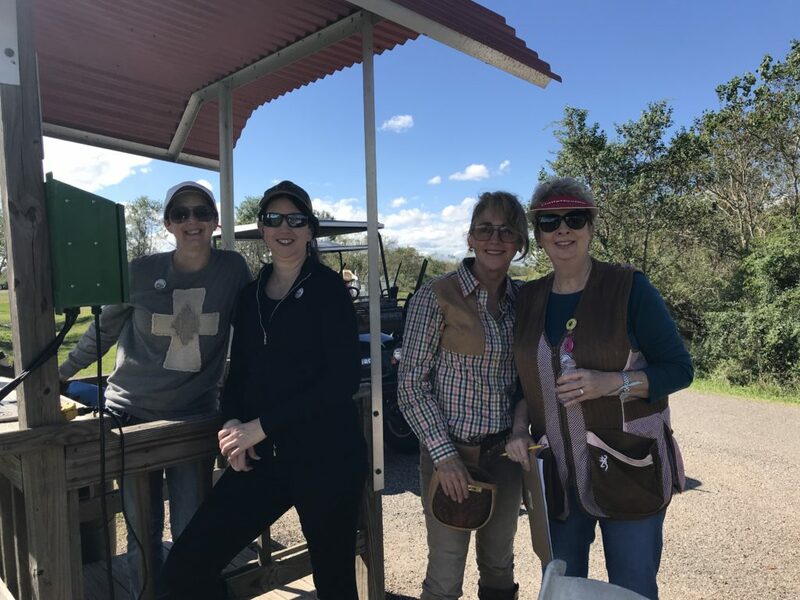 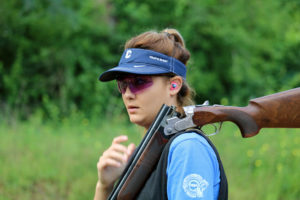 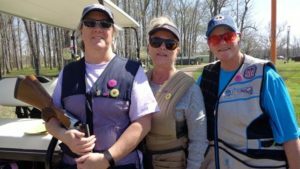 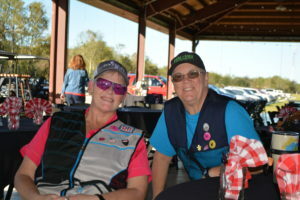 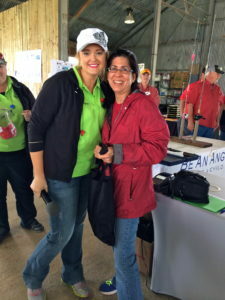 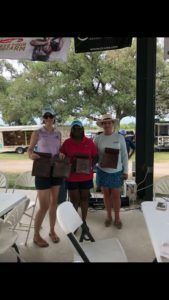 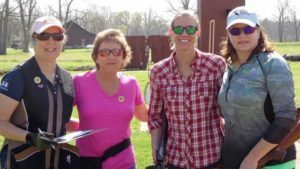 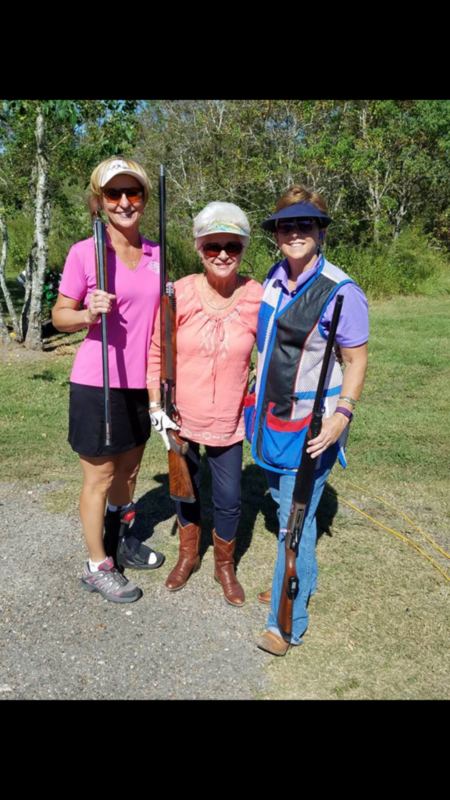 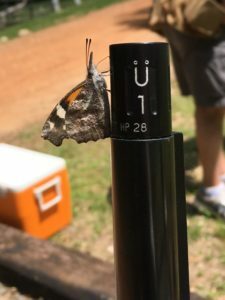 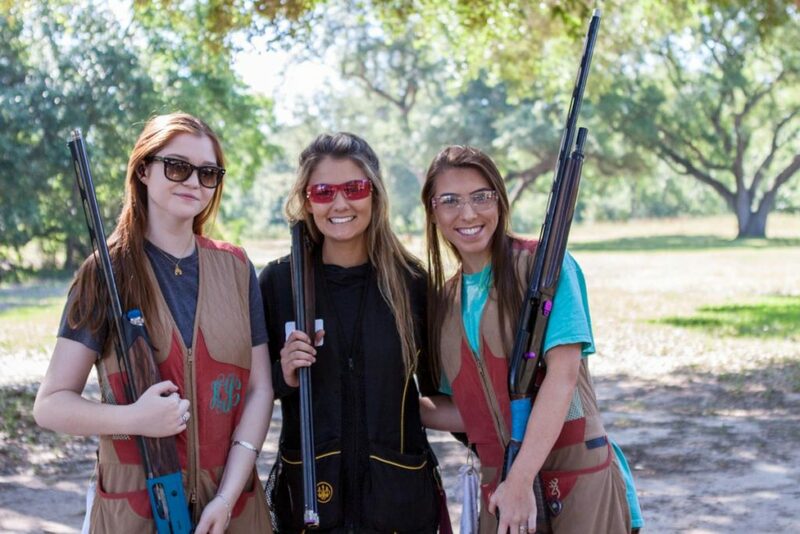 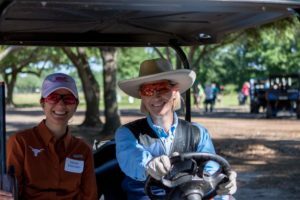 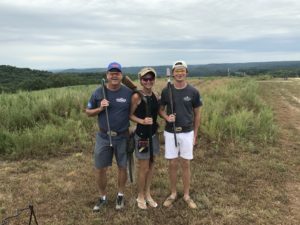 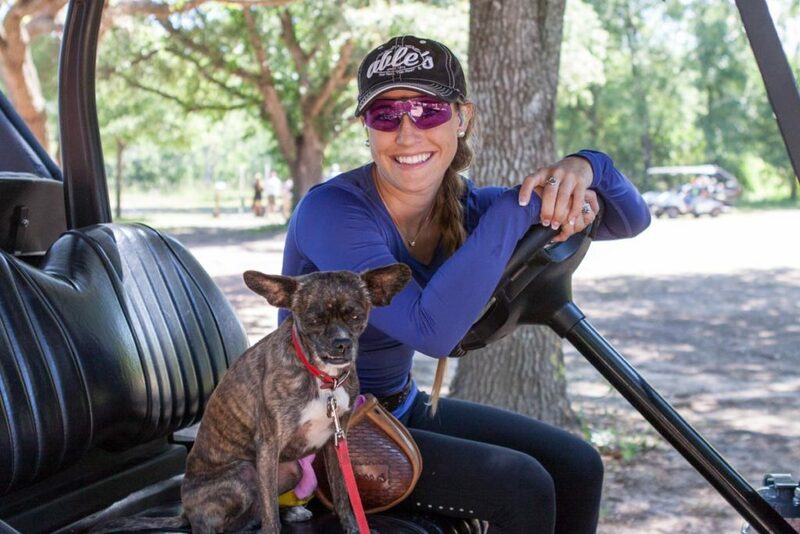 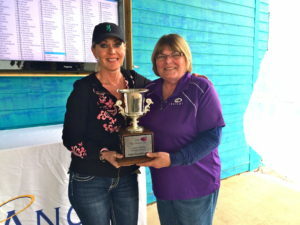 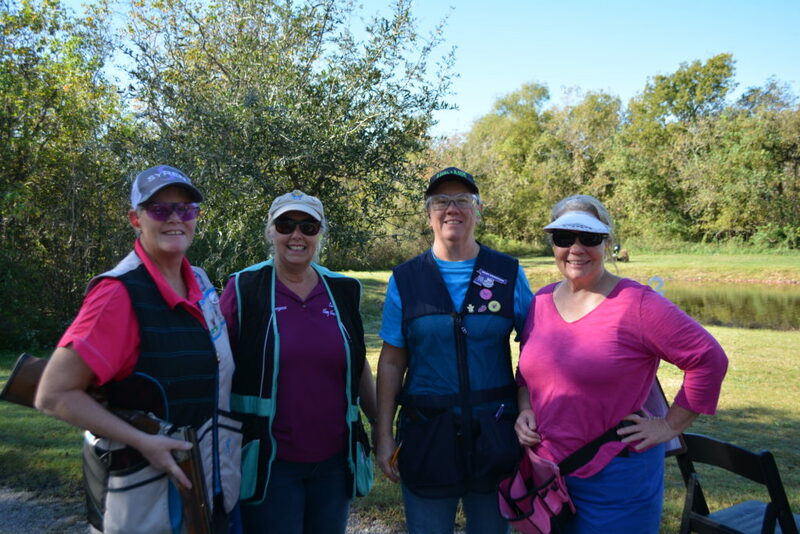 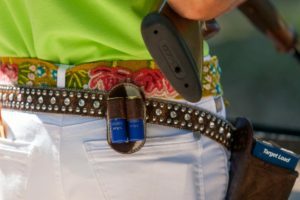 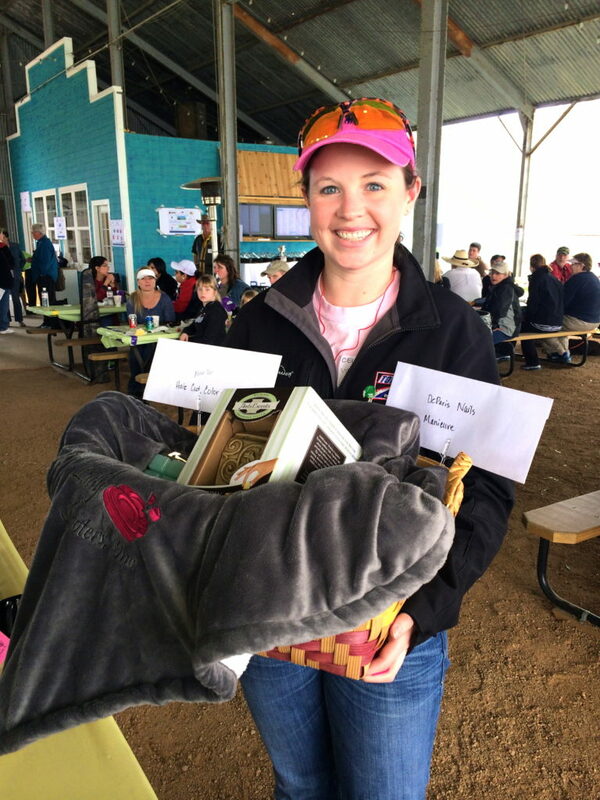 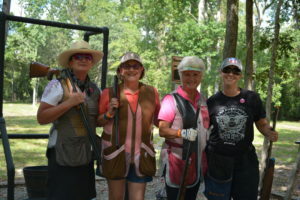 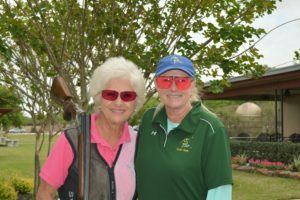 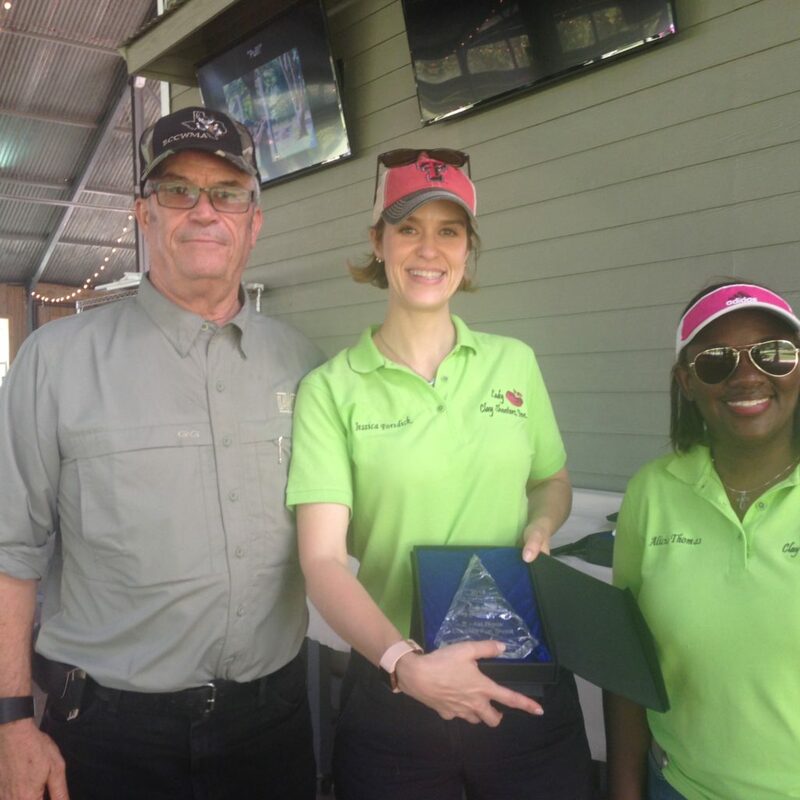 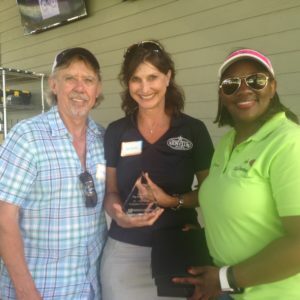 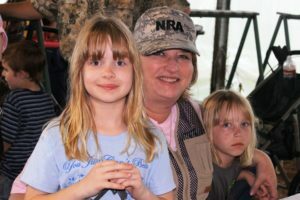 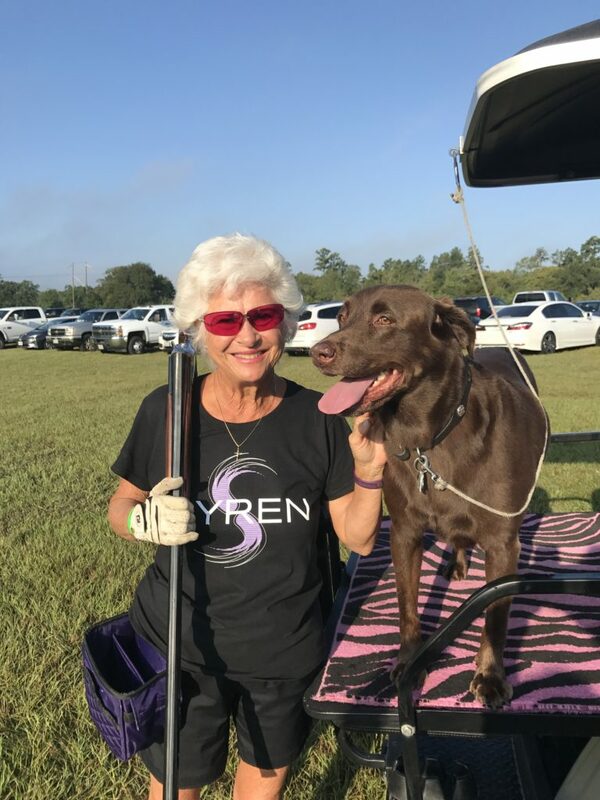 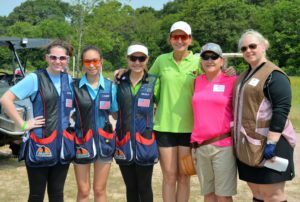 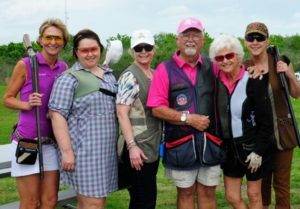 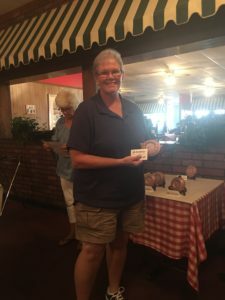 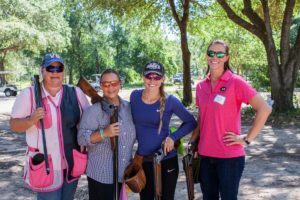 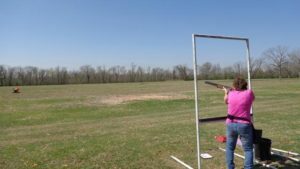 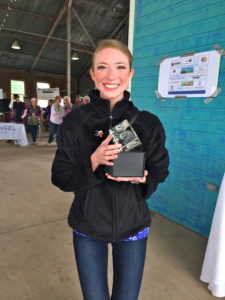 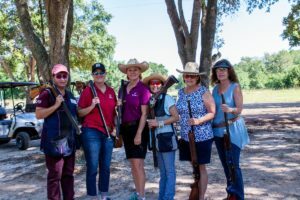 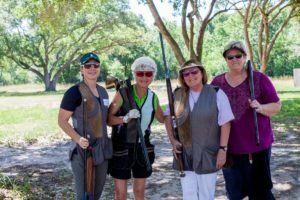 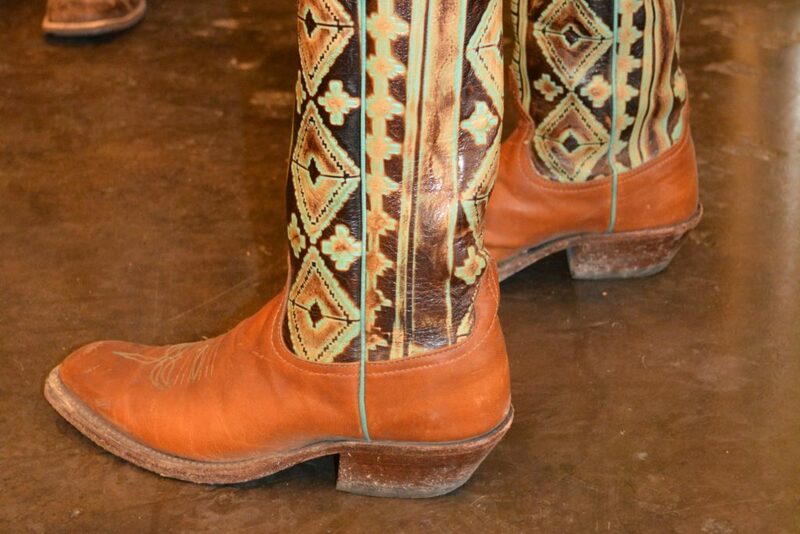 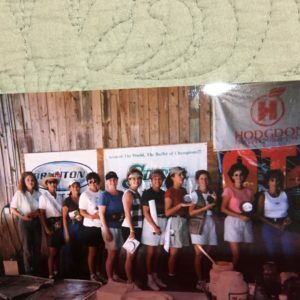 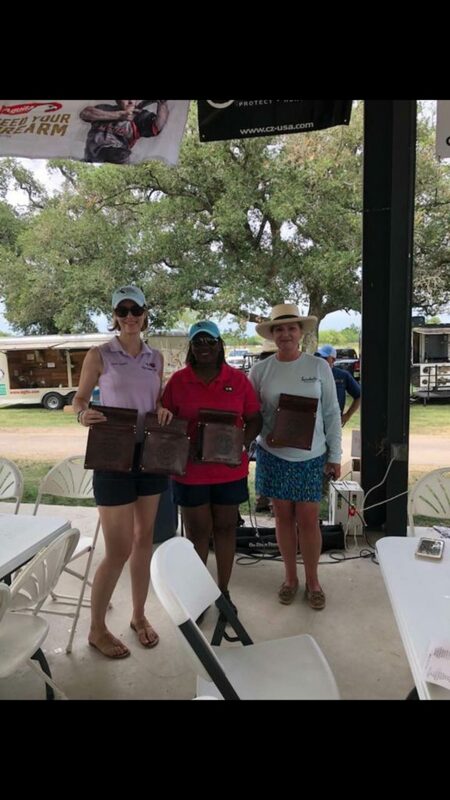 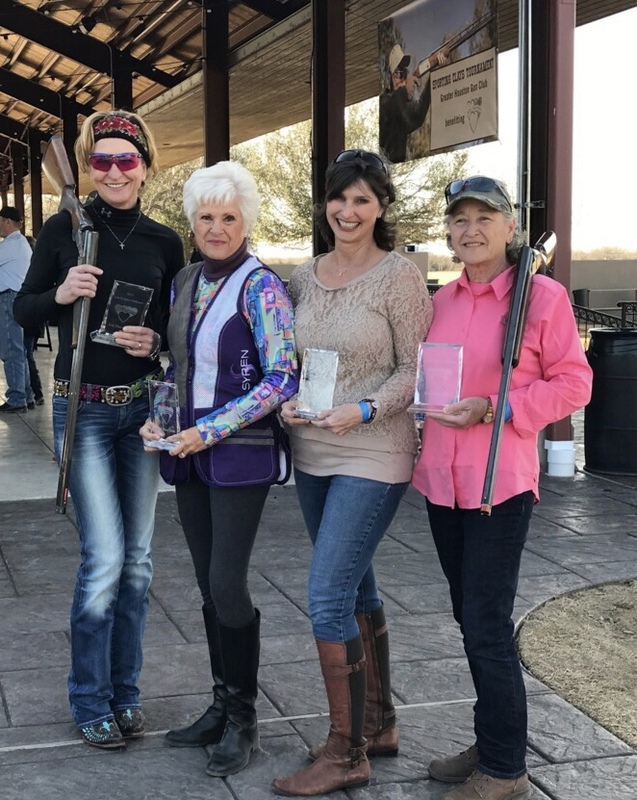 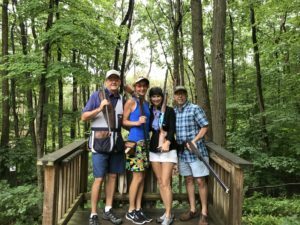 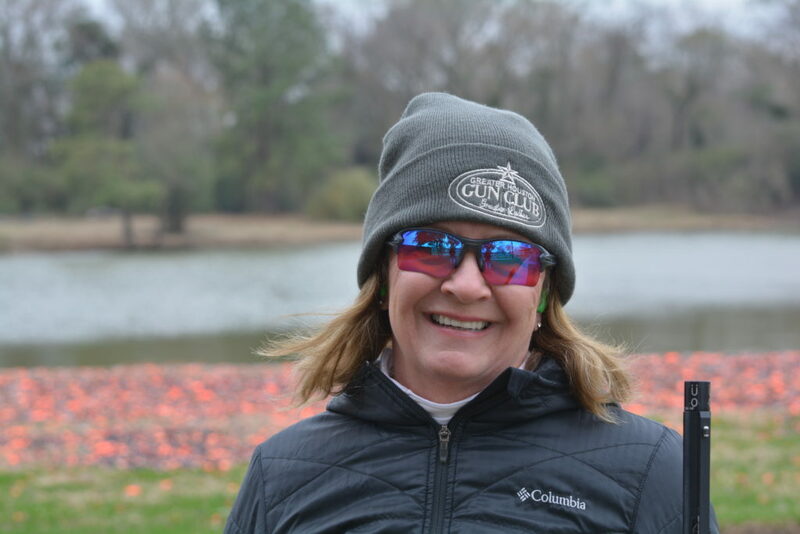 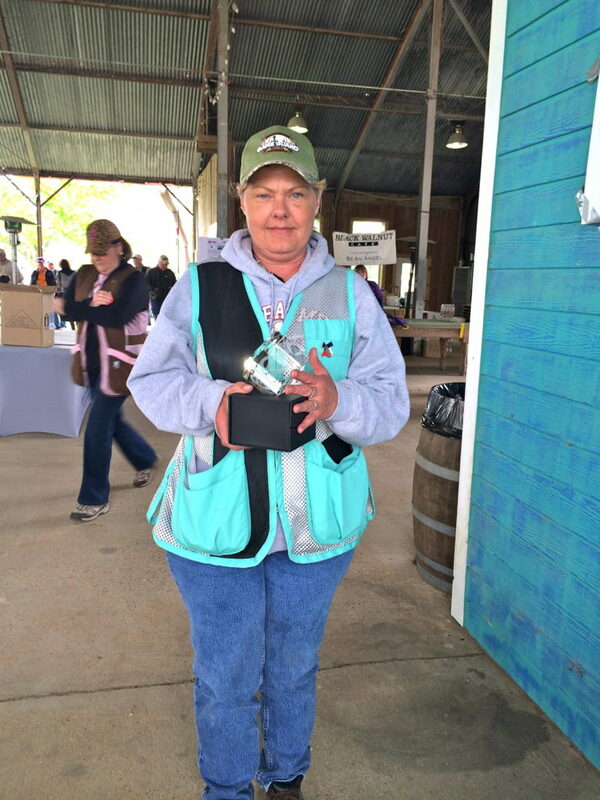 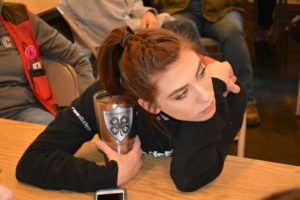 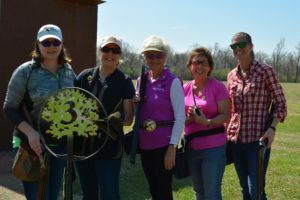 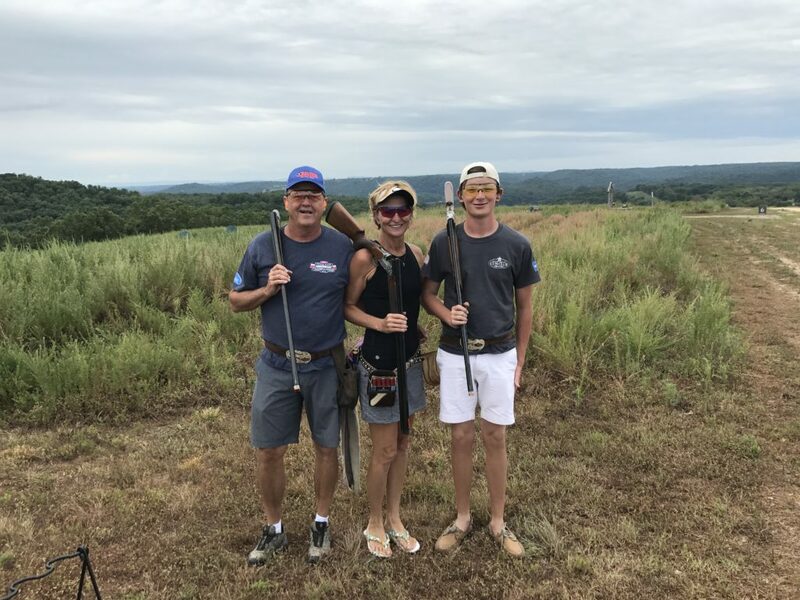 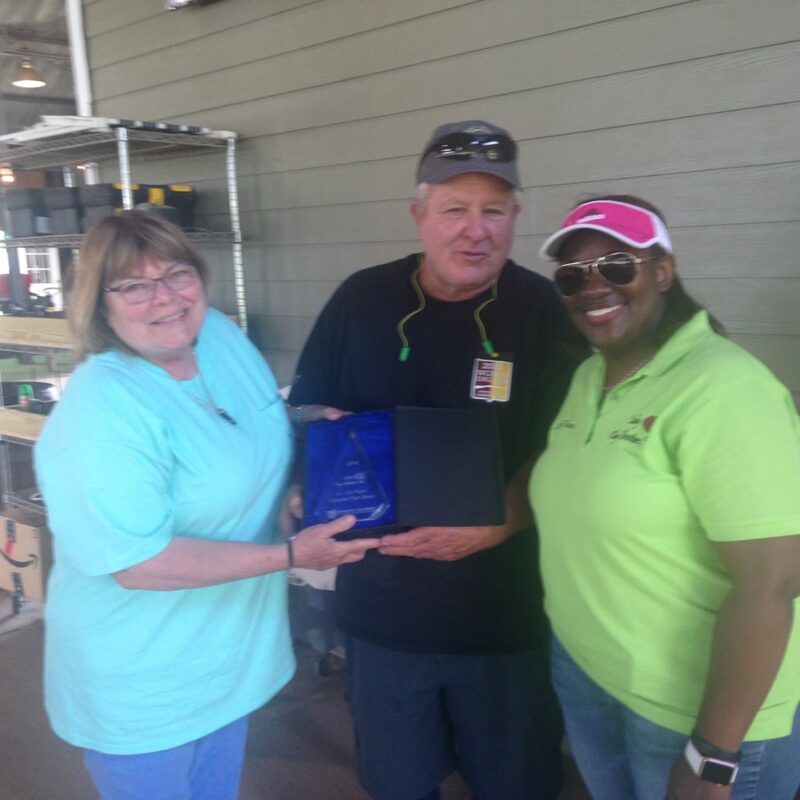 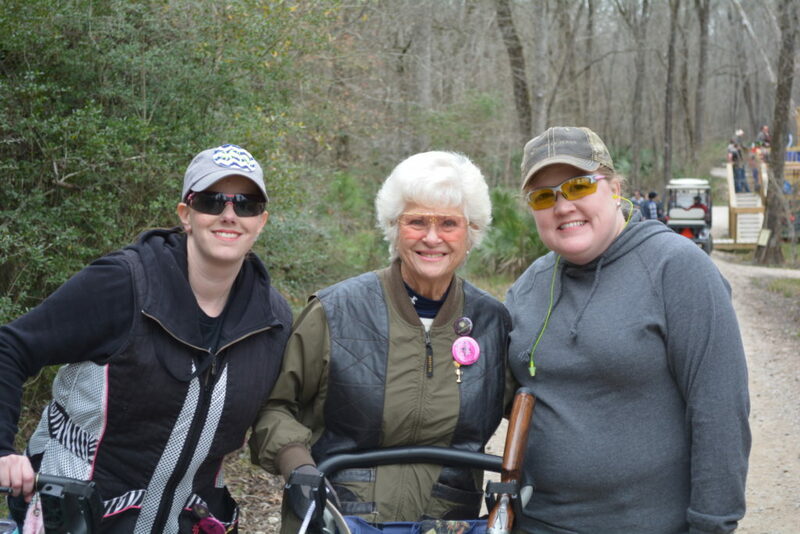 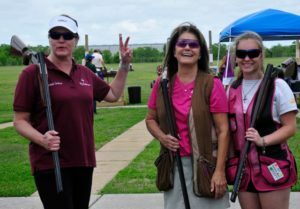 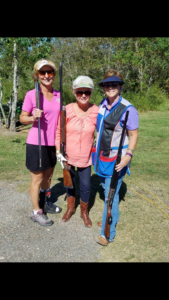 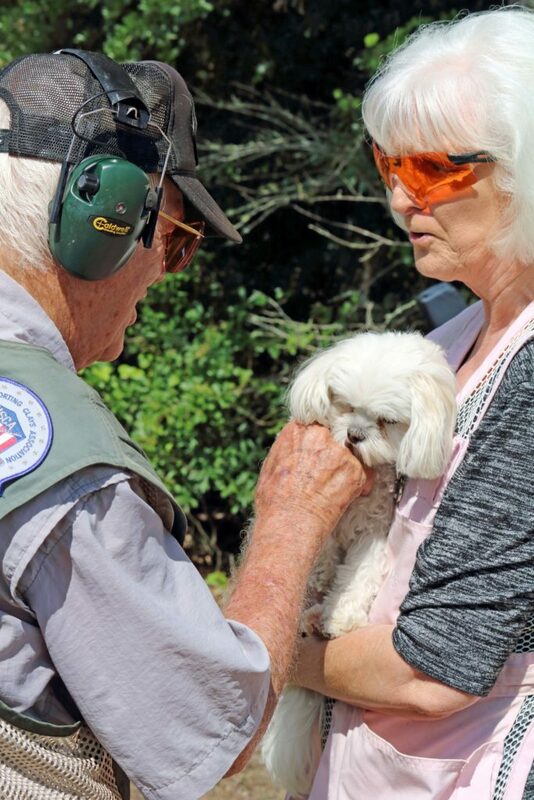 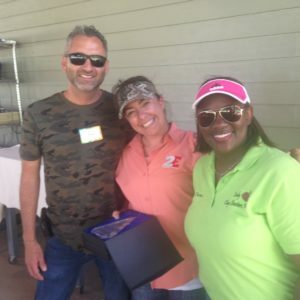 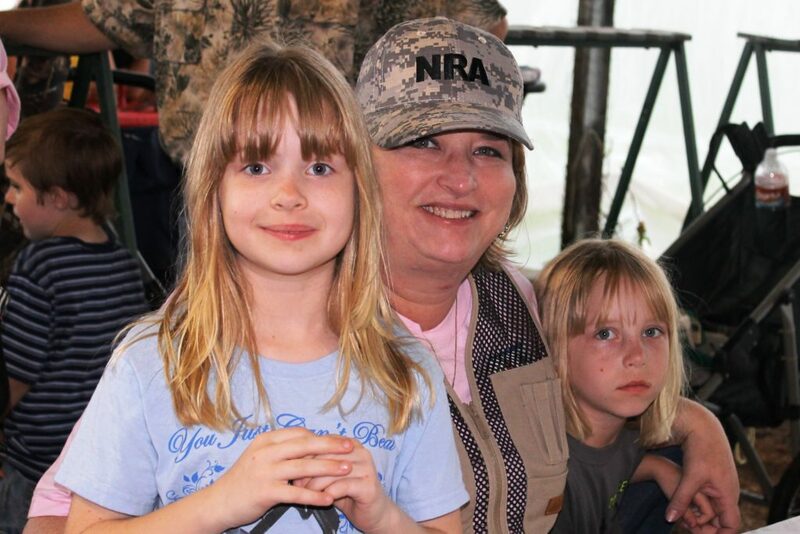 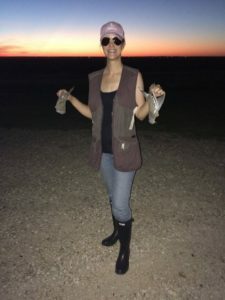 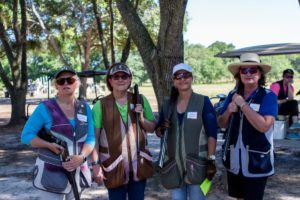 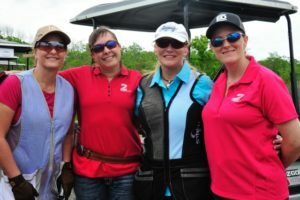 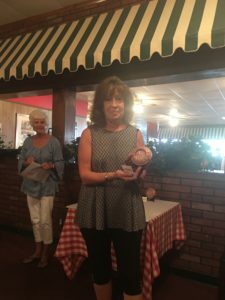 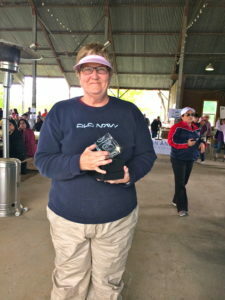 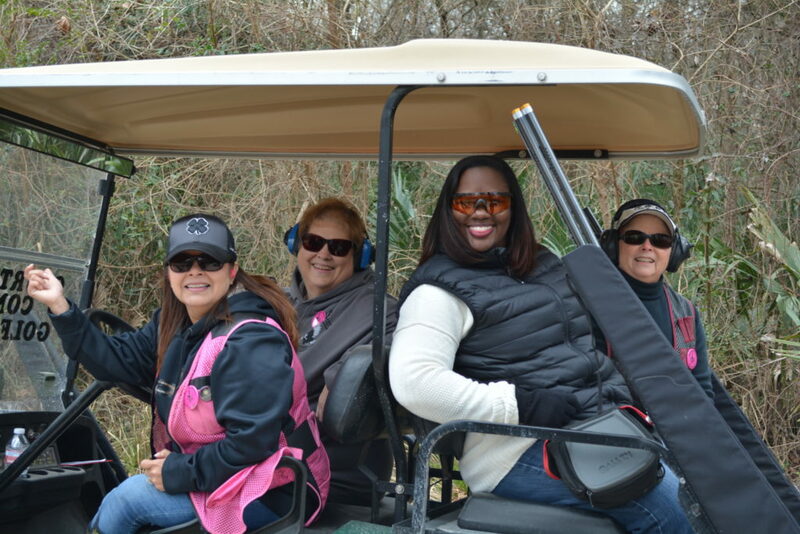 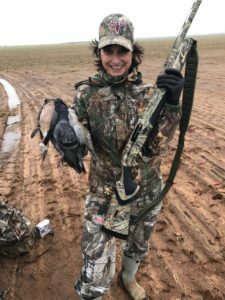 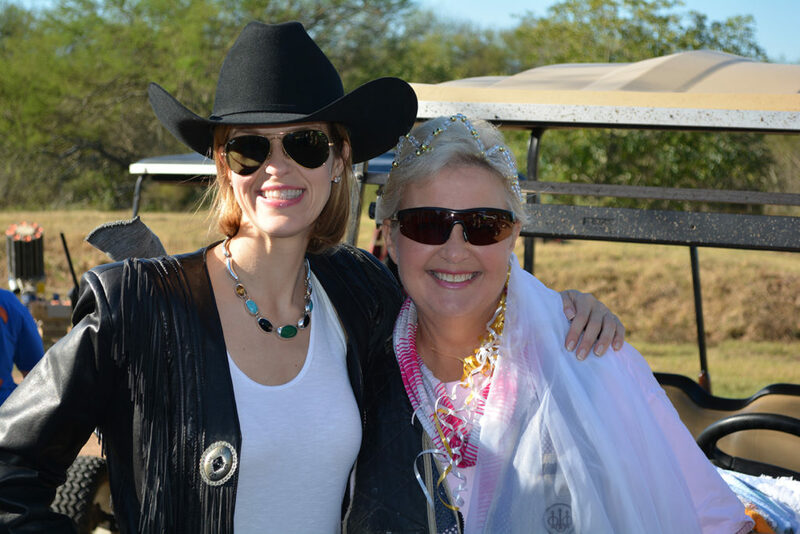 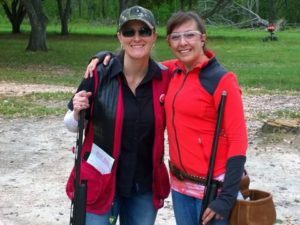 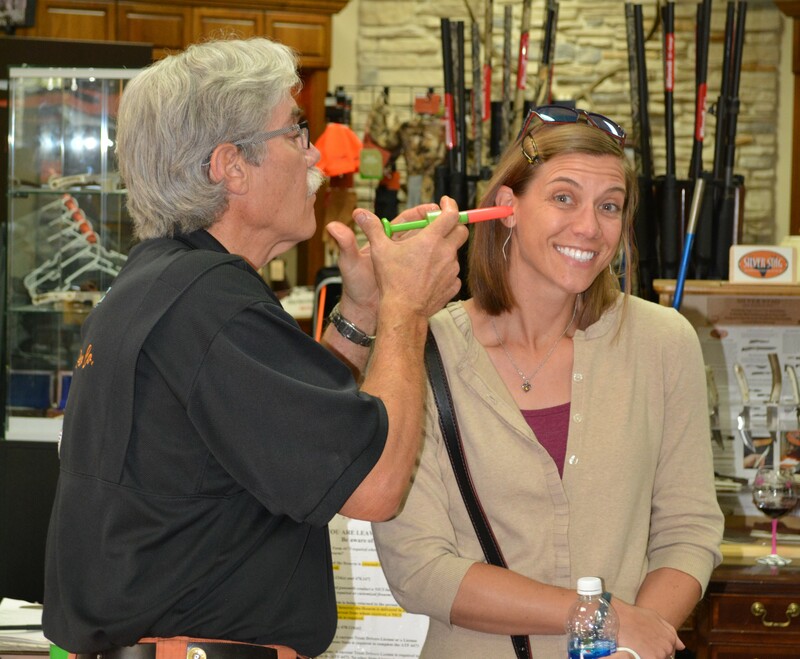 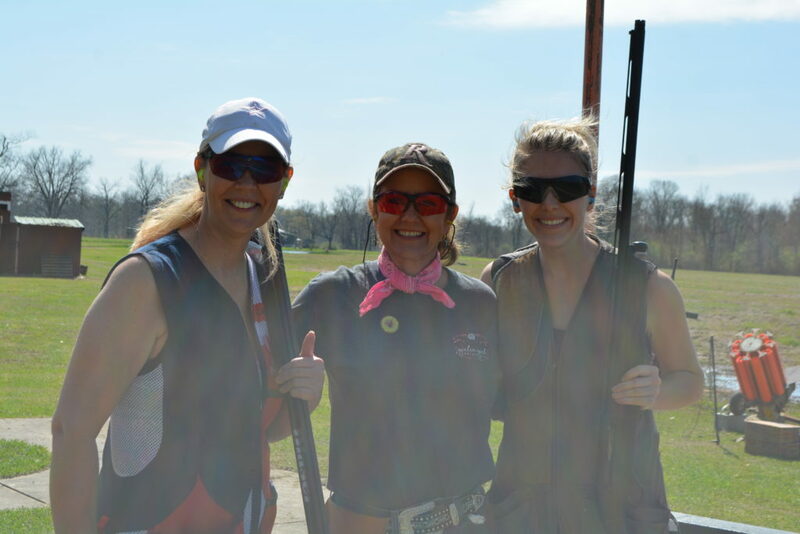 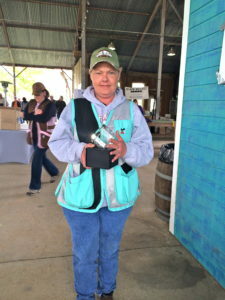 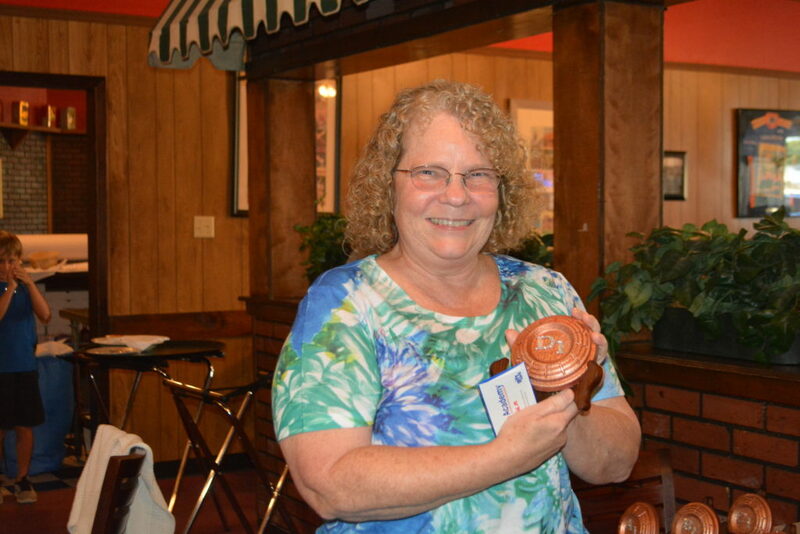 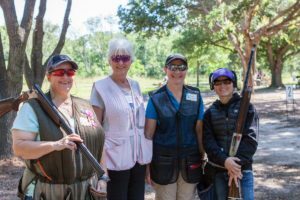 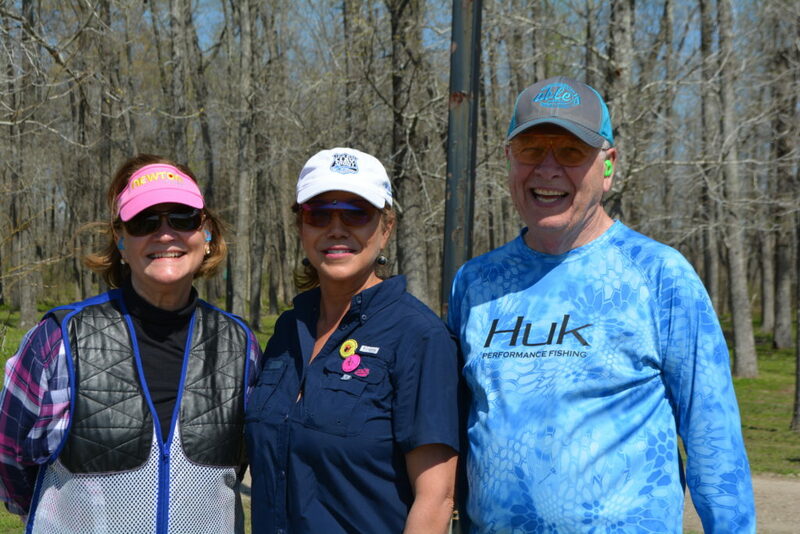 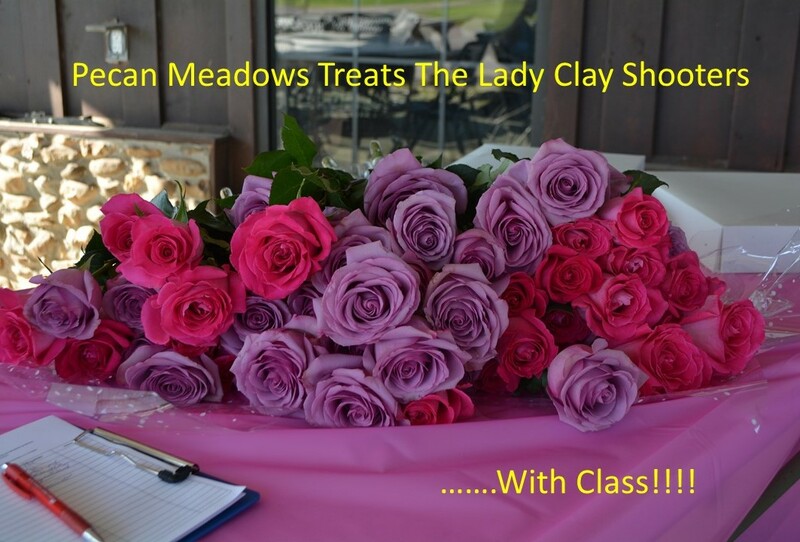 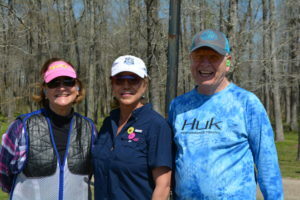 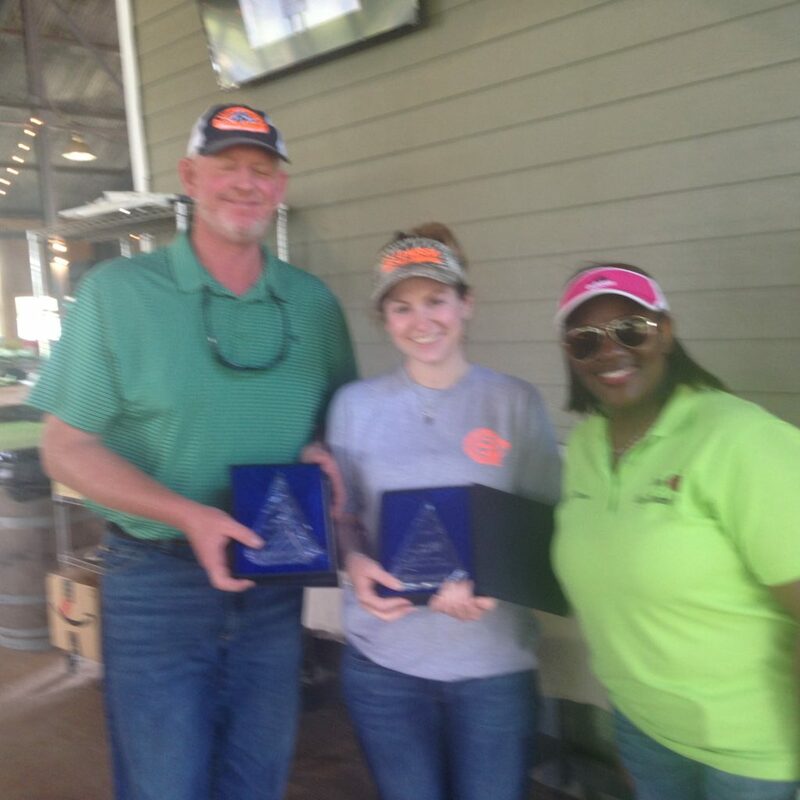 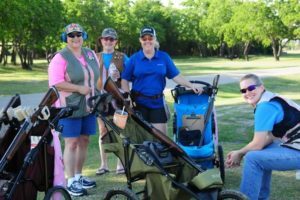 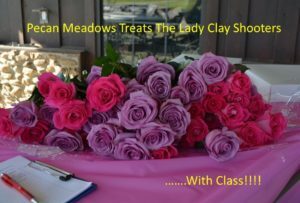 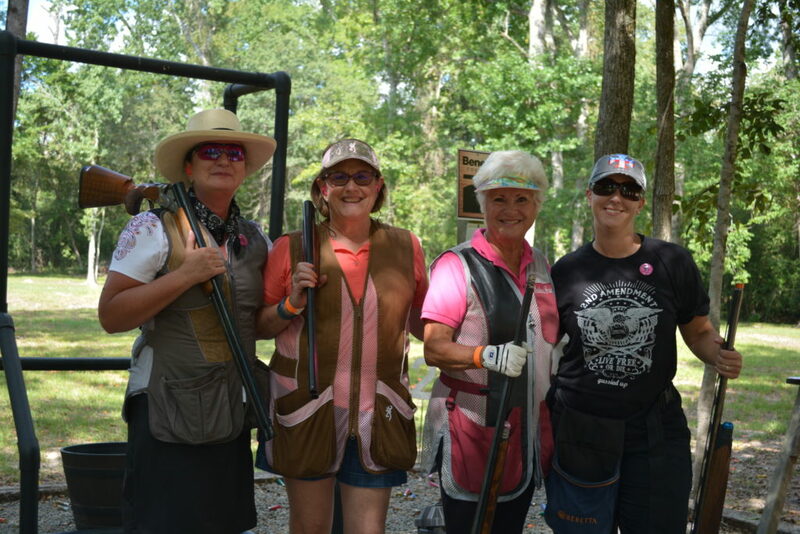 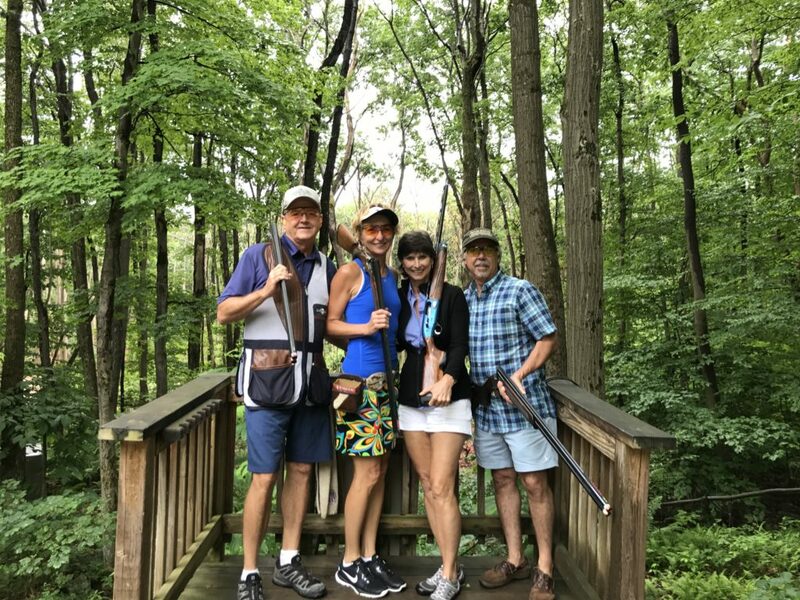 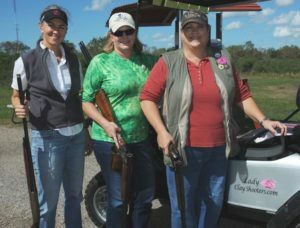 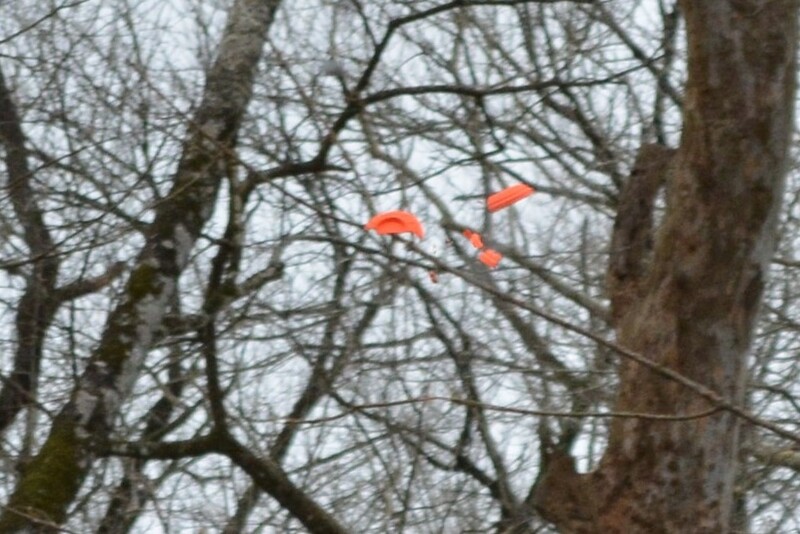 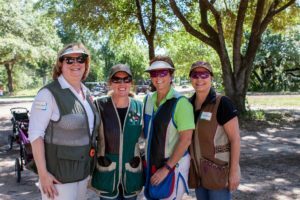 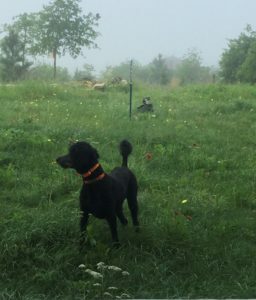 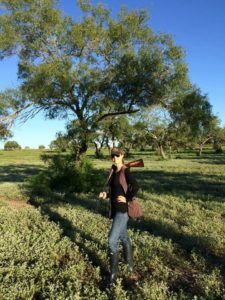 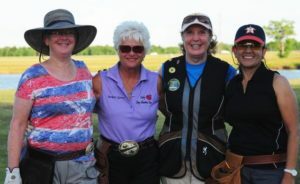 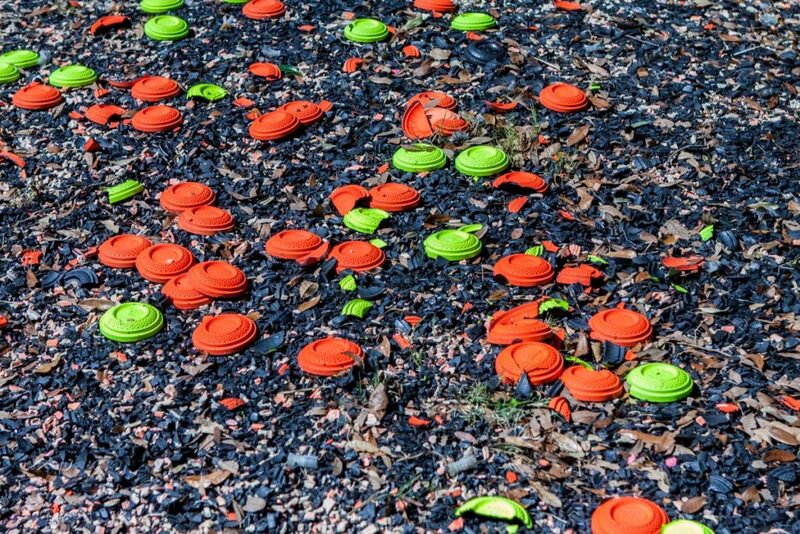 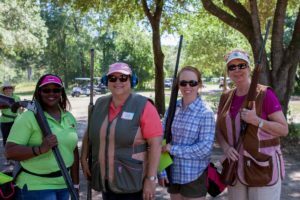 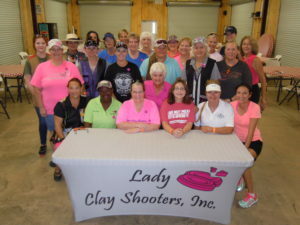 My experience with the Lady Clay Shooters has always been great! 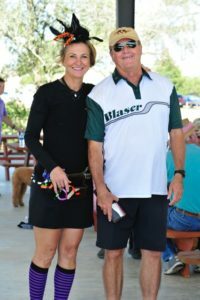 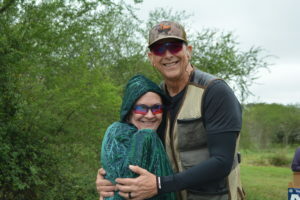 The charity shoot has brought my dad and me closer together, and we get to spend quality time doing something we both love! 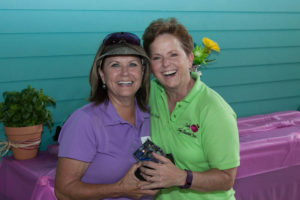 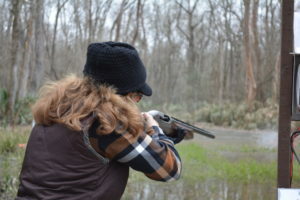 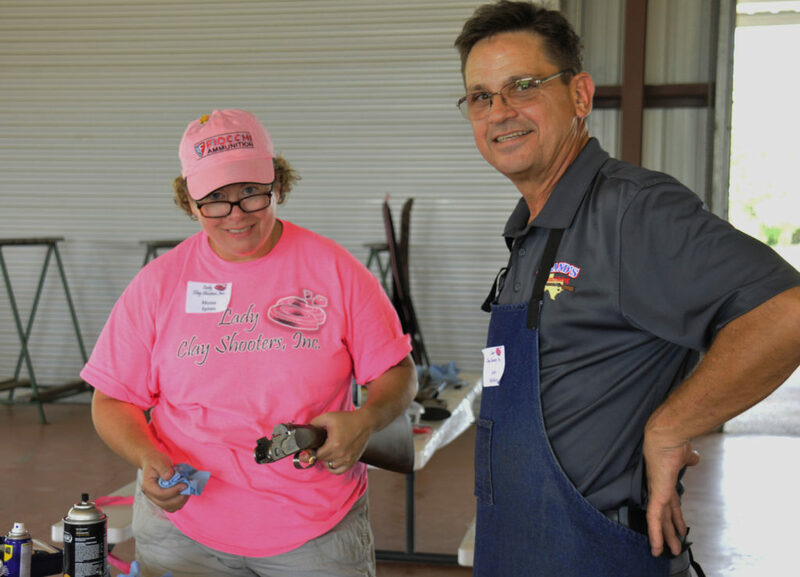 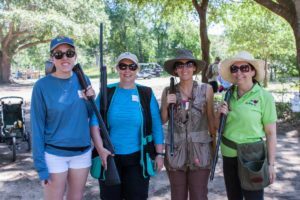 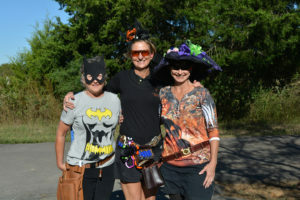 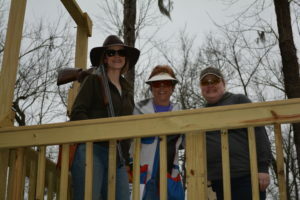 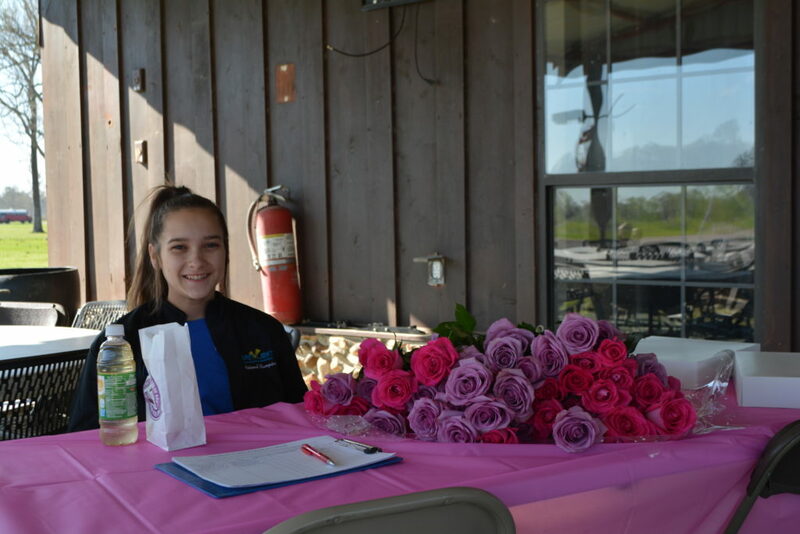 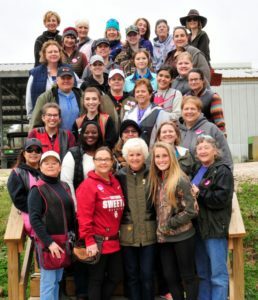 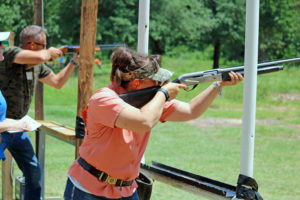 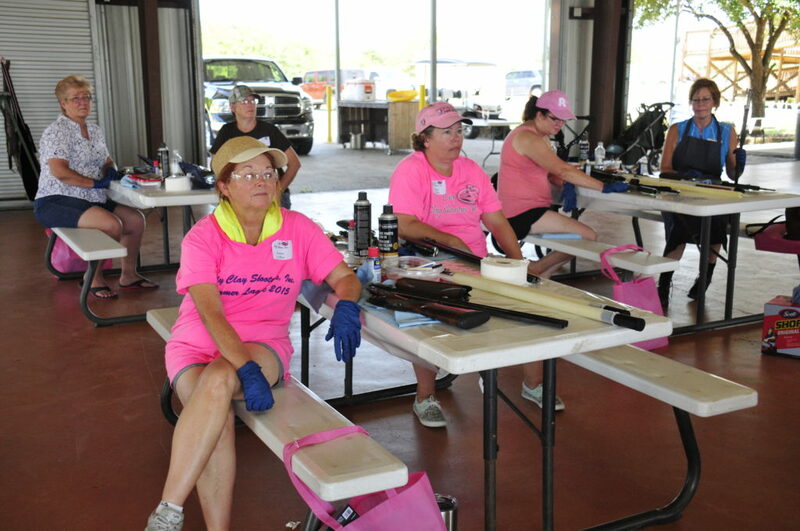 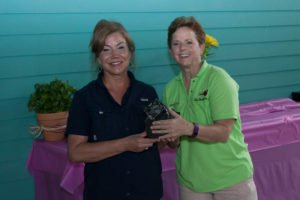 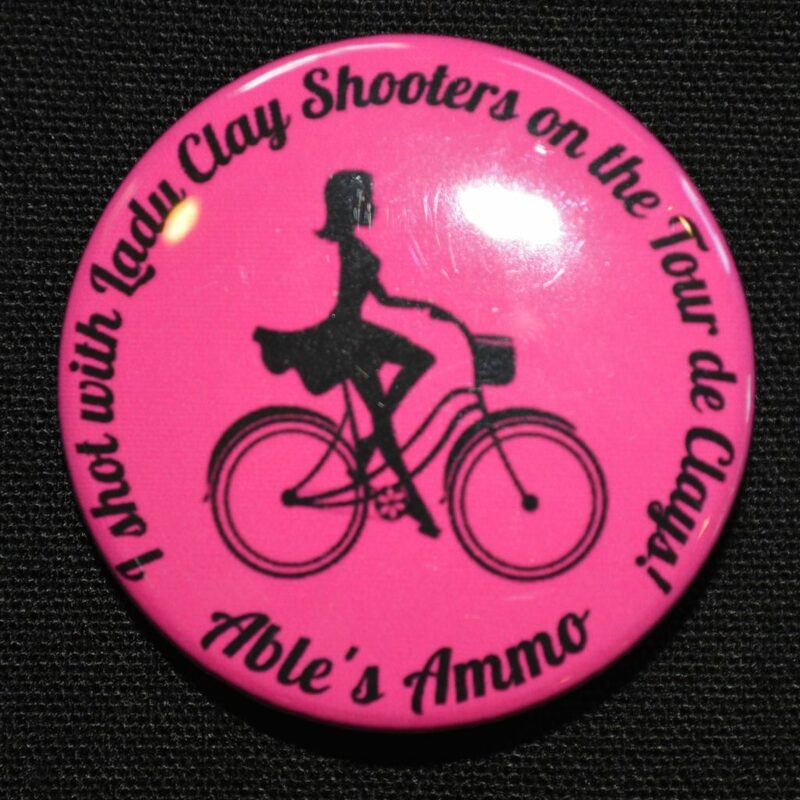 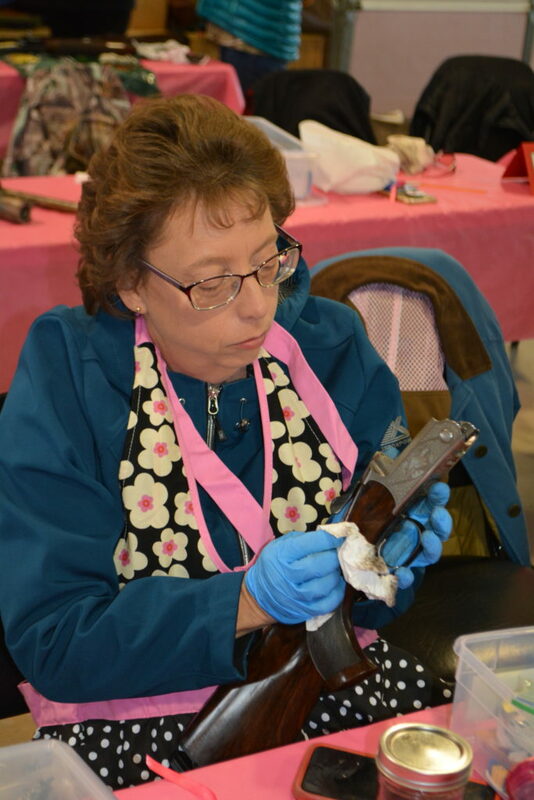 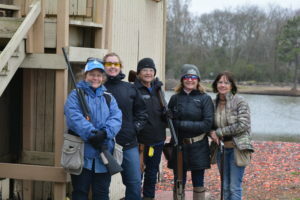 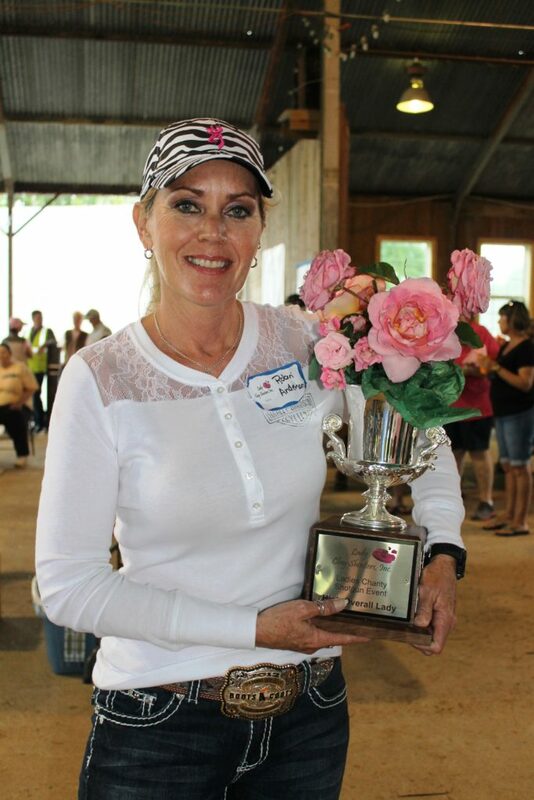 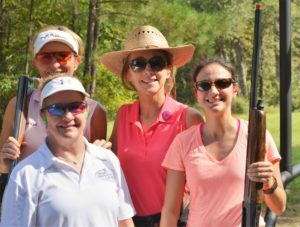 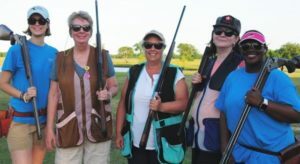 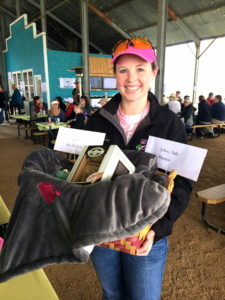 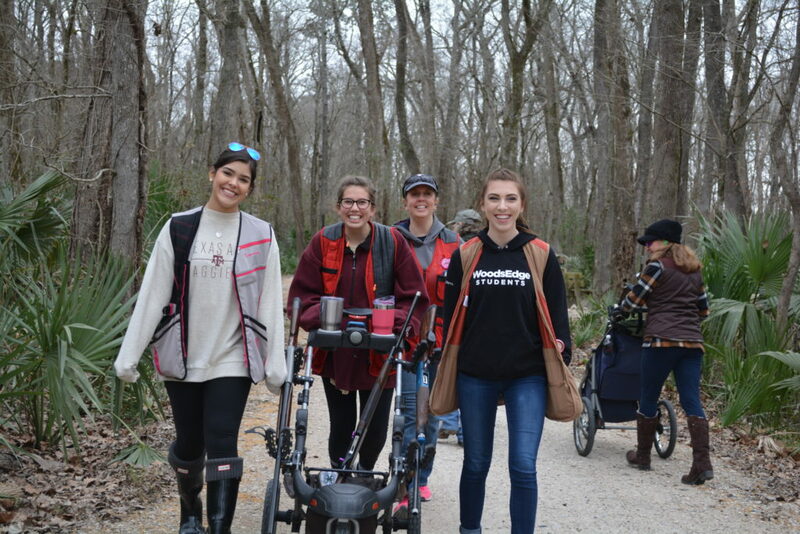 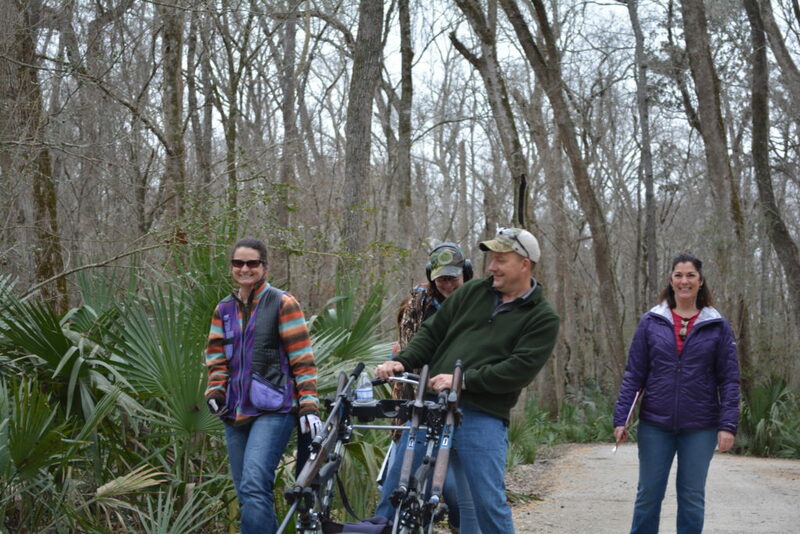 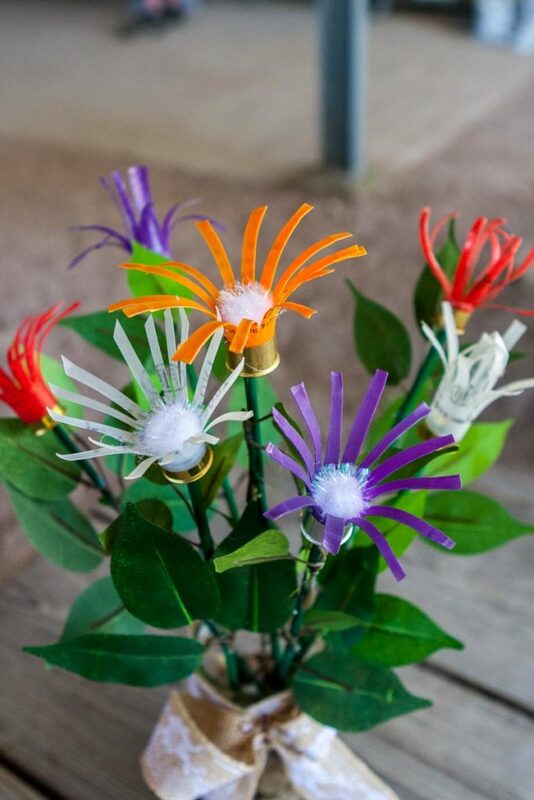 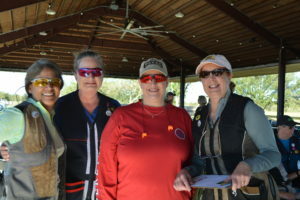 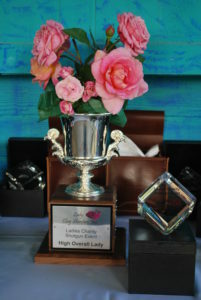 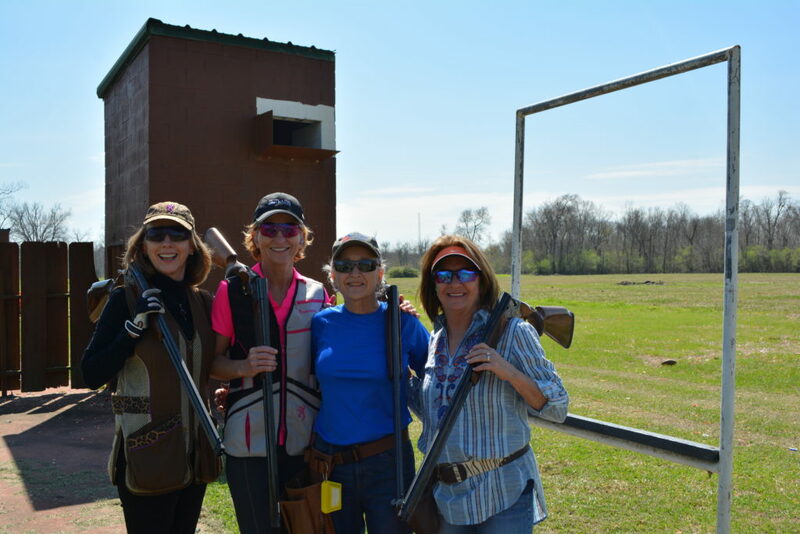 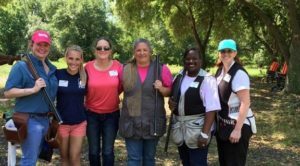 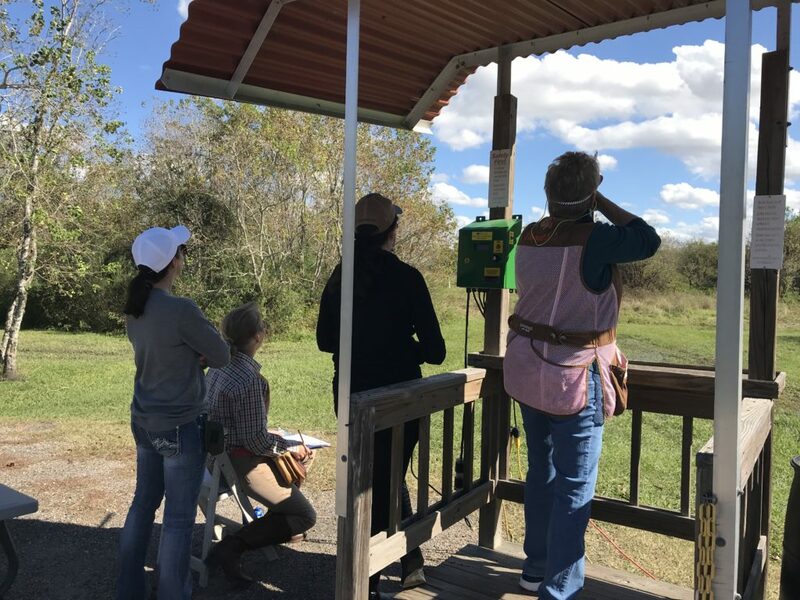 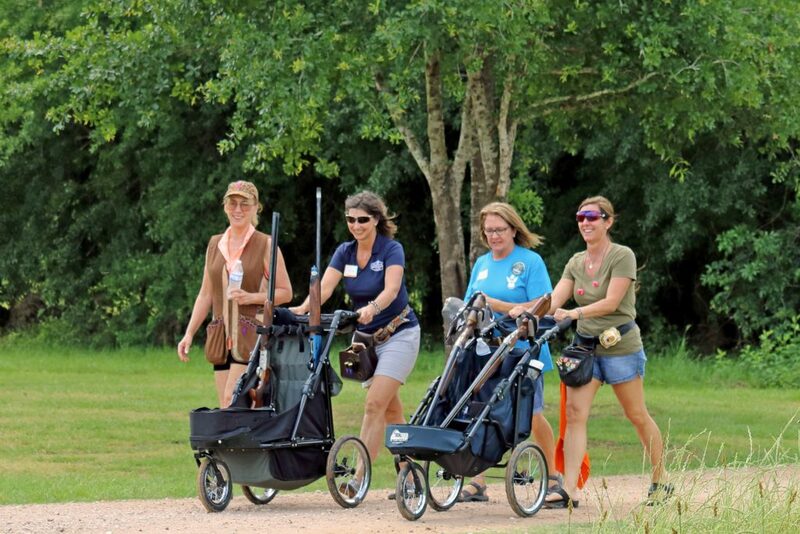 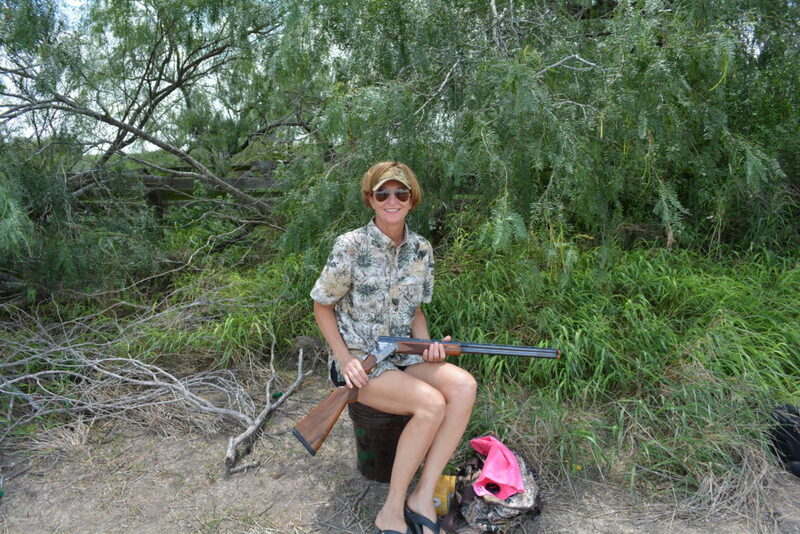 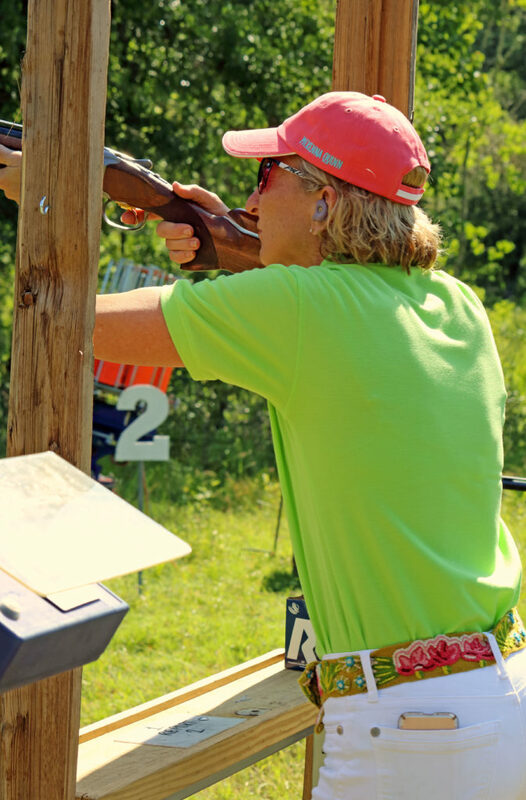 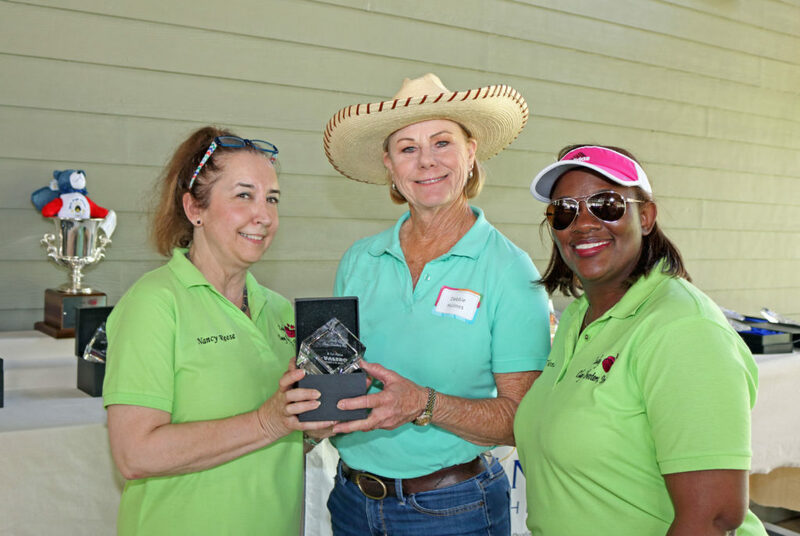 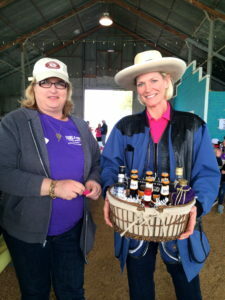 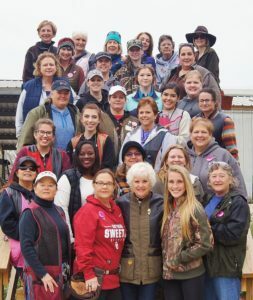 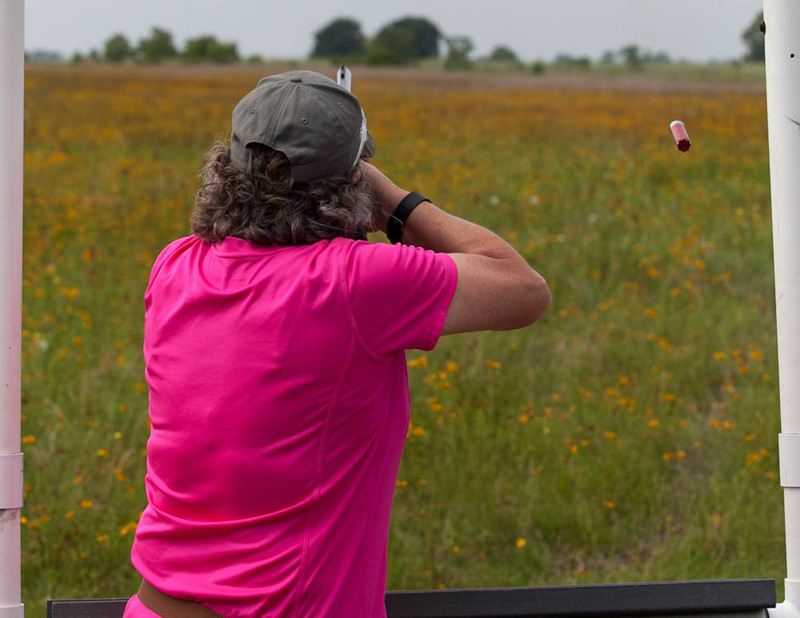 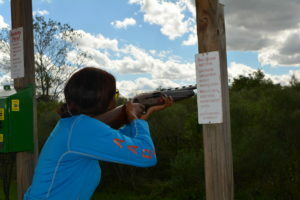 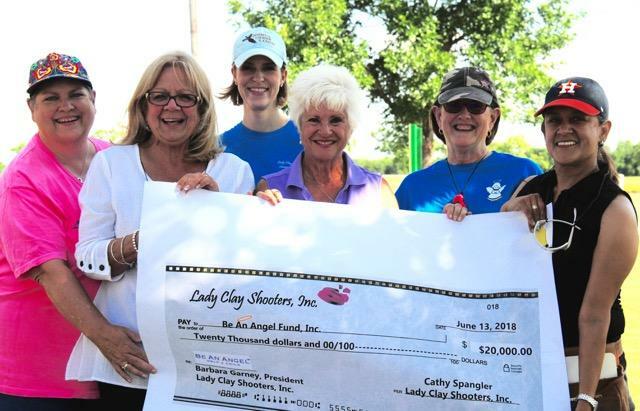 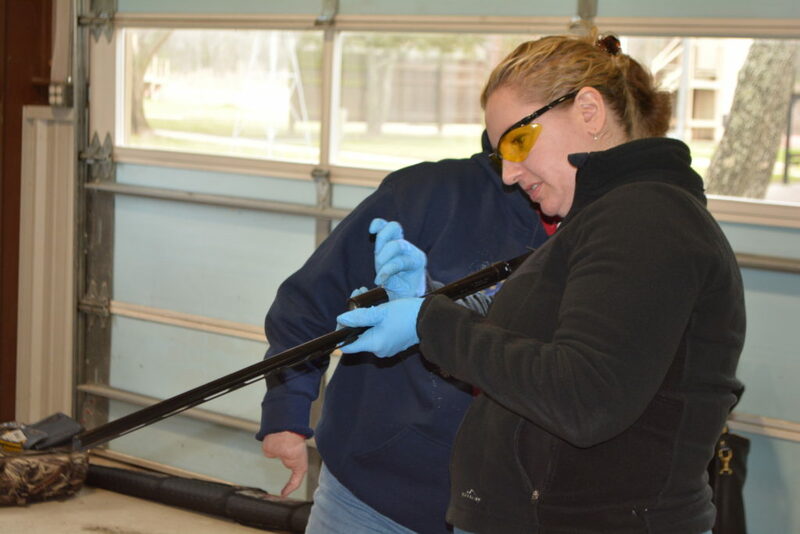 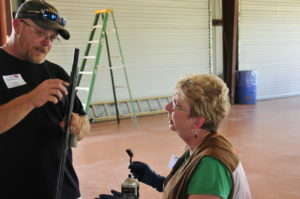 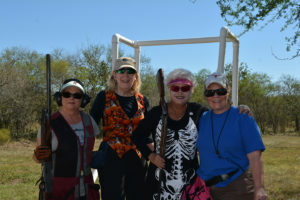 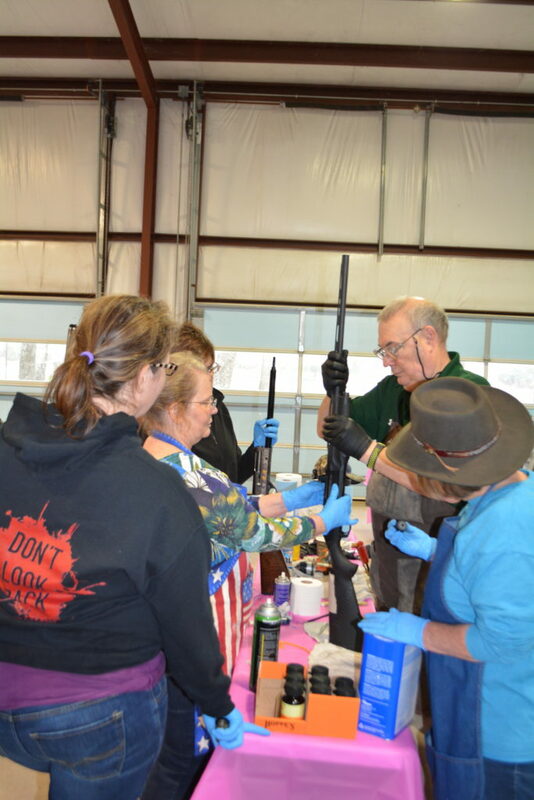 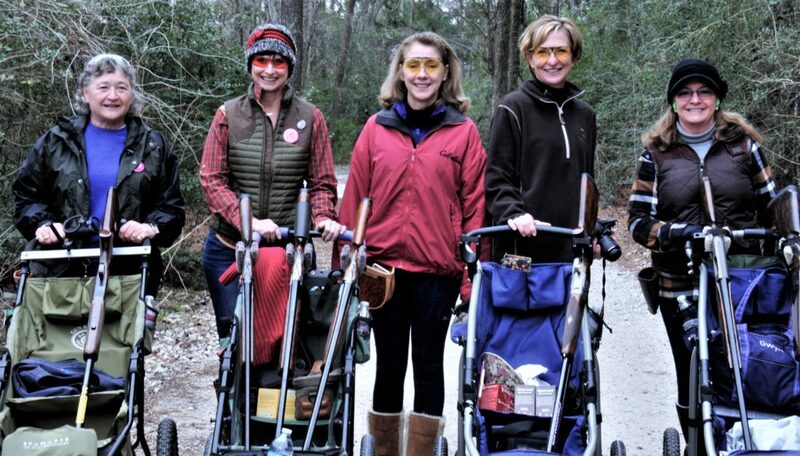 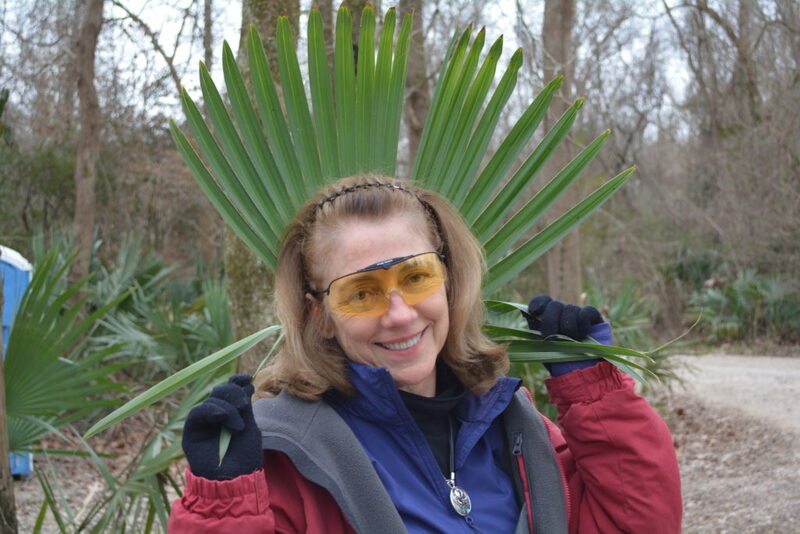 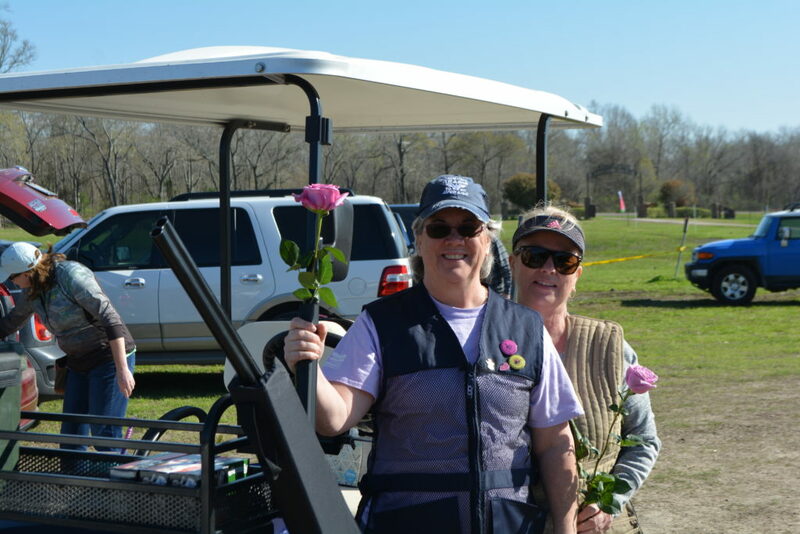 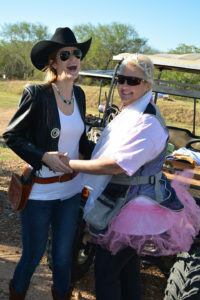 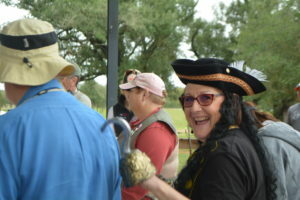 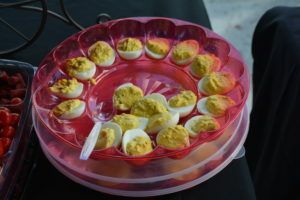 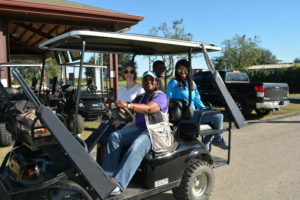 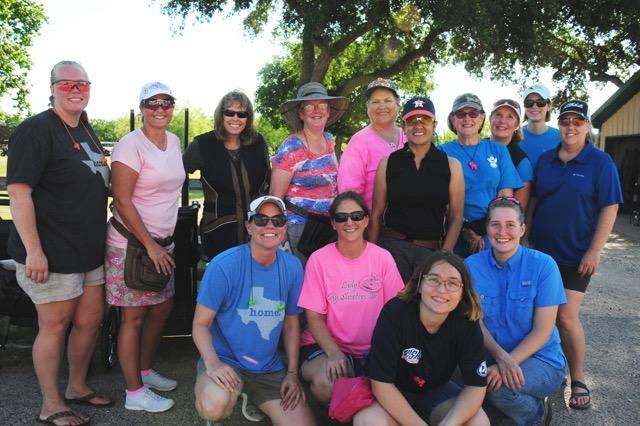 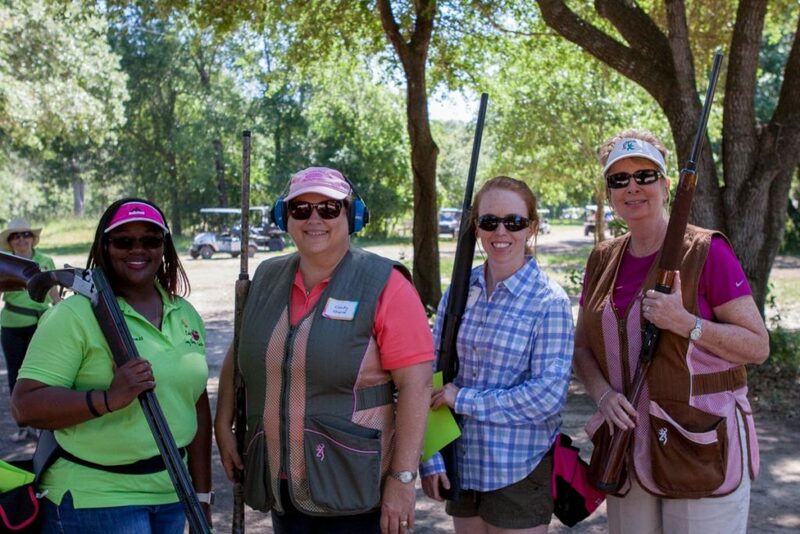 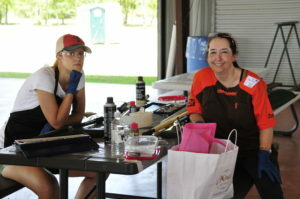 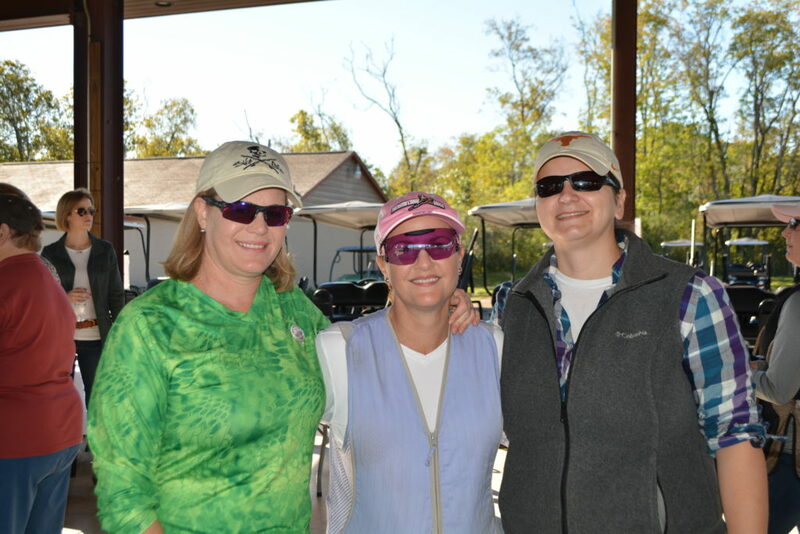 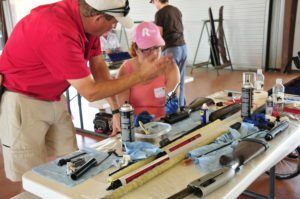 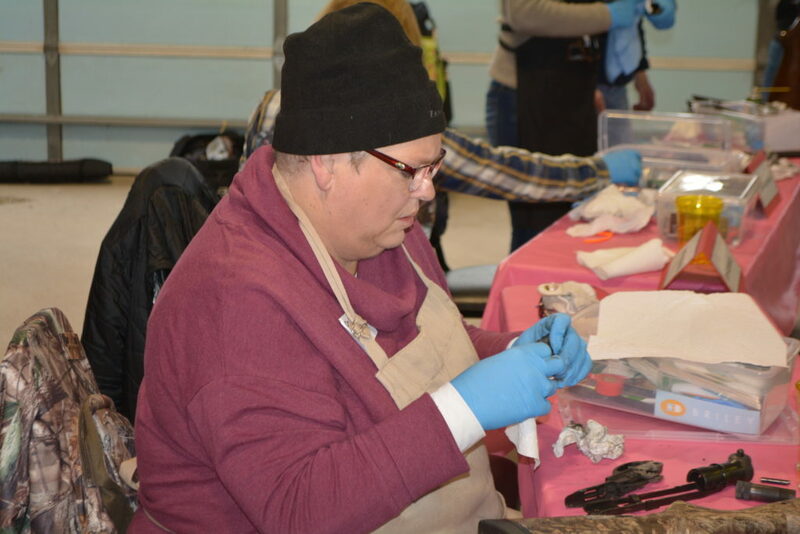 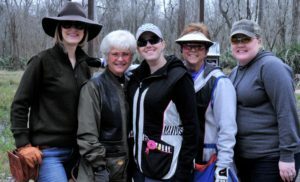 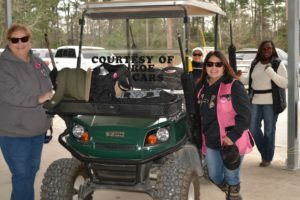 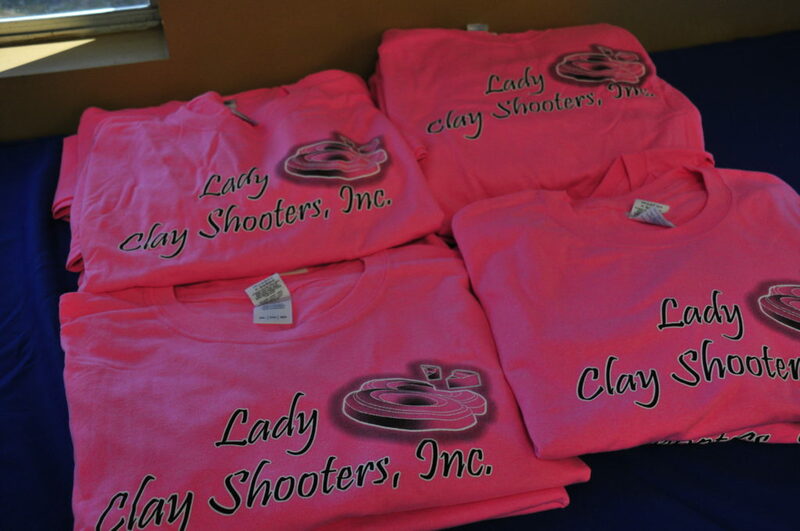 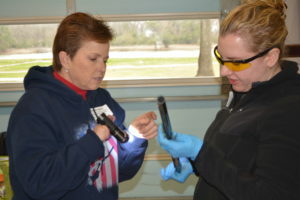 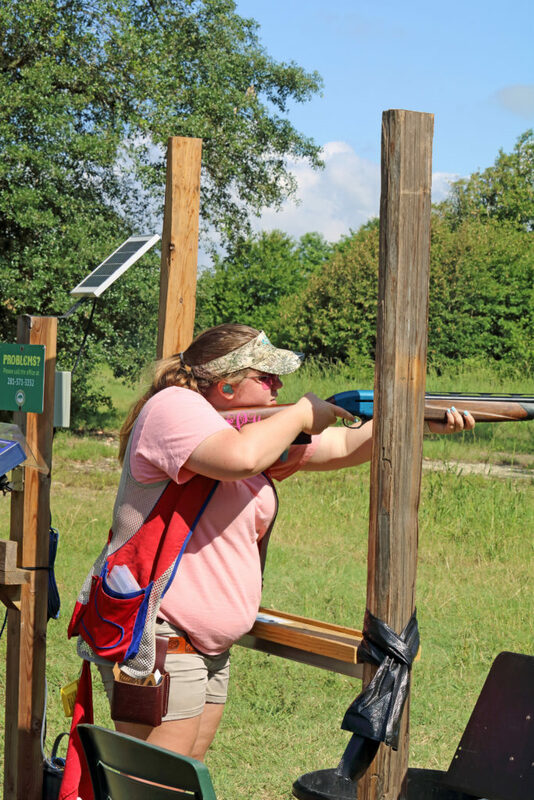 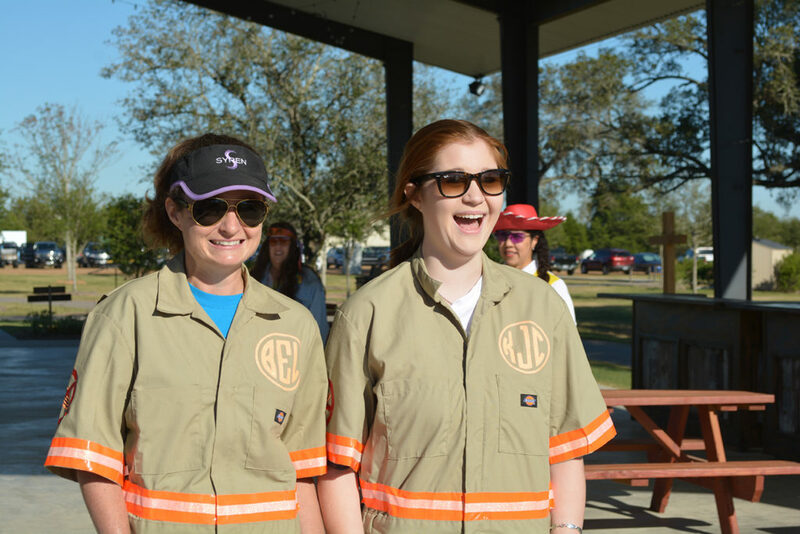 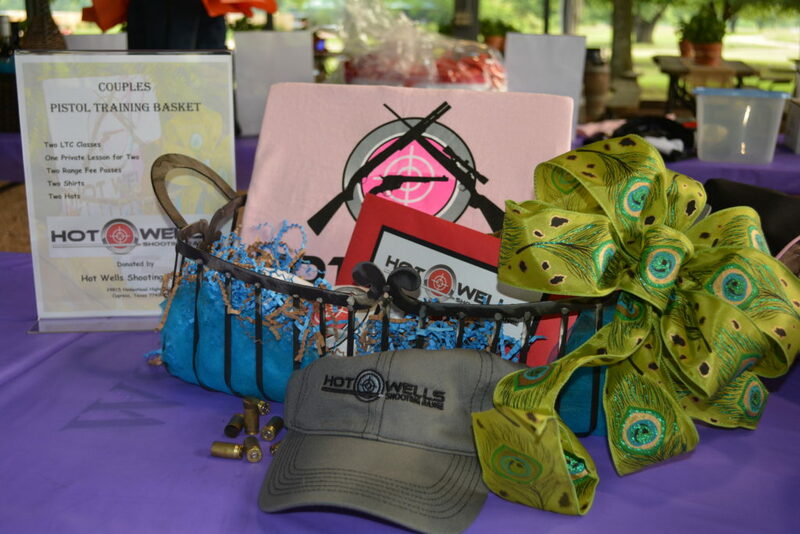 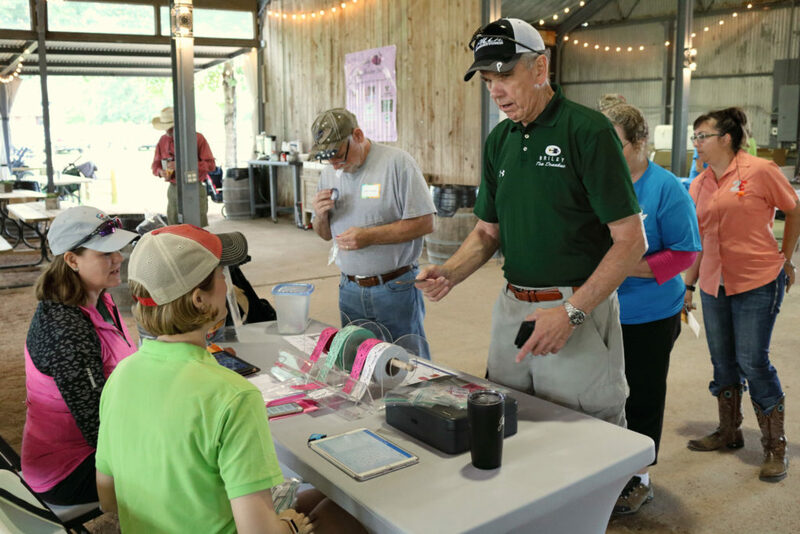 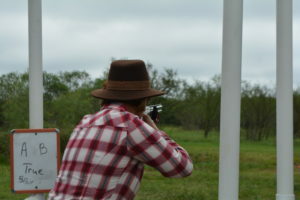 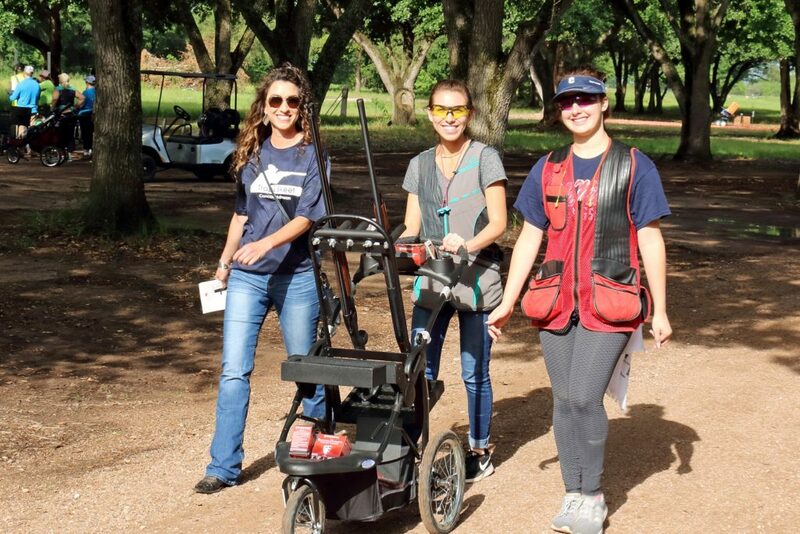 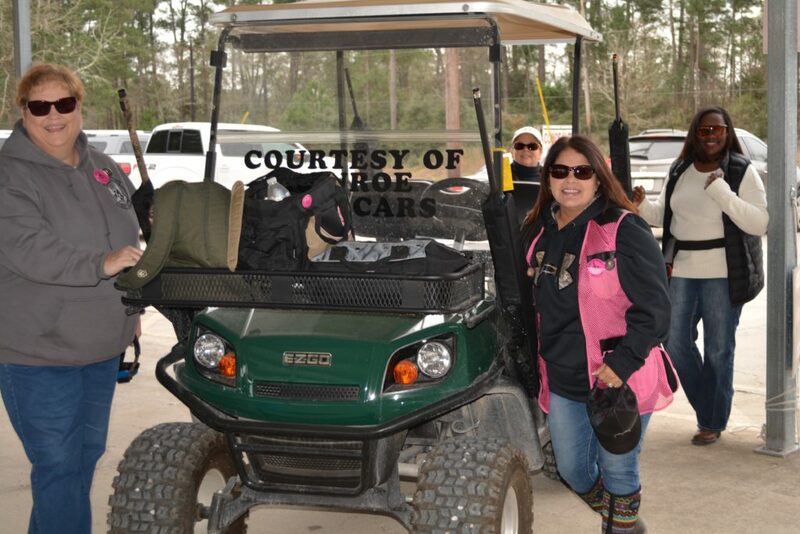 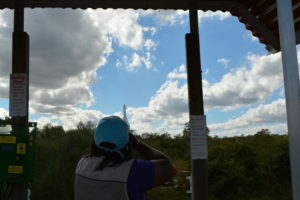 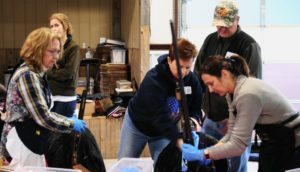 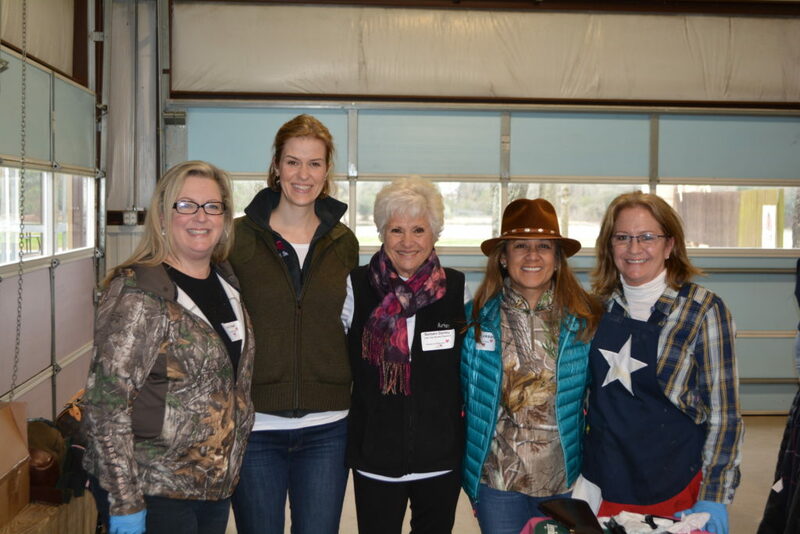 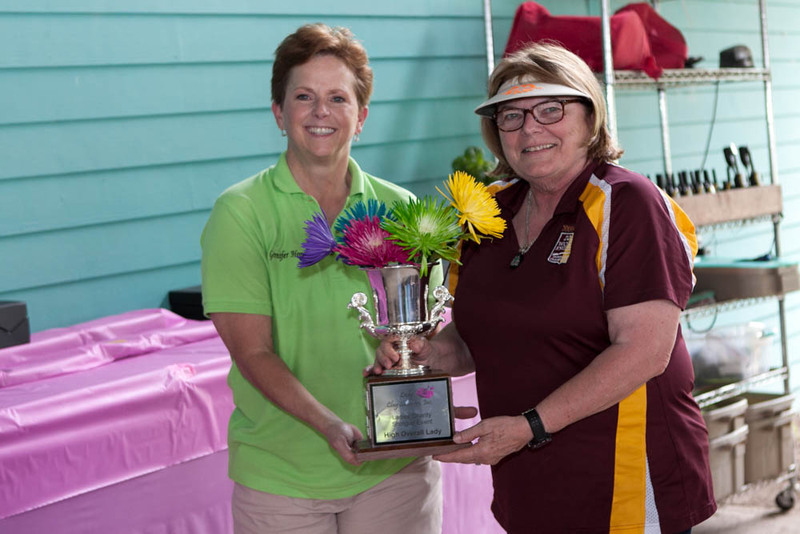 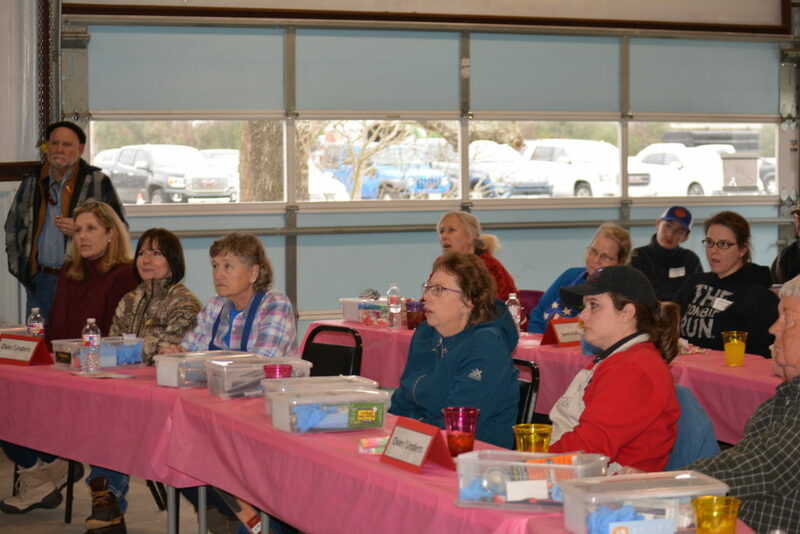 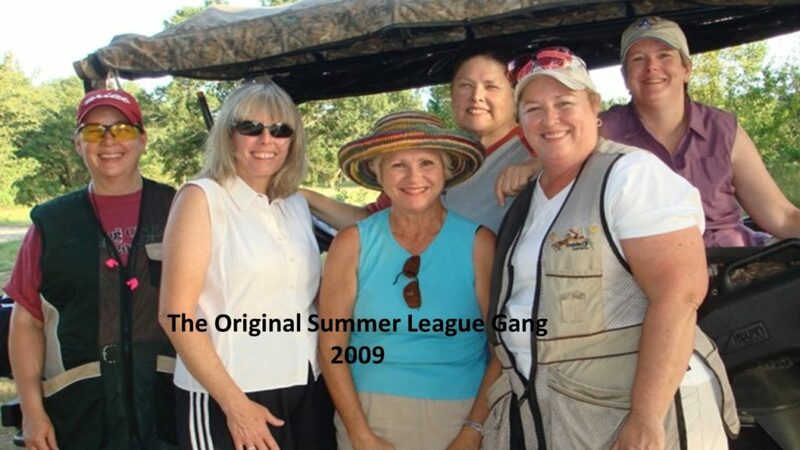 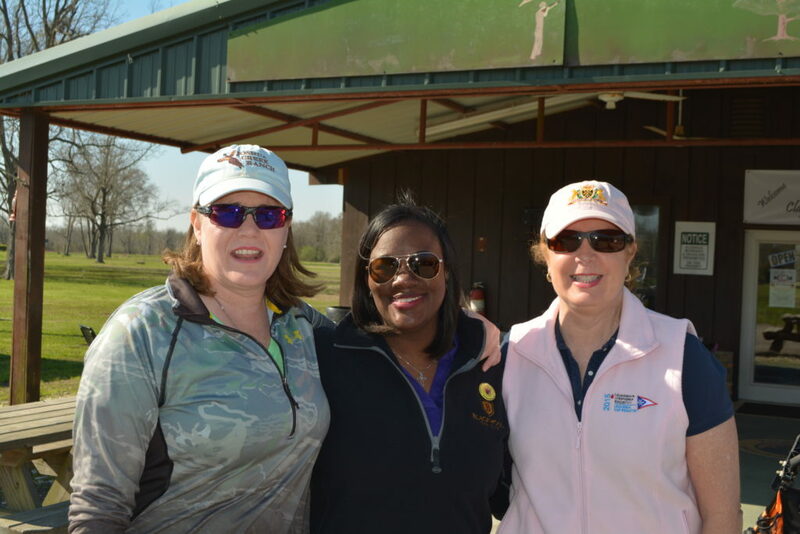 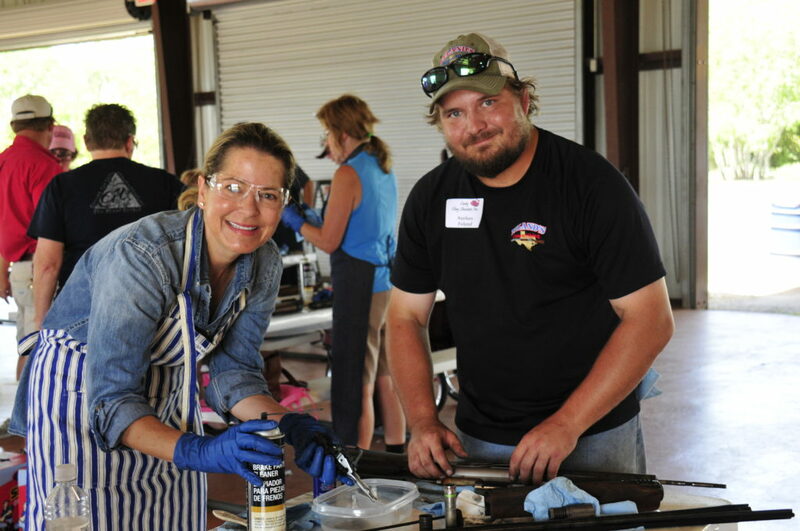 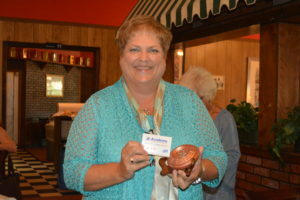 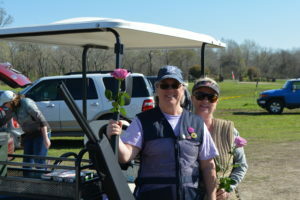 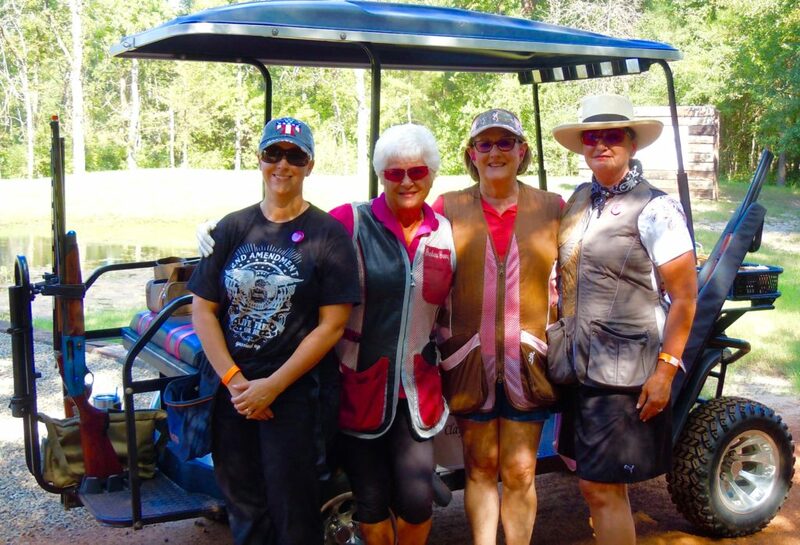 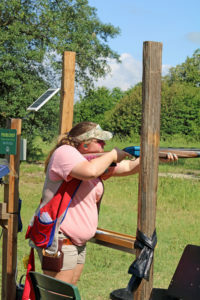 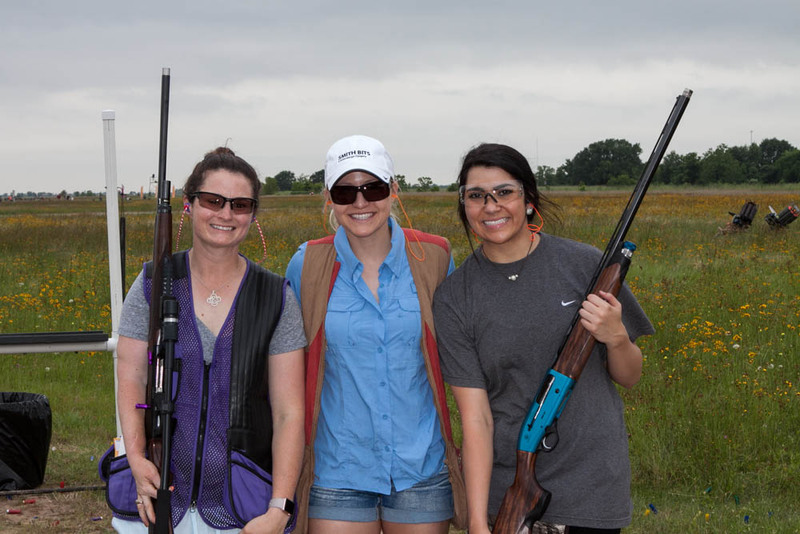 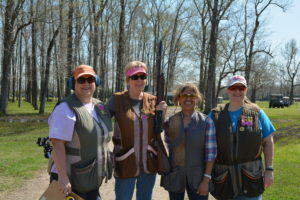 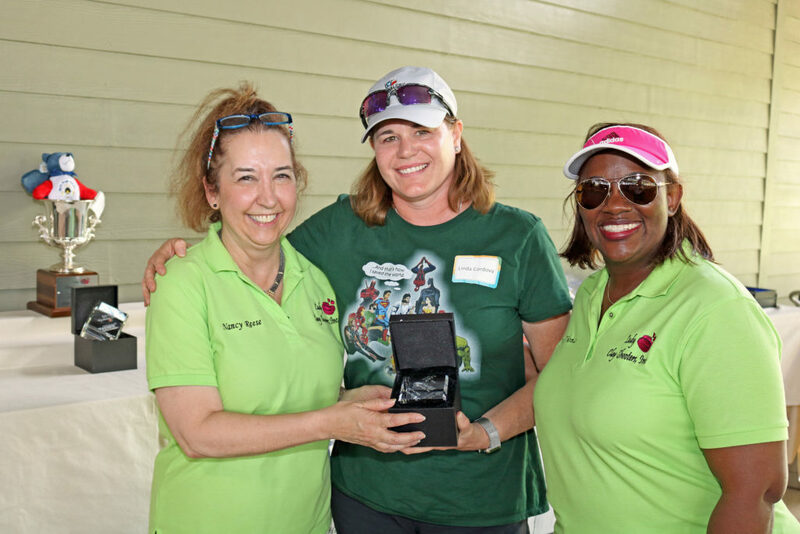 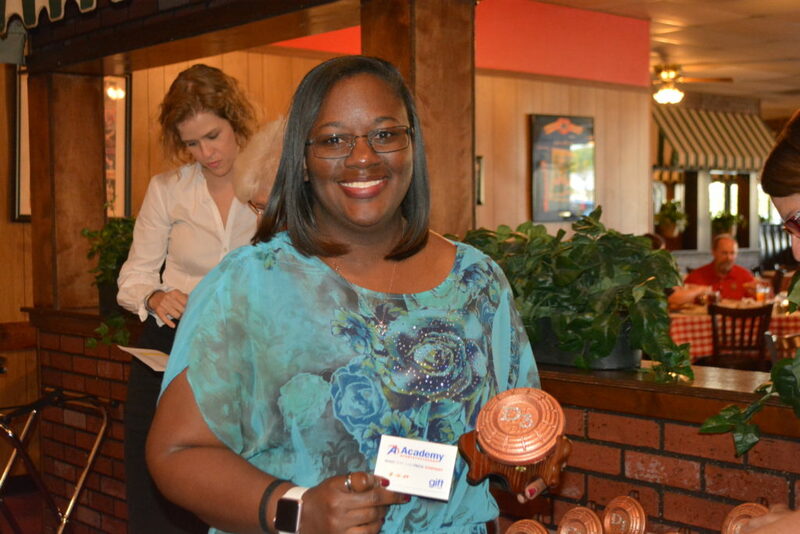 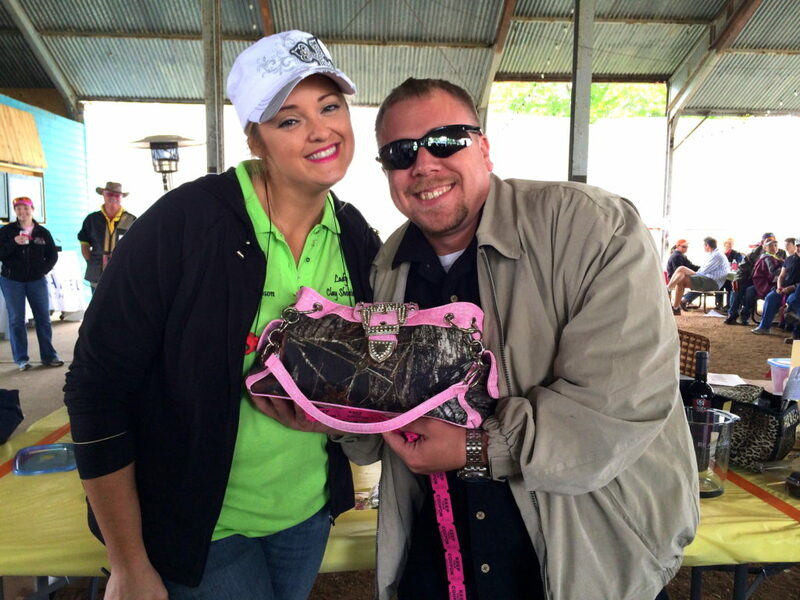 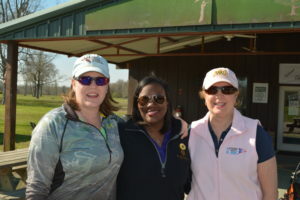 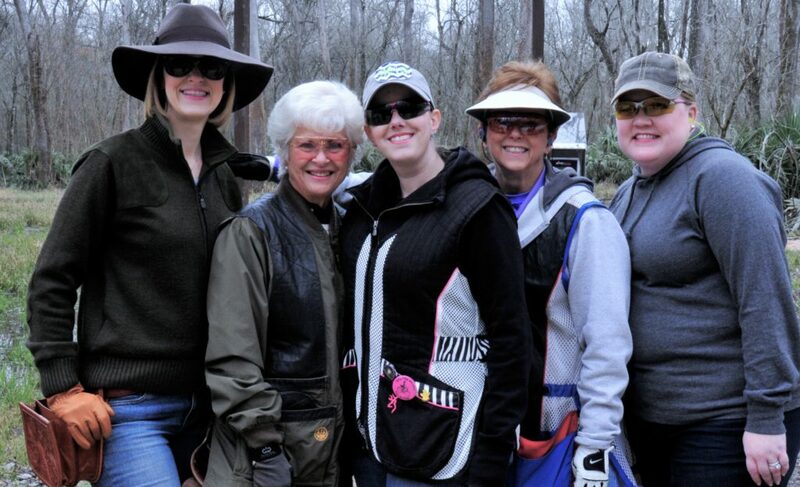 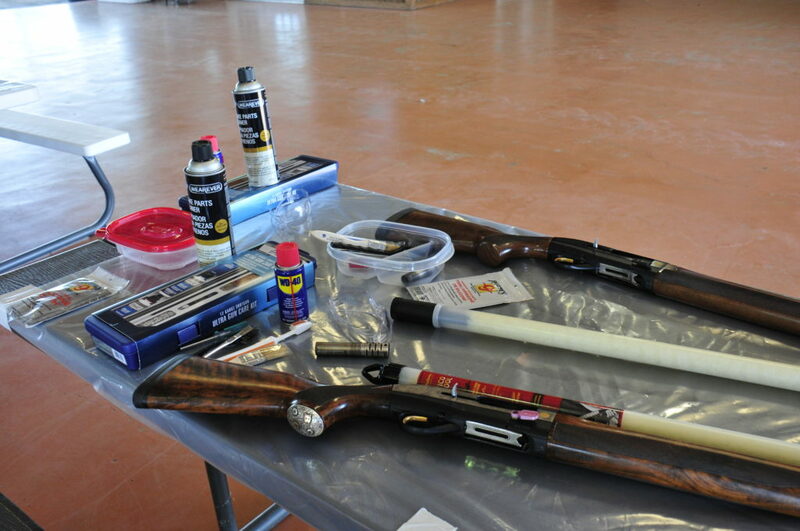 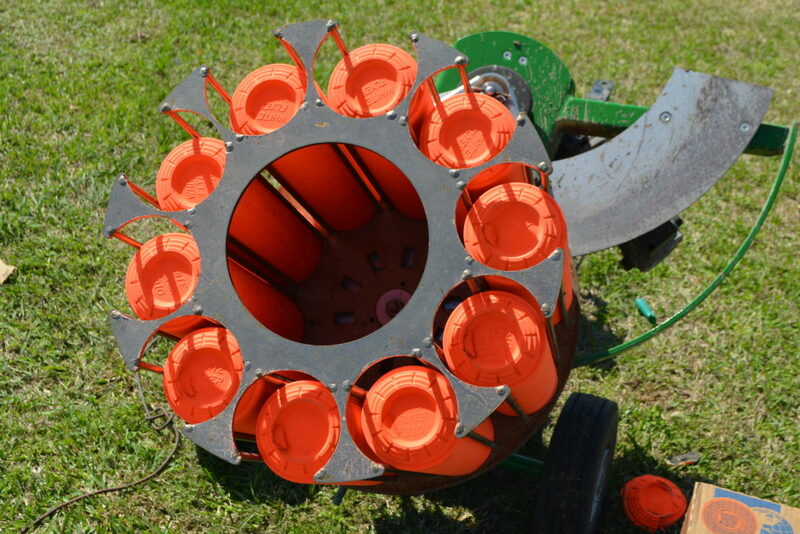 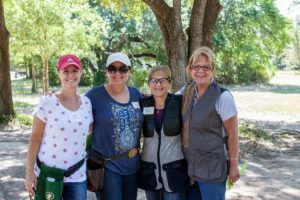 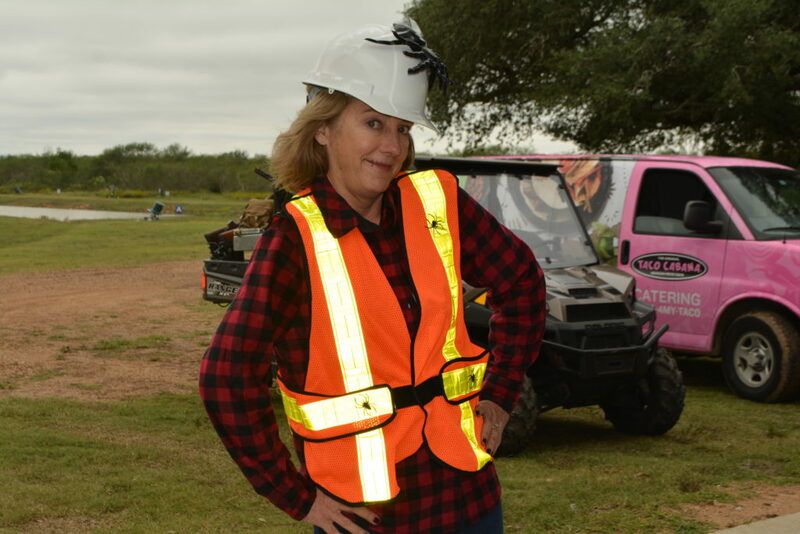 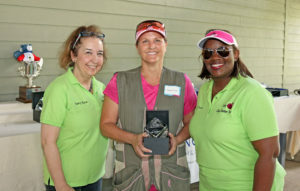 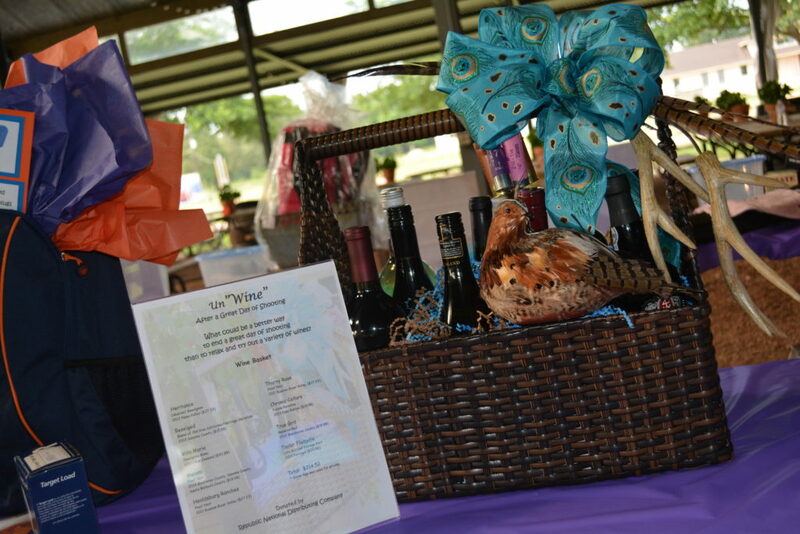 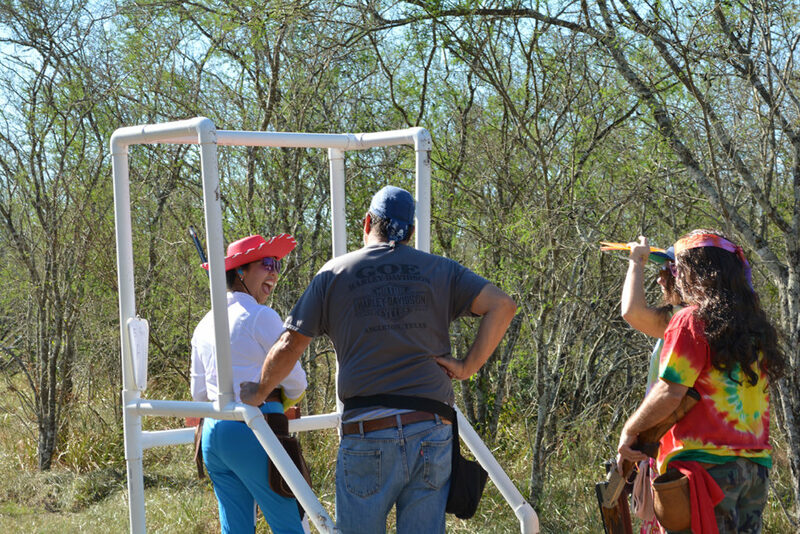 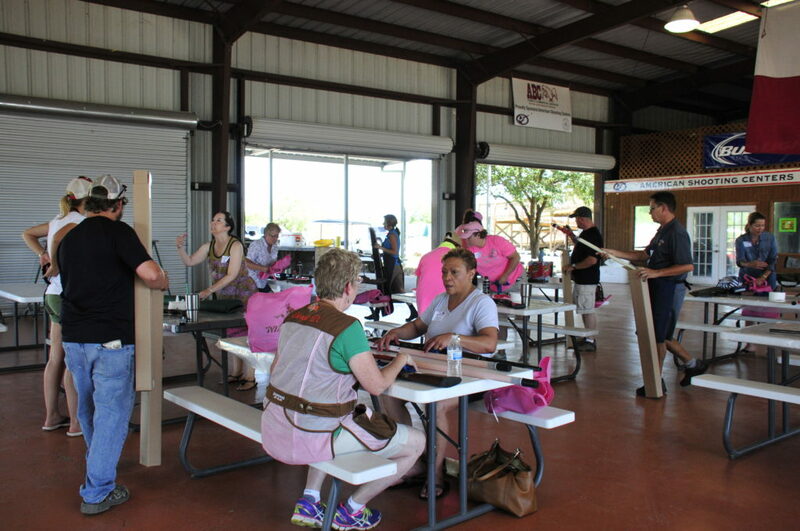 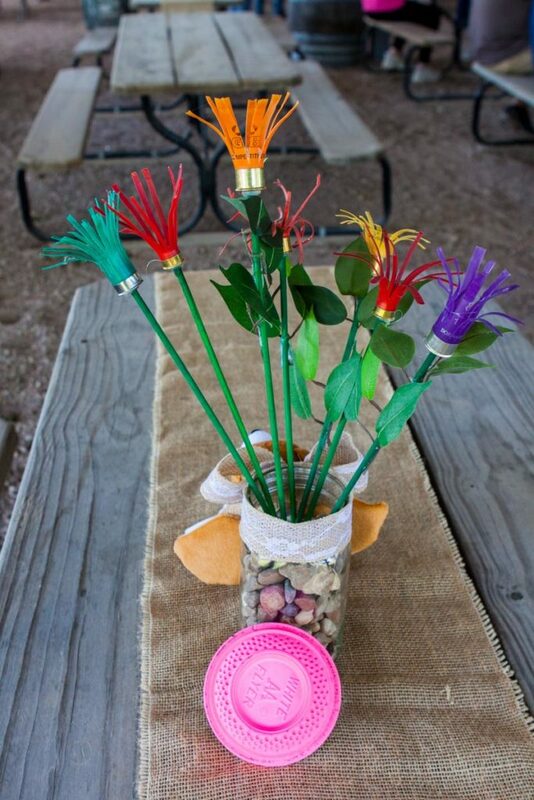 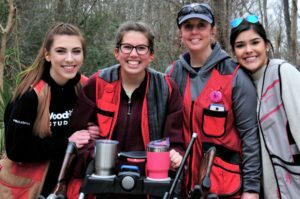 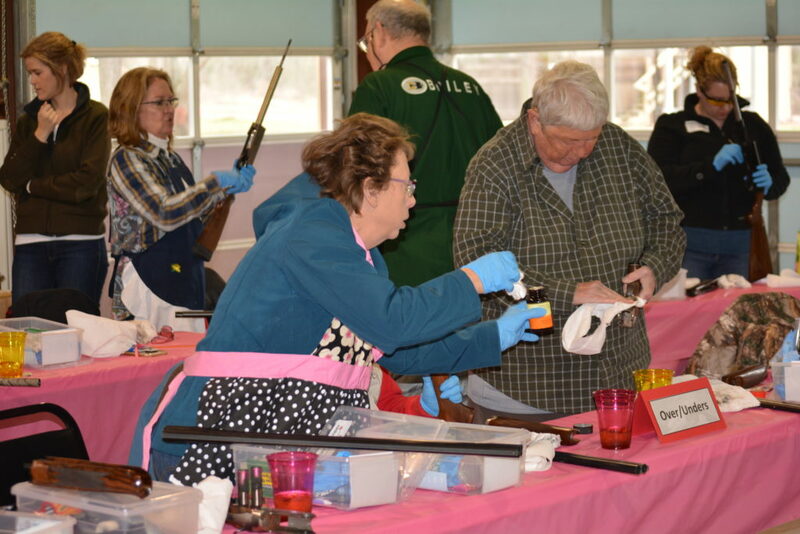 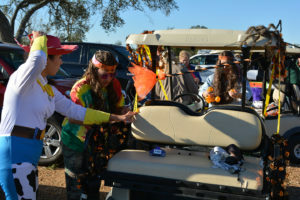 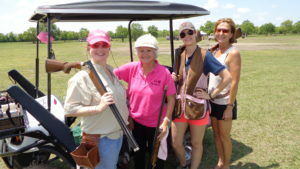 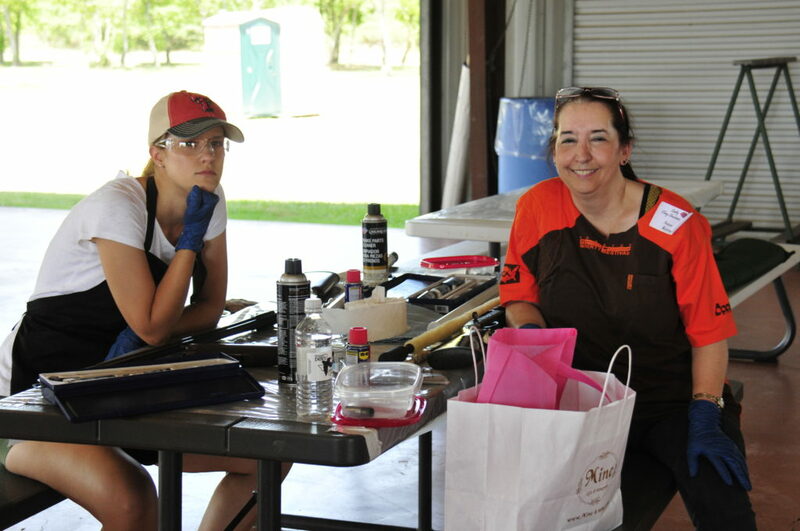 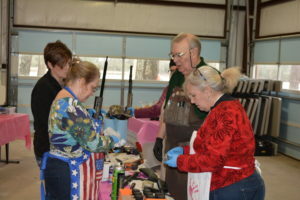 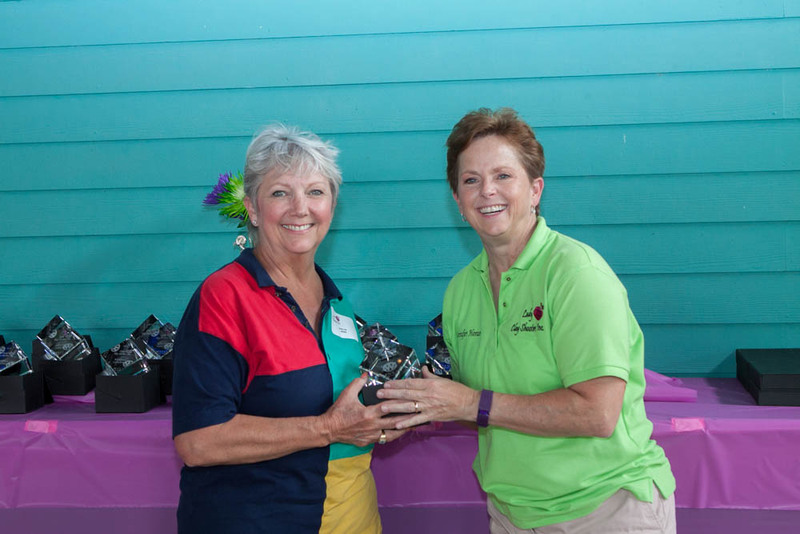 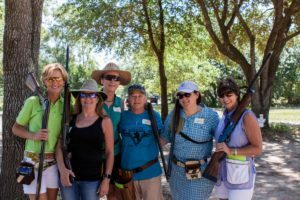 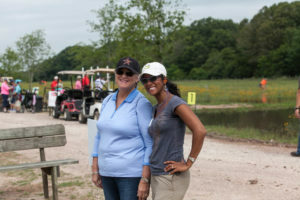 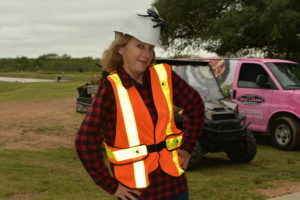 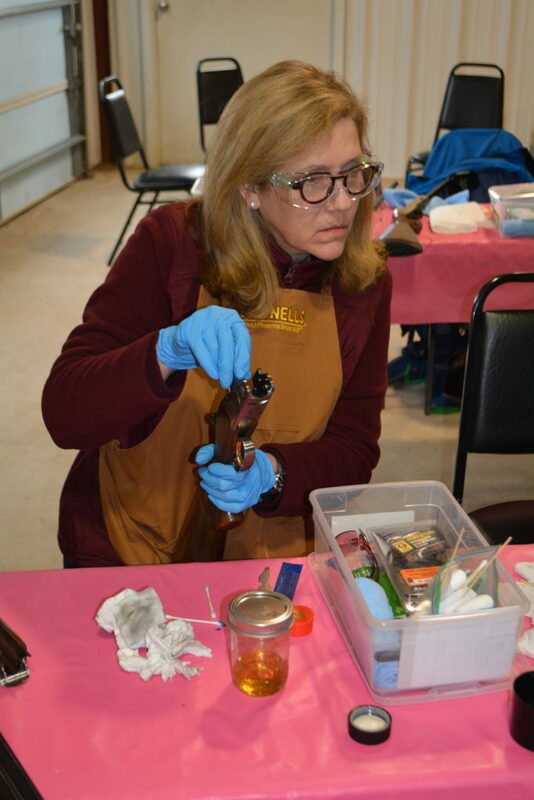 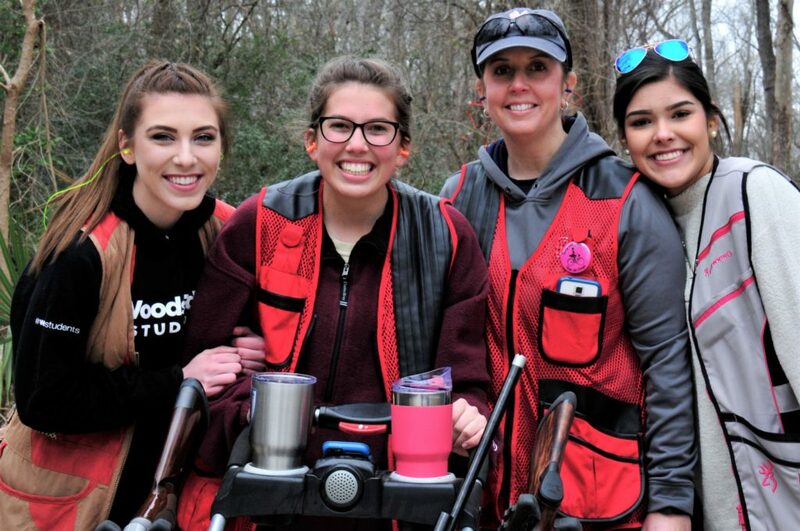 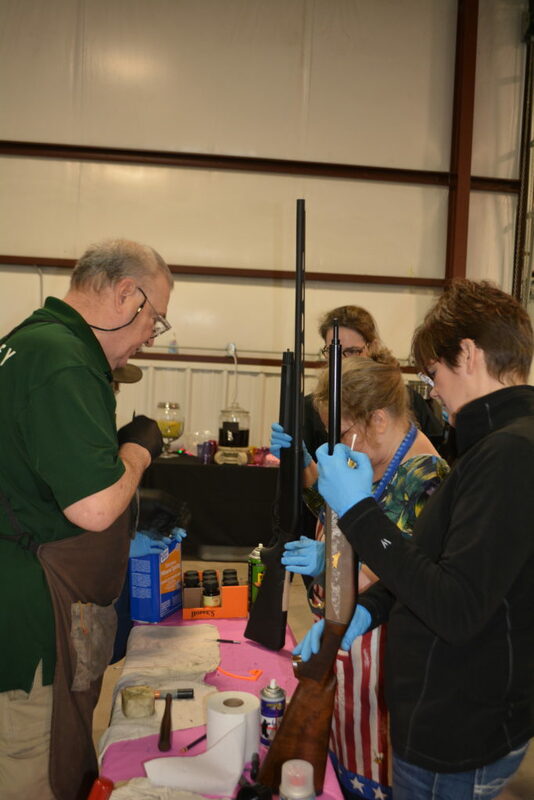 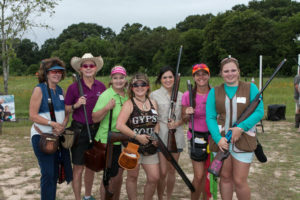 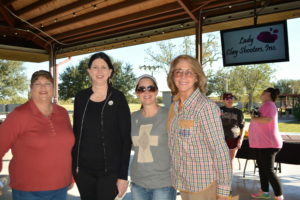 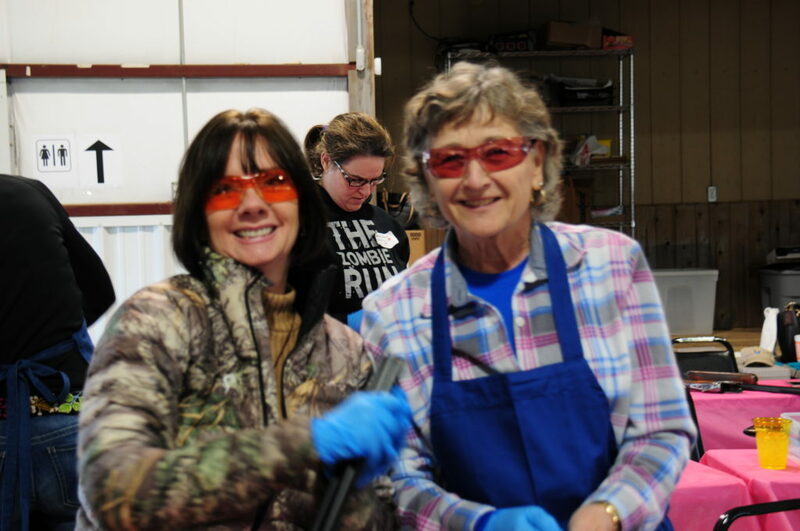 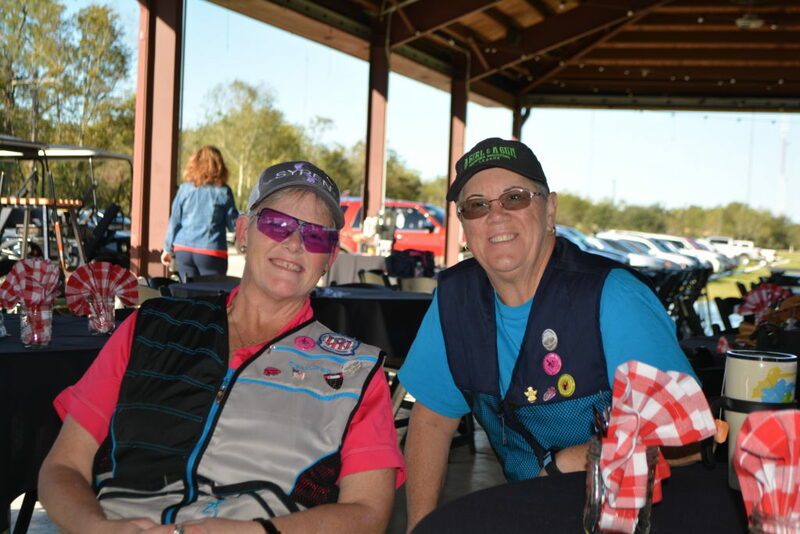 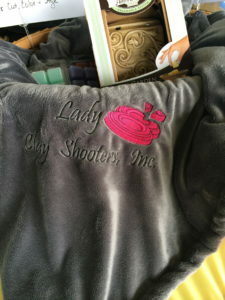 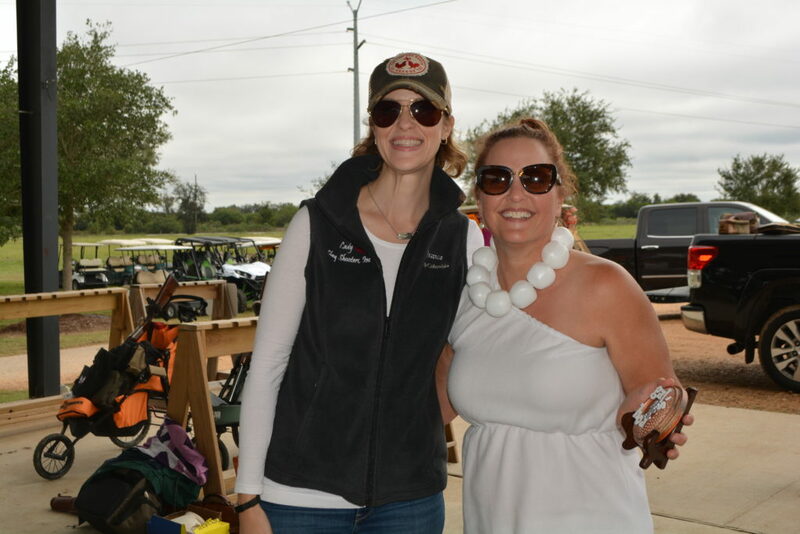 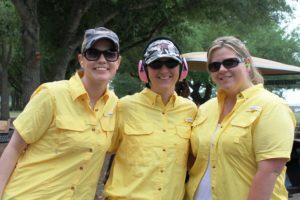 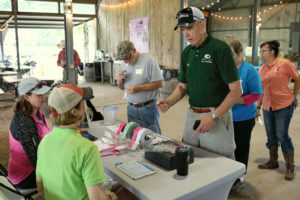 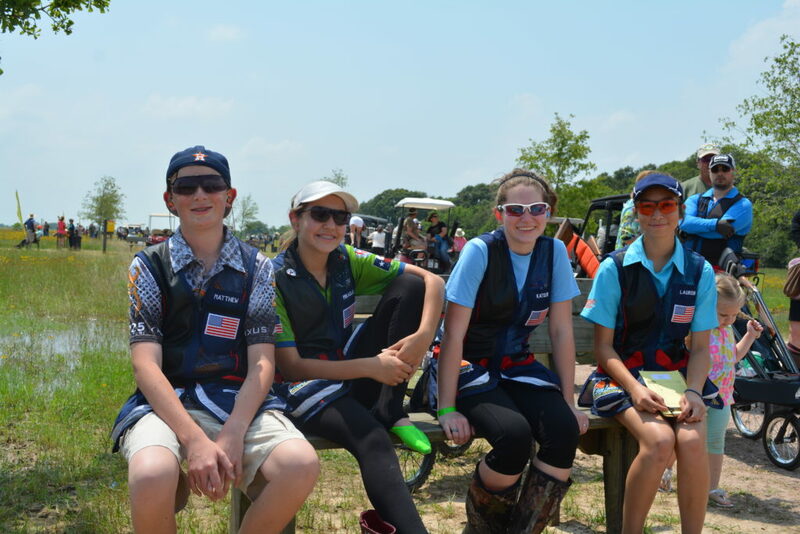 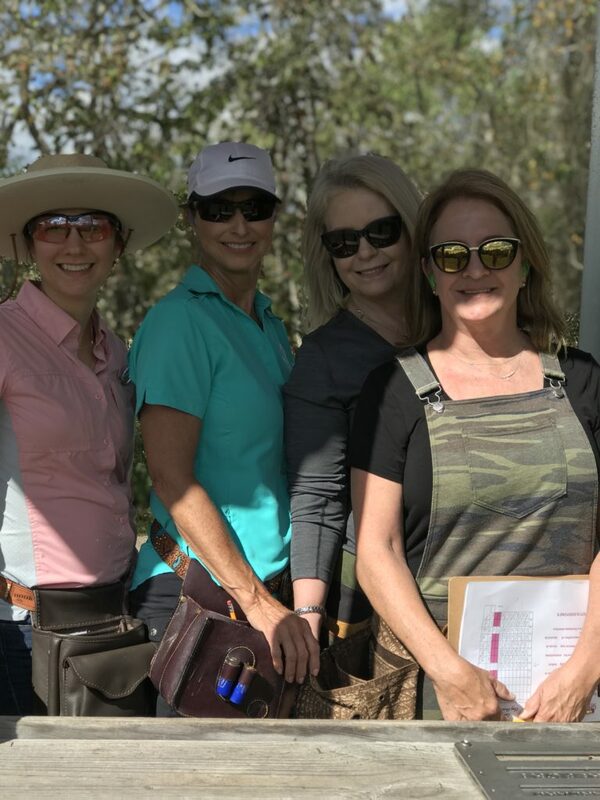 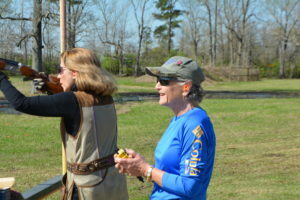 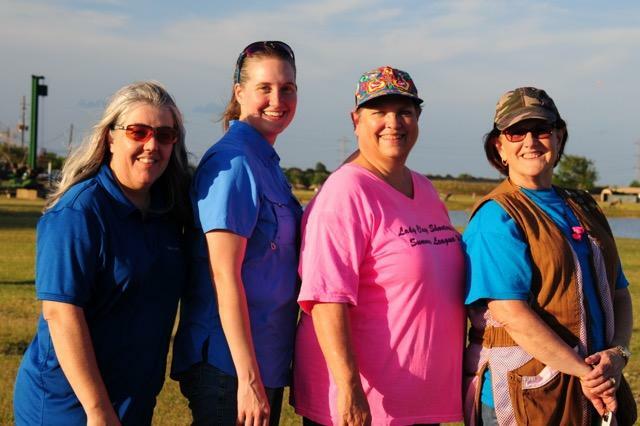 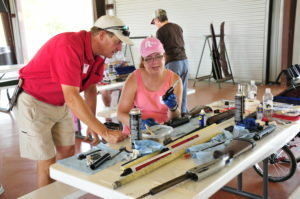 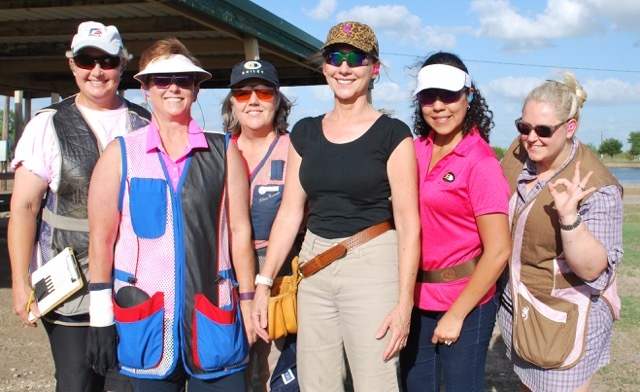 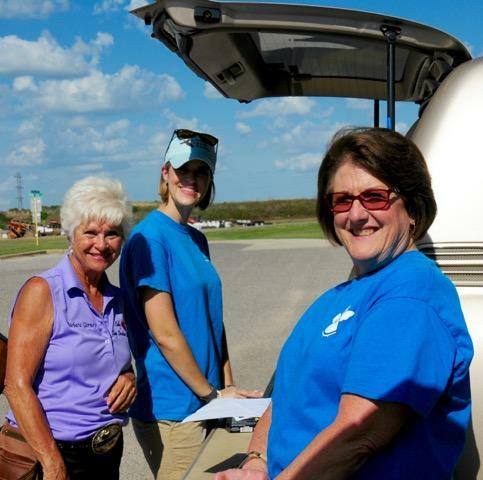 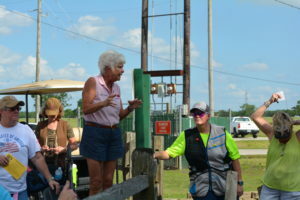 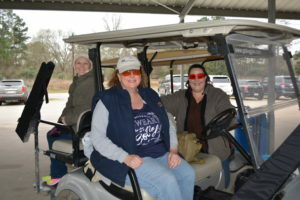 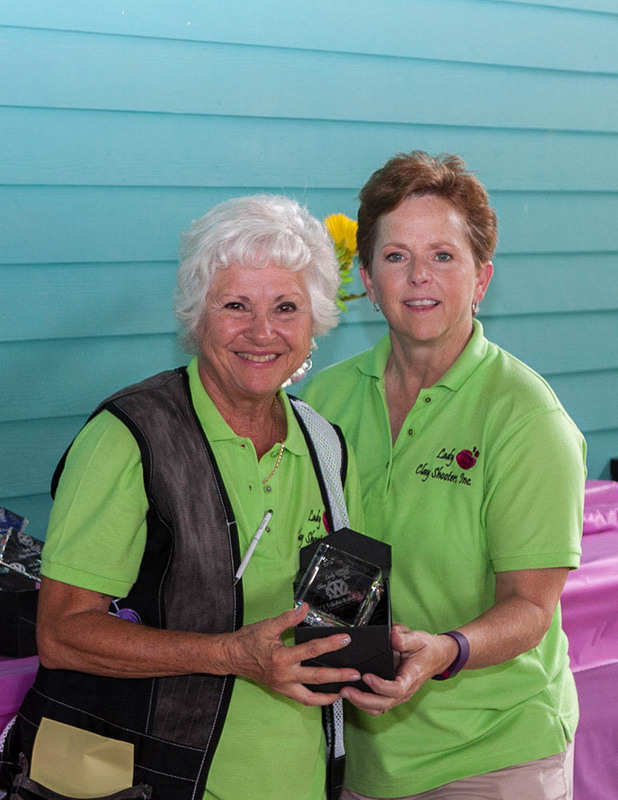 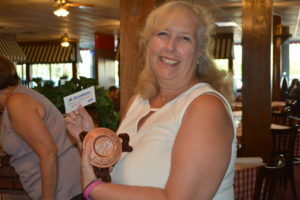 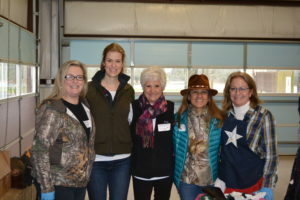 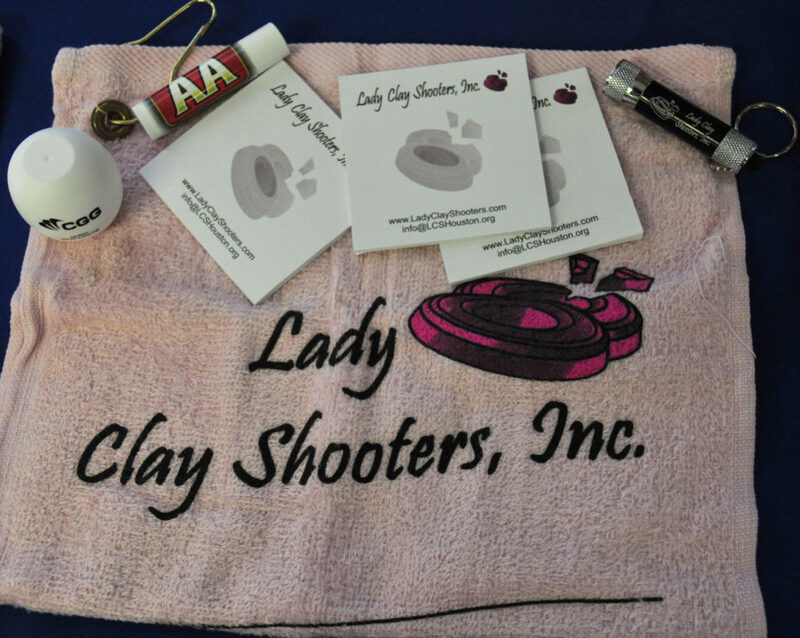 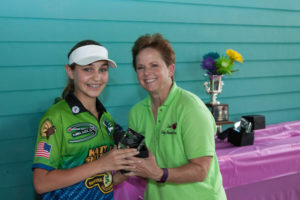 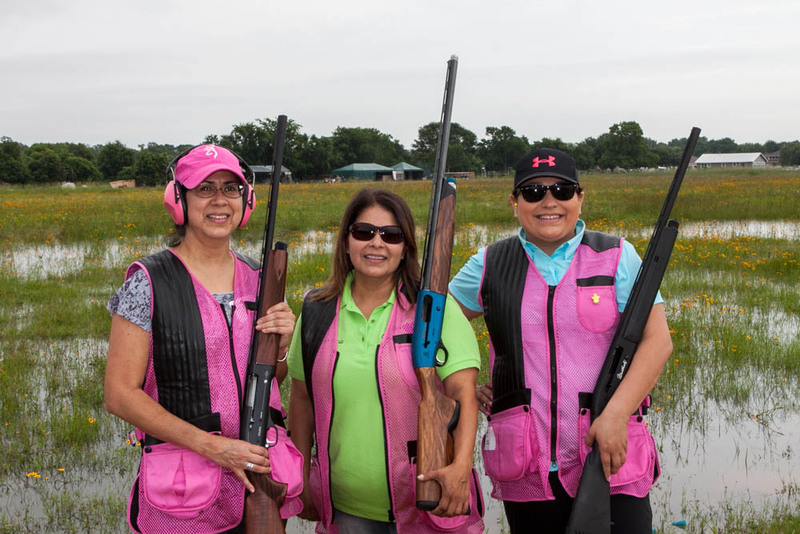 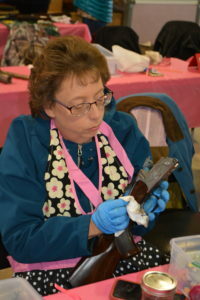 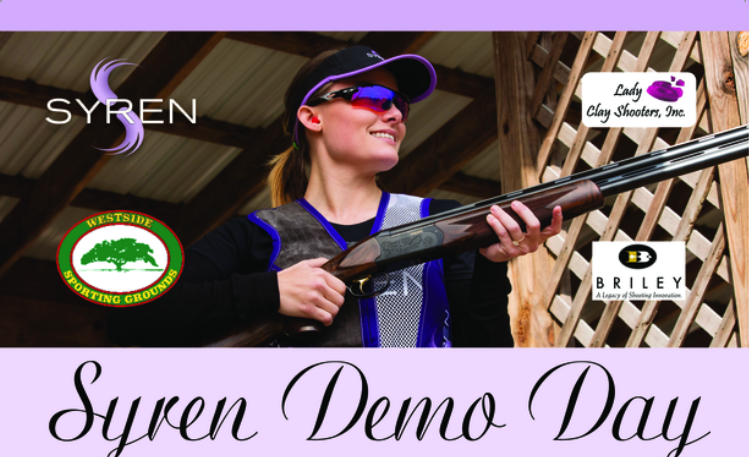 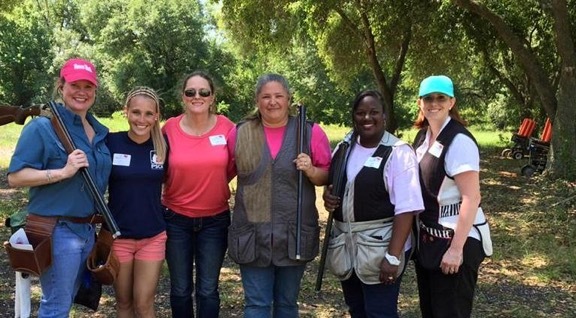 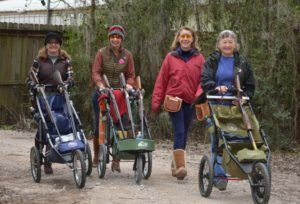 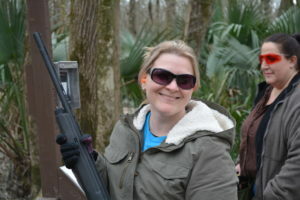 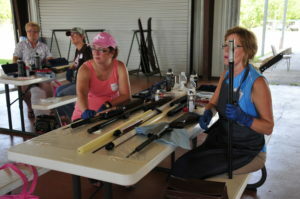 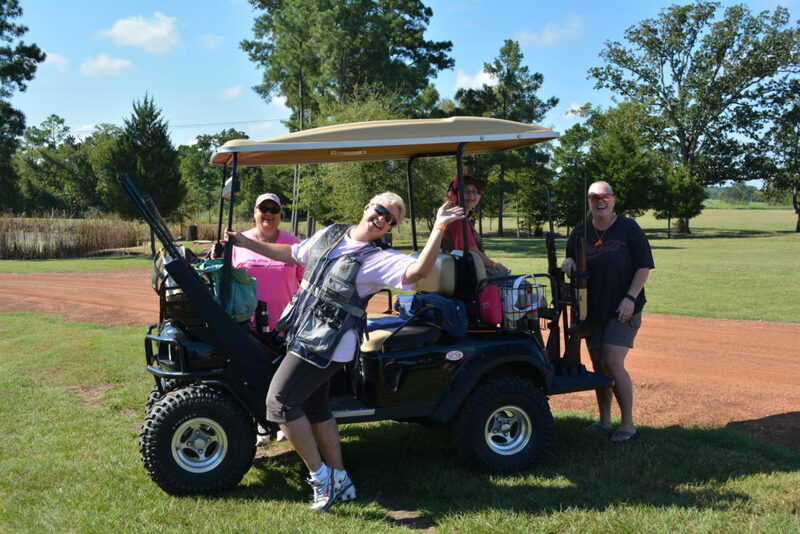 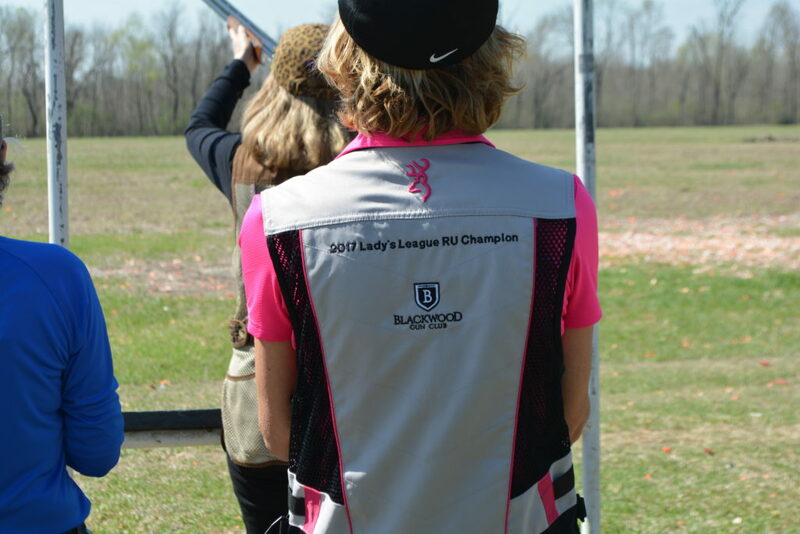 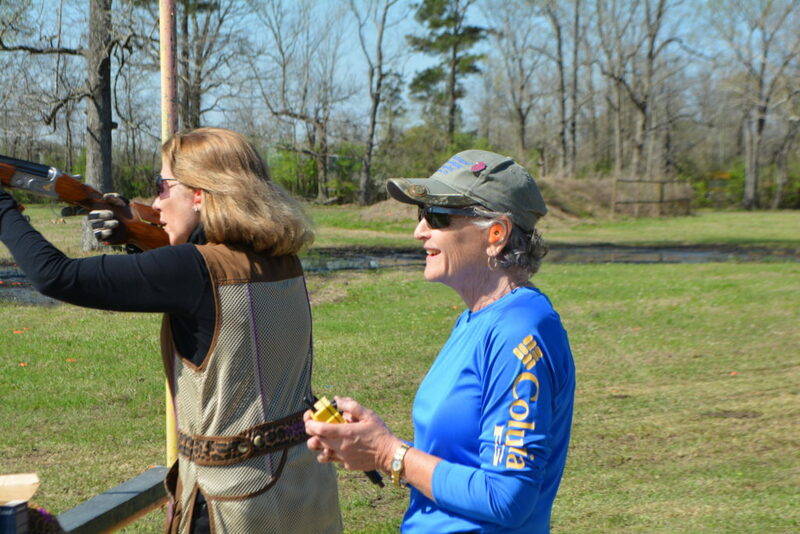 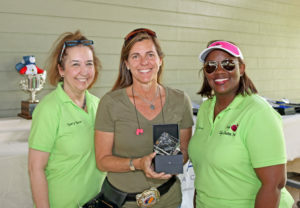 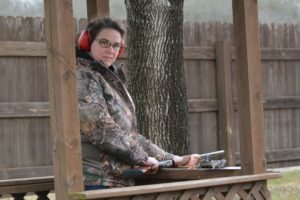 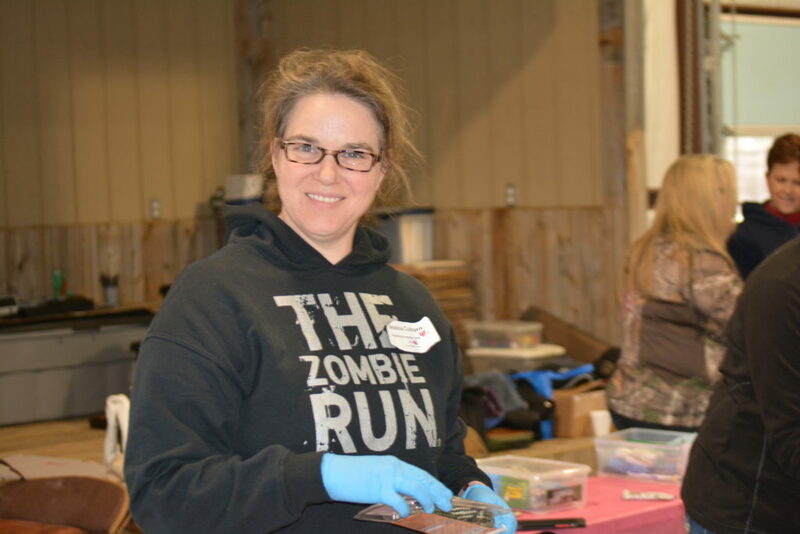 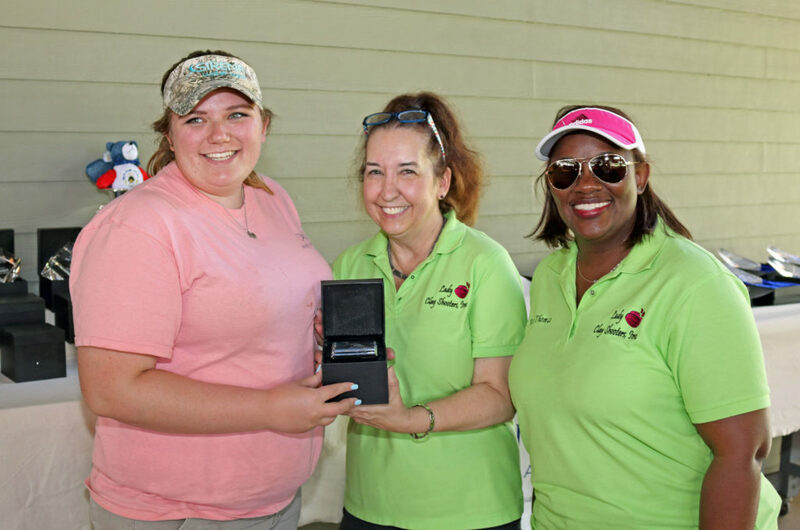 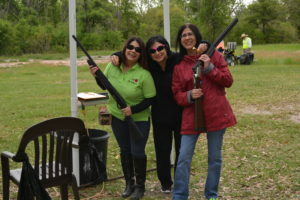 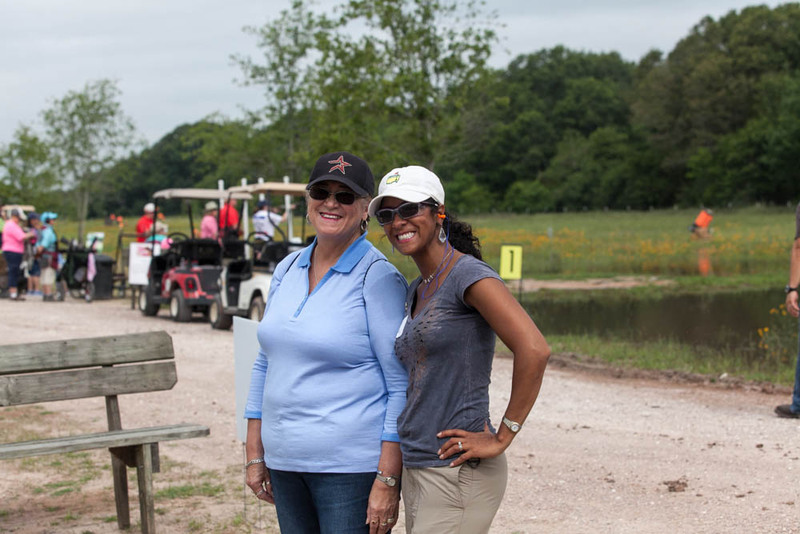 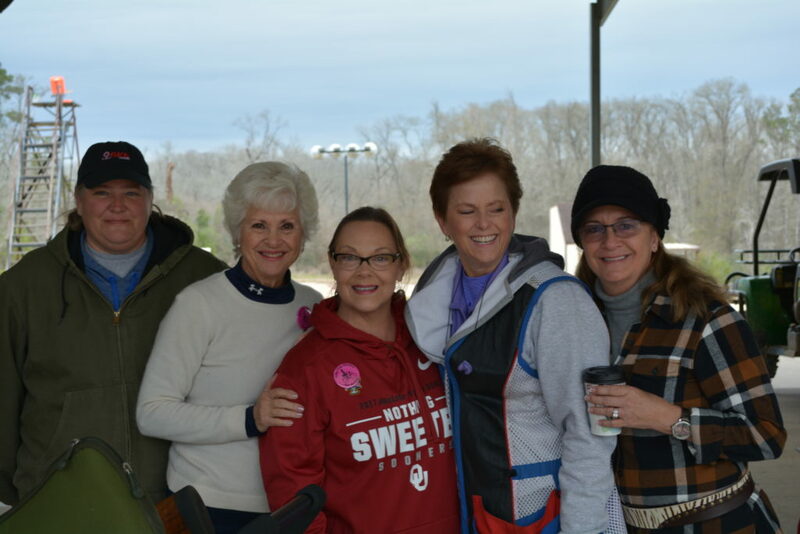 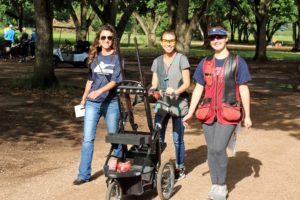 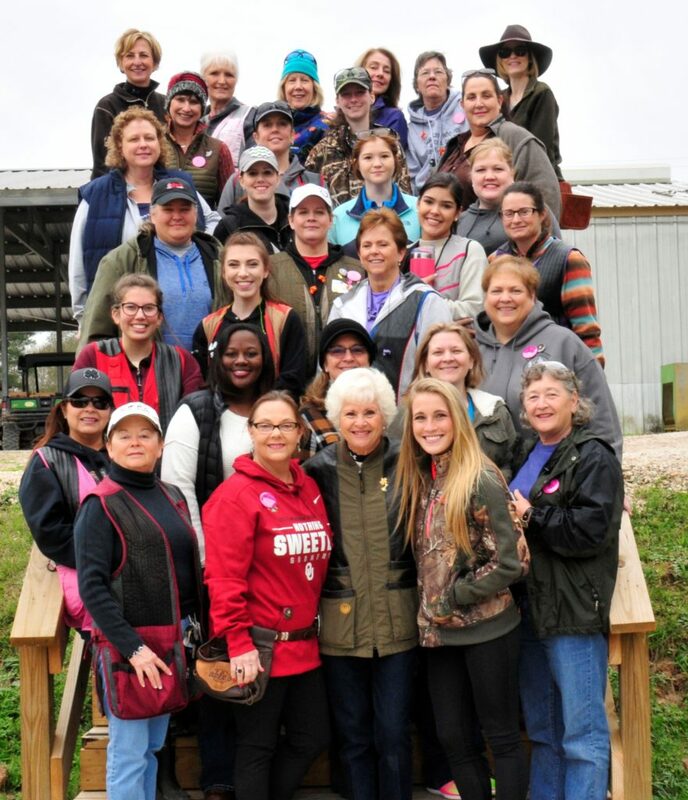 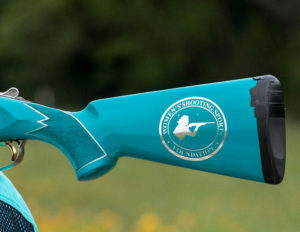 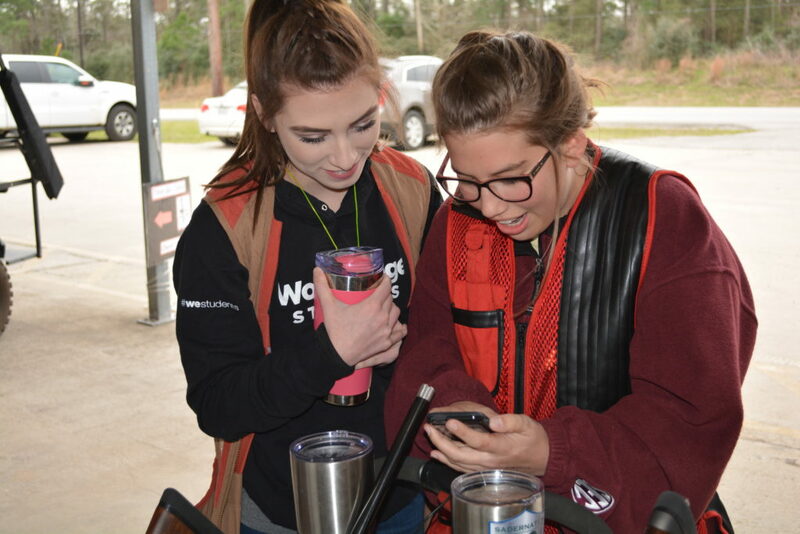 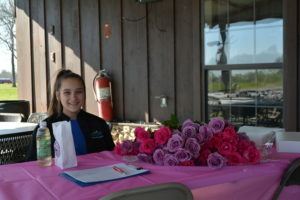 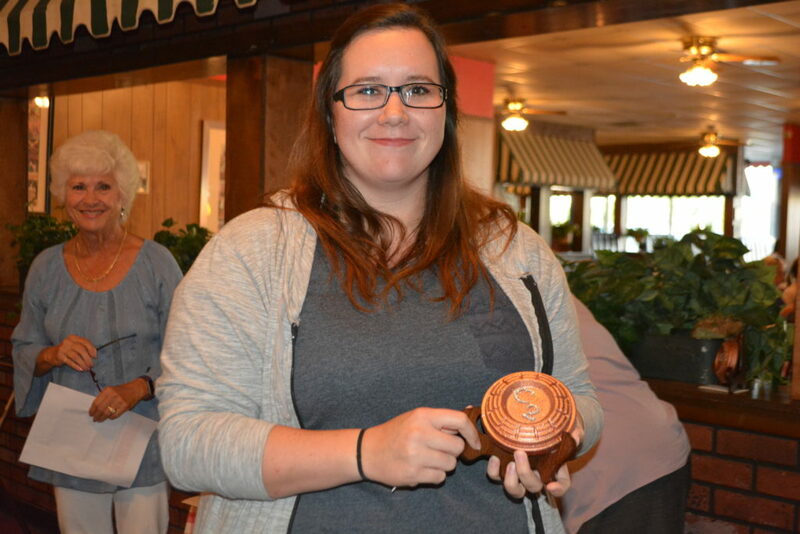 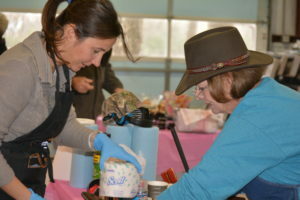 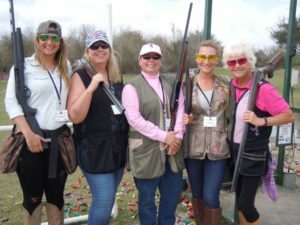 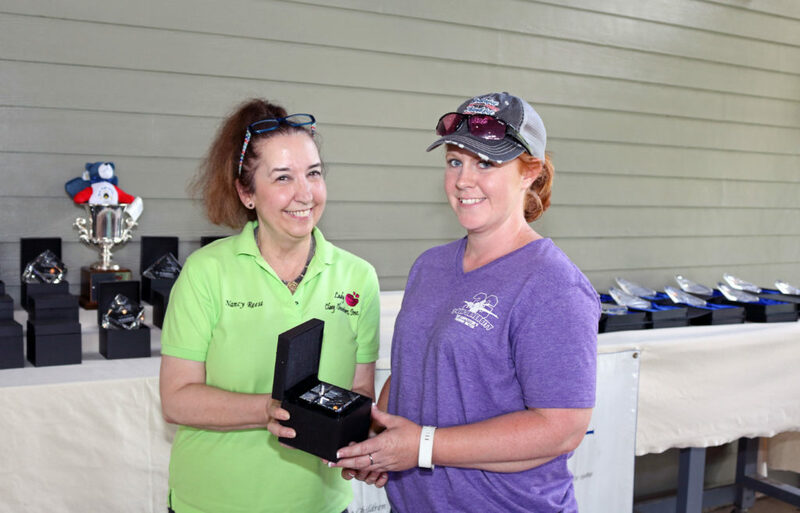 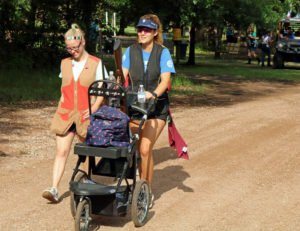 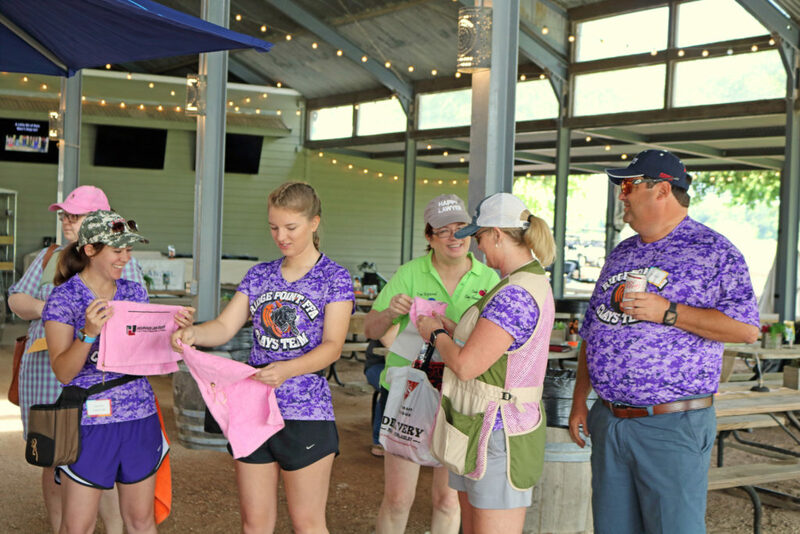 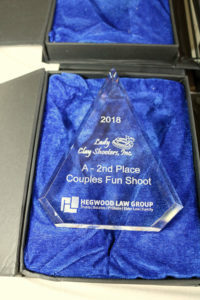 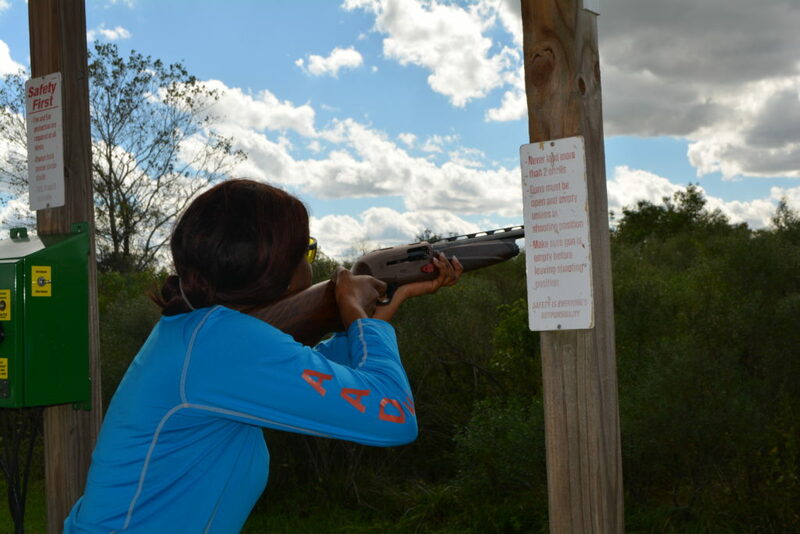 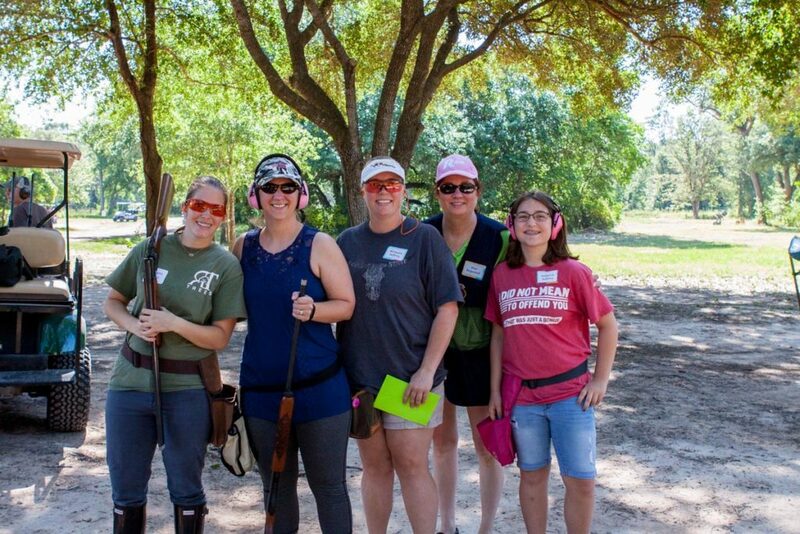 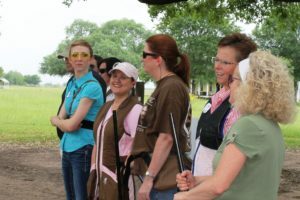 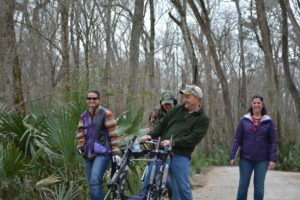 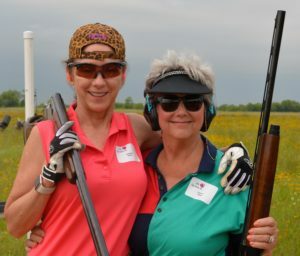 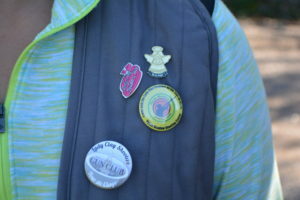 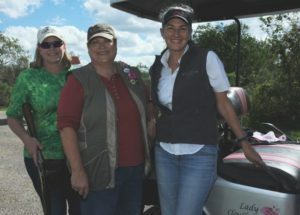 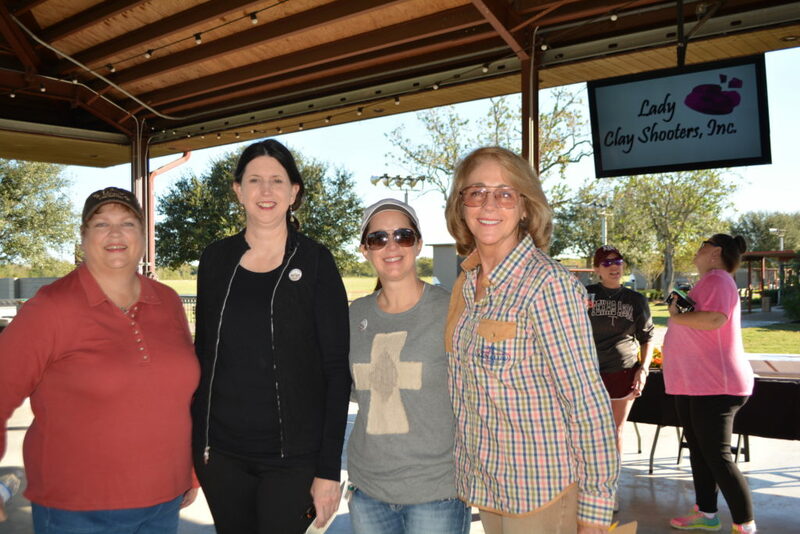 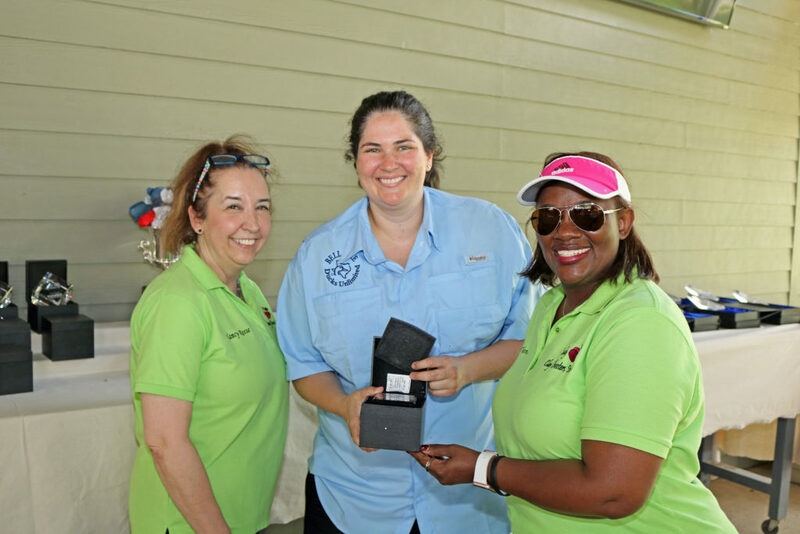 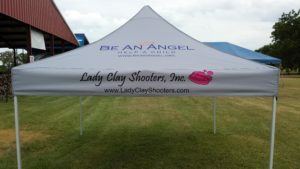 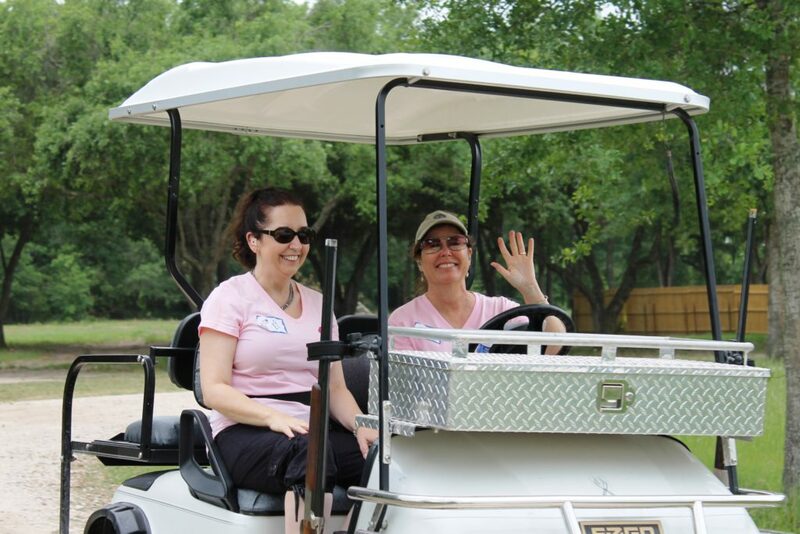 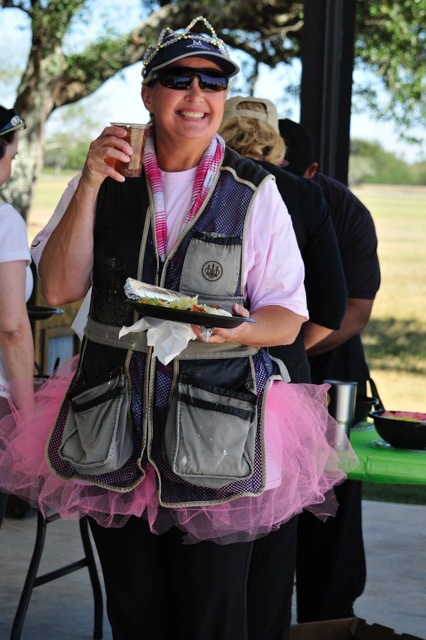 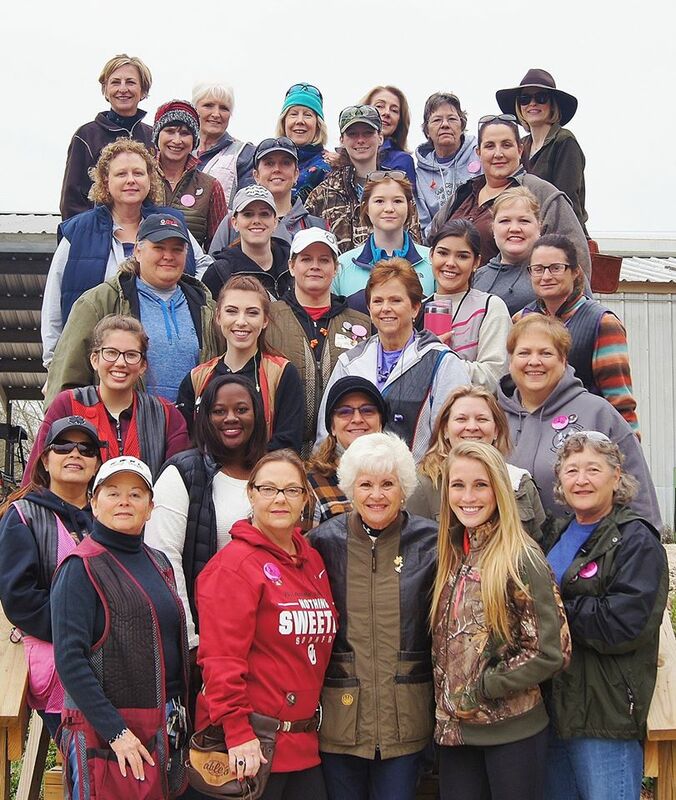 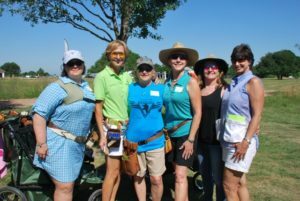 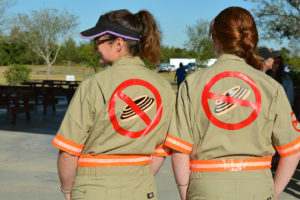 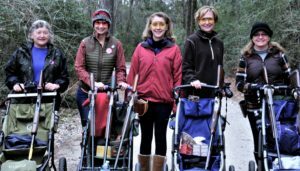 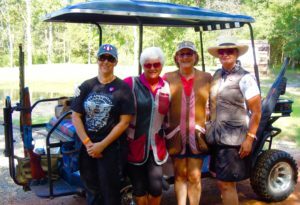 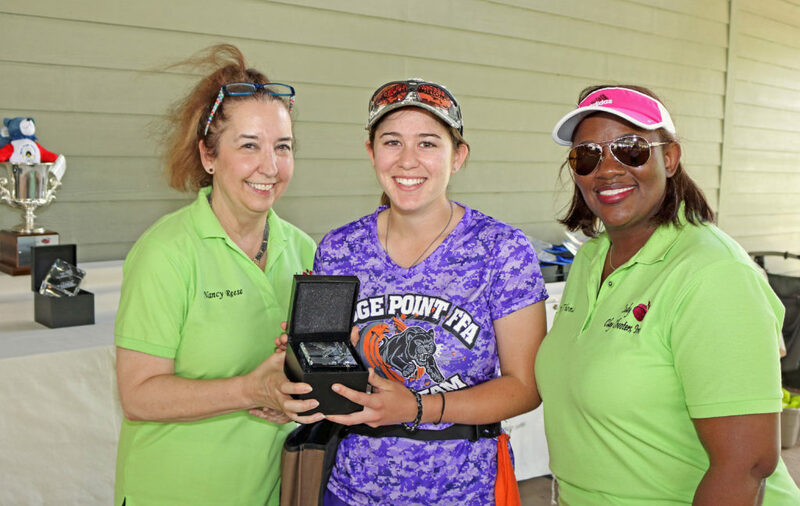 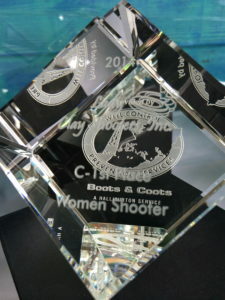 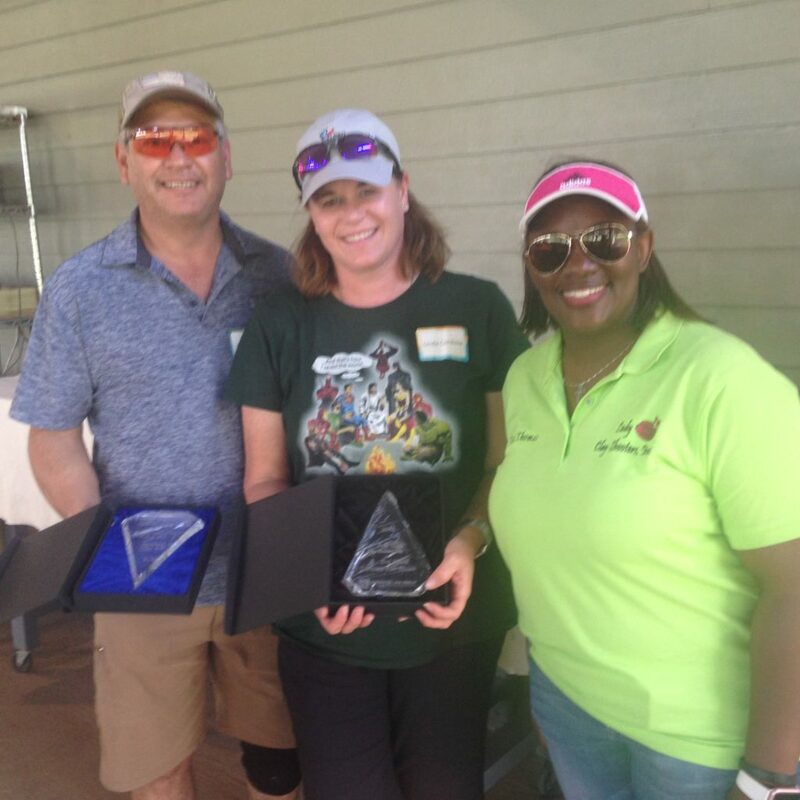 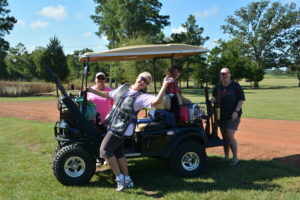 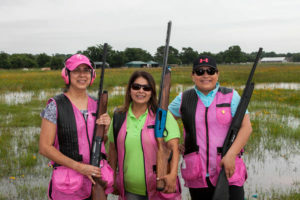 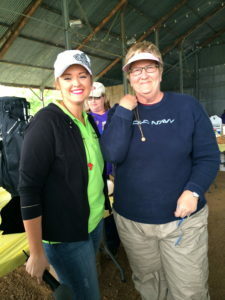 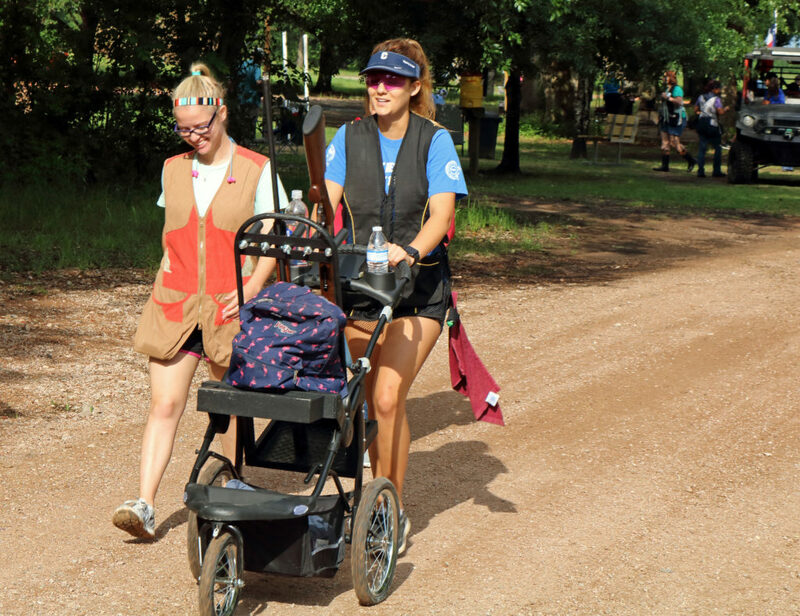 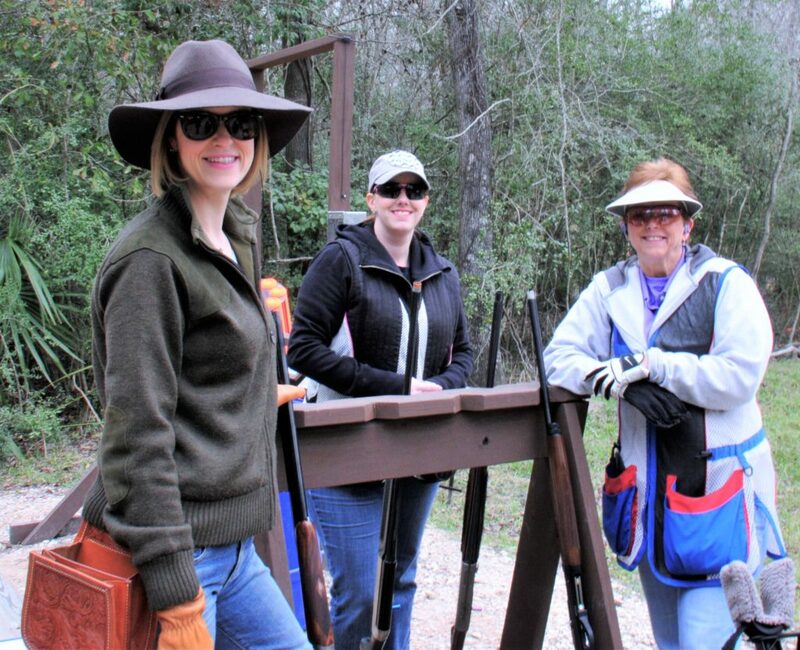 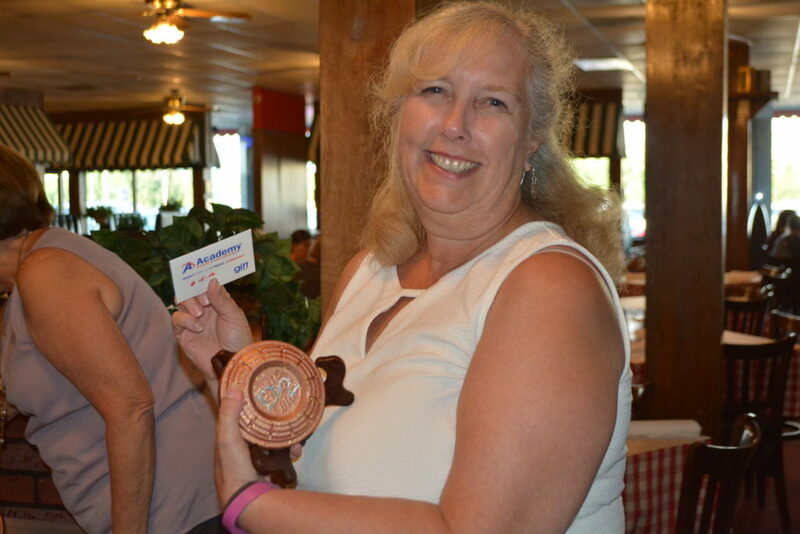 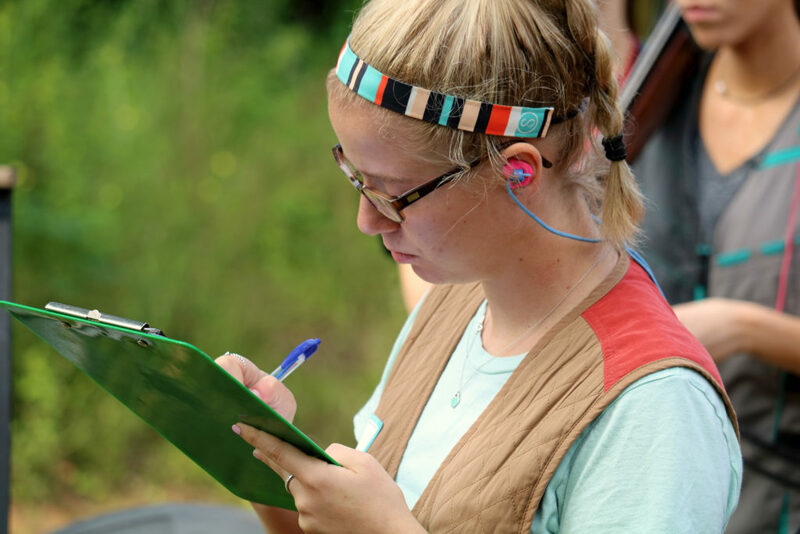 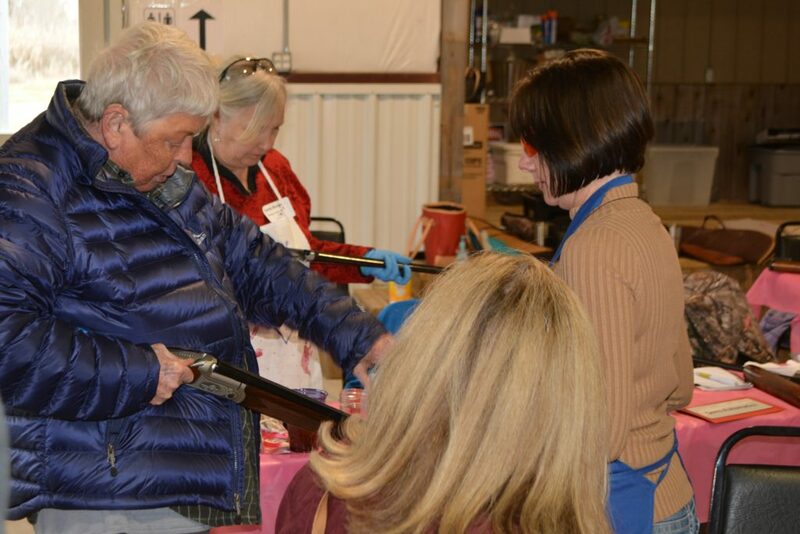 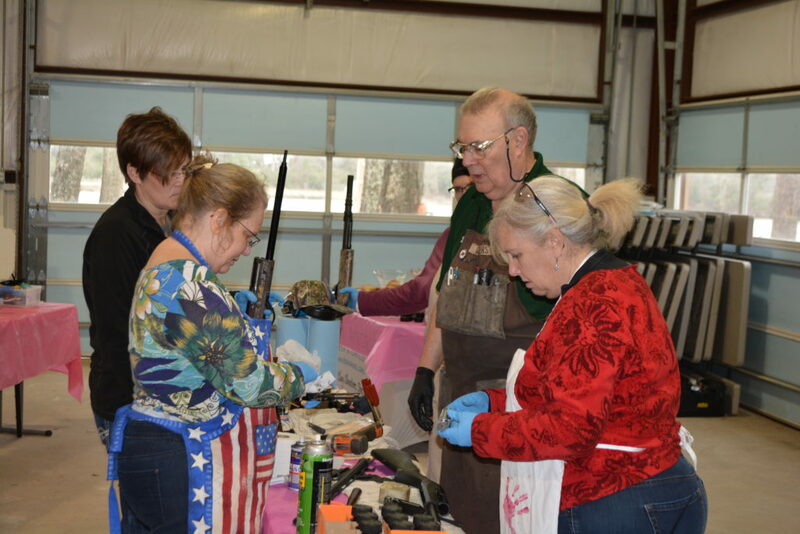 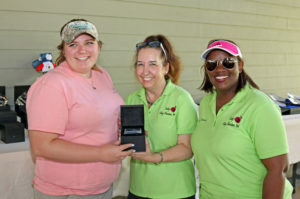 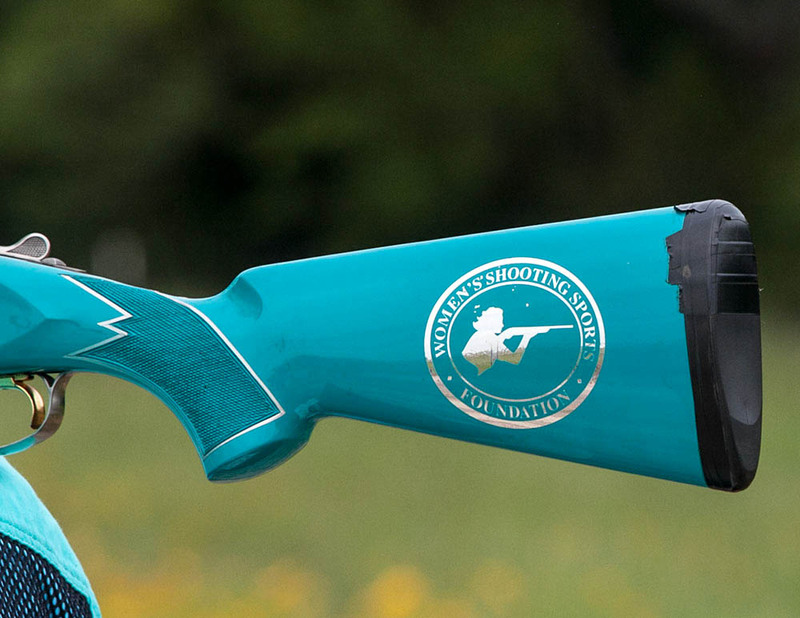 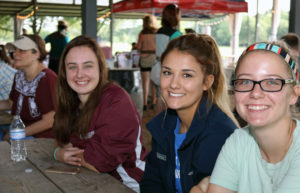 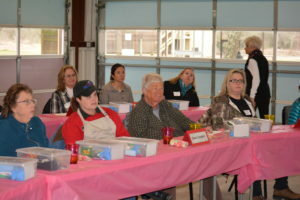 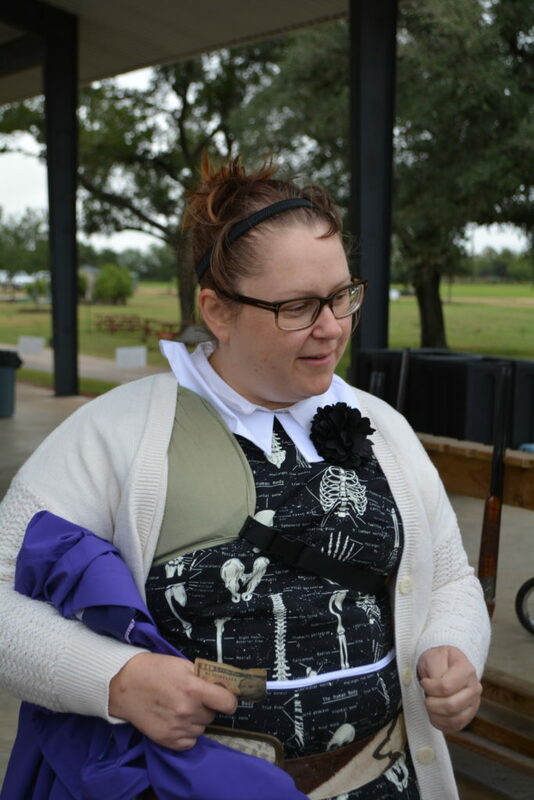 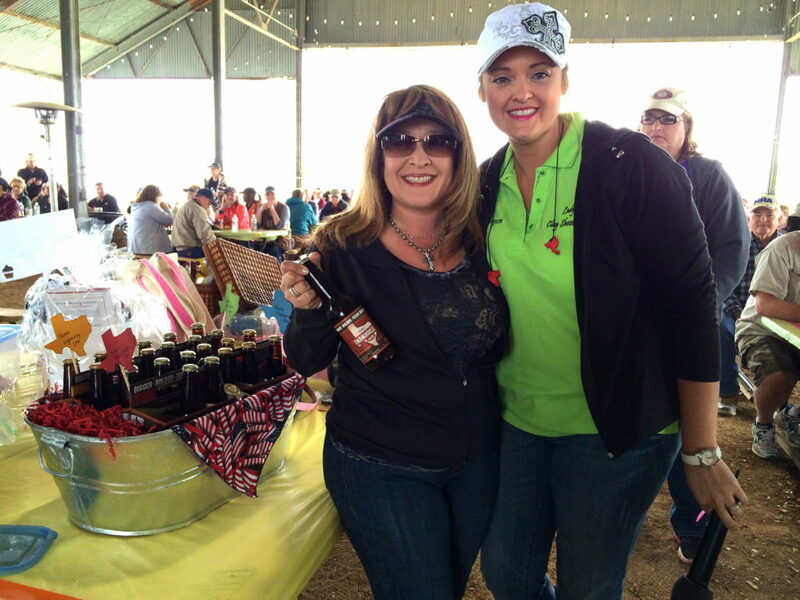 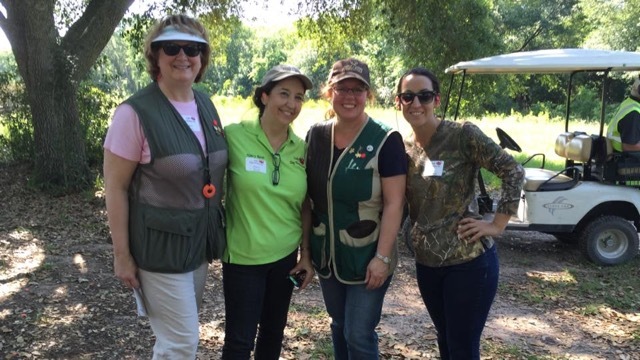 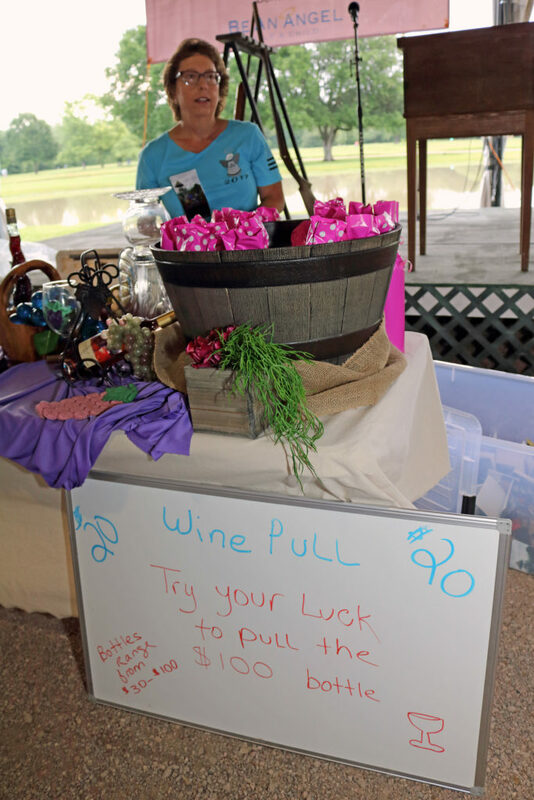 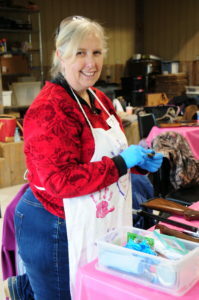 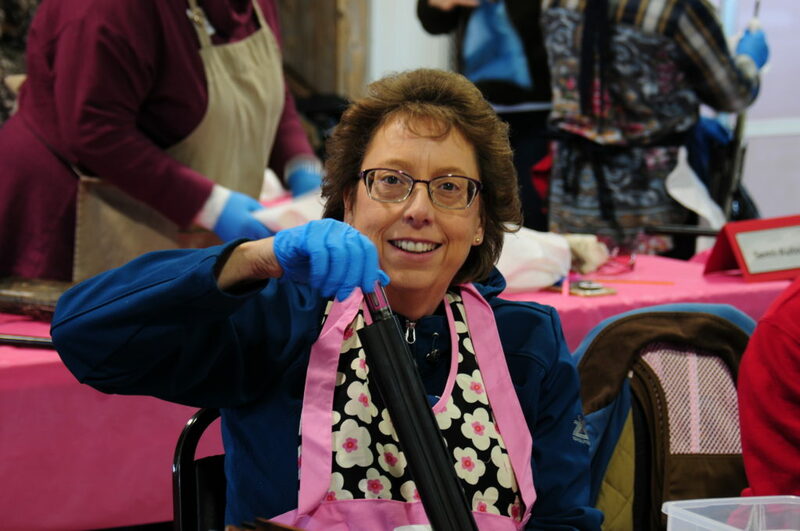 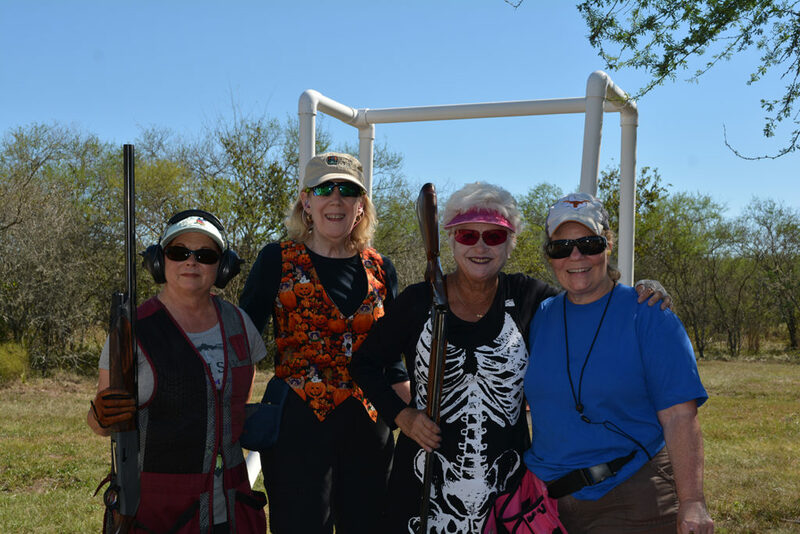 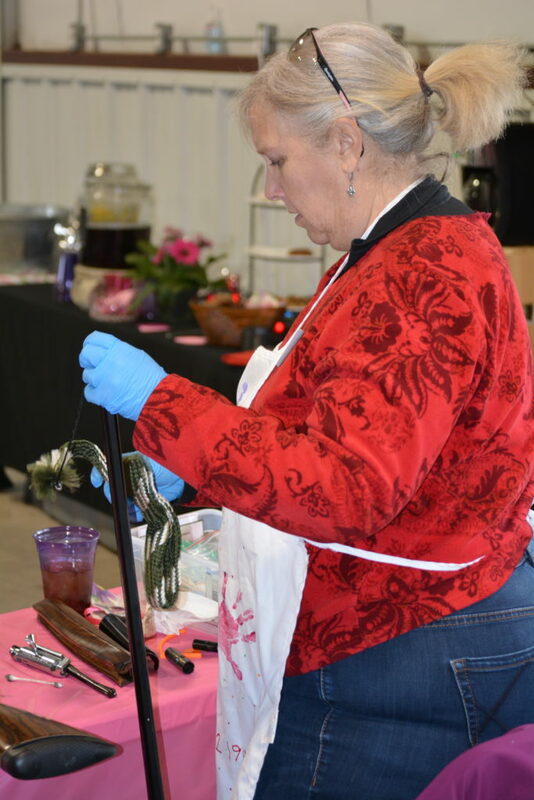 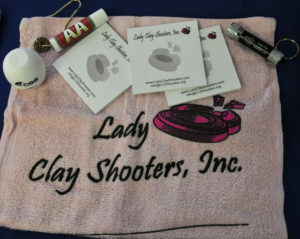 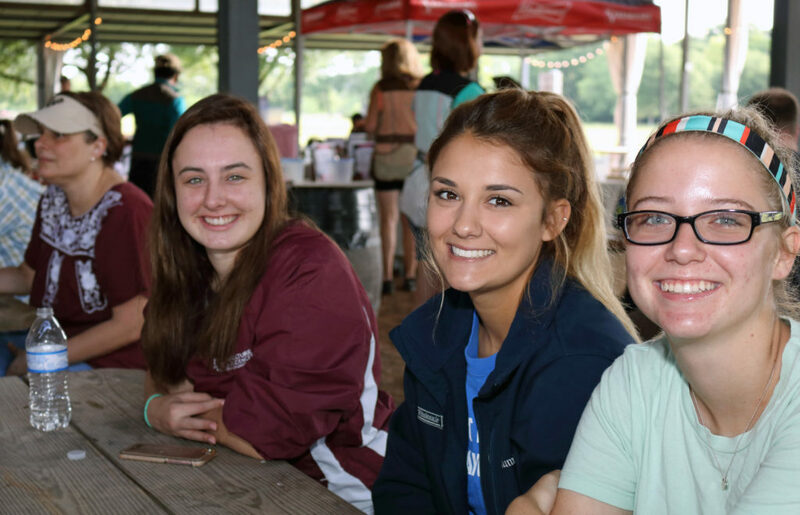 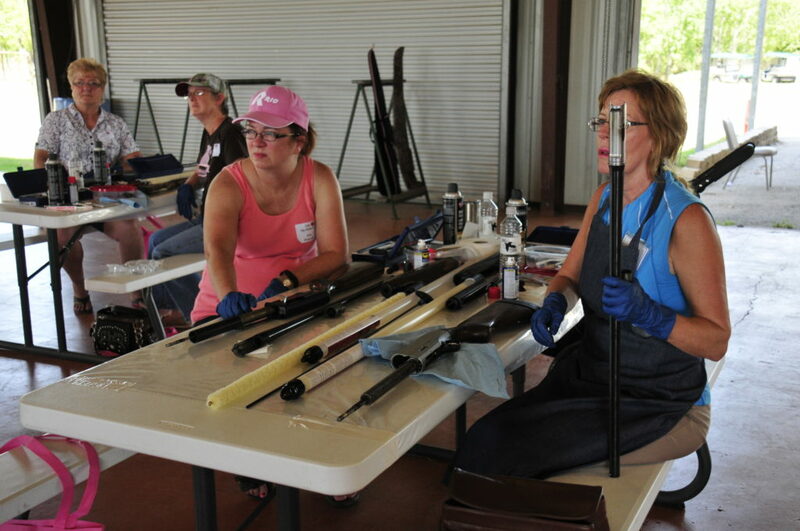 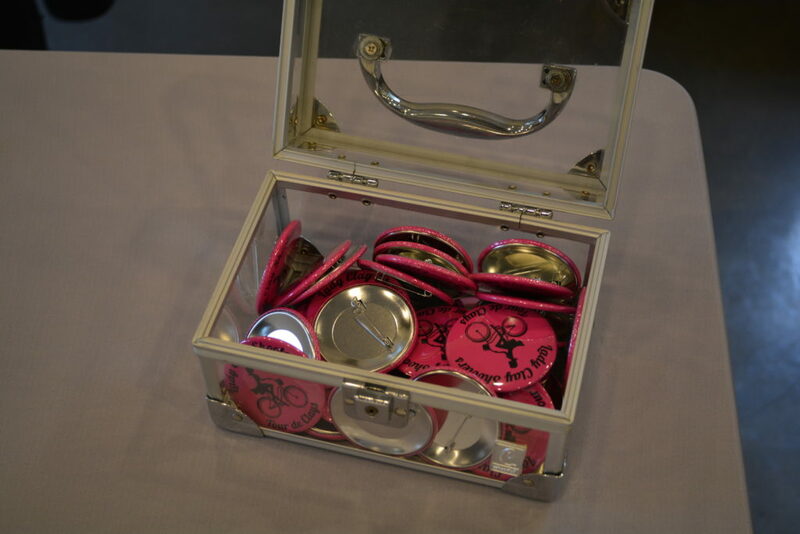 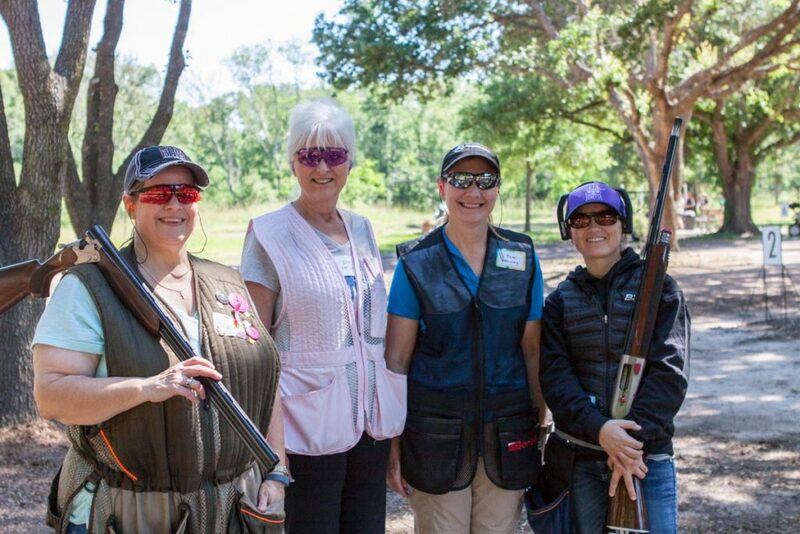 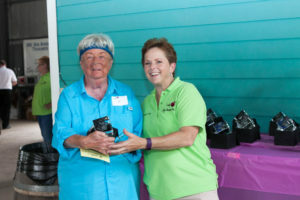 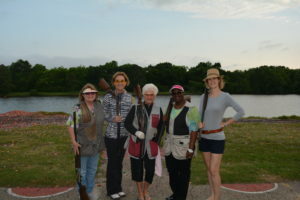 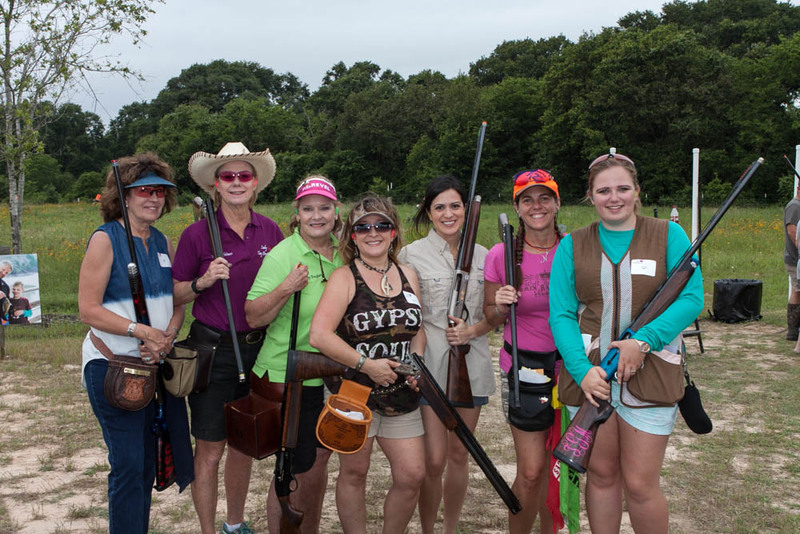 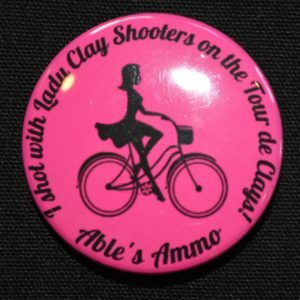 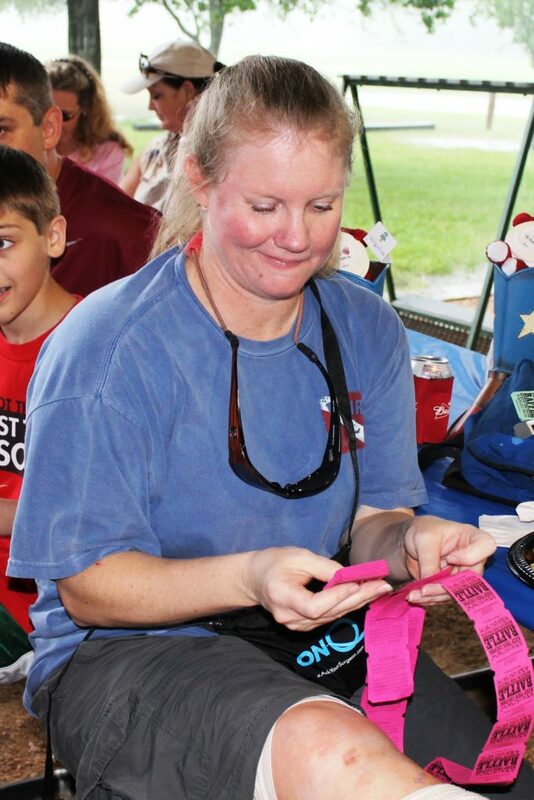 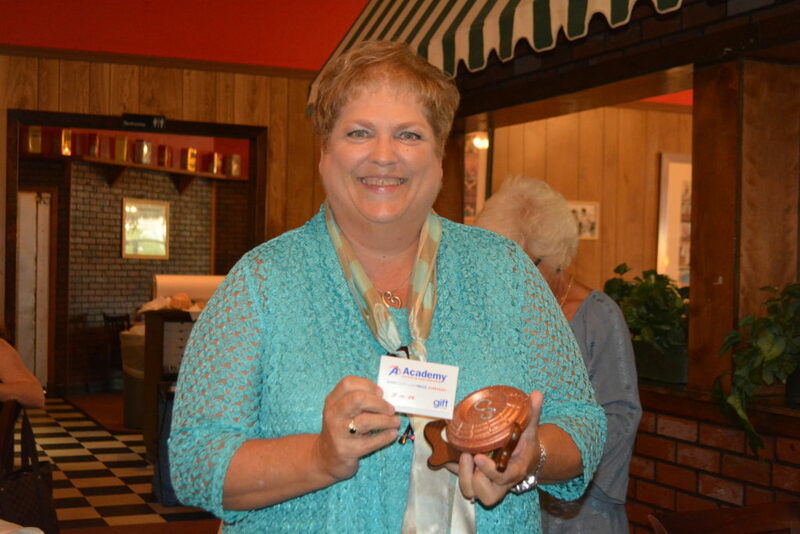 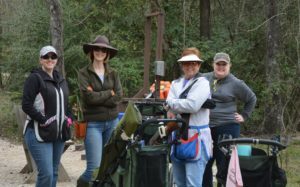 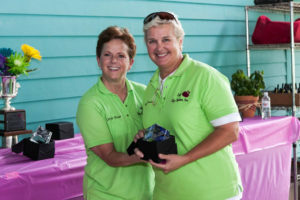 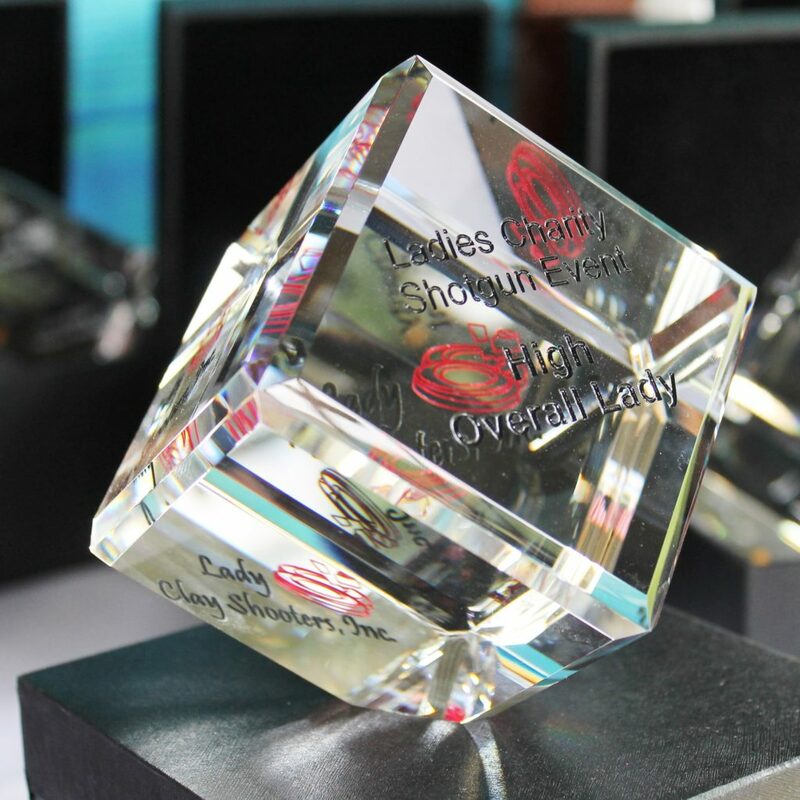 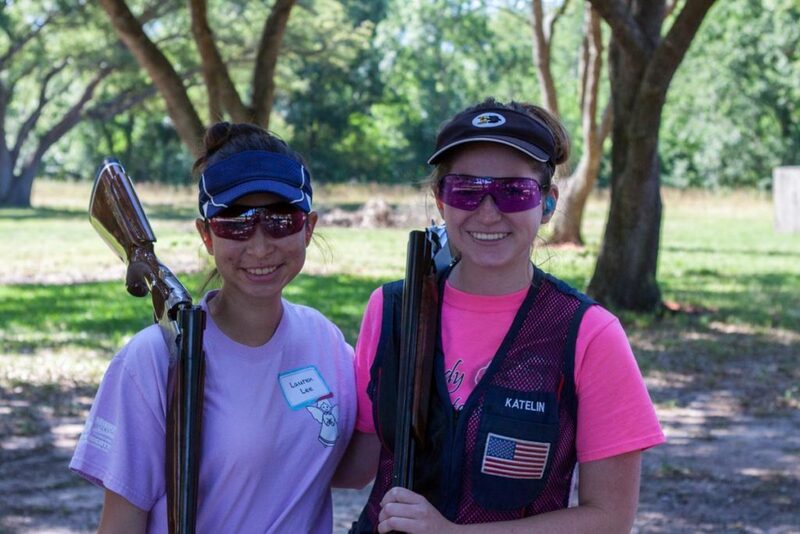 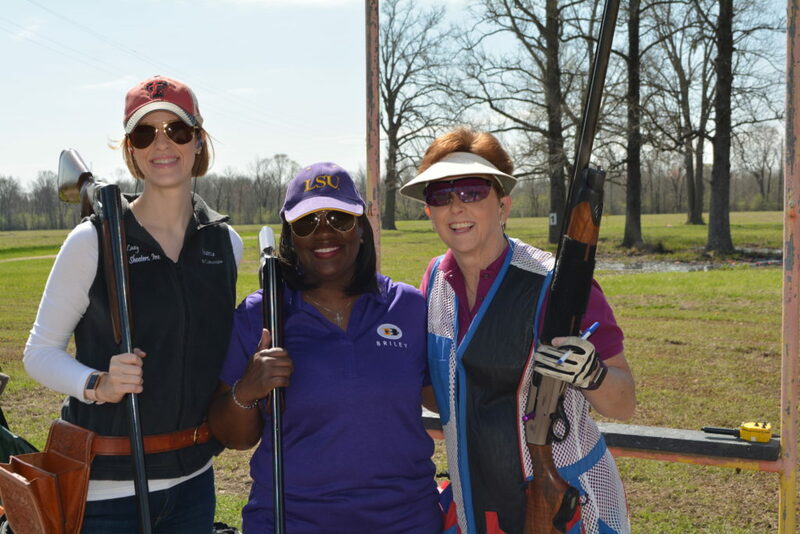 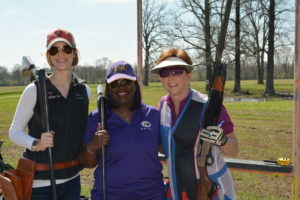 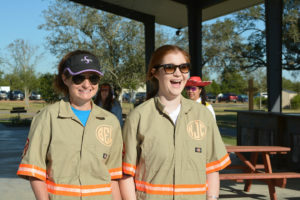 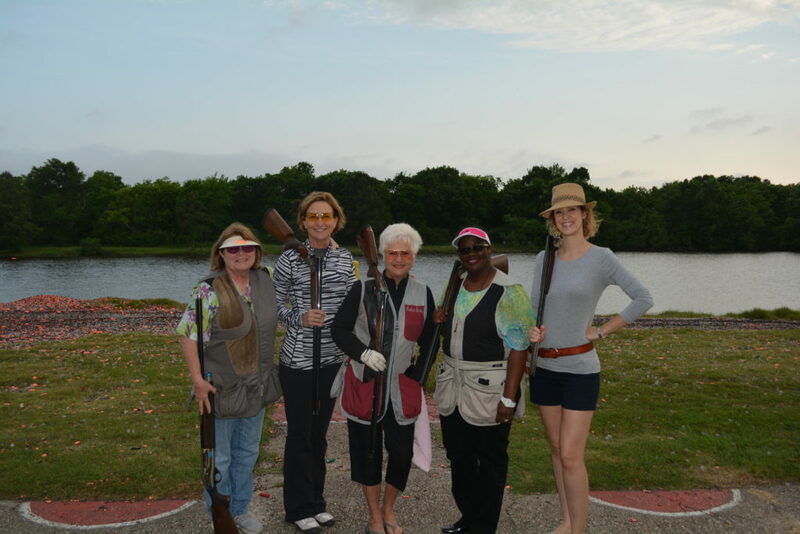 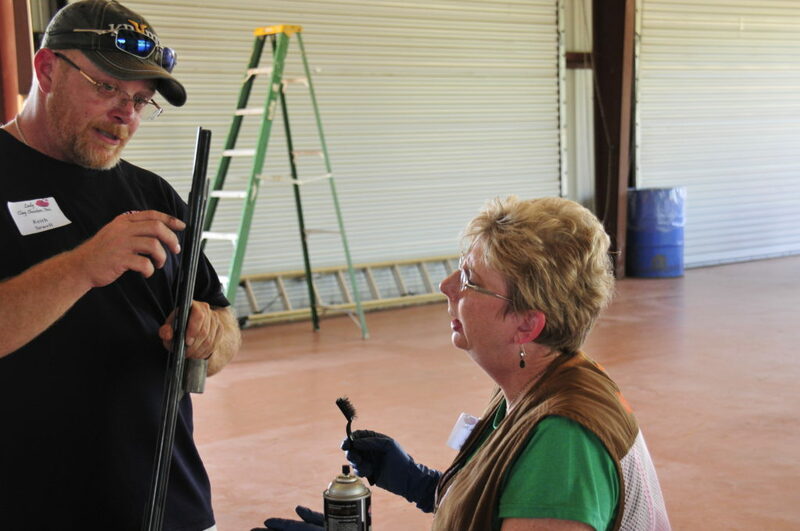 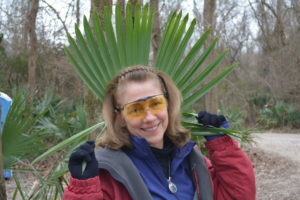 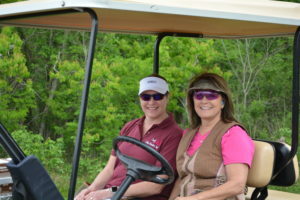 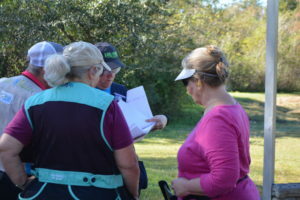 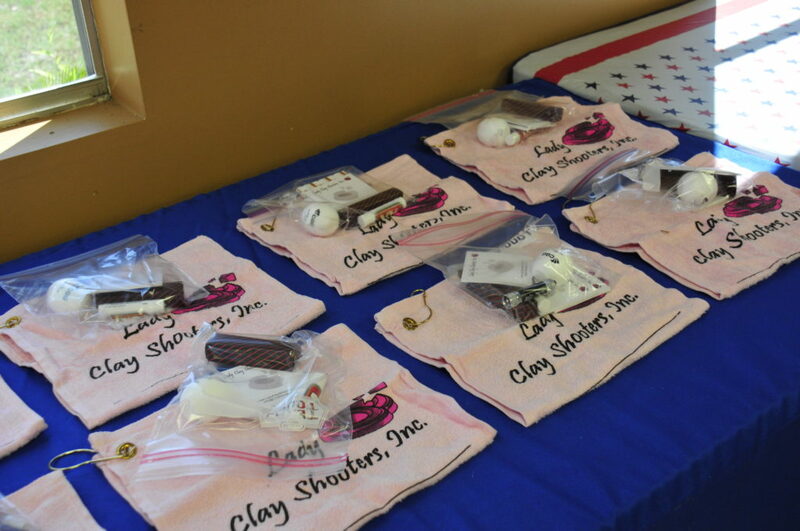 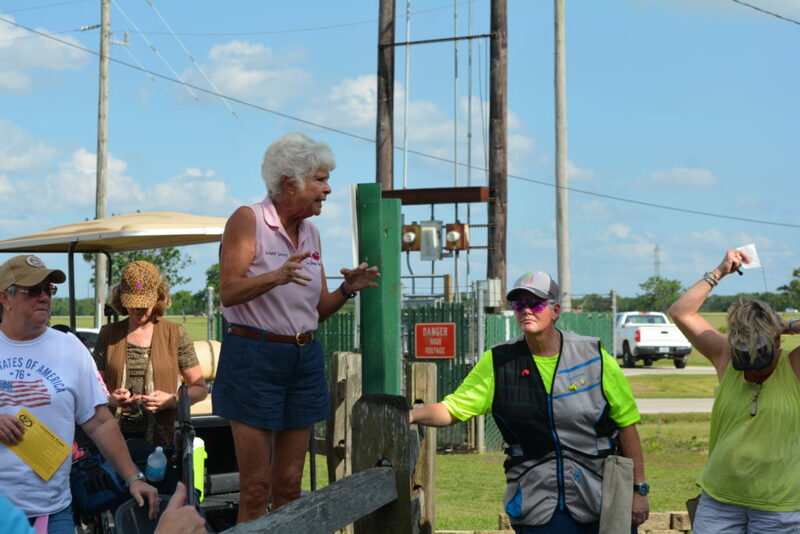 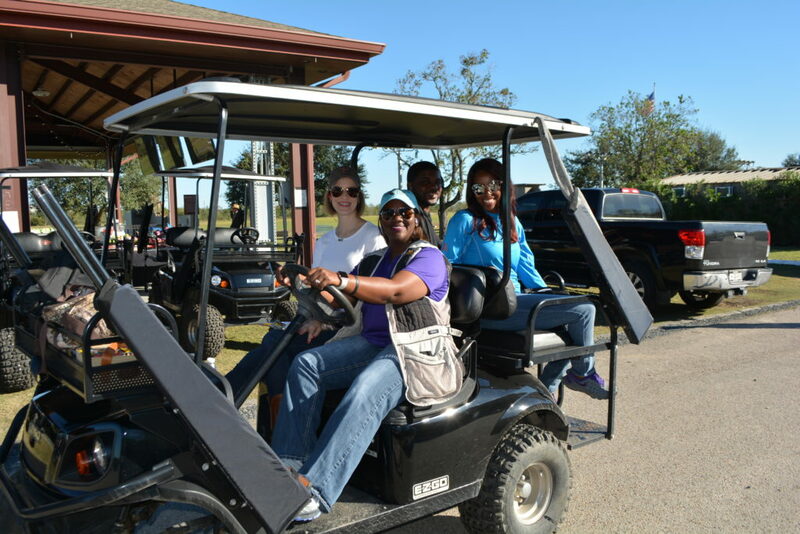 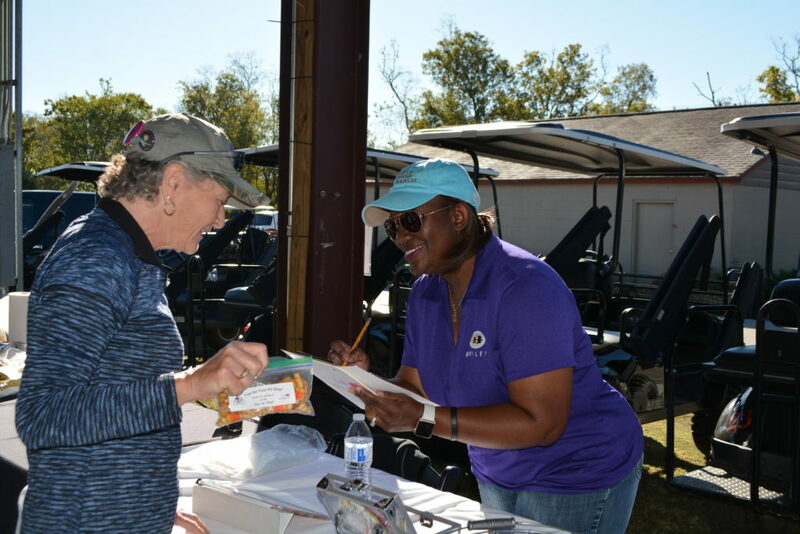 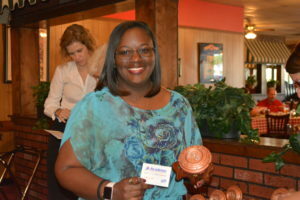 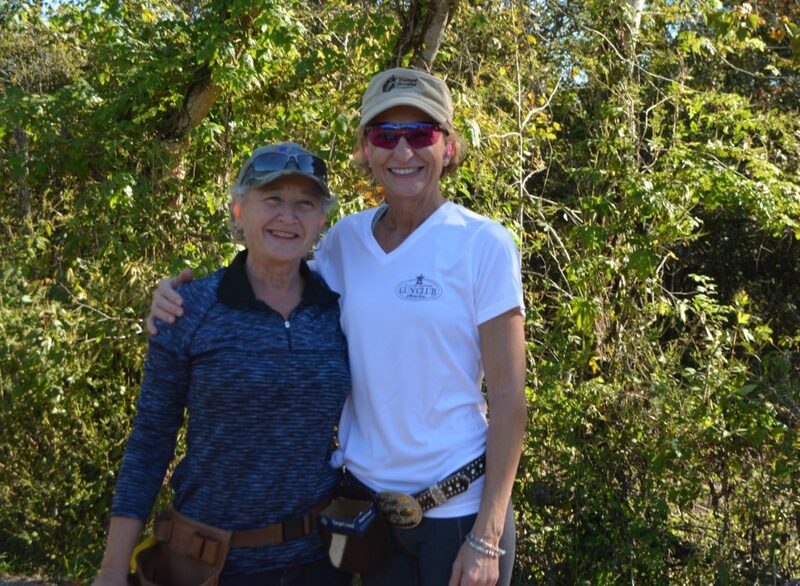 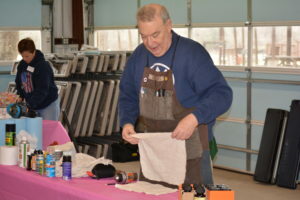 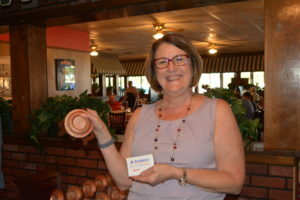 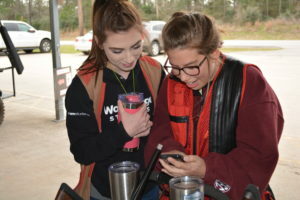 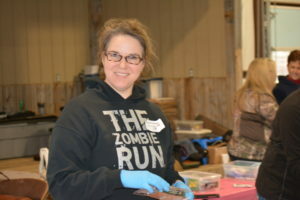 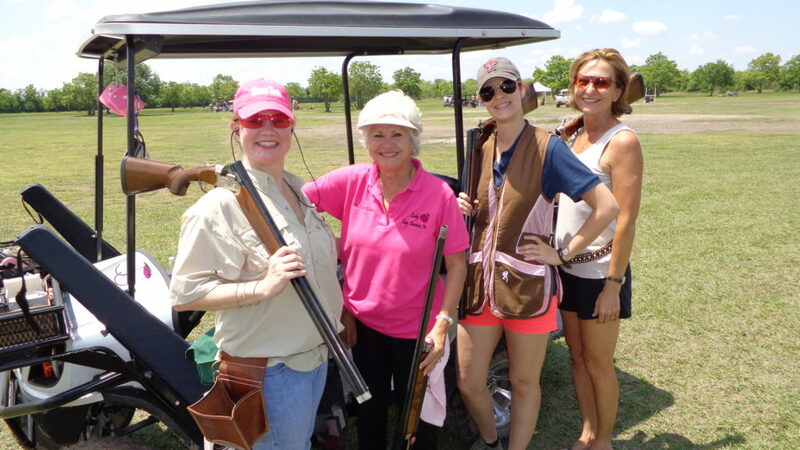 If you are a lady that is a beginner, novice or expert, Lady Clay Shooters is a THE organization to be involved with! 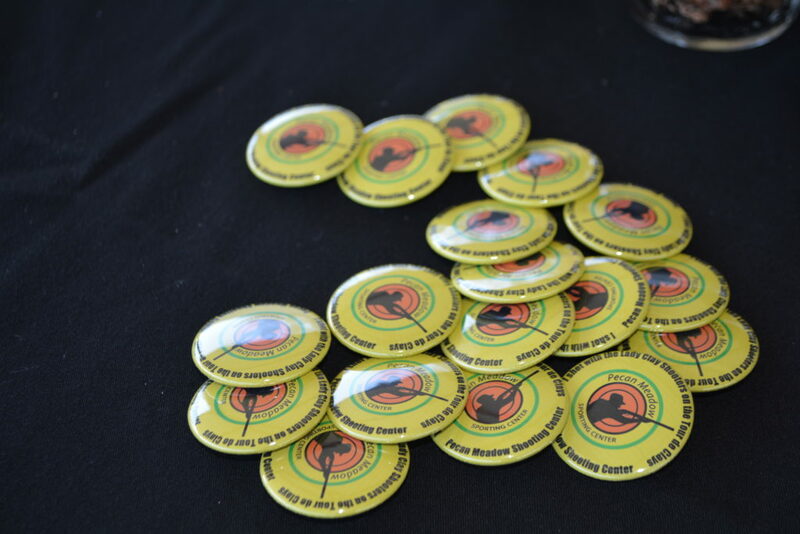 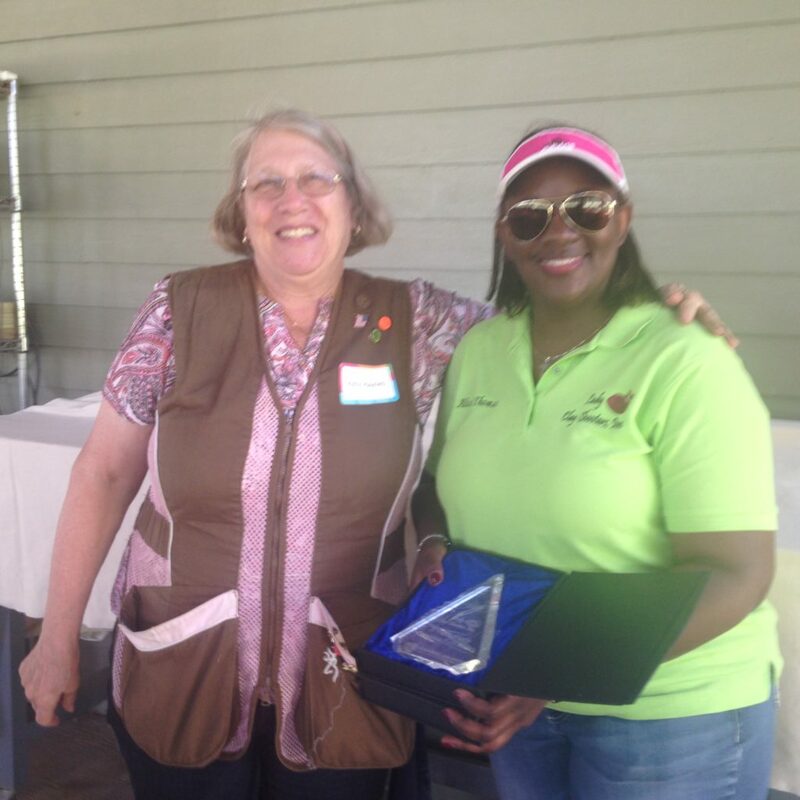 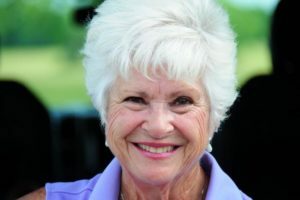 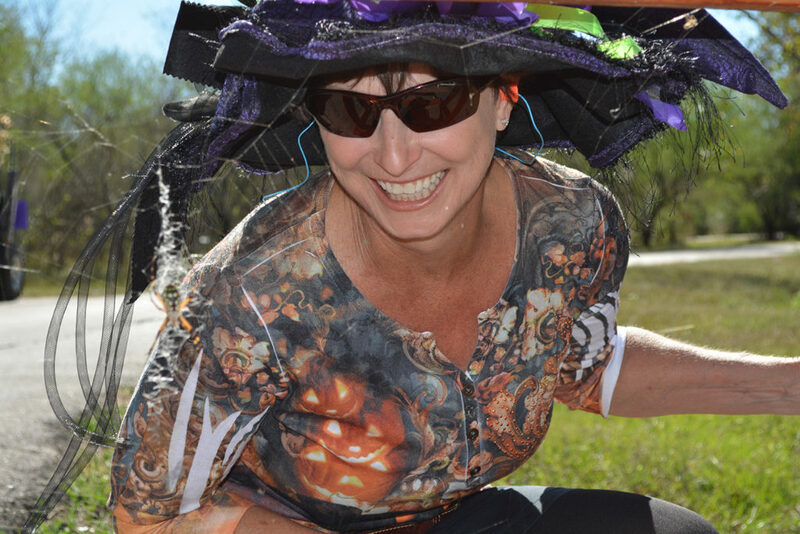 ”I have grown to appreciate the time and dedication that all my fellow members invest into each other. 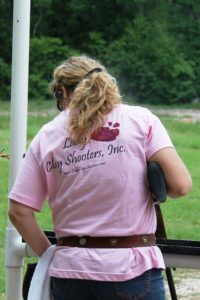 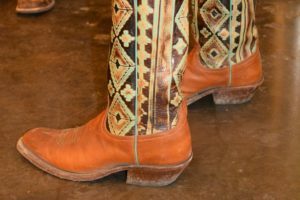 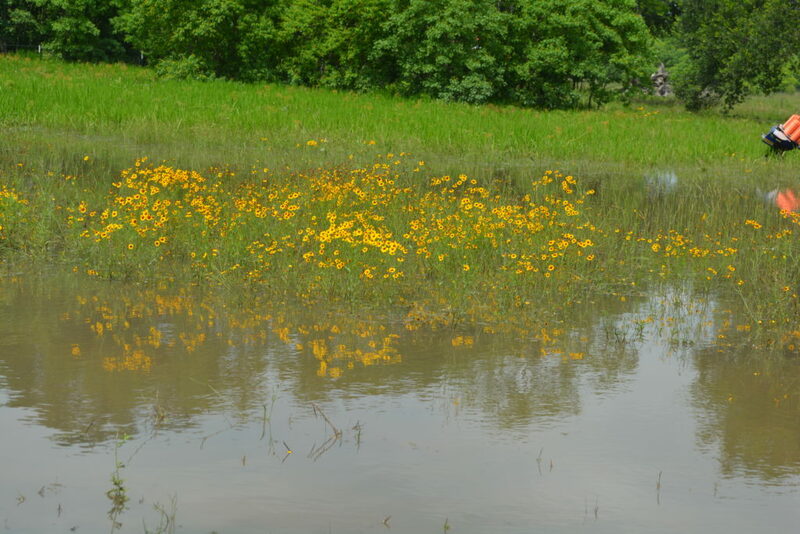 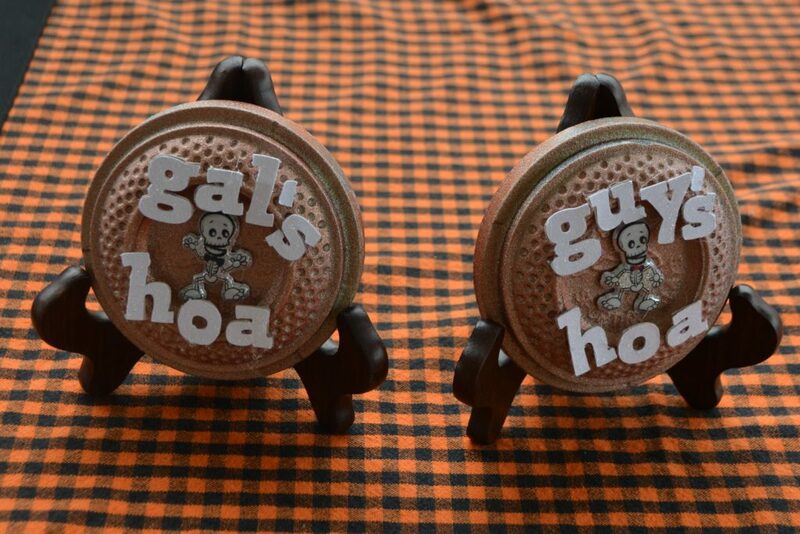 Copyright 2017 © Lady Clay Shooters, All Rights Reserved.